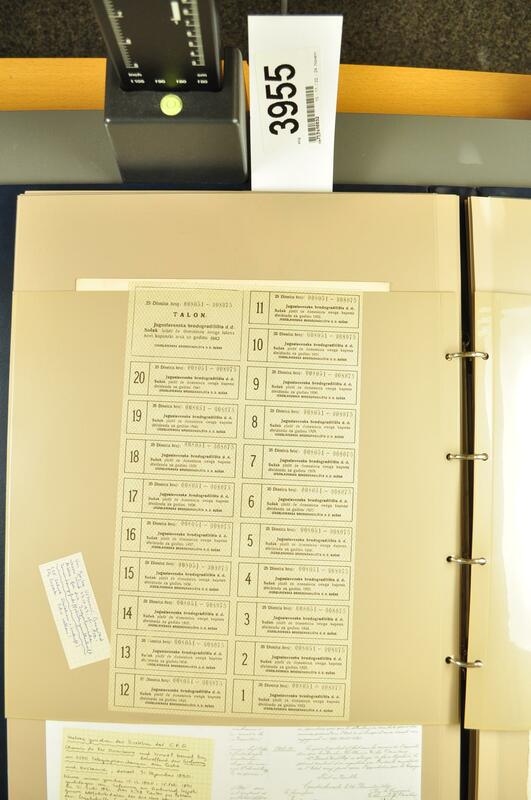 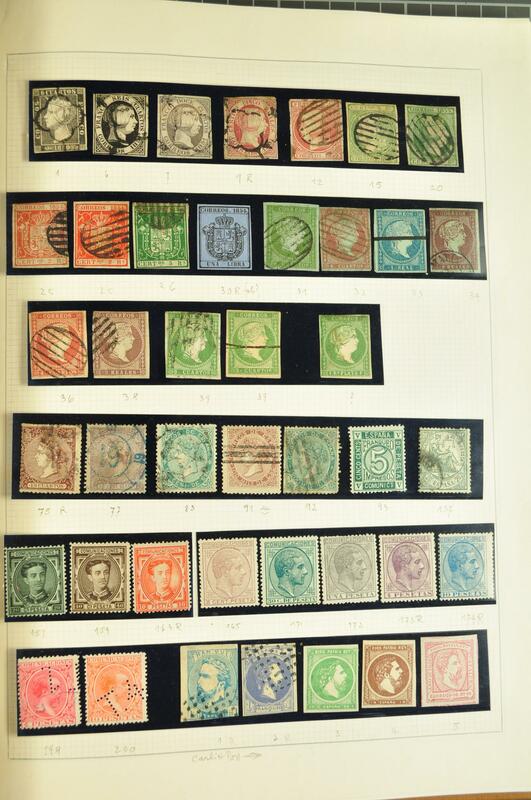 1870/1970: Lot some hundred stamps used/unused from various countries all over the world, mainly small values taken from daily business correspondance, also a small section of Turkish fiscals, good to mixed condition and arranged on album pages. 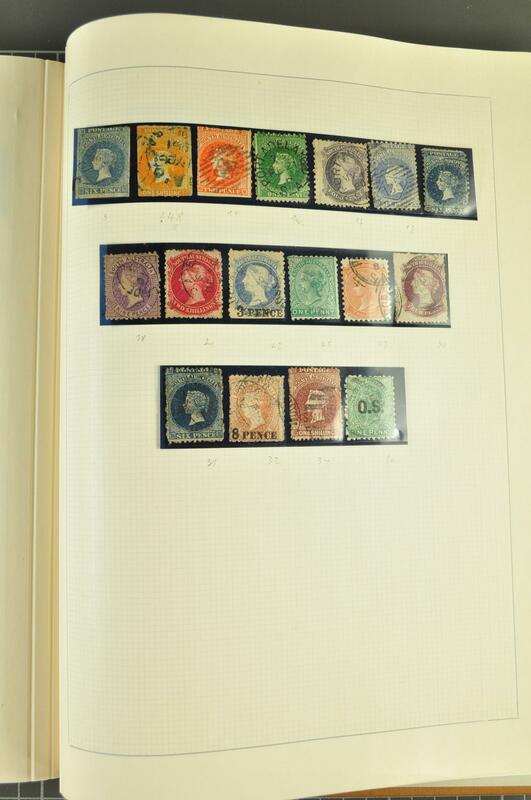 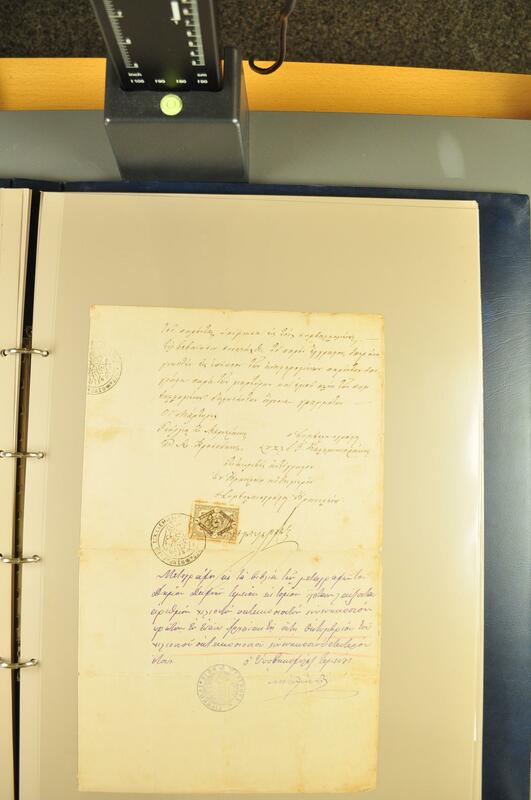 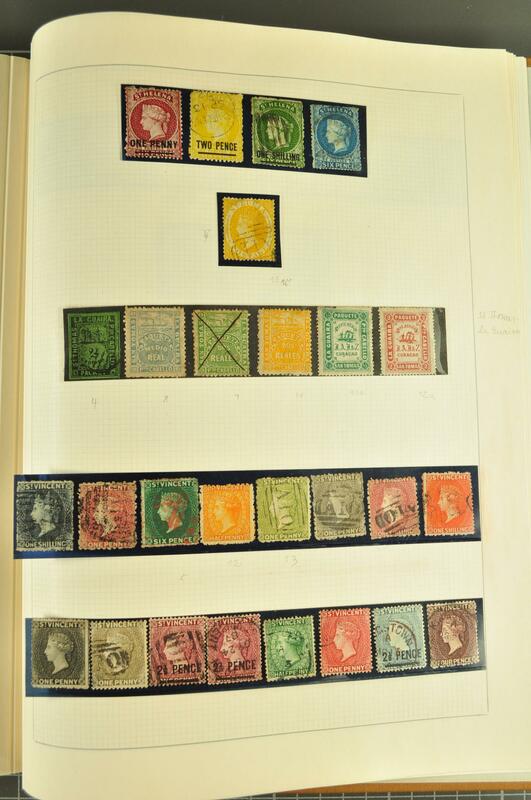 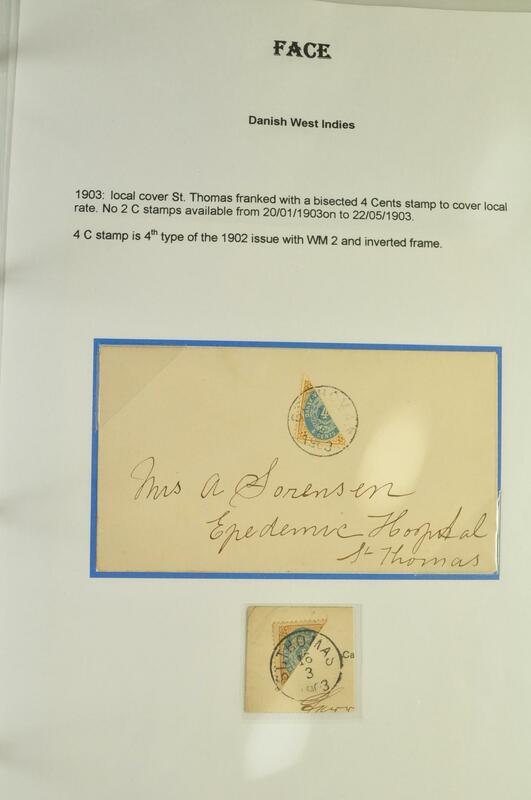 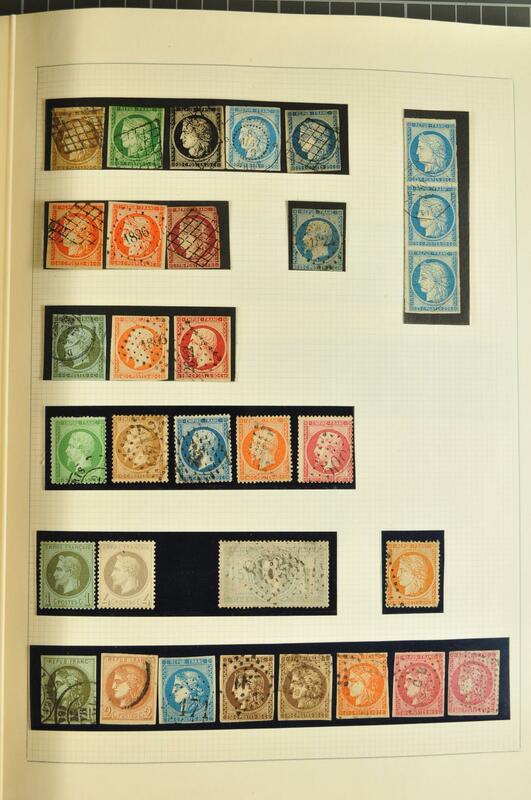 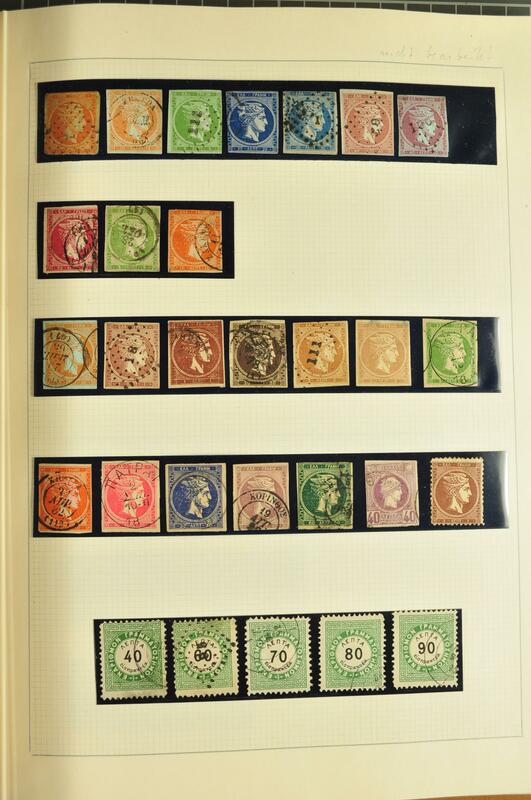 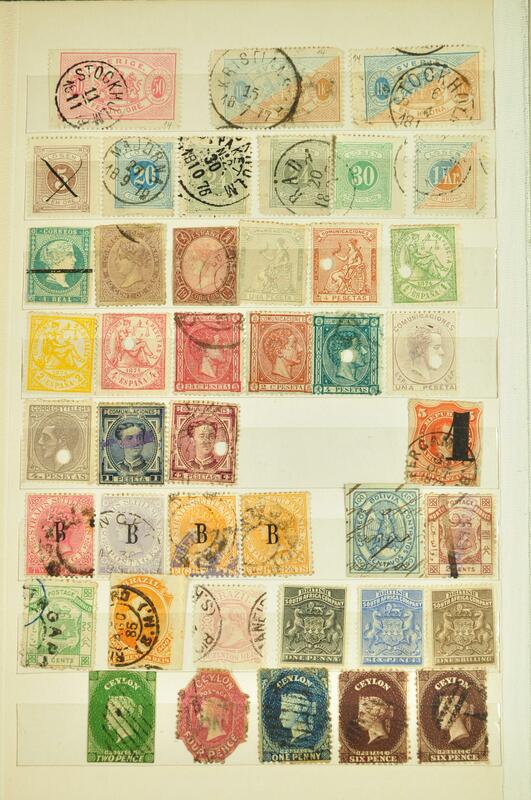 1880/1960: Remainder of collection with stamps or covers, incl. 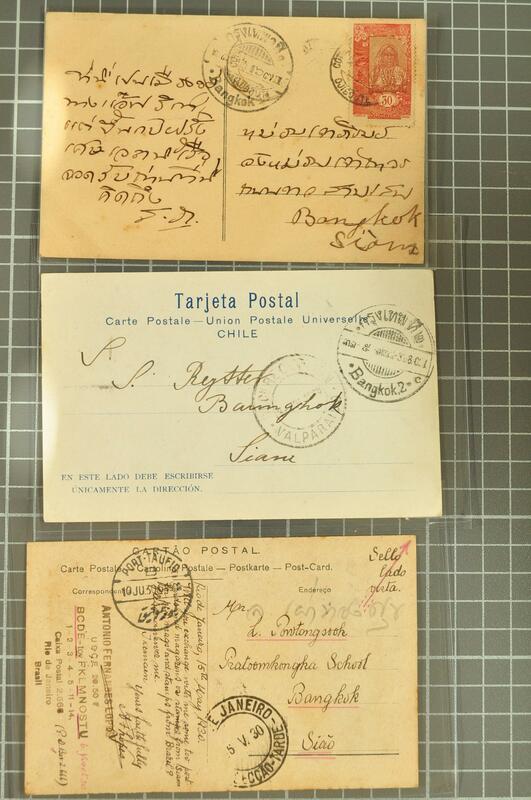 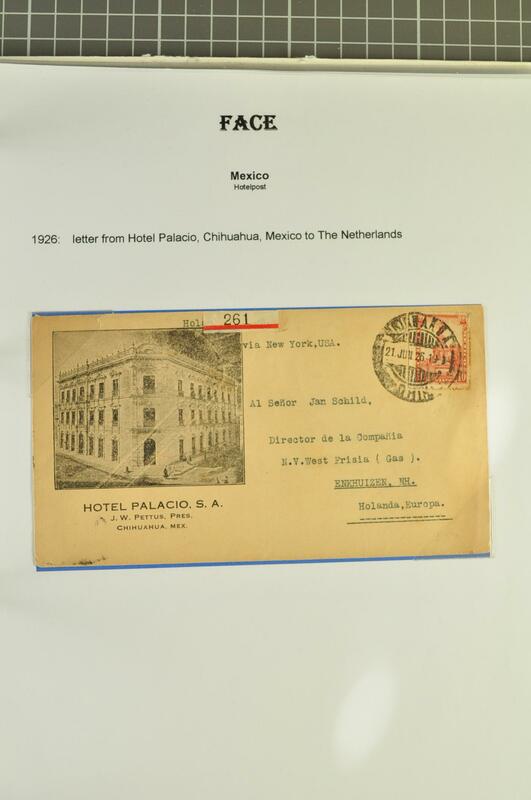 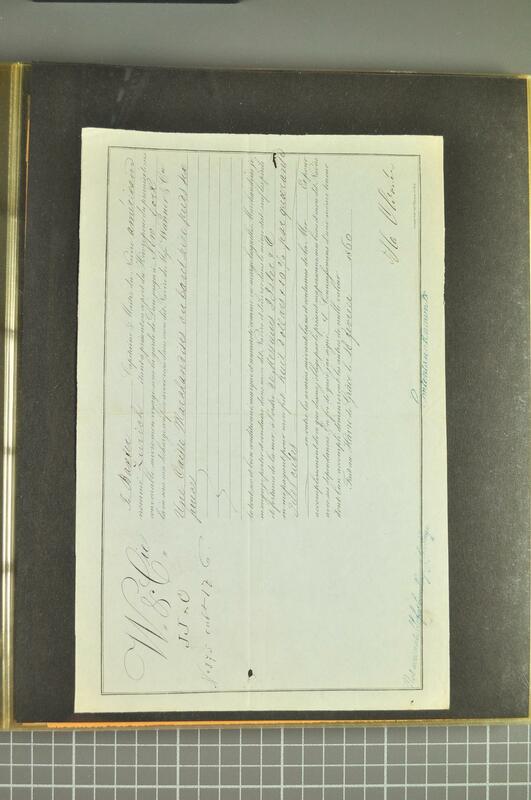 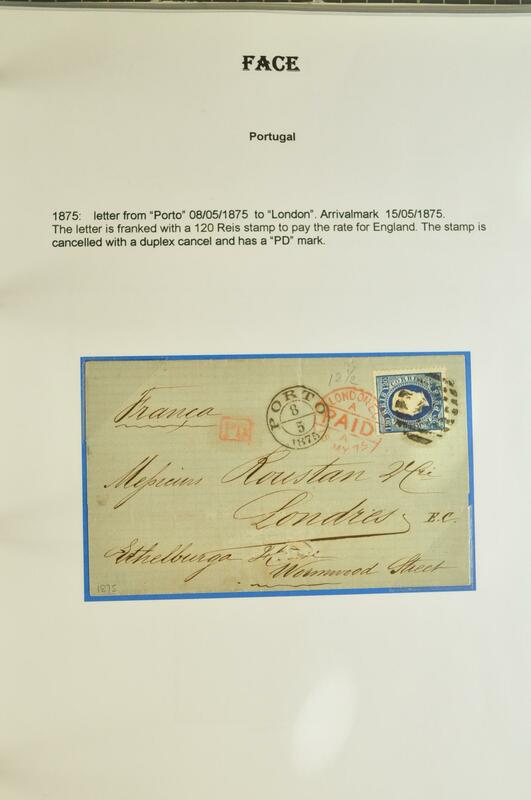 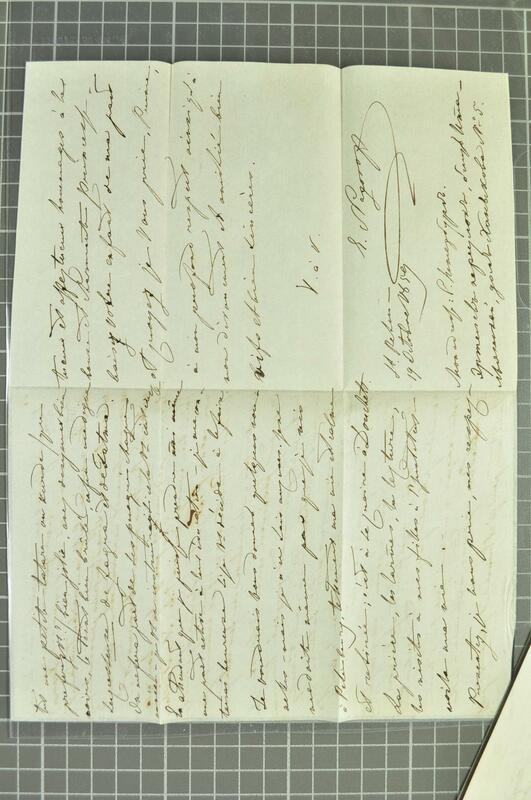 Mexico stationeries, censored Mail, airnails and better commercial mail, etc. 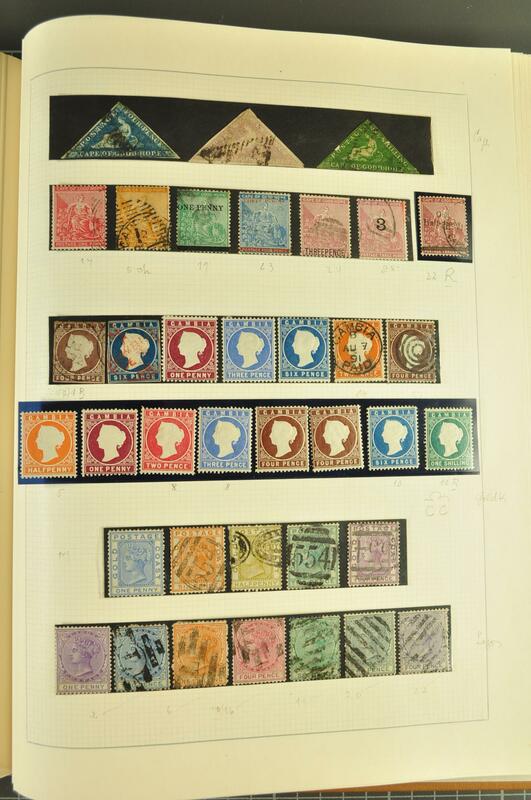 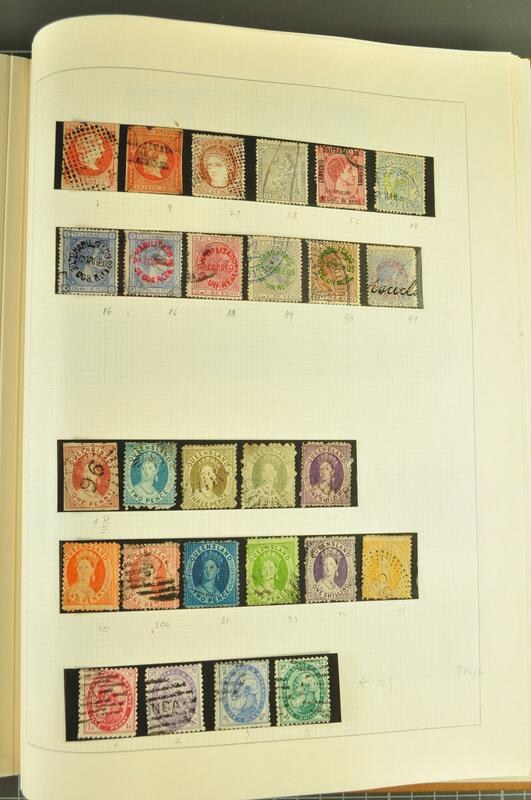 as well as loose stamps in part sets used/unused, mainly of topical interest. 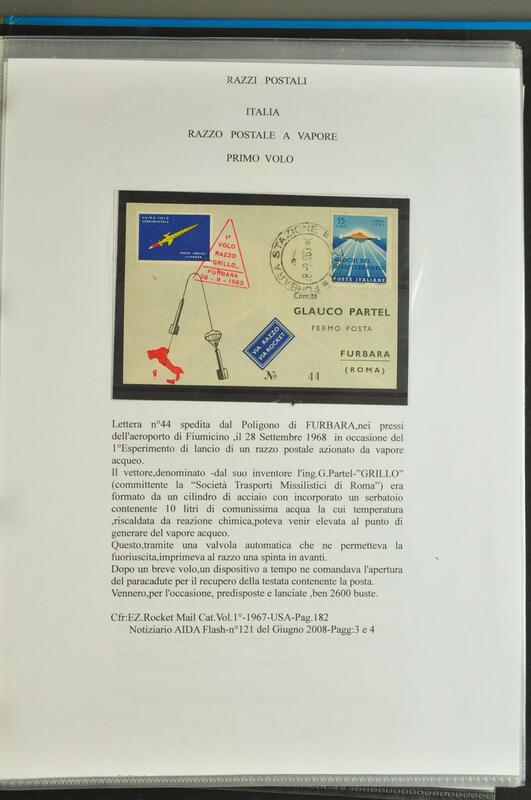 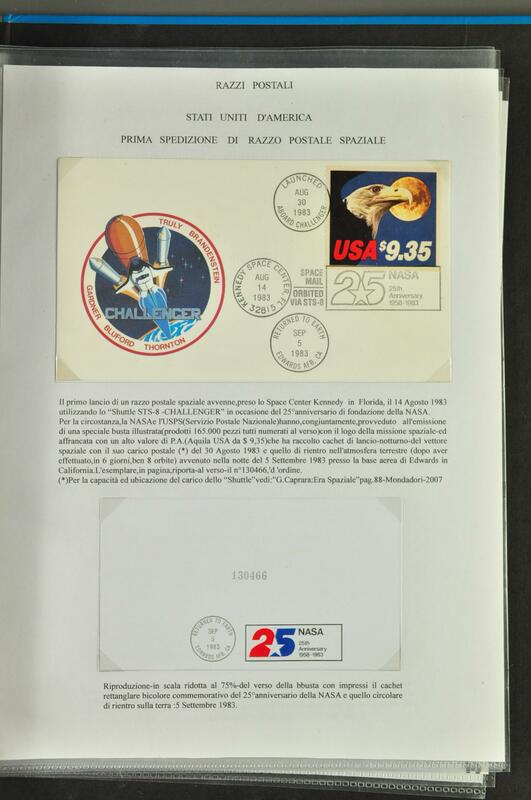 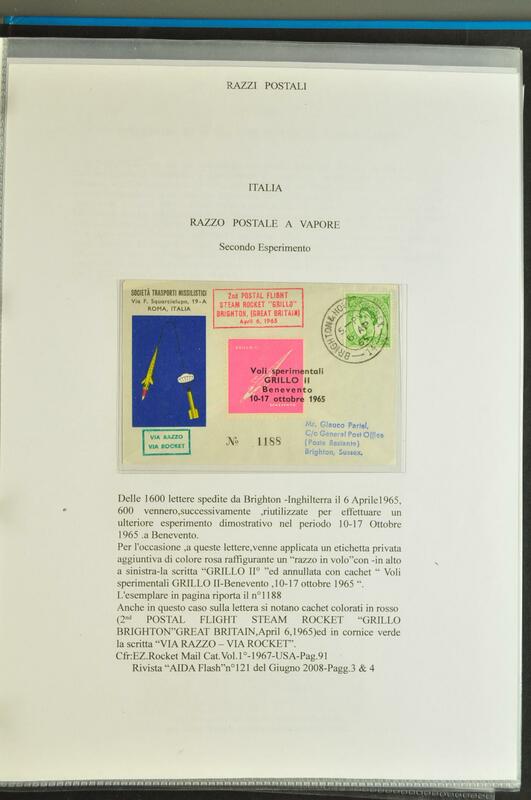 1960/90: Lot several hundred stamps used/unused as well as a large number of cards and covers covering the topic 'From the Earth to the moon' several decades of man in space, mainly small items incl. 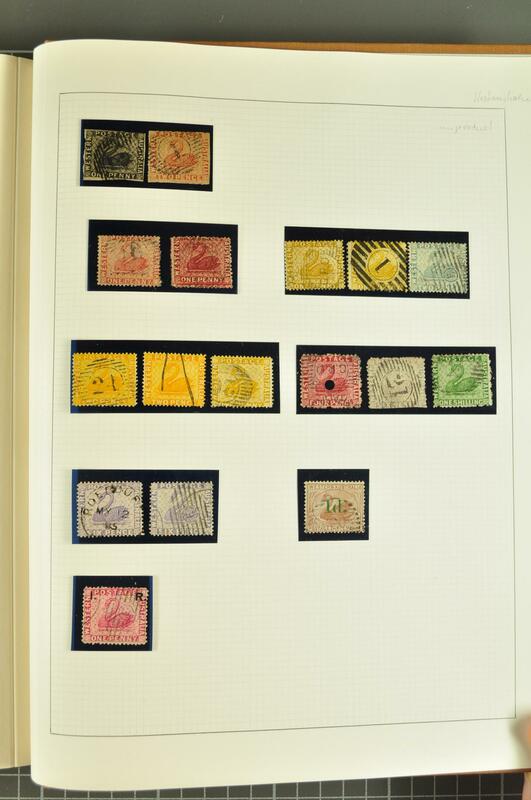 some silk badges from various space missions, mainly mounted on album pages, the whole arranged in a large removal box. 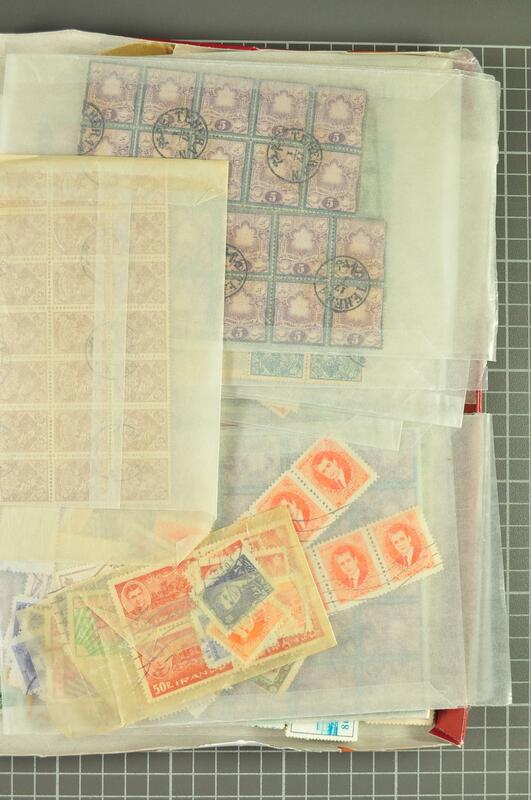 1900/80: Lot some thousand stamps used/unused from Switzerland and plenty of other countries all around the world, mainly small values and duplicats, partly in heavy quantities, in addition a bunch of cards and covers taken from daily or business mail, housed in total 18 albums and stockbooks, the whole arranged in a large removal box. 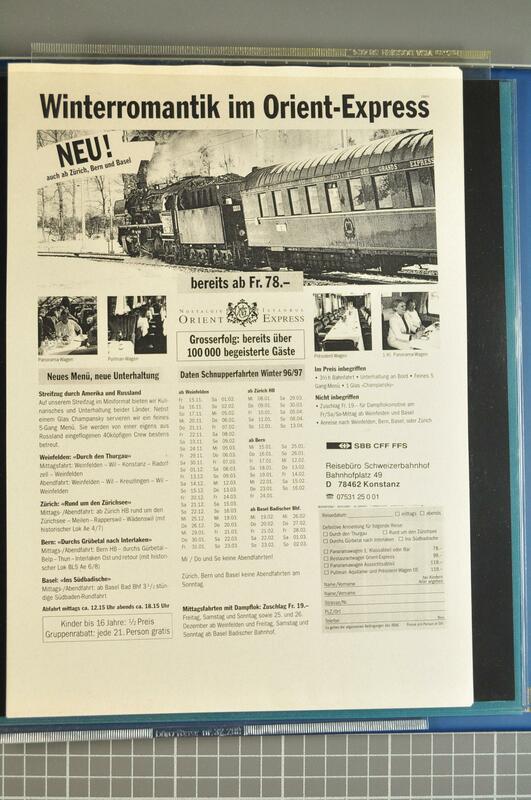 1900/2000c. 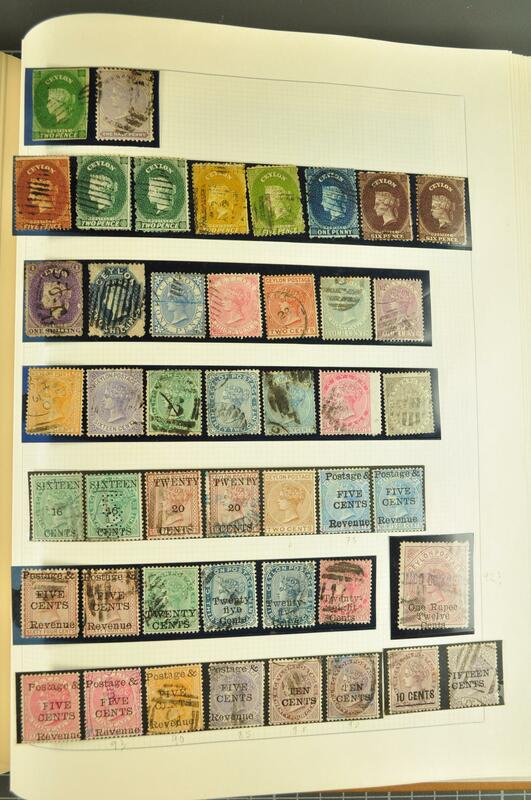 : Lot thousands stamps worldwide used and unused, stored in glassines, in 14 small presentation boxes. 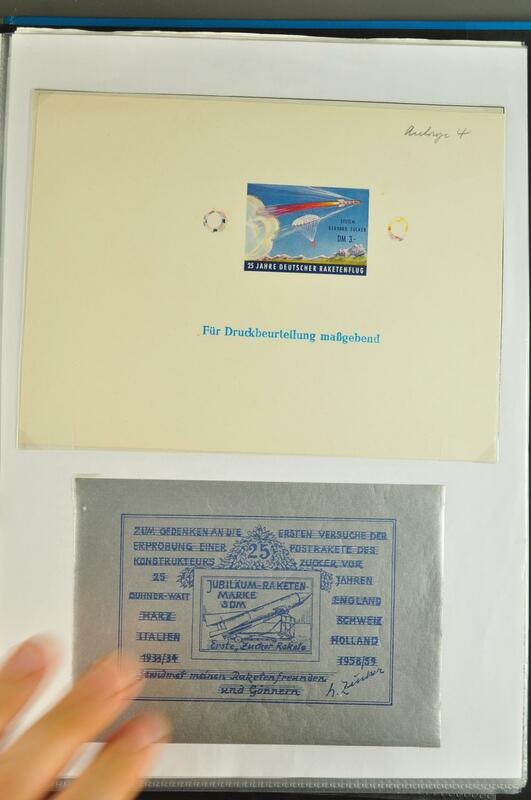 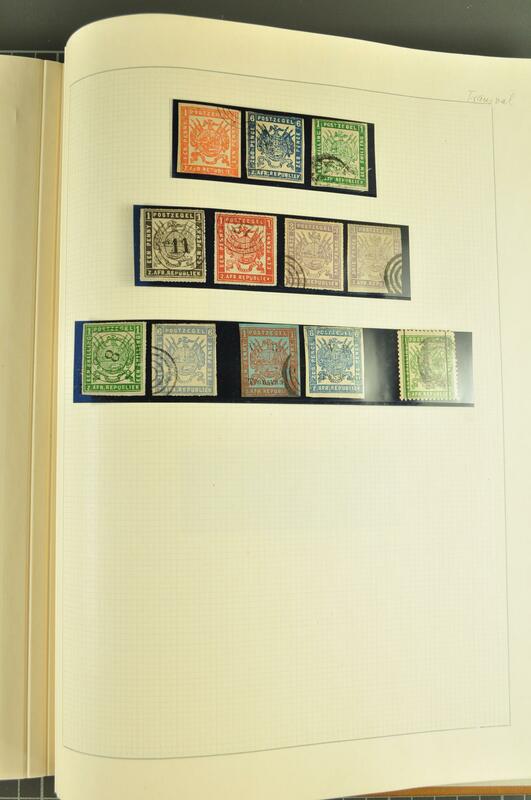 1974: Special collection 100 Jahre UPU 1874-1974", stamps incl. 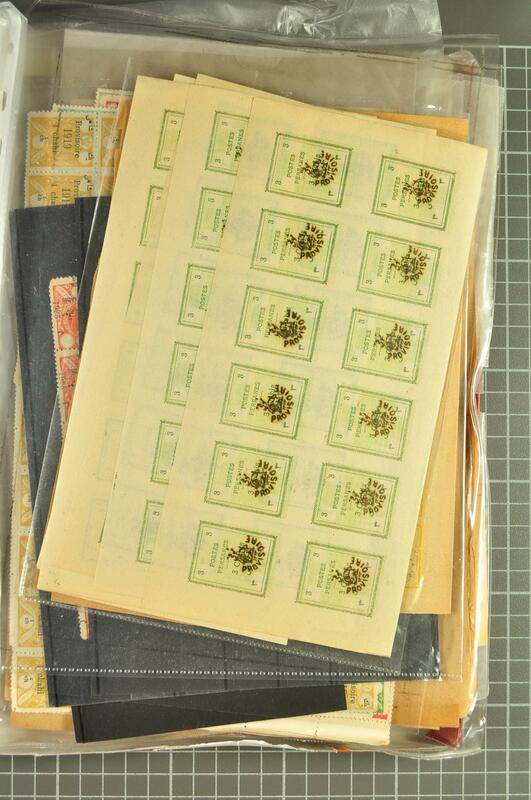 full sets, souvenir sheets, miniature sheets etc. 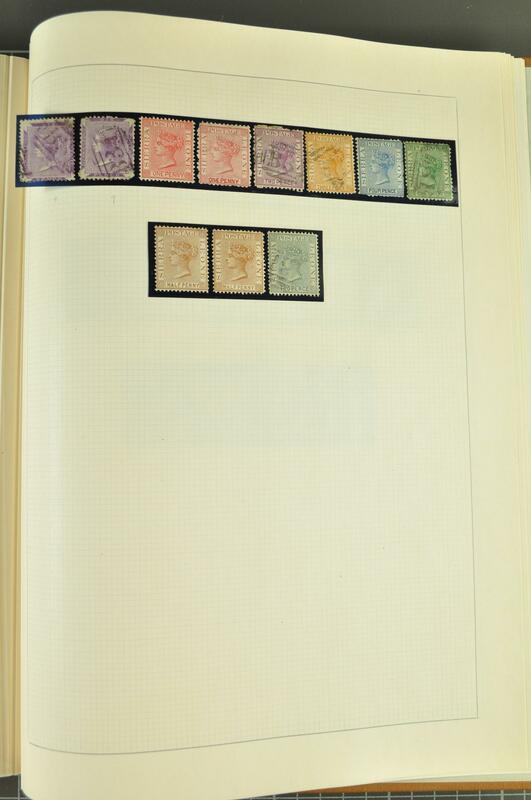 from various countries all over the world, housed in four volumes edited by Borek Braunschweig, in addition a folder with related material. 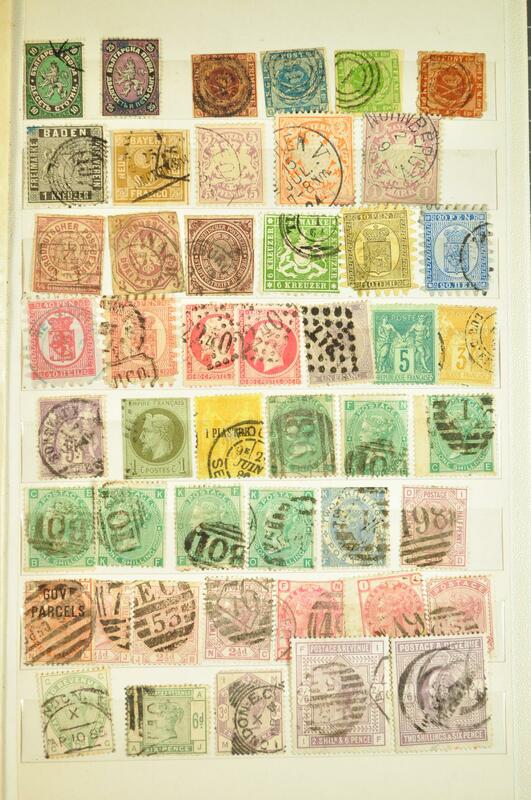 1870/2000c: Lot hundreds stamps used/unused incl. 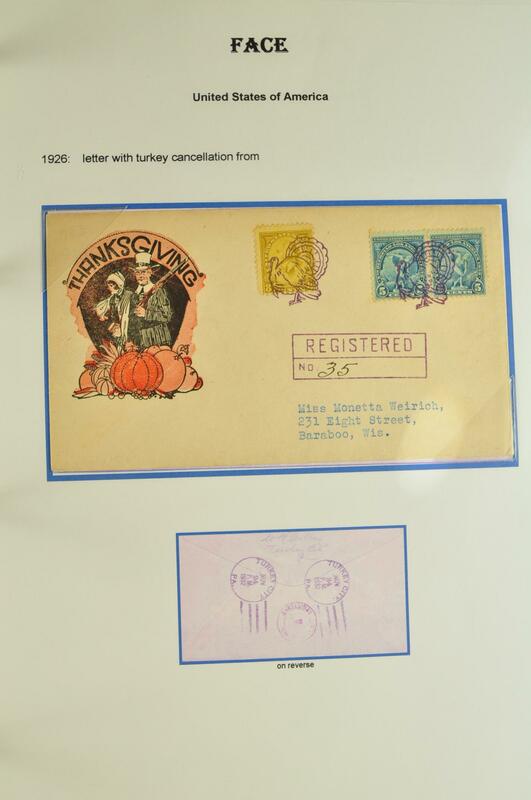 Turkey incl. 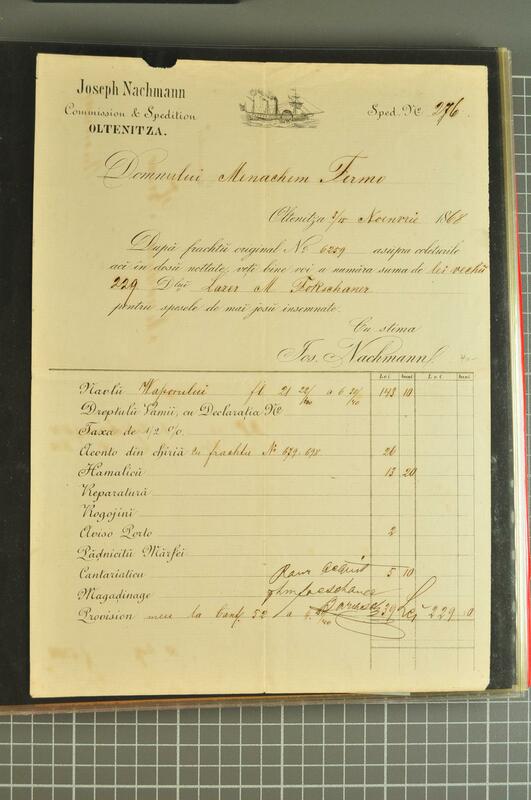 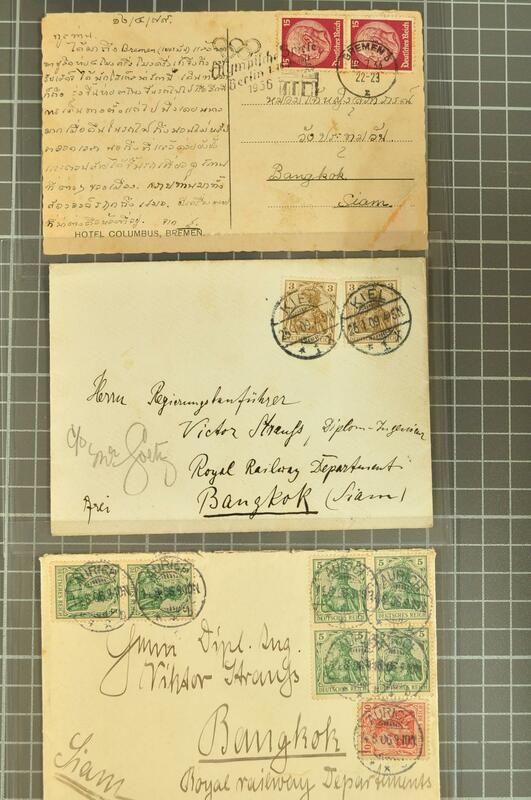 revenues, British Levant, French Levant used in Jerusalem, Austria 1866/77 revenues, Persia, China, Haiti, Mexico, Mongolia, Poland, and Japanese occupation issues in Malaya and Dutch Indies. 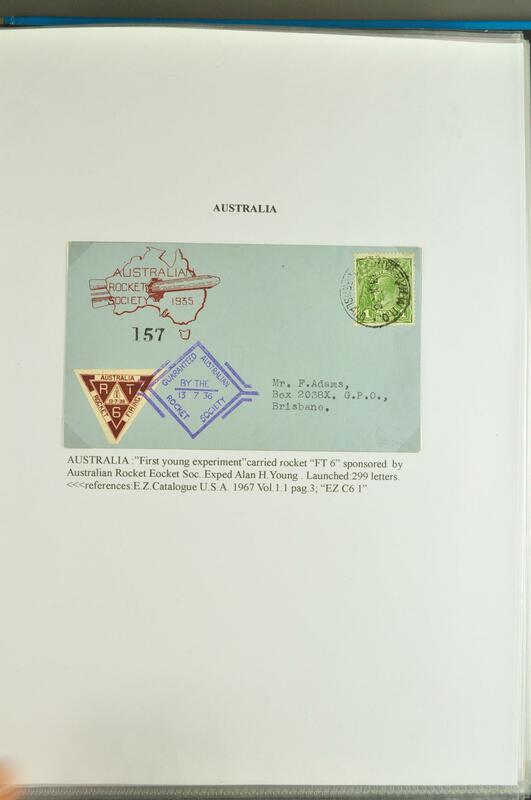 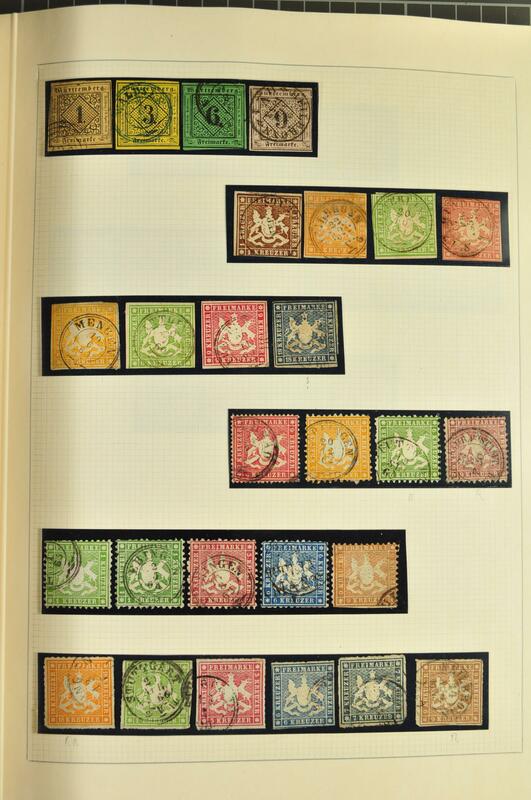 1900/90: Large lot in seven large albums with topic collections used/unused as Hunting, Dogs as well as modern Australia with booklets and some CSSR. 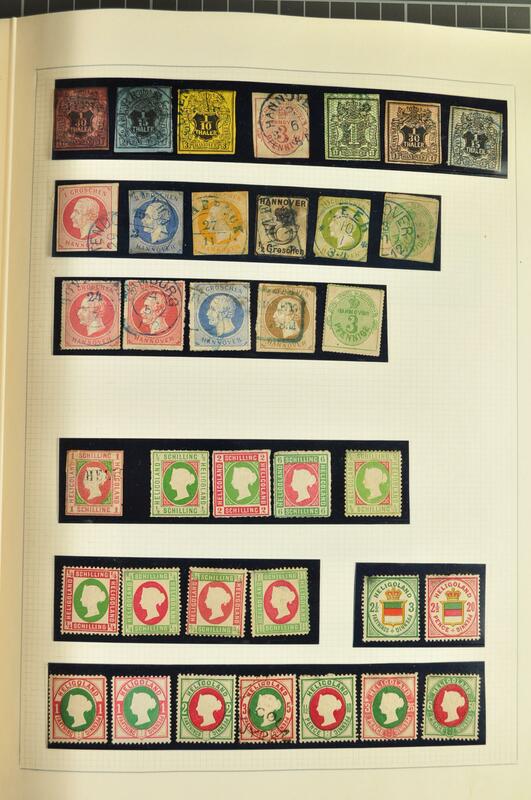 1880/1980: Lot several hundred mainly used stamps from various countries all over the world, mainly small values and duplicats, also a bunch of cards and covers taken from daily or business mail, all housed in 13 albums and stockbooks, in addition a special collection UNO New York 'Flags ot the Nations' housed in five special albums, all arranged in two Banana boxes. 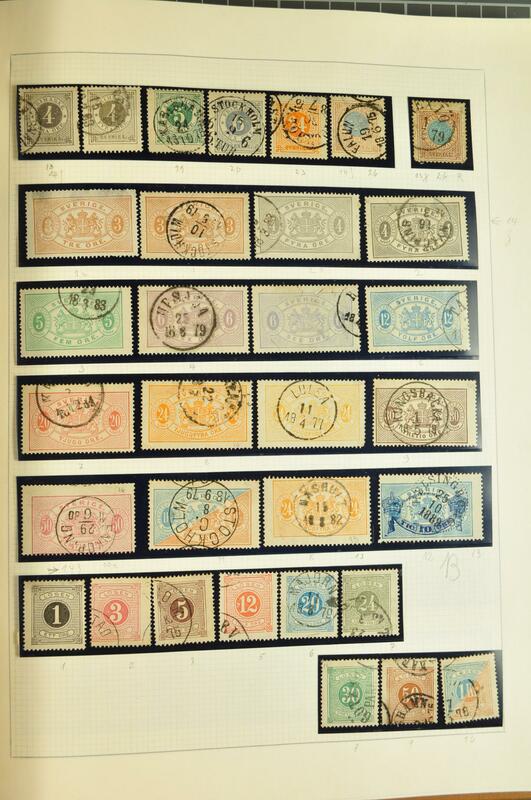 1880/1980: Lot several hundred stamps used/unused from various countries all over the world, noteworthy are Japan, Brit. 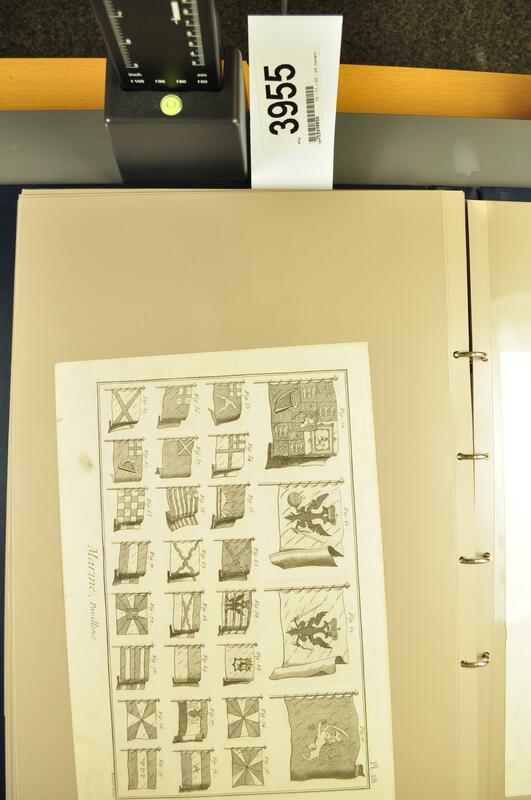 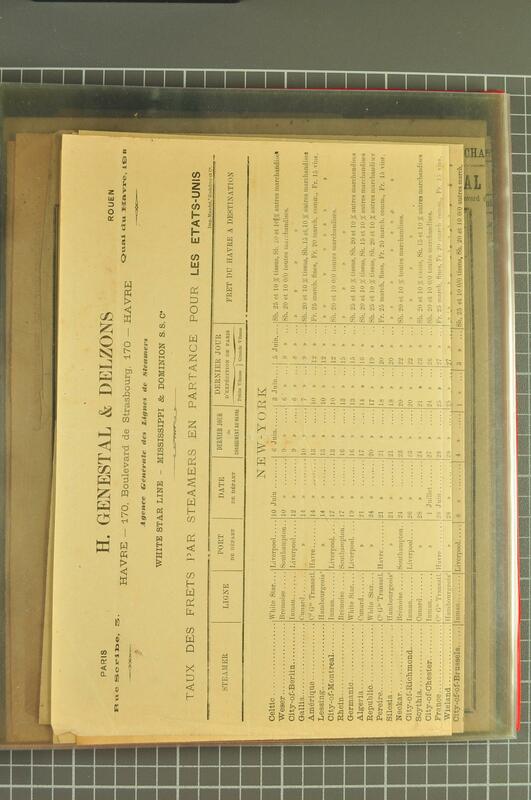 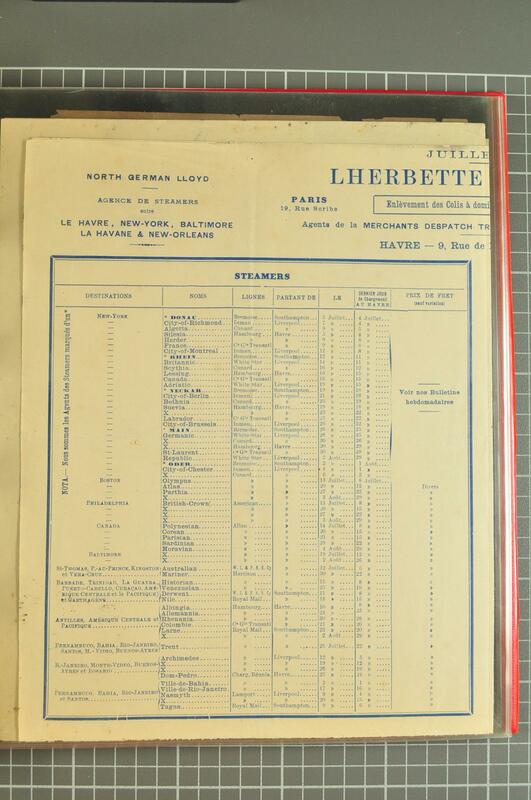 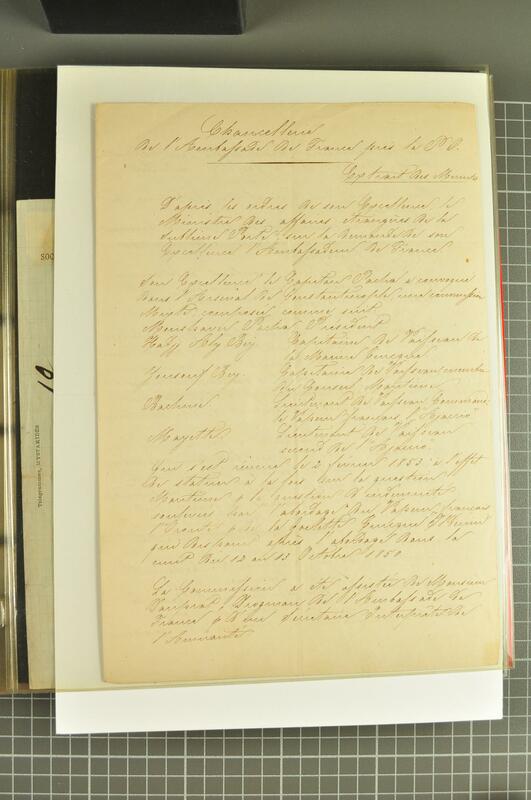 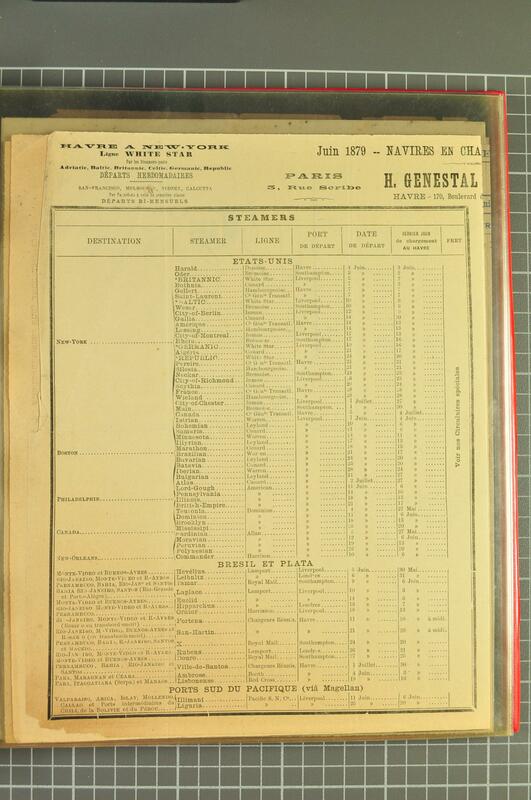 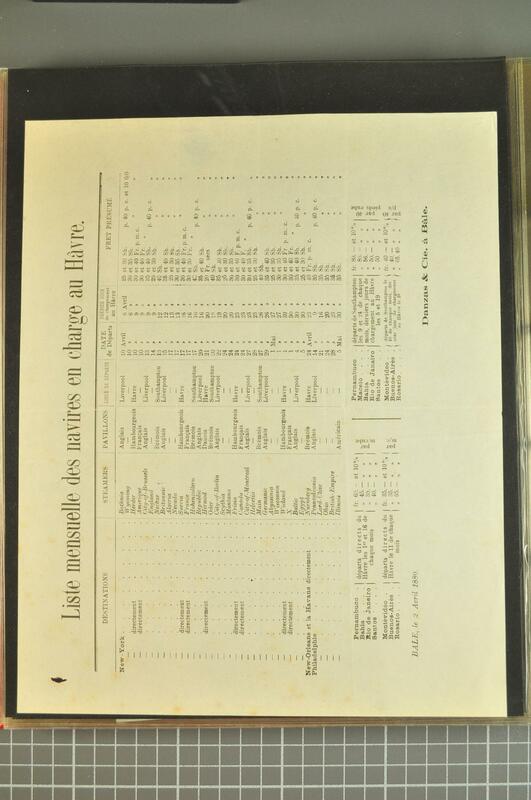 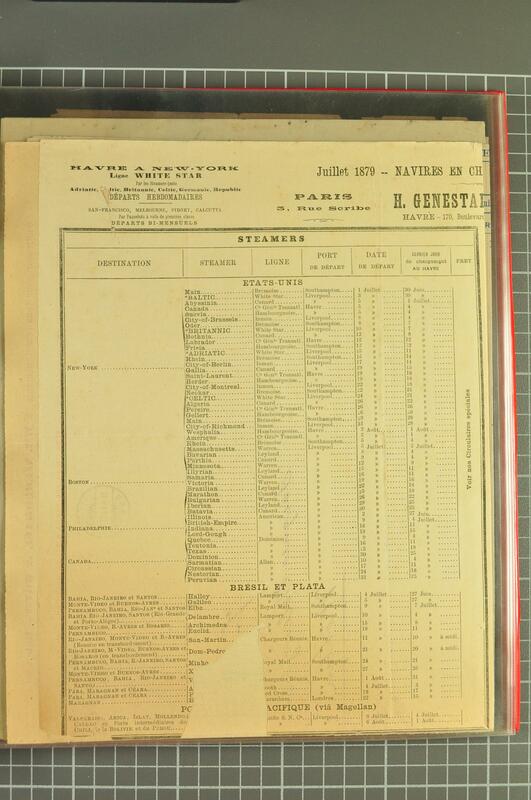 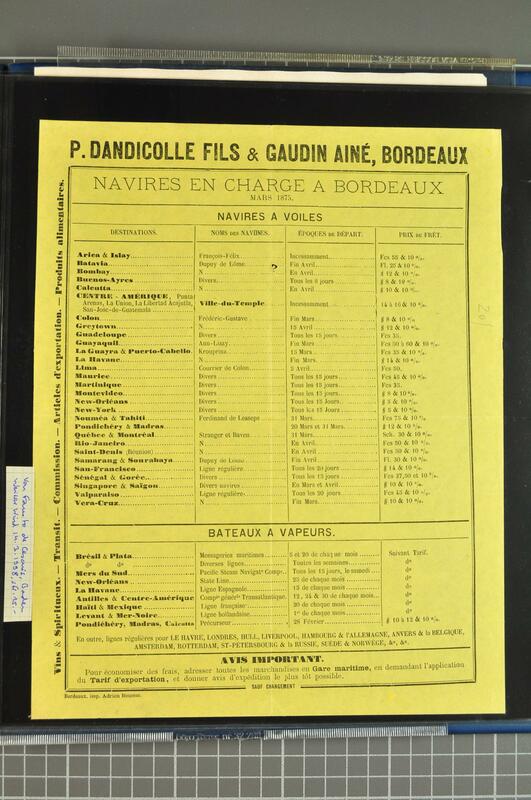 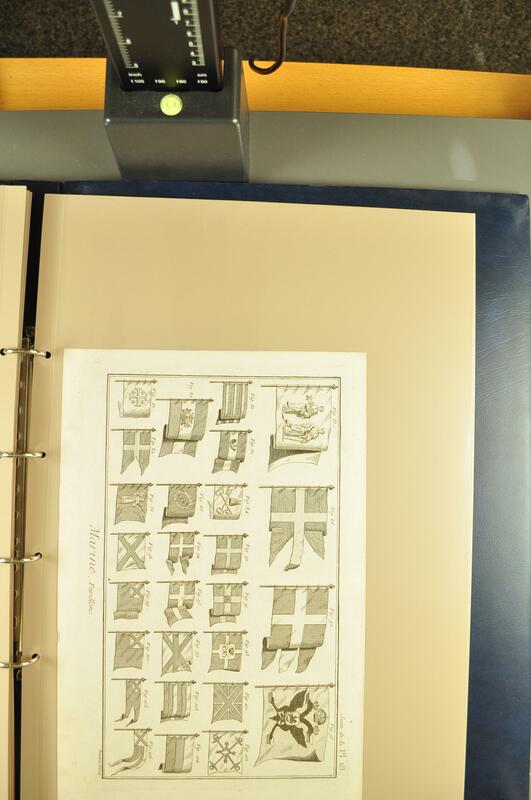 and French Colonies, Somalia etc., good to mixed condition and arranged in two albums, on album pages, stockcards and in glassines, the whole in a medium sized box. 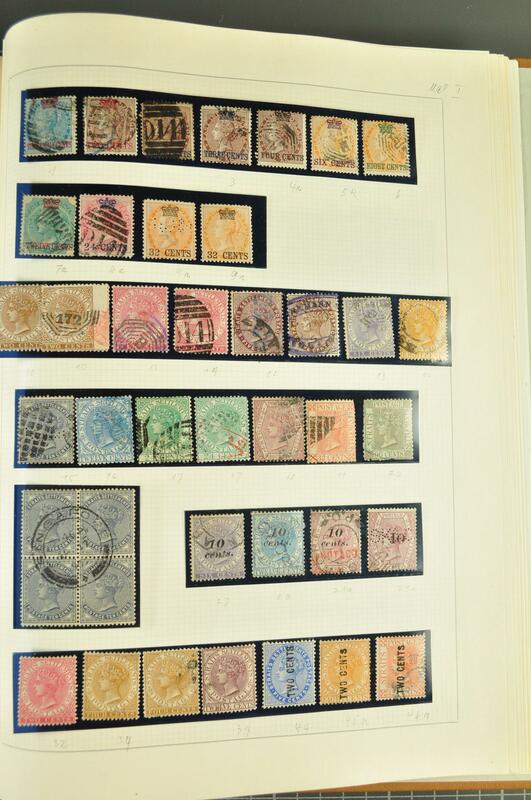 1880/1950: Lot several hundred stamps used/unused, mainly small values and sets from the Baltic States, France and Colonies, Greece, Hungary, Jugoslavia, Montenegro, Russia, Sweden, Egypt, Japan, USA and some others, mainly in good condition and housed in four albums. 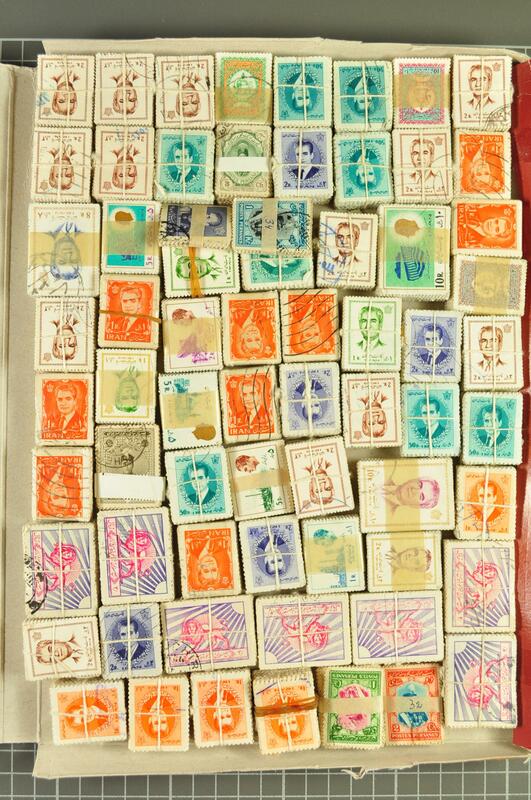 1880/1980: Lot several hundred stamps used/unused or in mint condition, mainly small values and duplicats, partly in full sets, incl. 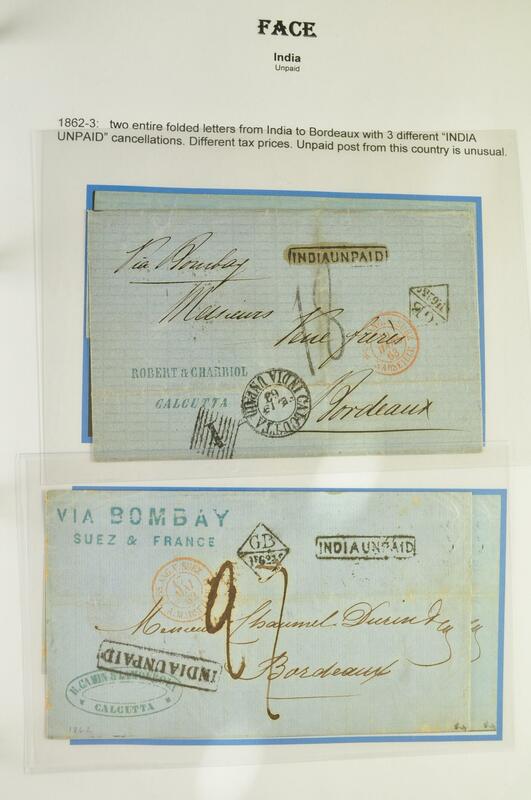 Switzerland with UNO Geneva, Austria, GB. 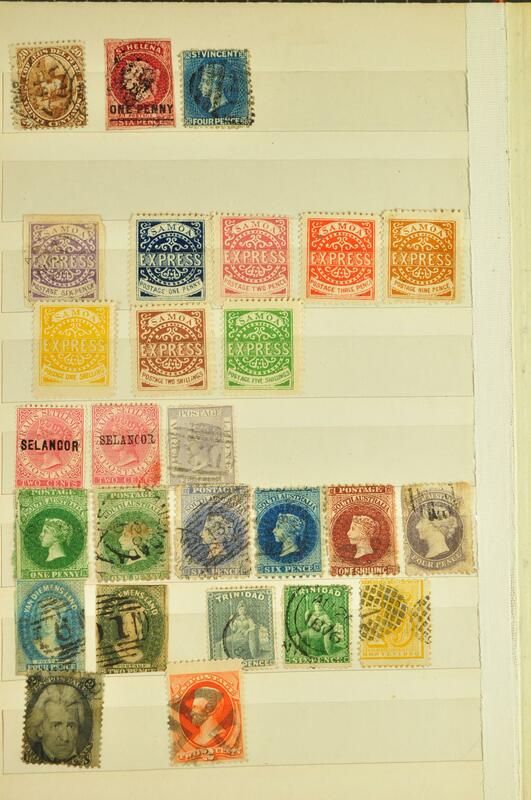 Argentina, USA and others, good to mixed condition, housed in total 15 albums and stockbooks and the whole arranged in a large removal box. 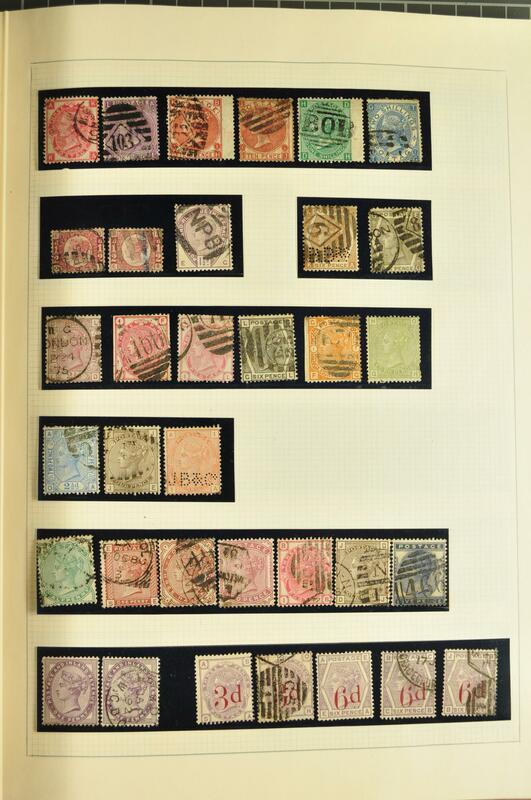 1880/1980: Lot several hundred stamps used/unused or in mint condition, mainly a stock of Romanian material delivered partly in full sheets, in addition stamps of the German Reich and Egypt, inbetween few other countries may be found, the whole housed in seven stockbooks and mint sheet folders as well as on a large number of small stockcards, all arranged in a Banana box. 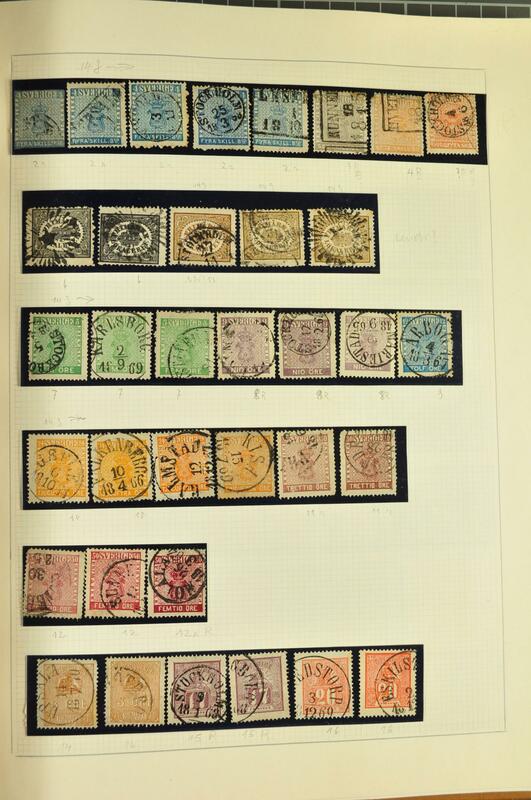 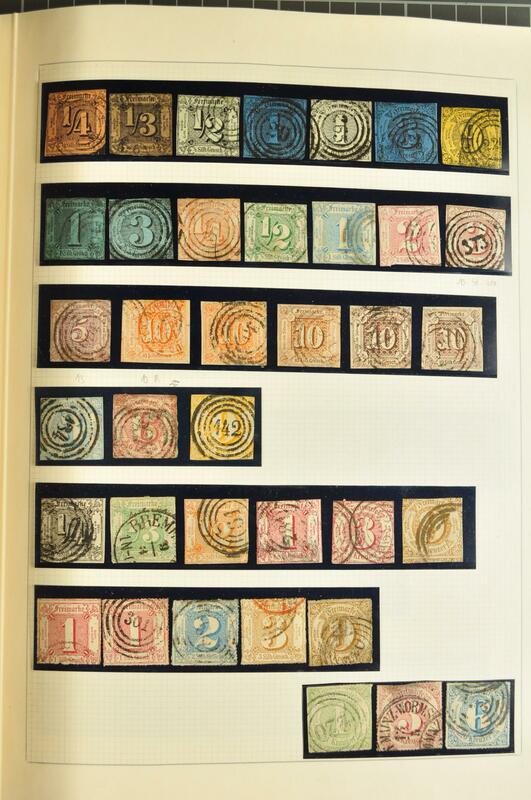 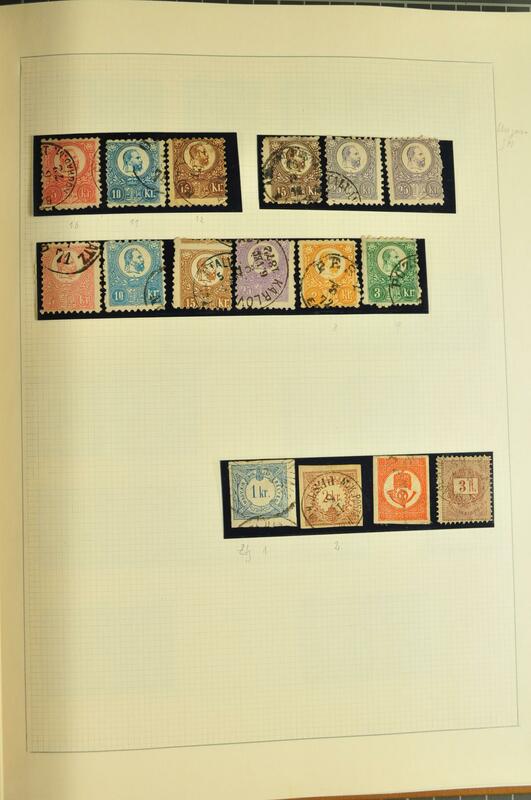 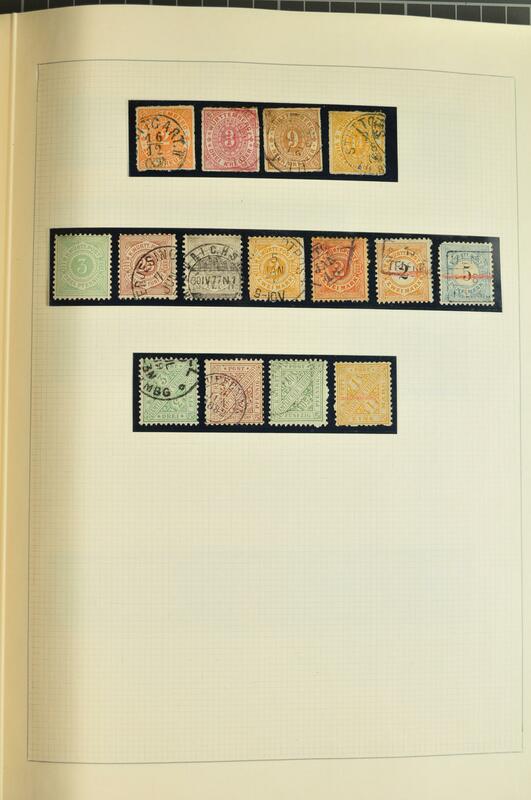 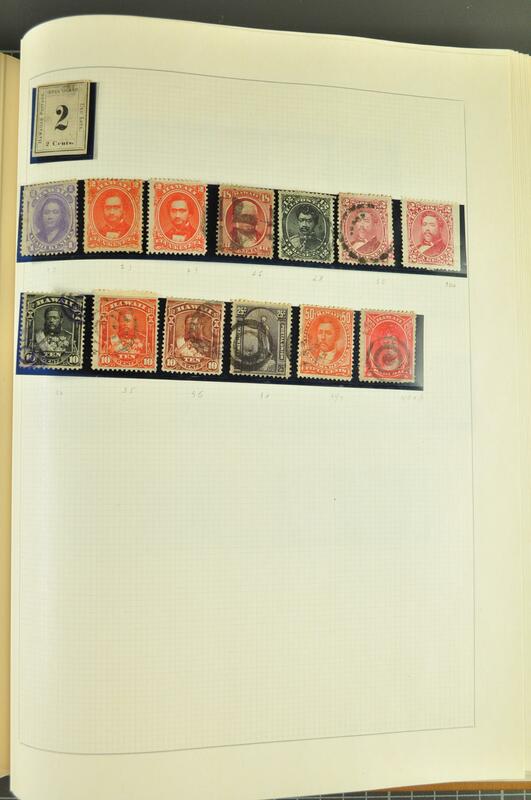 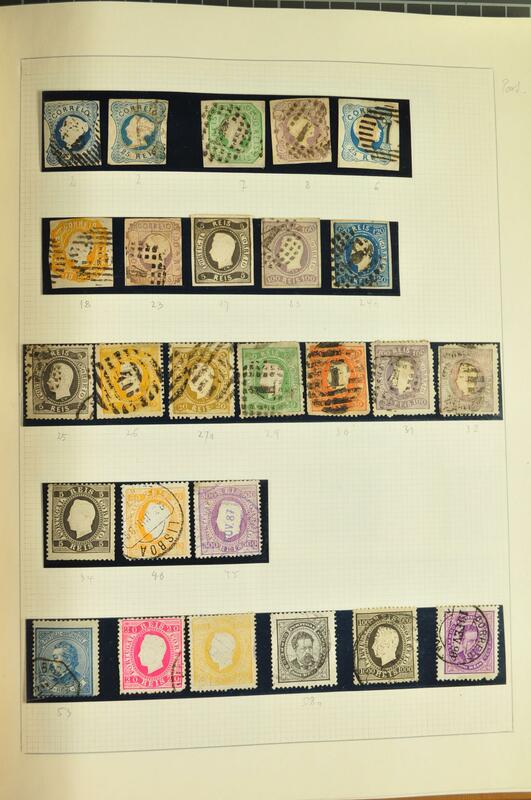 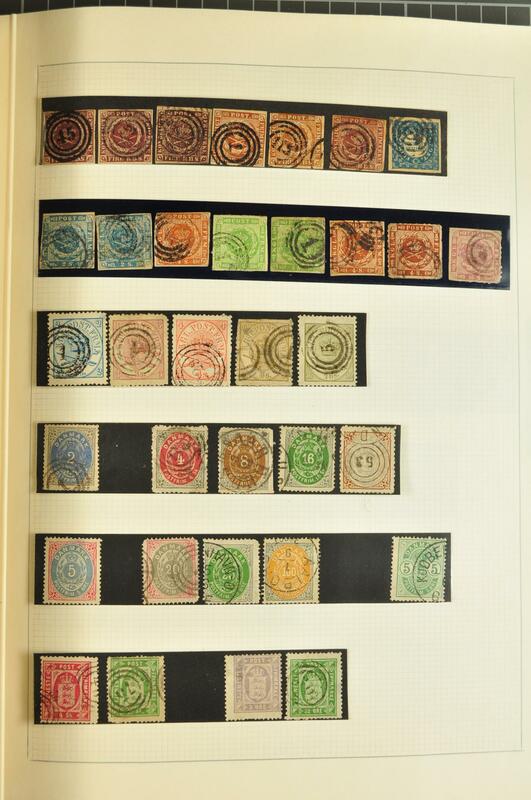 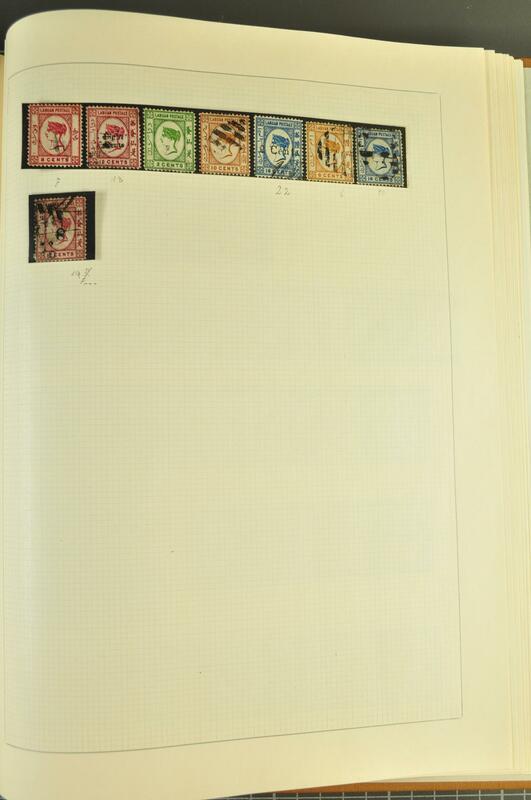 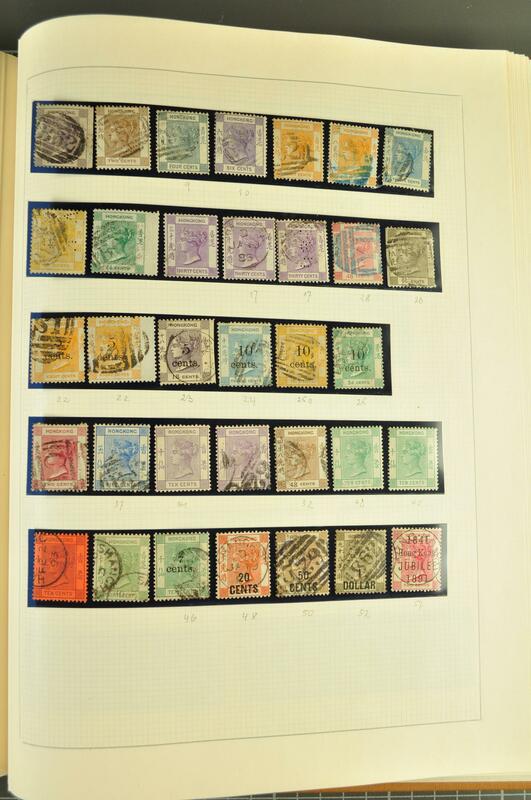 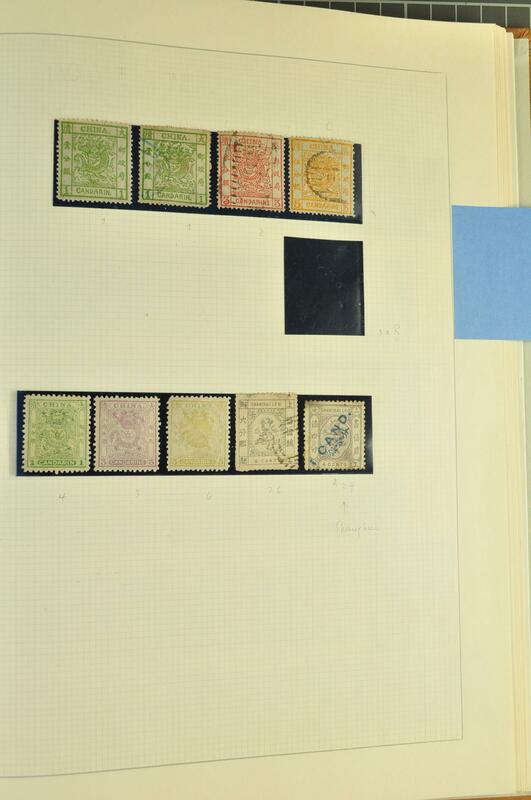 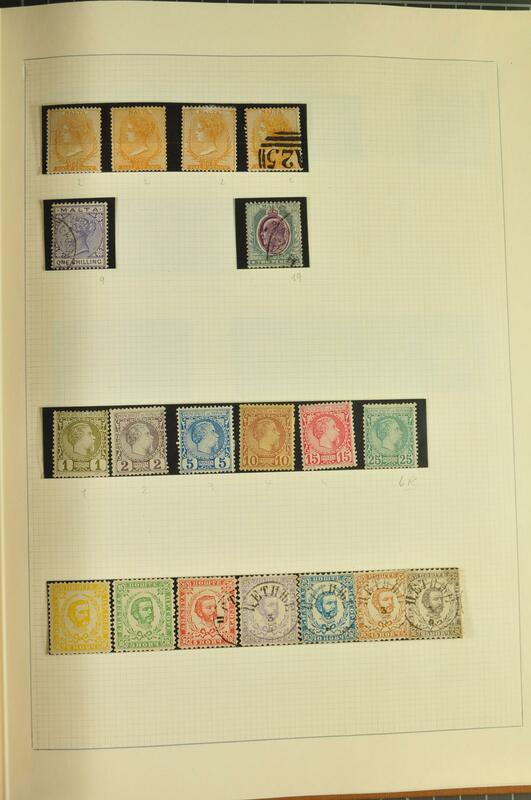 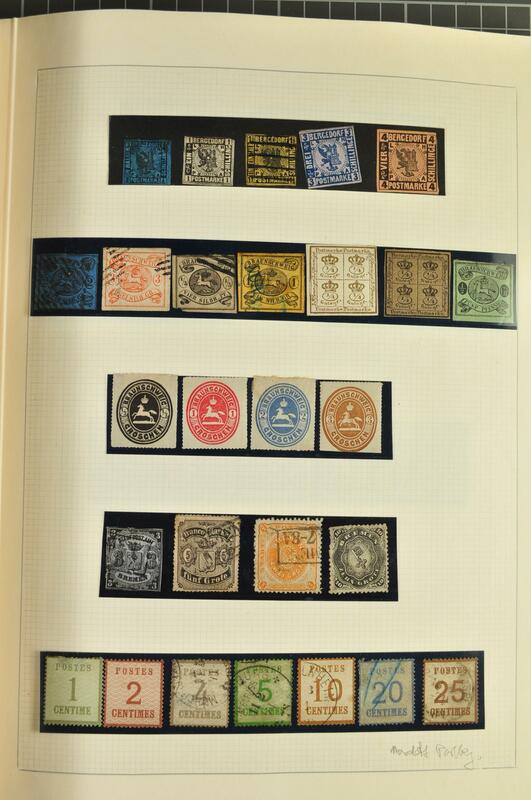 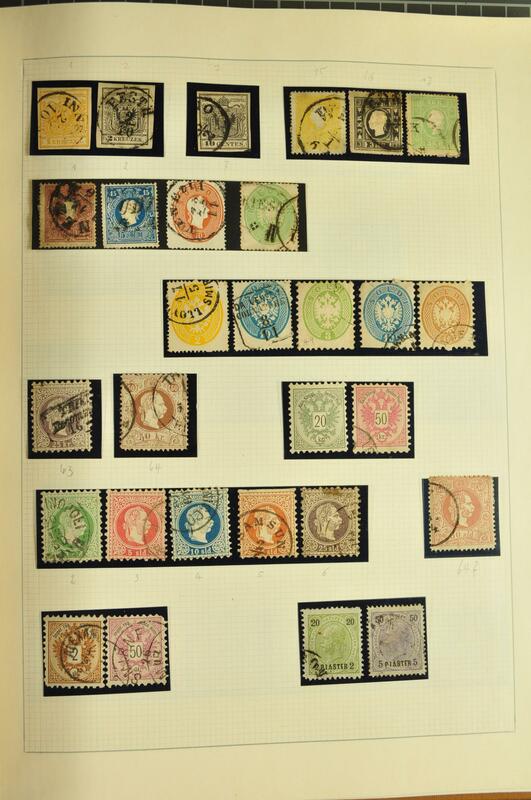 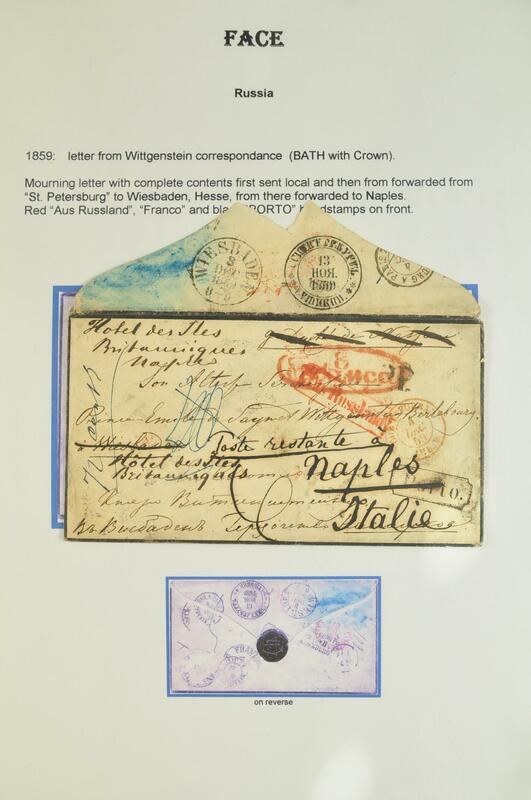 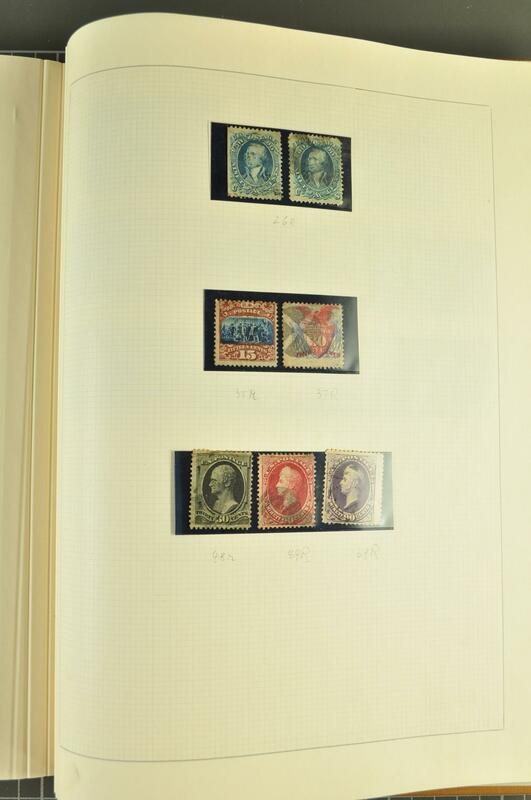 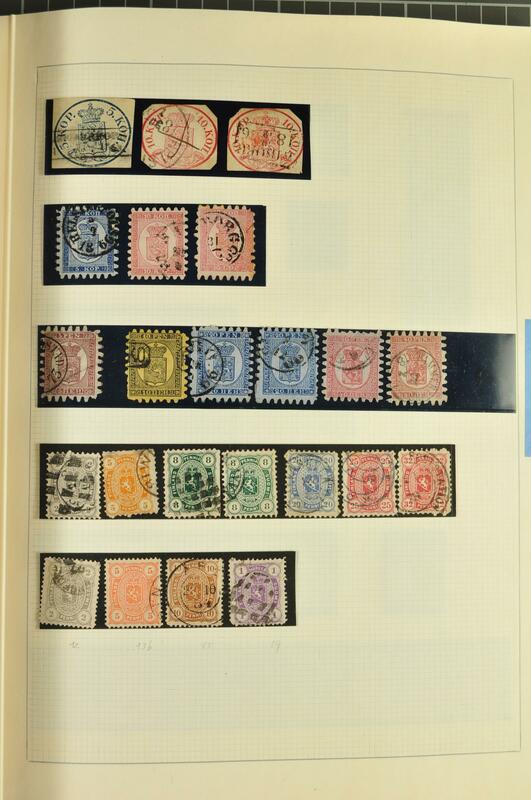 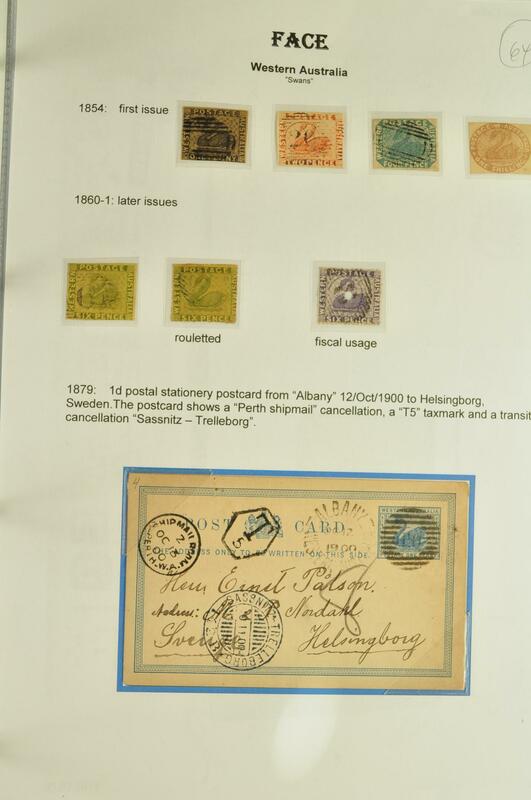 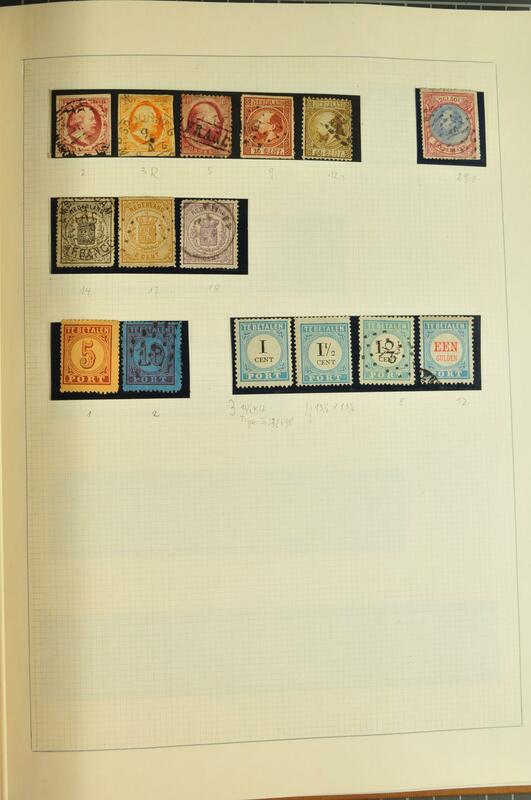 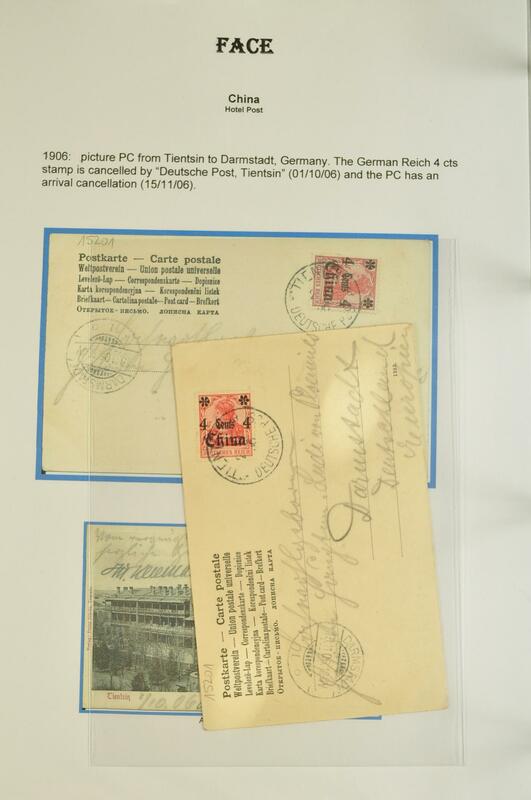 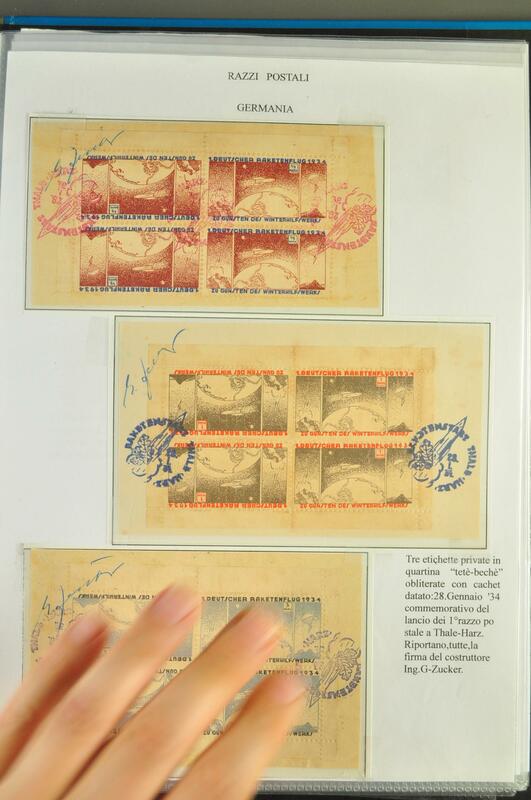 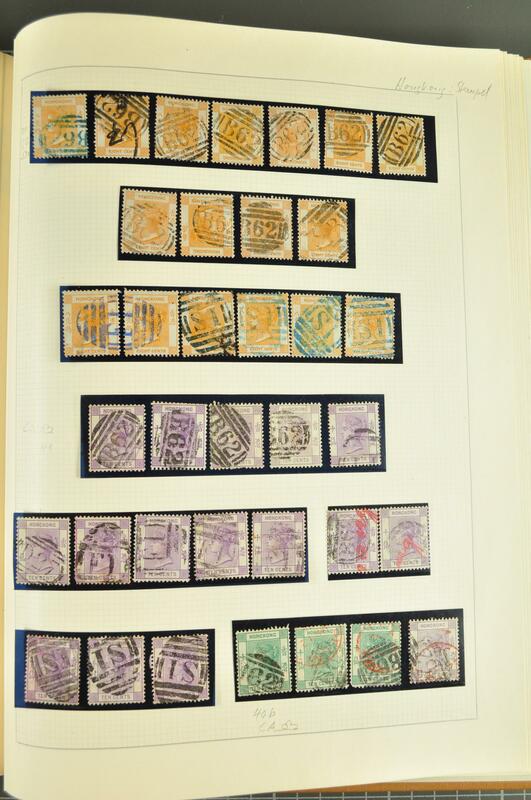 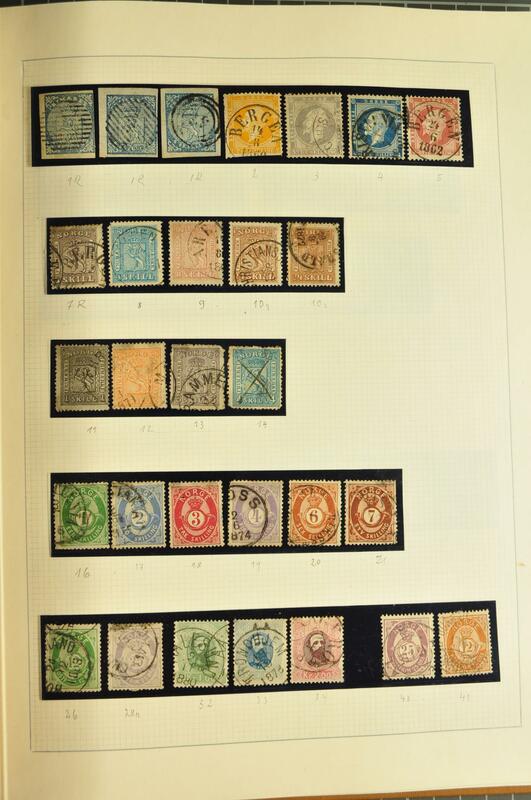 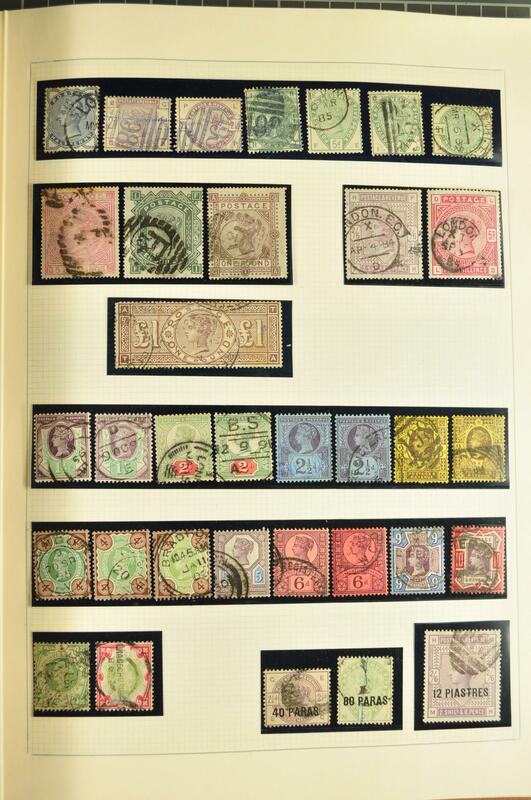 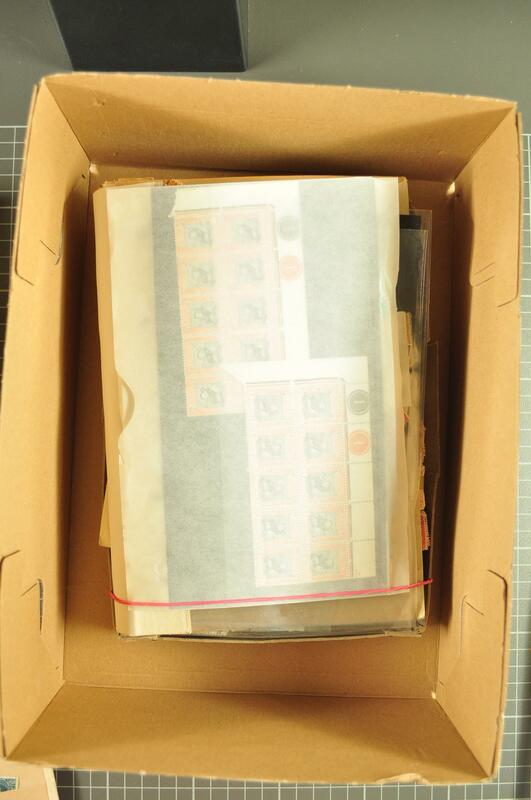 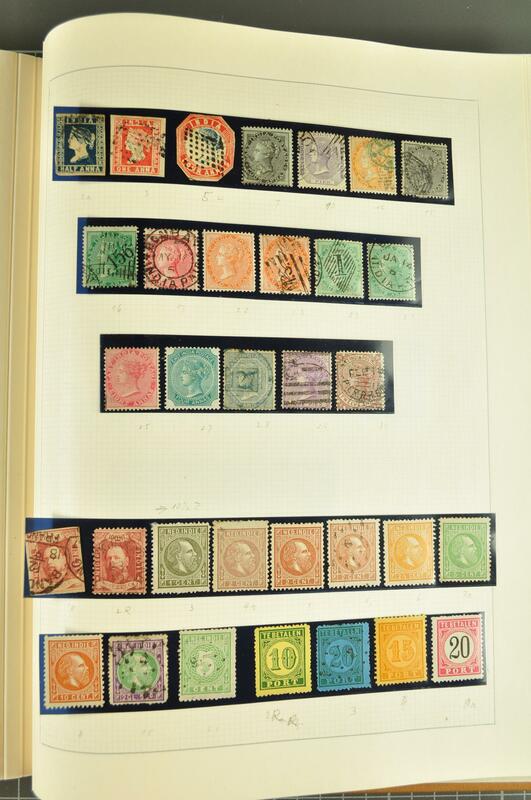 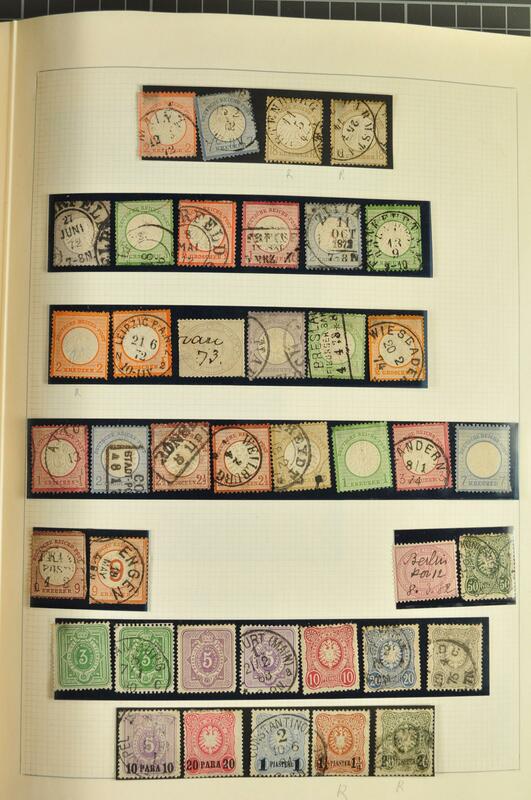 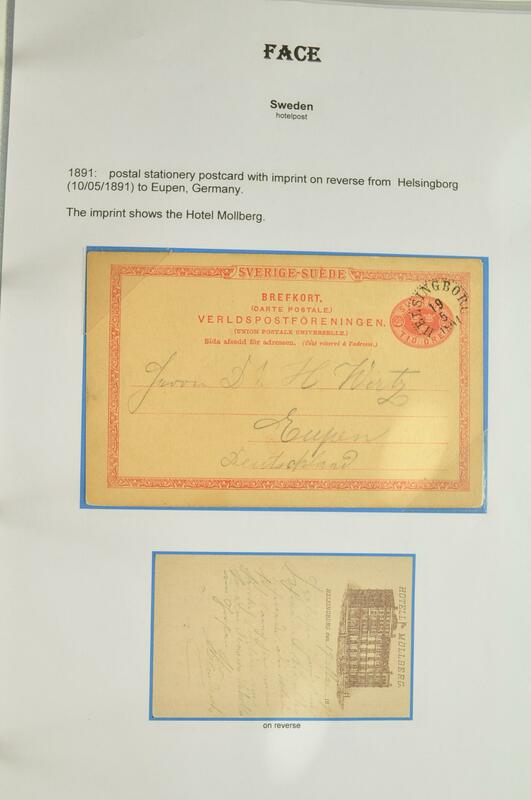 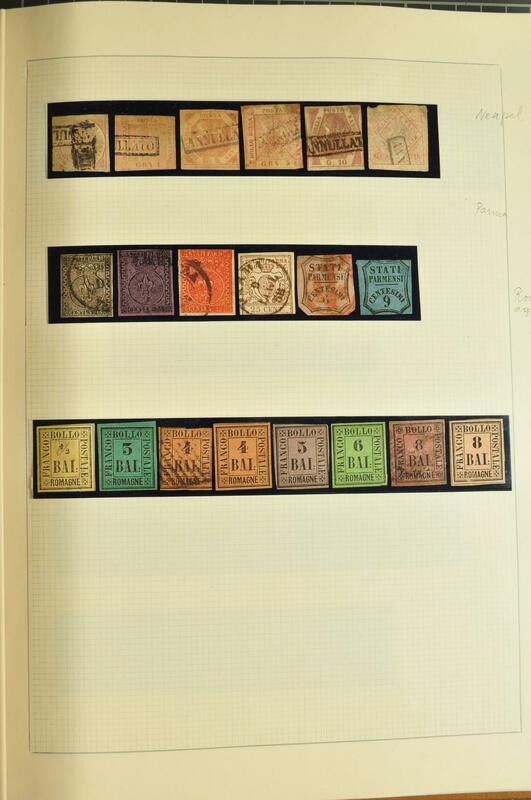 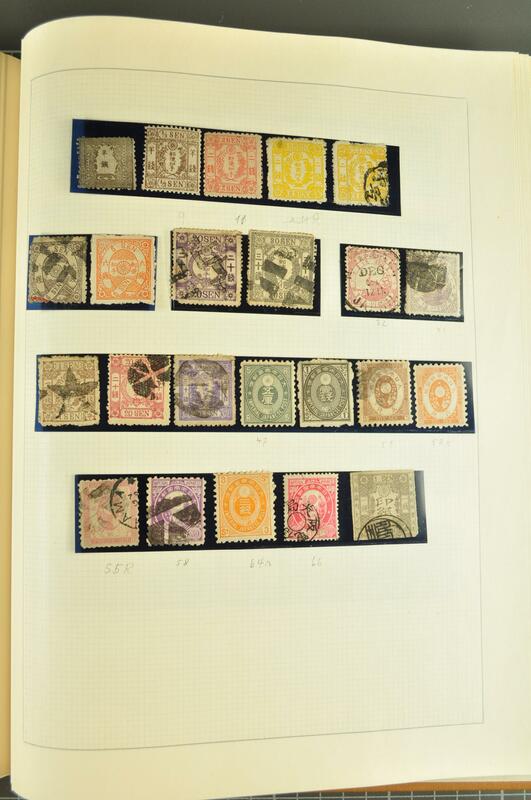 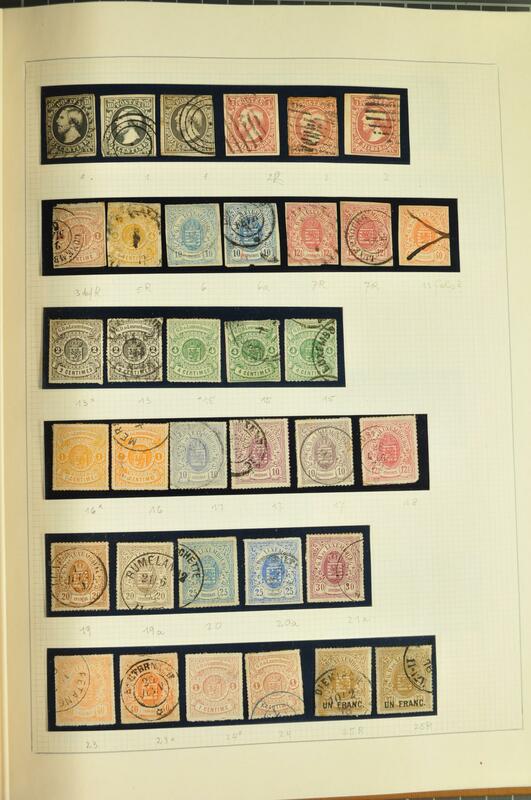 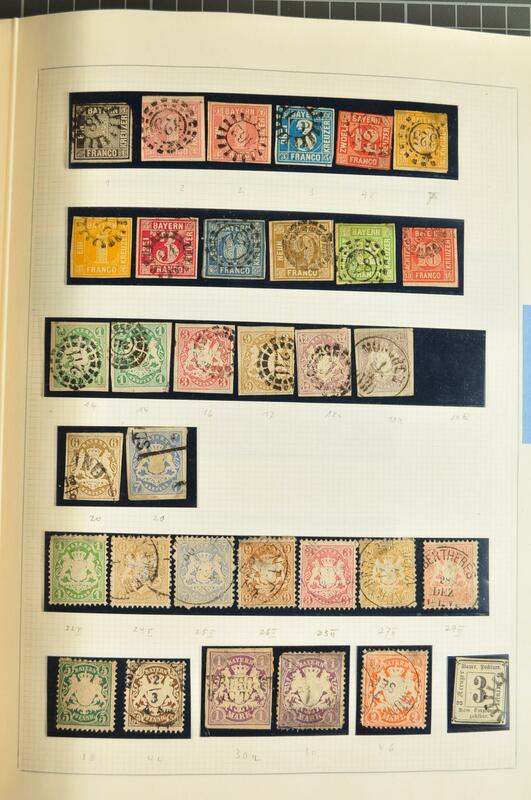 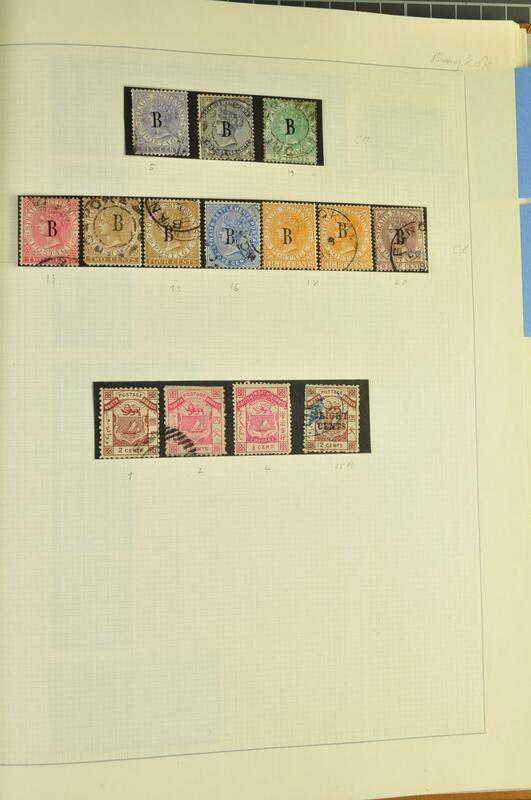 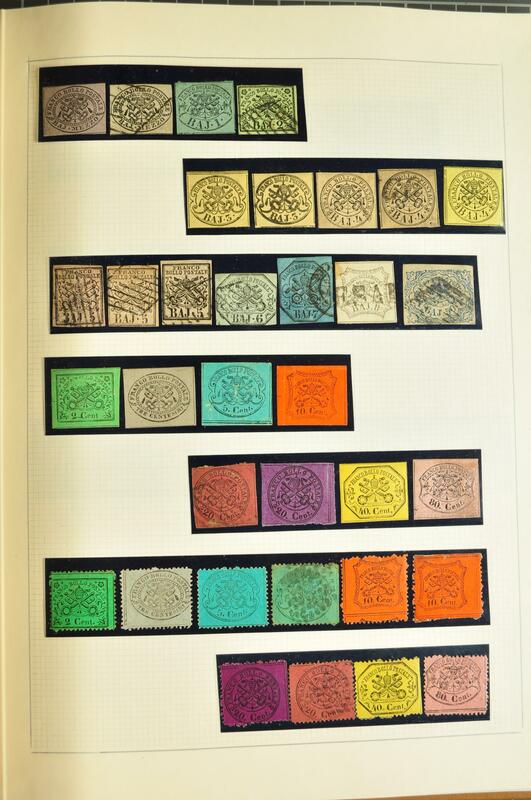 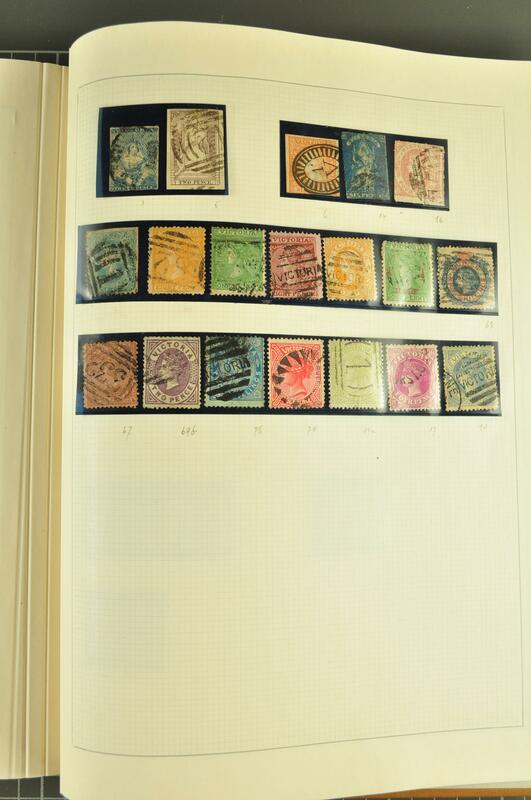 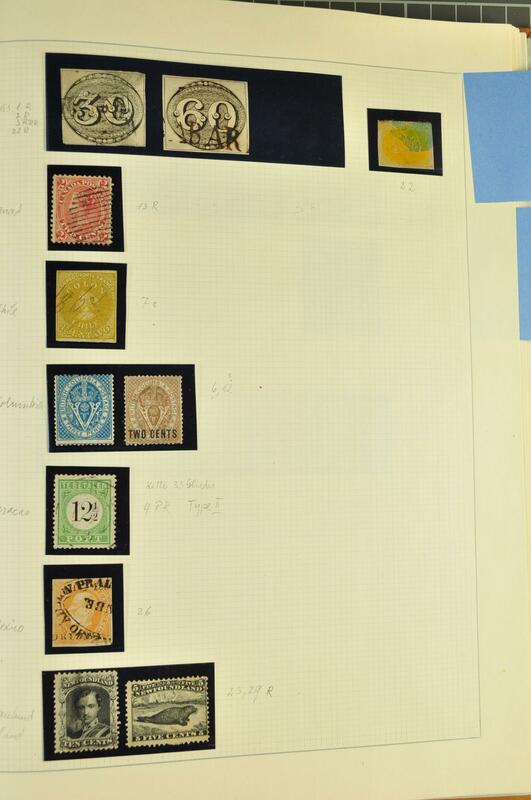 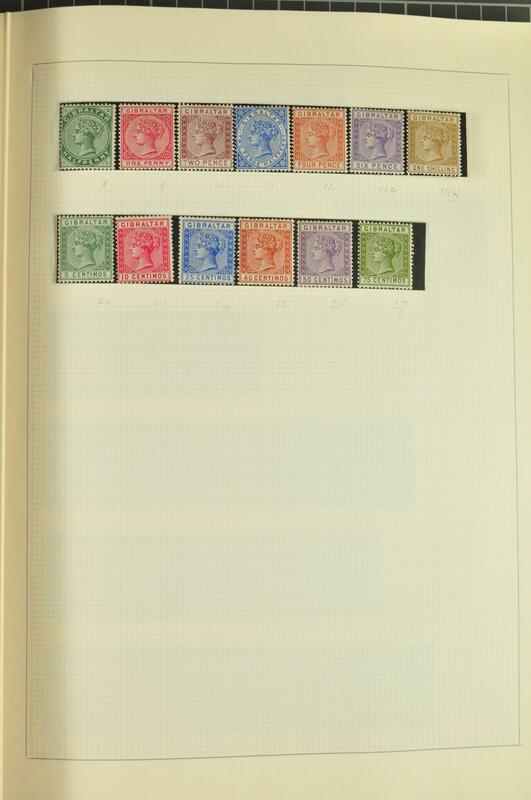 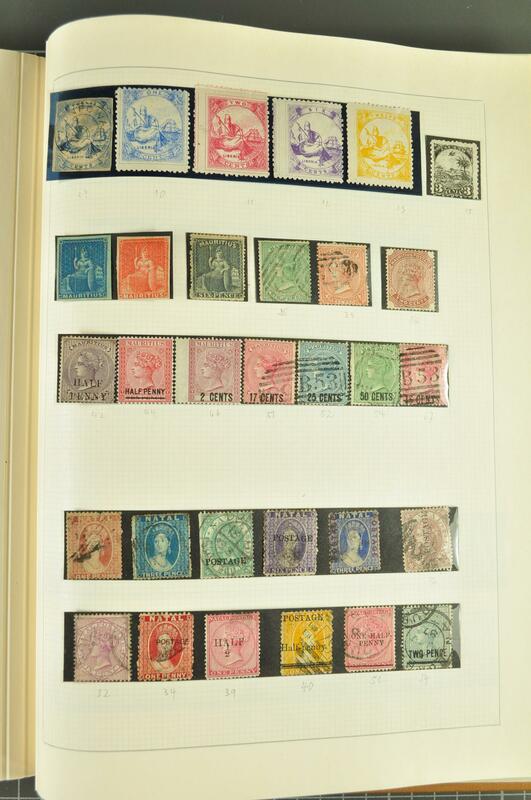 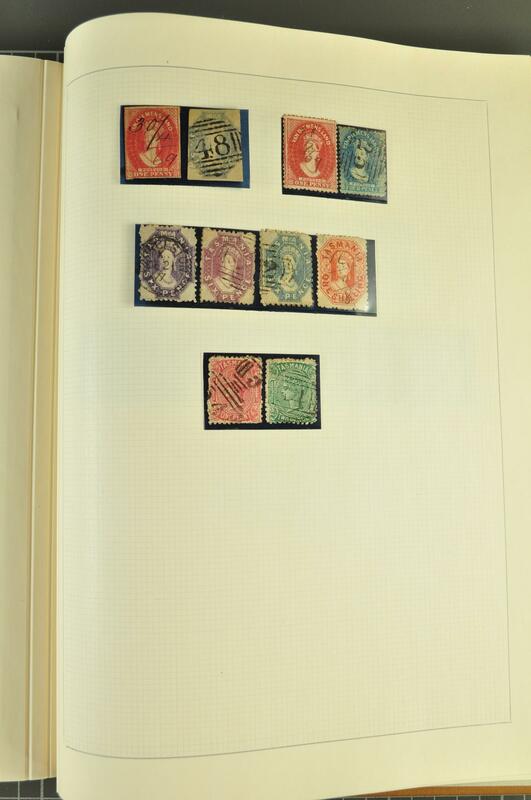 1880/1980: Lot some thousand stamps used/unused covering a wide array of countires in Europe and overseas, incl. 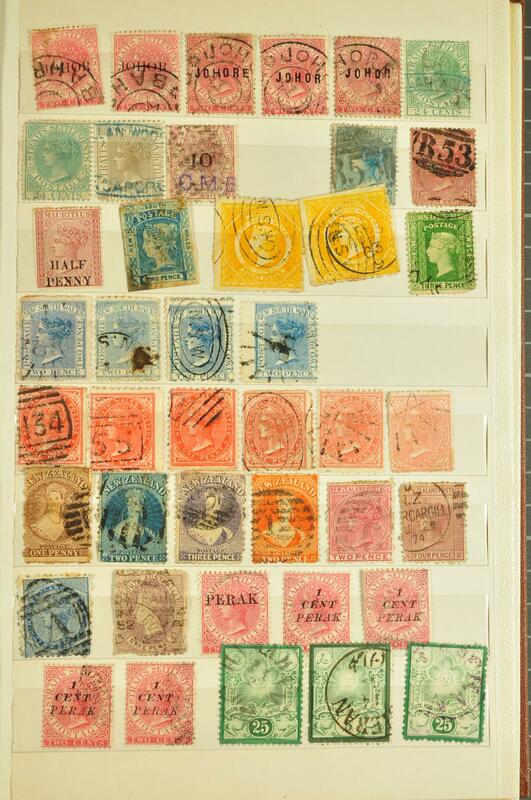 GB and former Colonies, Italy and related aereas, Portugel, Russia, Spain, USA and others, mainly small values and duplicats, good to mixed condition and housed in total 19 albums and stockbooks as well as in two small boxes, the whole arranged in a large removal box. 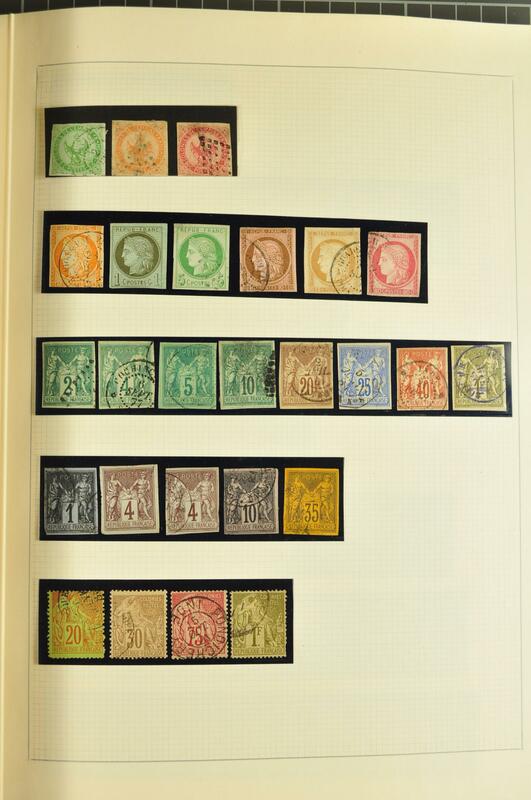 1900/80: Lot several thousand stamps used/unused or in mint condition, the main part being material from Liechtenstein with single items, blocks of four and full sheets and Gold Coast/Ghana with full sets and souvenir sheets, inbetween also stamps from other countries can be found, housed in various albums, stockbooks, files and in a small box, in additon a buch of cards and covers covering the German period of the III. 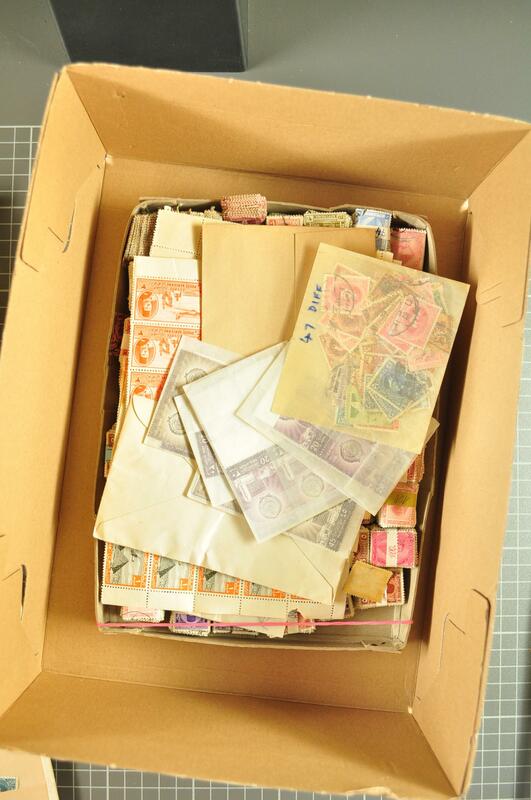 Reich, the whole arranged in a large removal box. 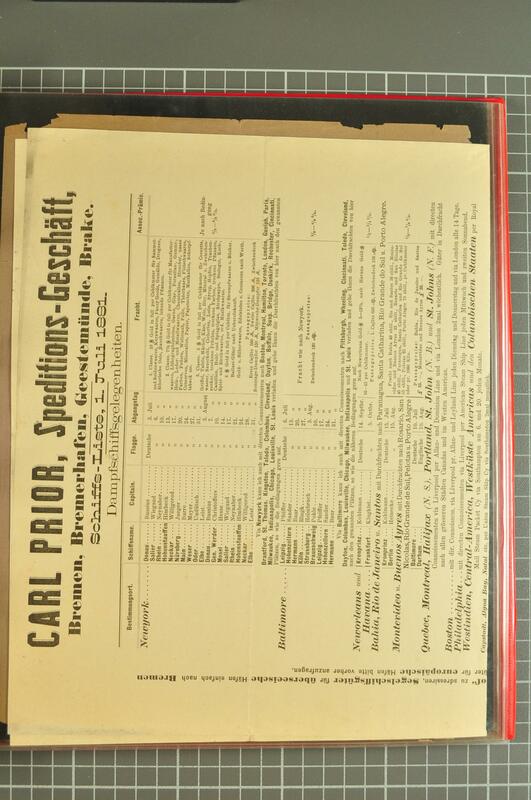 1900/50ca. 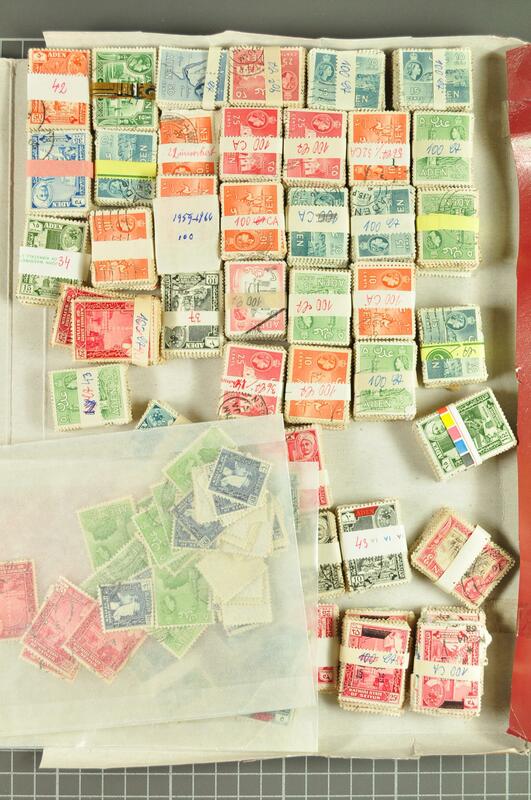 : Estate with hundreds of stamps used/unused incl. 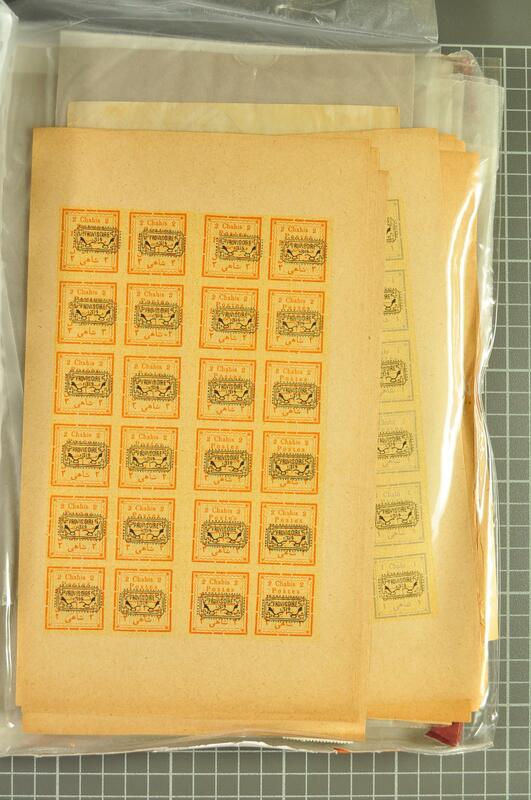 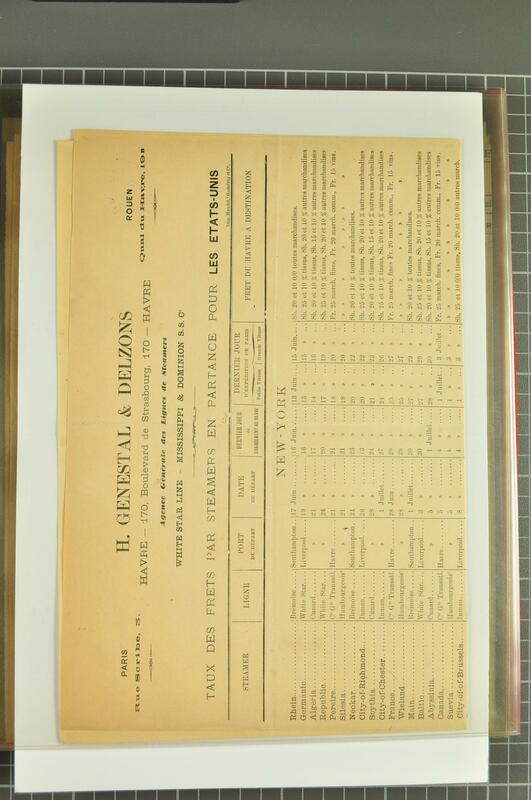 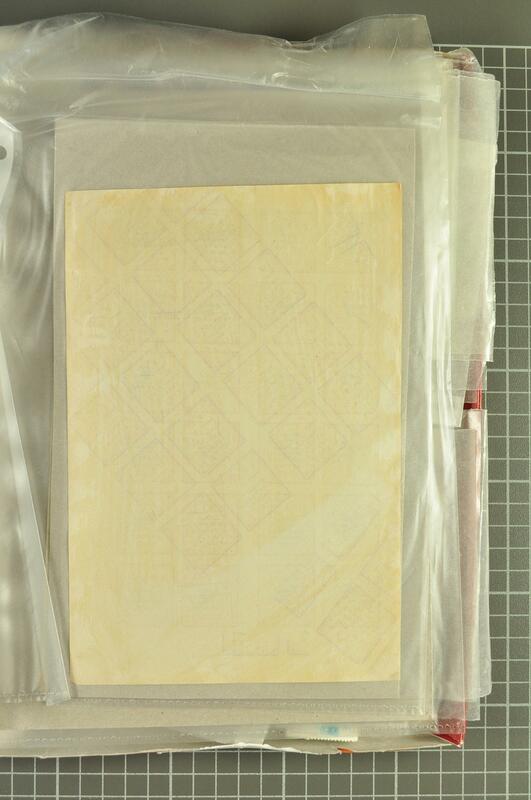 Persia, Iran, Aden, Egypt, Saudi Arabia, Iraq, Sudan, and Jordan, in bundles and glasines, in sheets and part sheets. 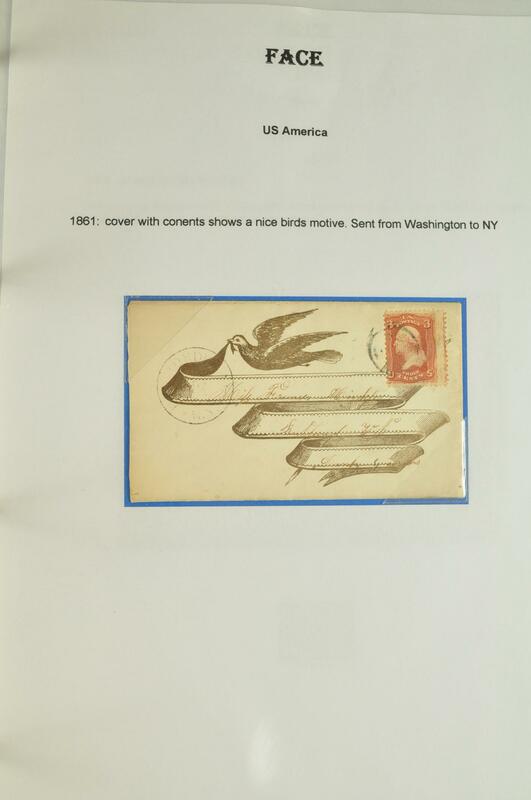 1840/1995c. 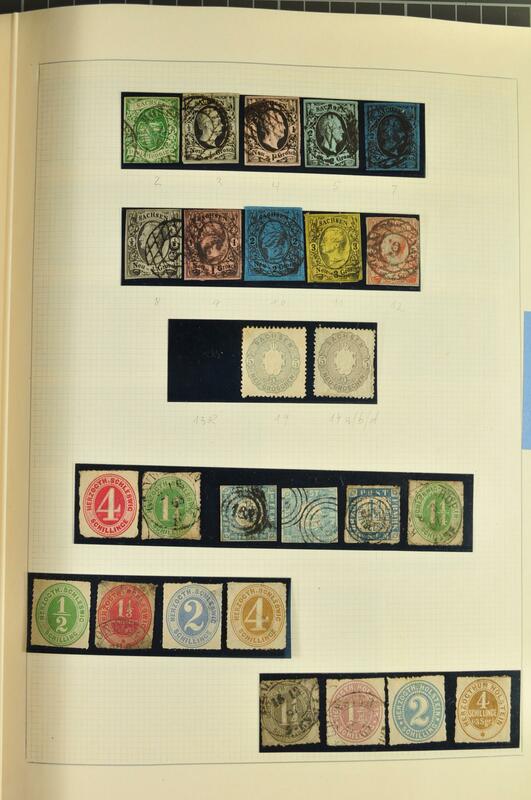 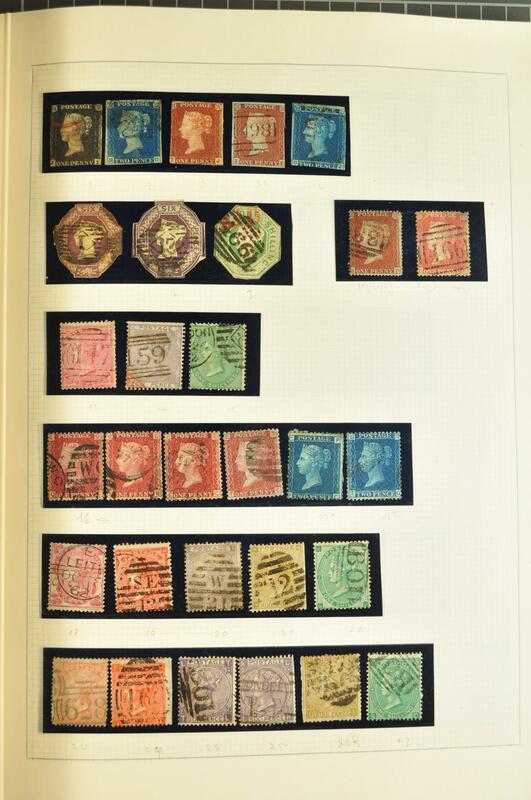 : Collection with Great Britain from 1840 with 1 d. black (2), 2 d. blue, 1867/83 5 s. rose used (3), 1883/84 2 s. 6 d. (6), 5 s. rose (2) and 10 s. ultramarine used, Cyprus with 1894 45 pi. 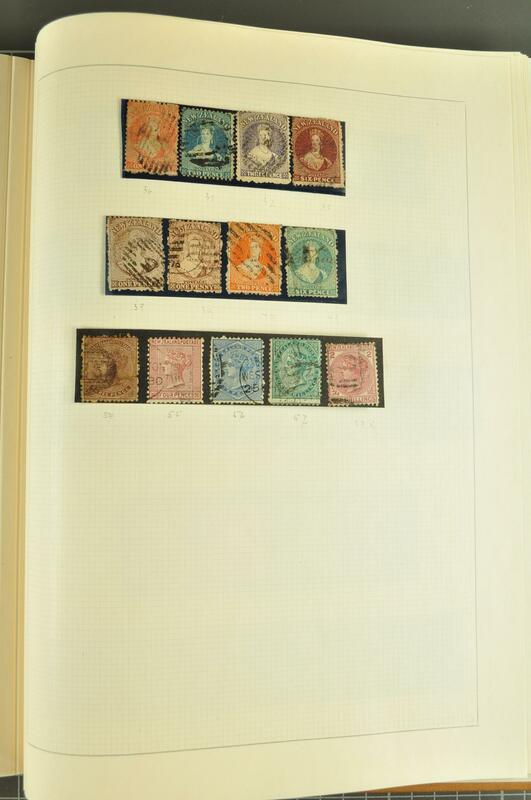 lightly used, Gibraltar with 1953 £ 1 used (3), Malta etc. 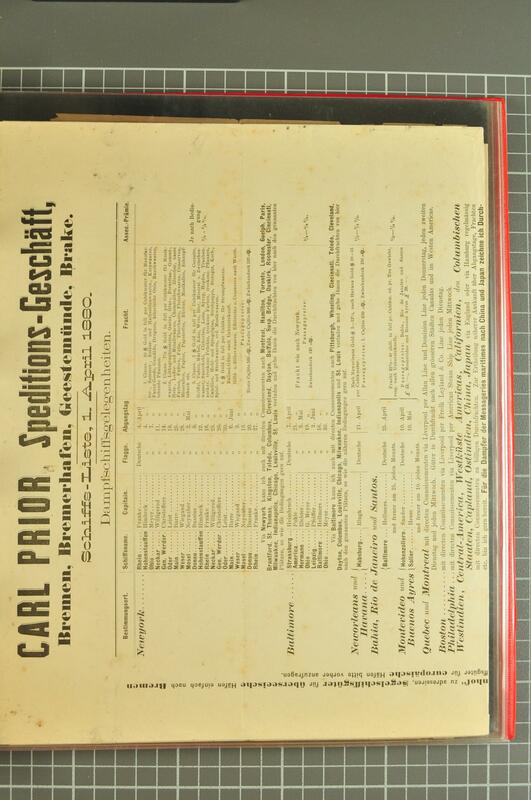 Condition variable but some useful material noted. 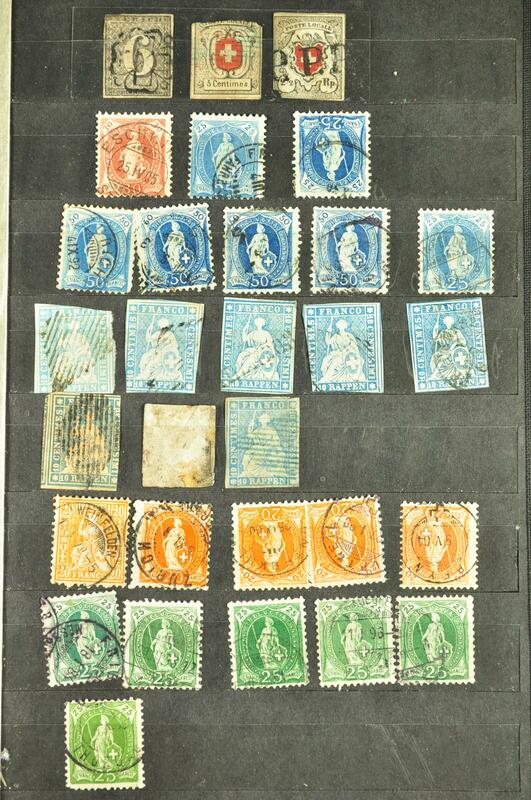 1880/1960ca. 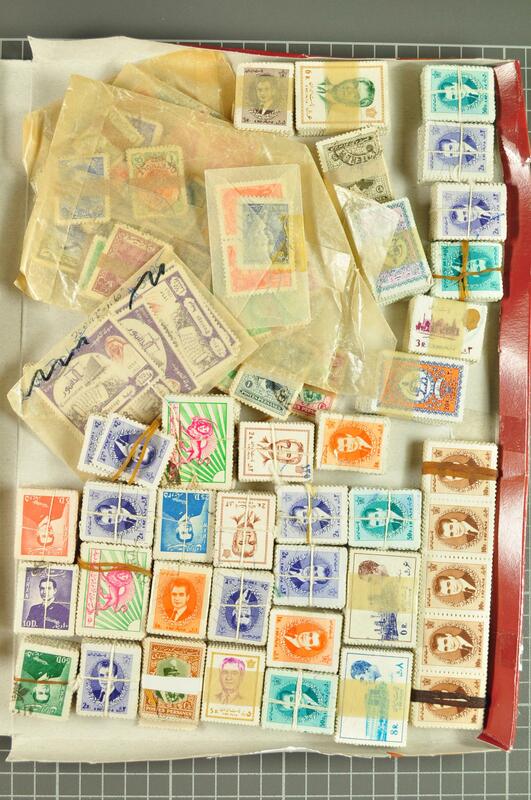 : Large lot in two big boxes, incl. 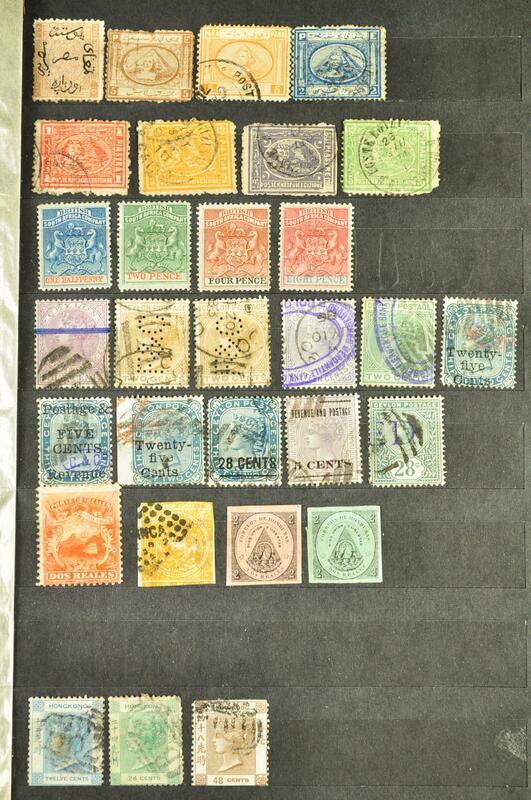 several country collections with some better sets and values used/unused from Greece, Poland, Italy, Bulgaria and Turkey as well as some overseas collections as Algeria, Iran, Lebanon and Syria. 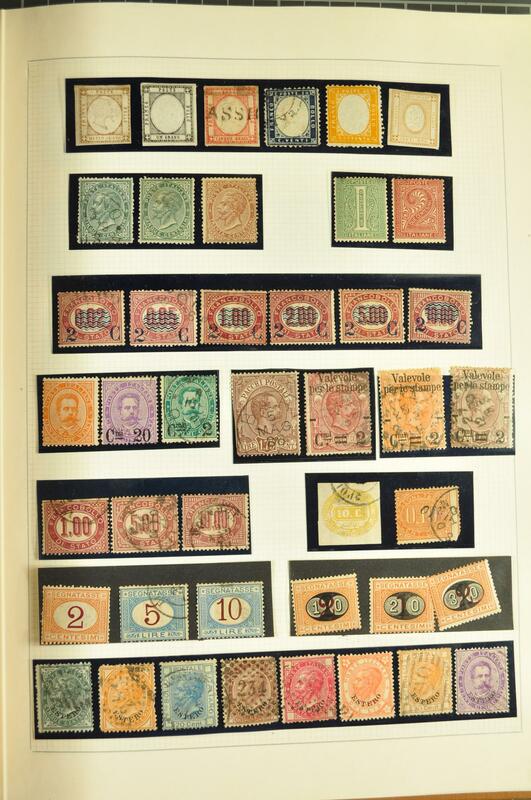 1880/1980: Lot several thousand stamps used/unused covering a wide array of countries all over the world, mainly small values, incompl. 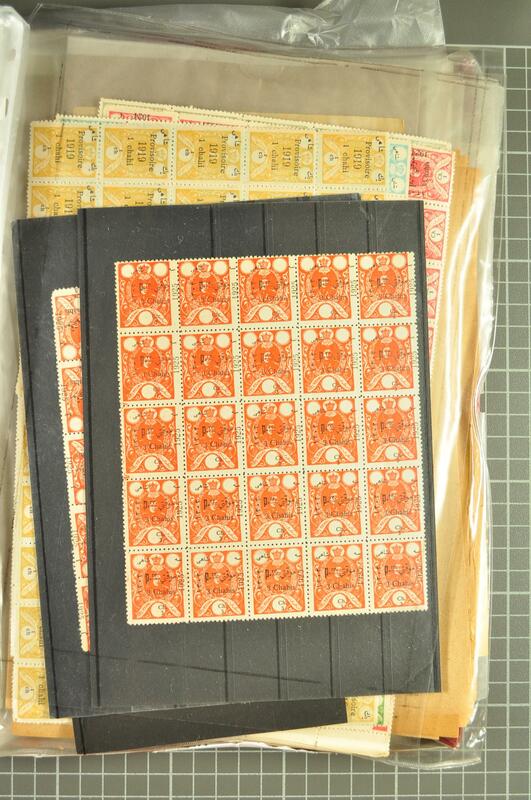 sets and plenty of duplicats, arranged in total 49 stockbooks of various sizes and the whole packed in a large removal box. 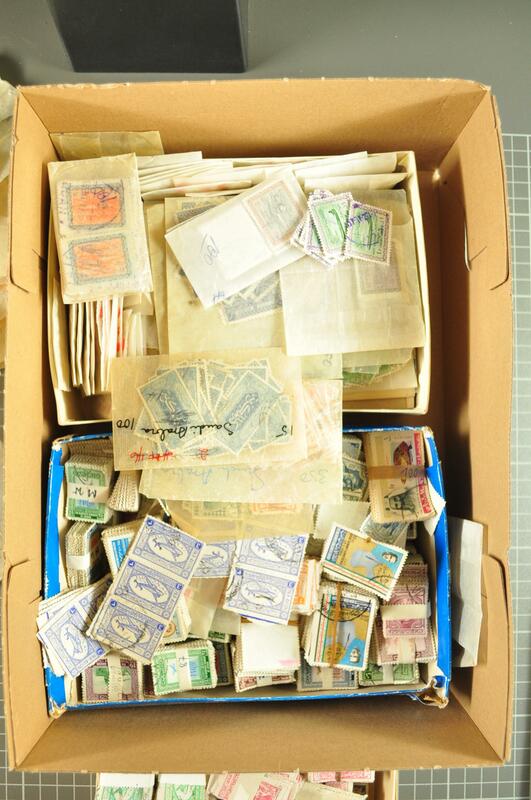 1850/1960: Lot several thousand stamps used/unused covering a wide array of countries all over the wolrd, noteworthy some better items German Colonies, British and French Colonies, Austro Hungarian Empire, Russia and related aereas, Siam, Eastern European countries and many more, mainly in good conditon and housed in four Schaubek albums. 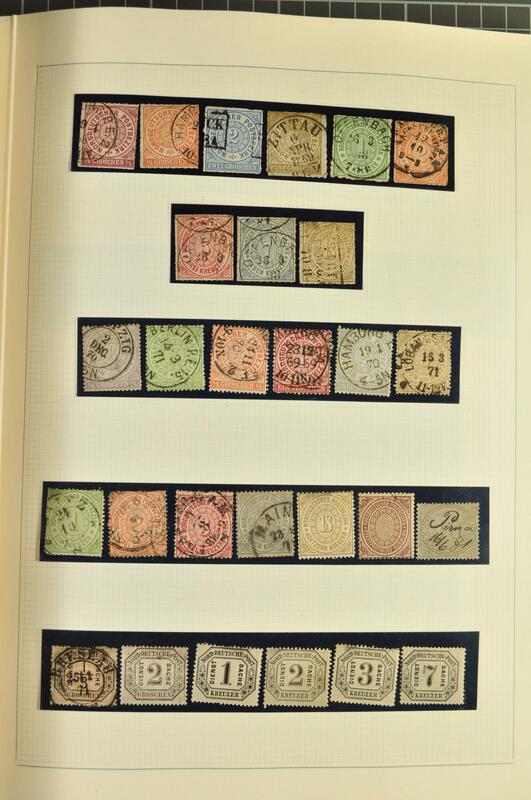 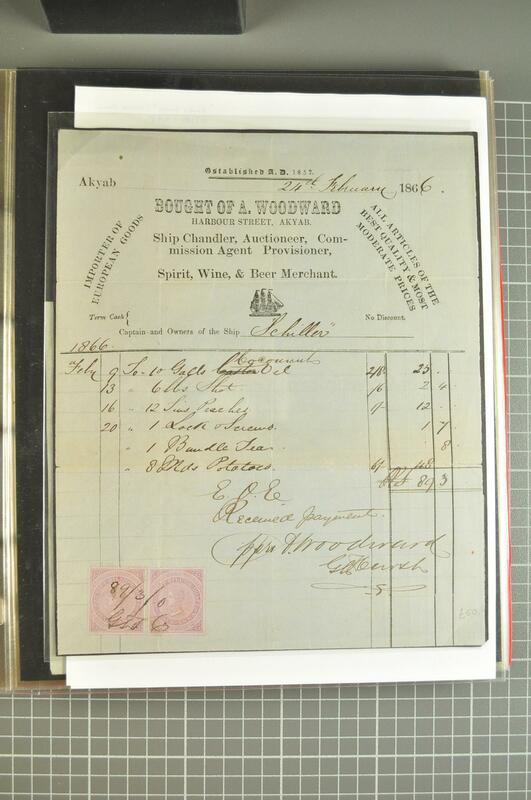 Collections with stockbook of Malaysia with Straits 1867 opt. 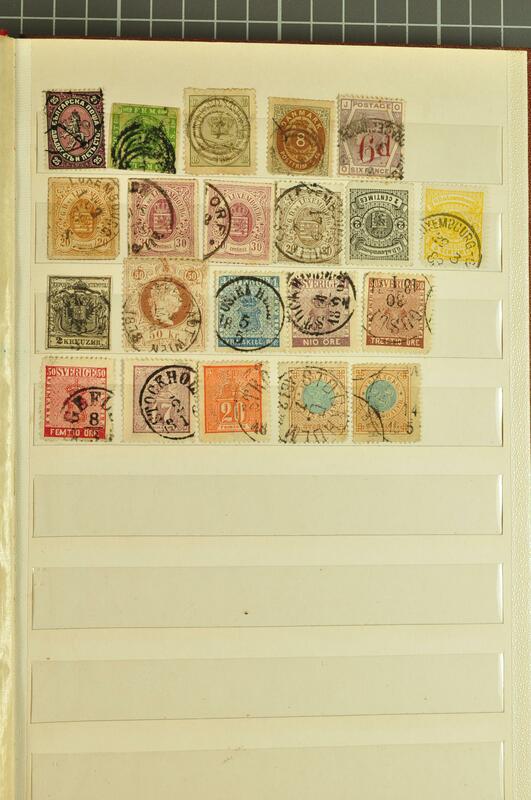 on India values to 32 c. used, 1892/99 $ 5 orange & carmine unused optd. 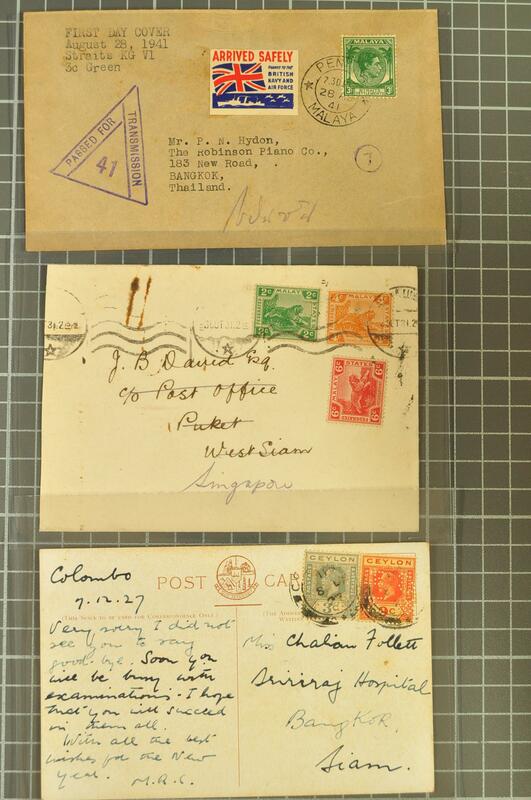 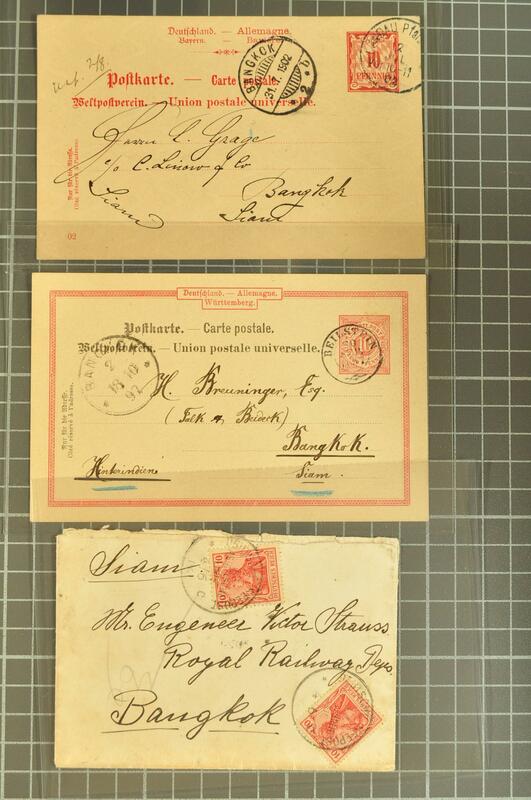 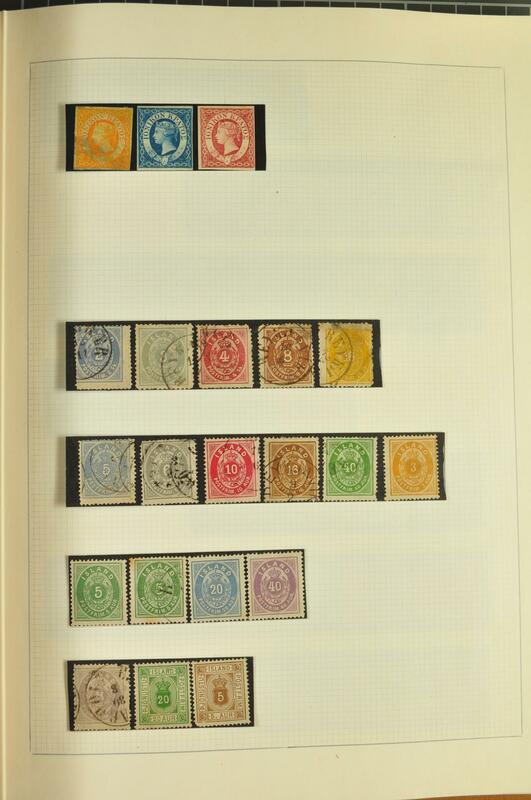 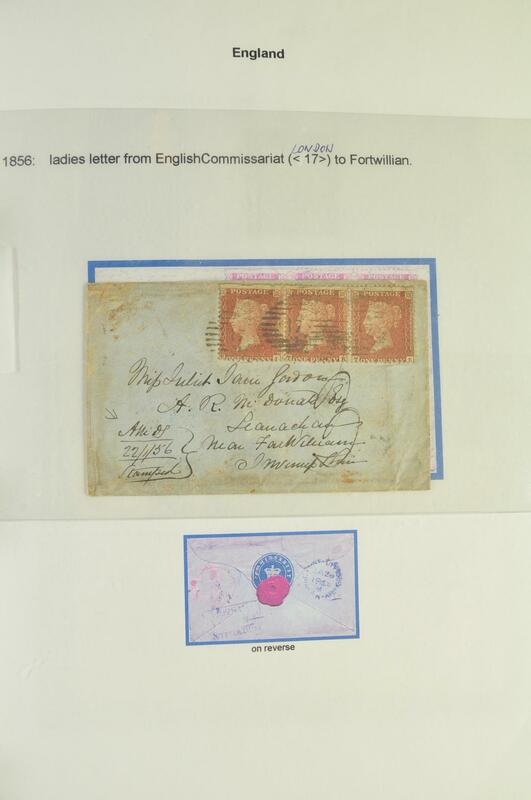 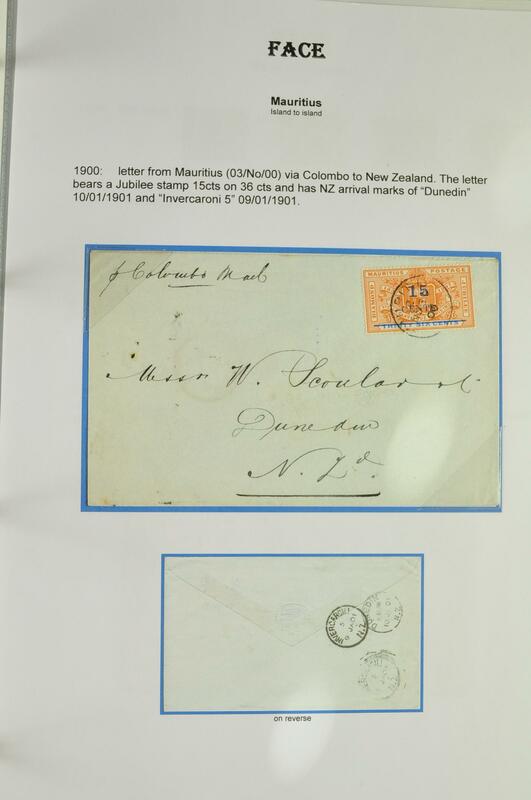 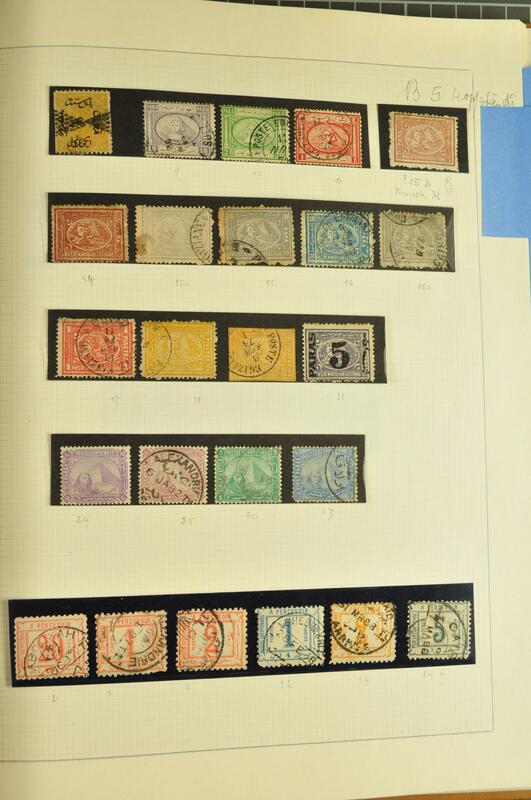 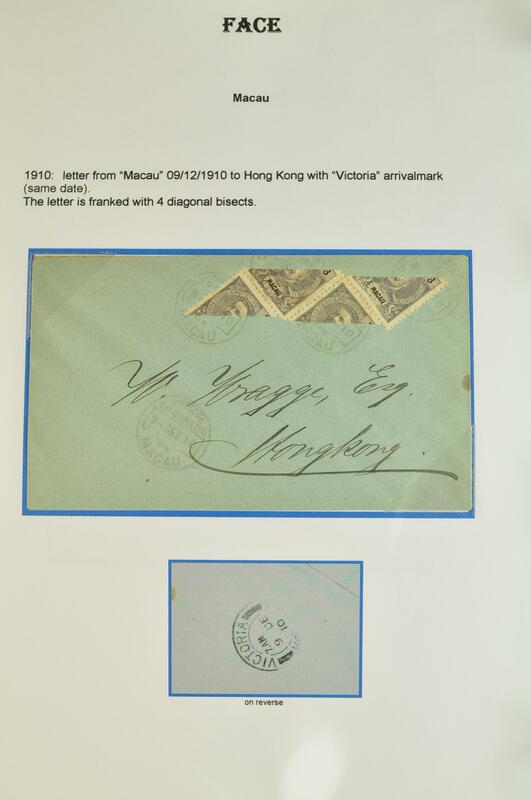 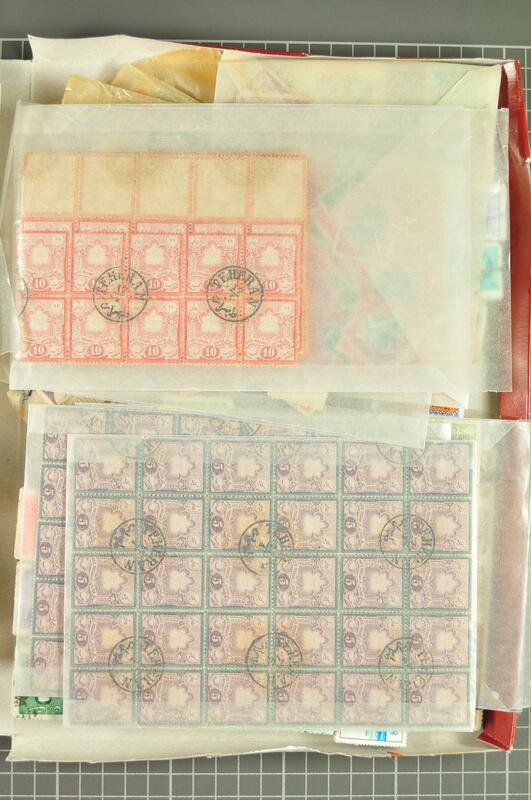 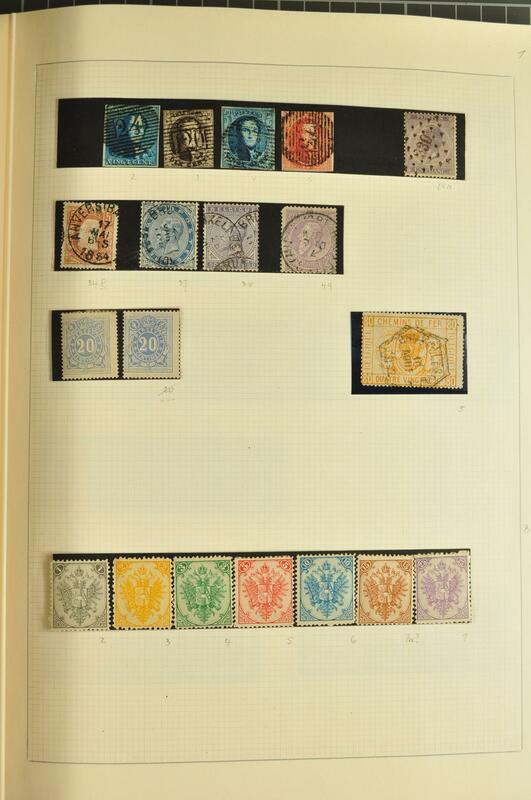 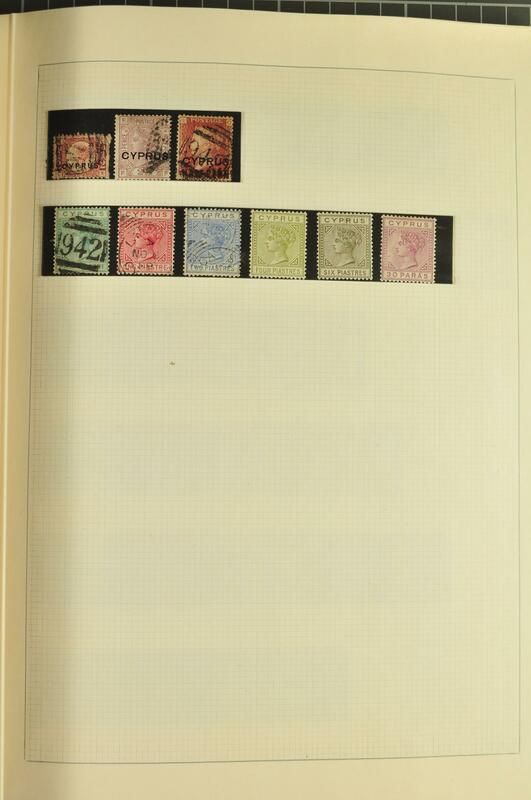 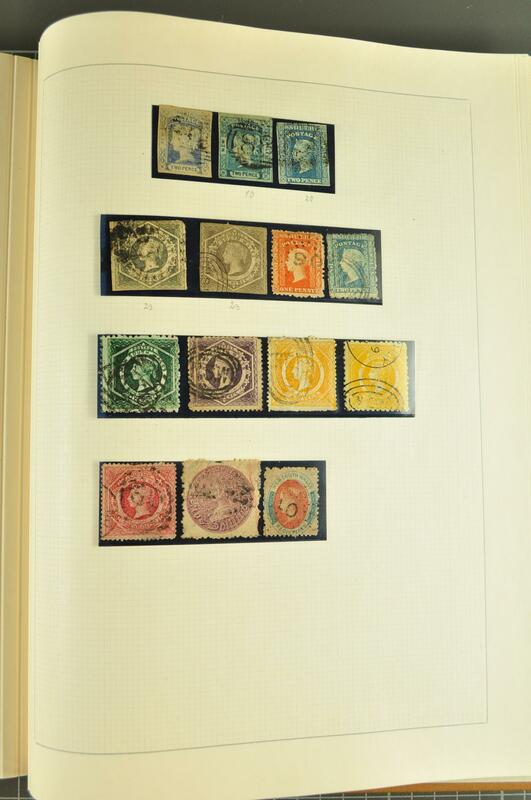 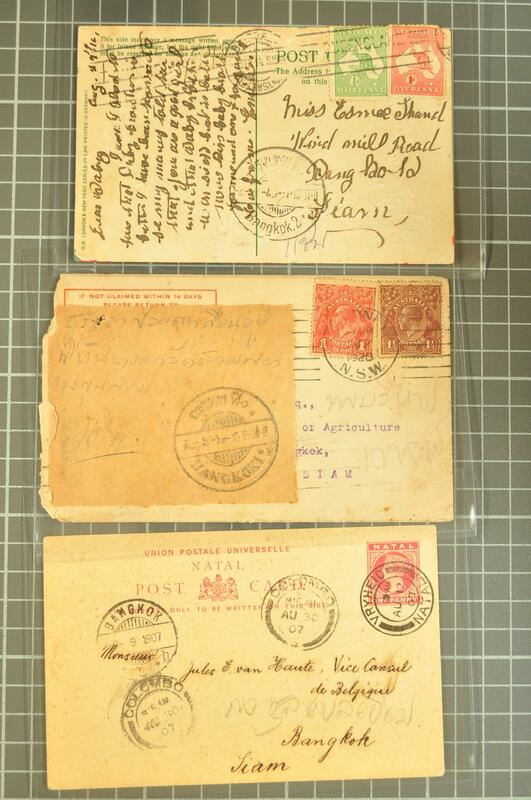 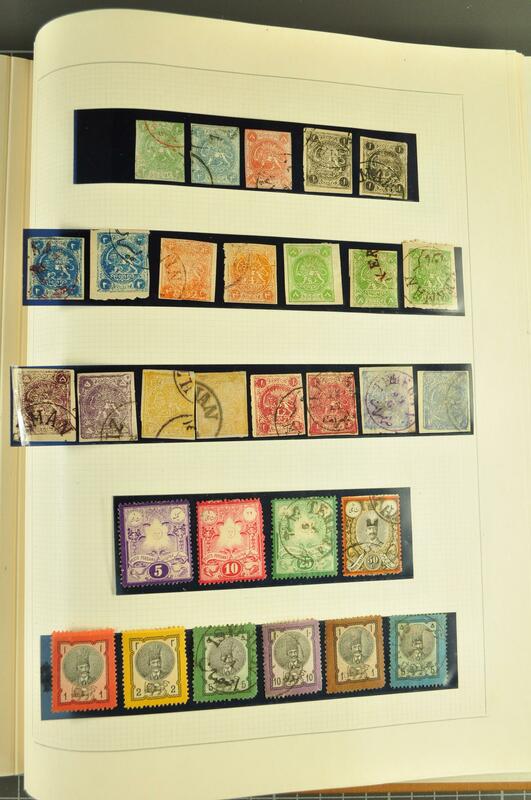 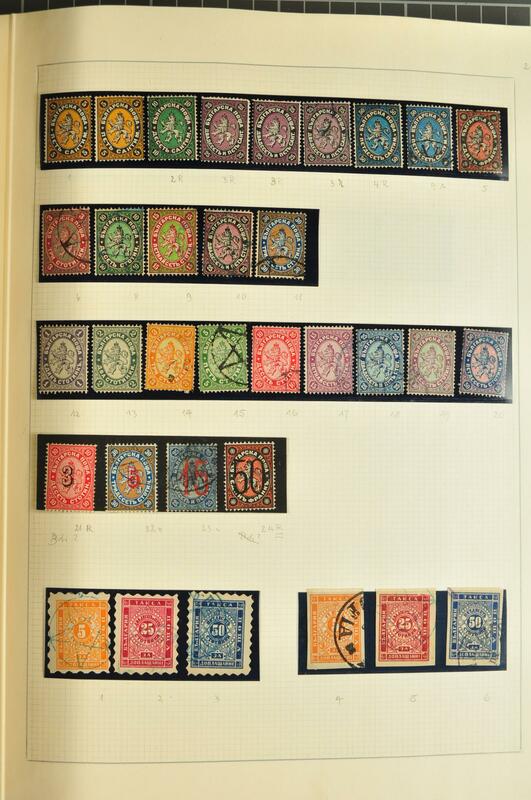 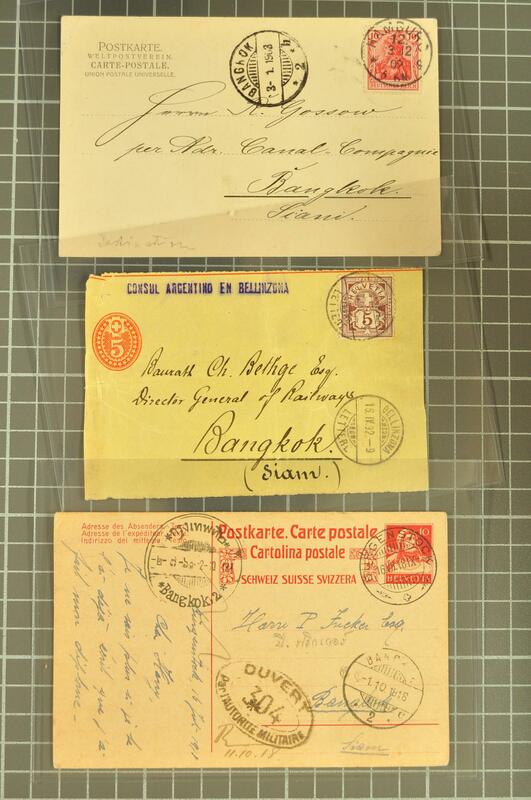 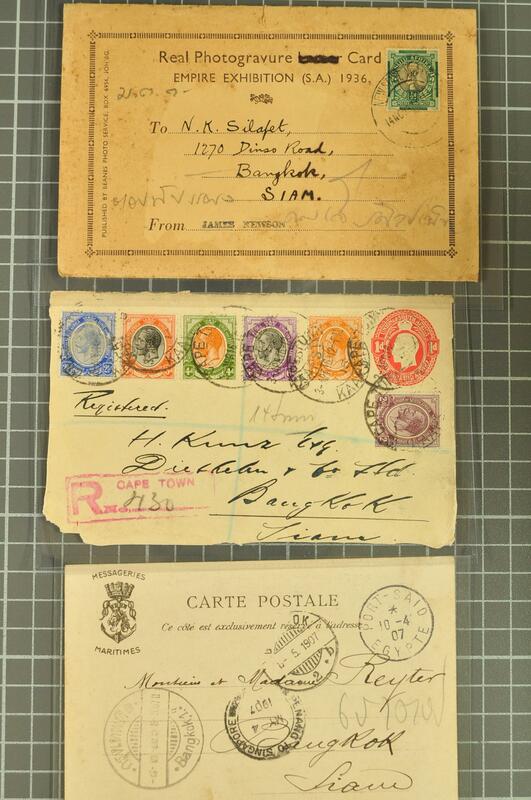 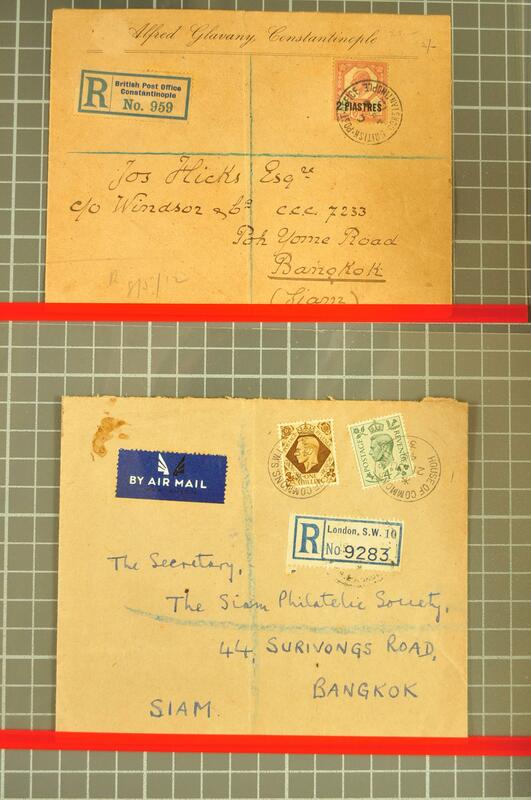 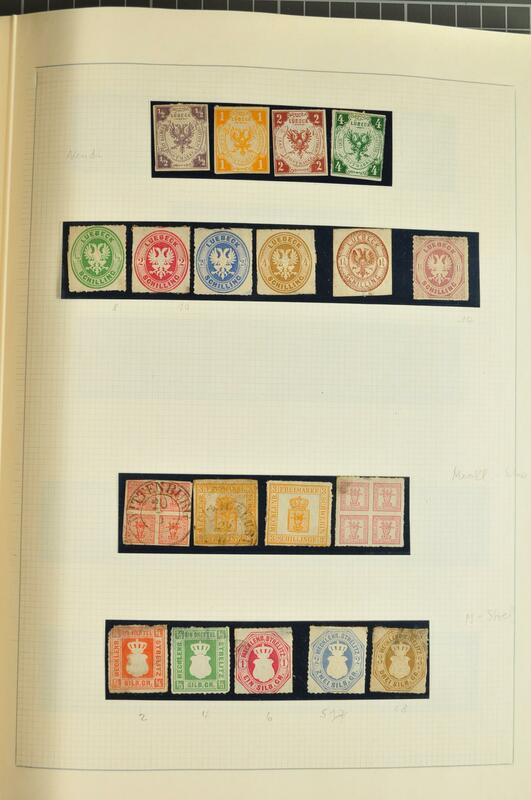 'Specimen' and used, Straits 6 c. violet on 1868 cover to Bangkok, and 2 c. rose used on small 'Straits Times' wrapper to Bangkok, 1880 cover to Venice franked by 8 c. orange, stockbook of Singapore with a few better Miniature Sheets noted, Sarawak with 1869 3 c. brown on yellow unused (3), 1856 Cape Triangular 4 d. fine used, Ceylon with good range of classics, 1893 2 r. 50 c. purple on red unused, 1899 1 r. 50 c. and 2 r. 25 c. unused, 1916 Censored cover to Thailand, Burma collection with covers, collection of Nepal from 1881 in two volumes, Turkey collection etc. 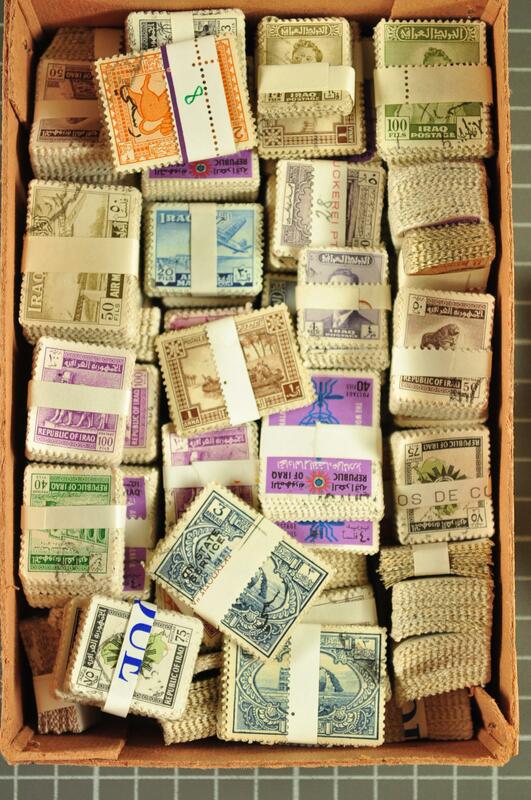 1990/2010: Important lot several thousand stamps, souvenir sheets, miniature sheets, booklets and other products from the new issues department, all in mint condition and covering a wide array of countires all over the world, the lot includes plenty of various topics as animals, sports, history and many more, all packed in glassines as delivered and the whole arranged in a large removal box. 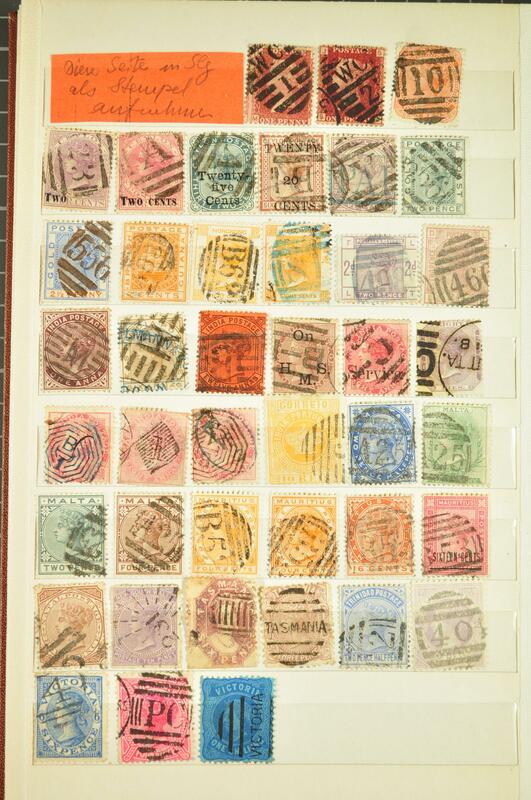 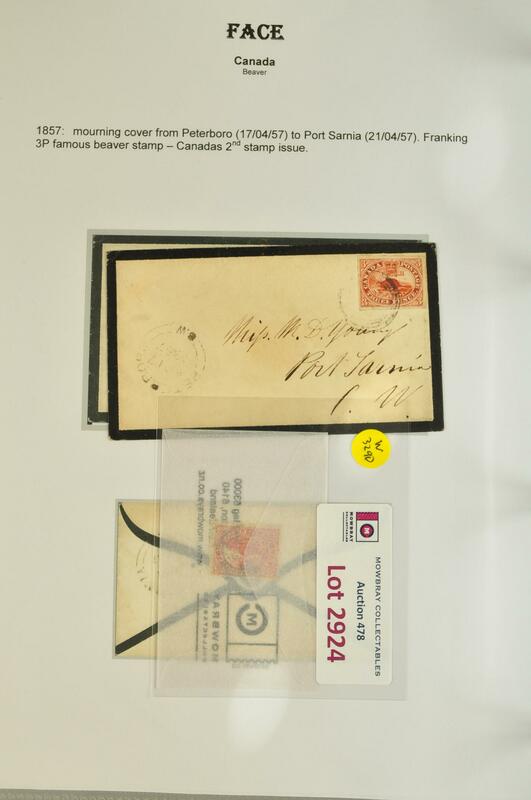 1840/1900ca: Interesting Lot hundreds used/unused classical stamps in mixed condition incl. 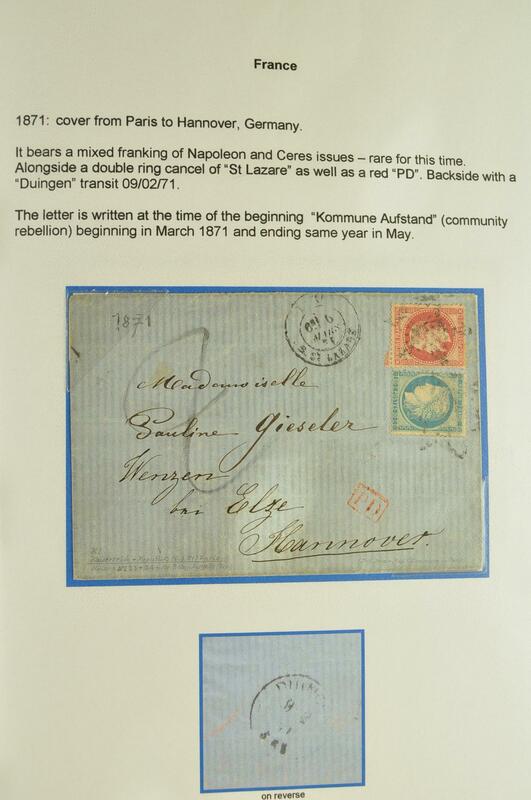 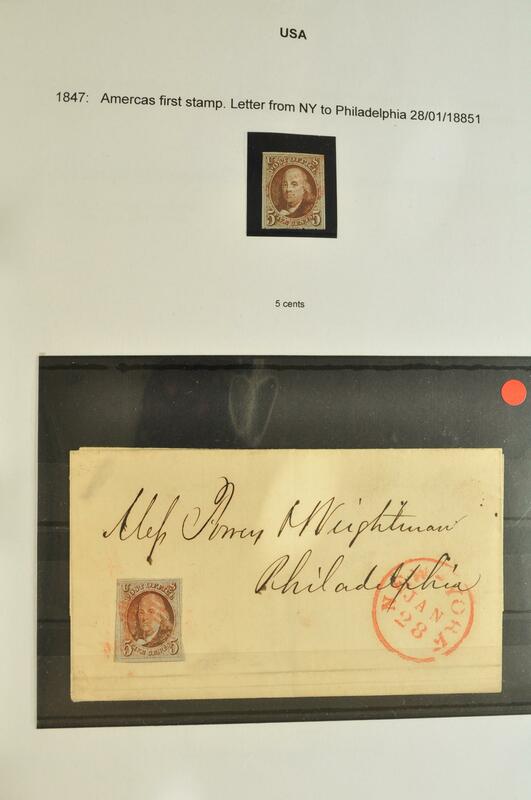 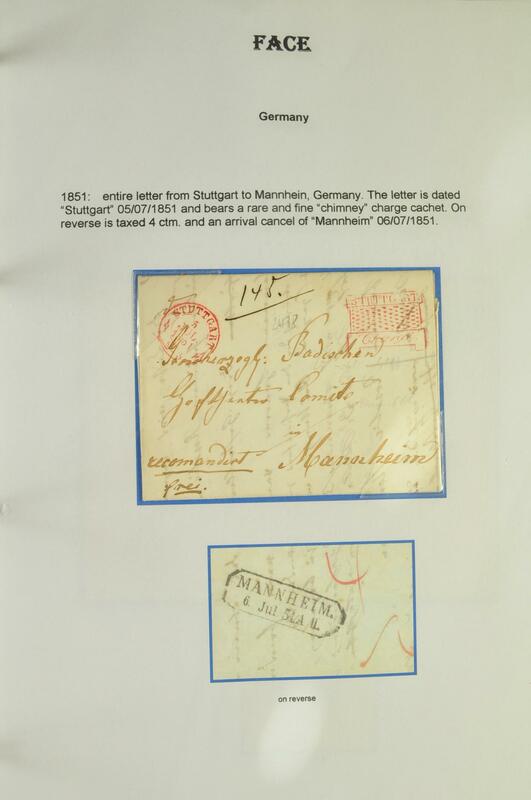 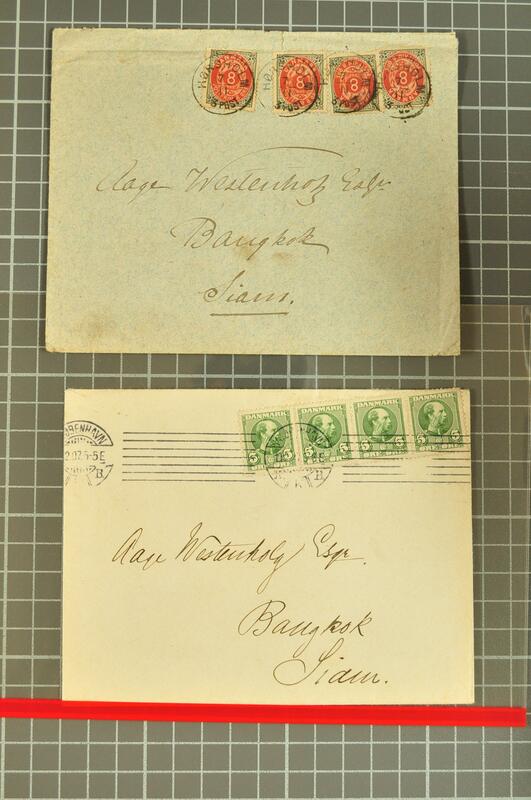 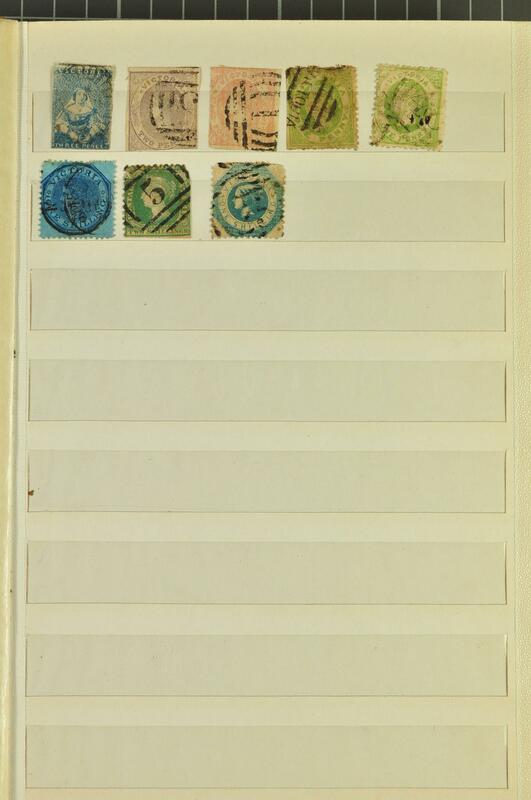 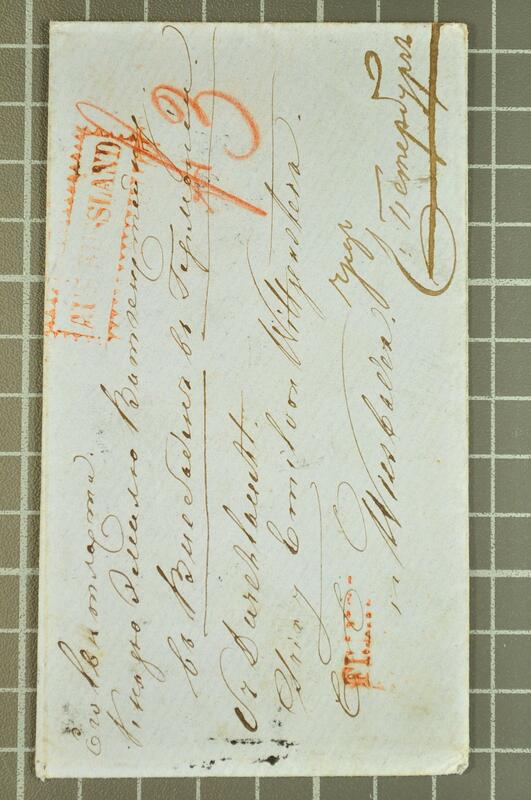 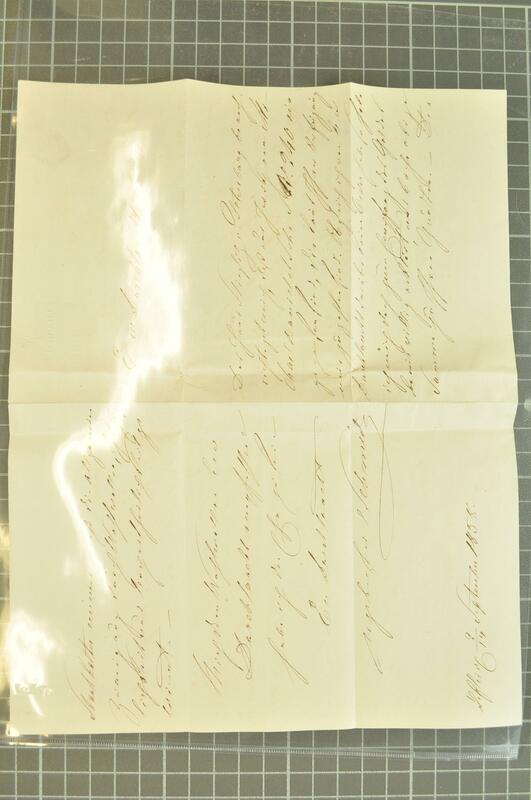 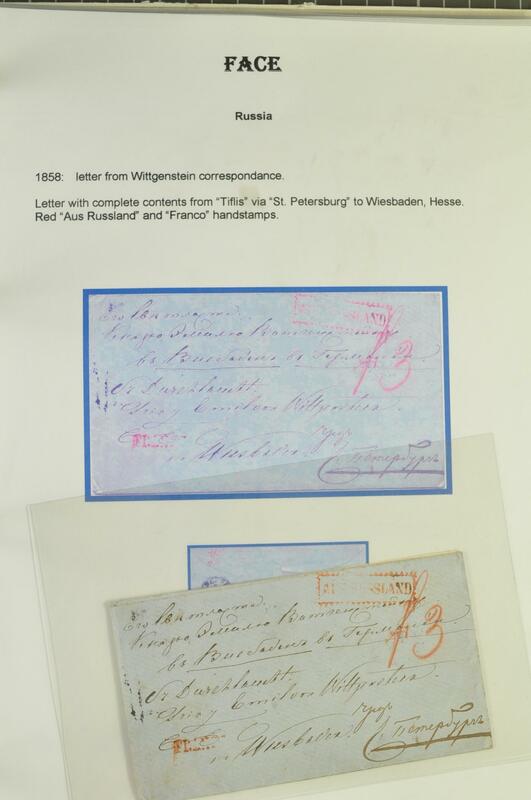 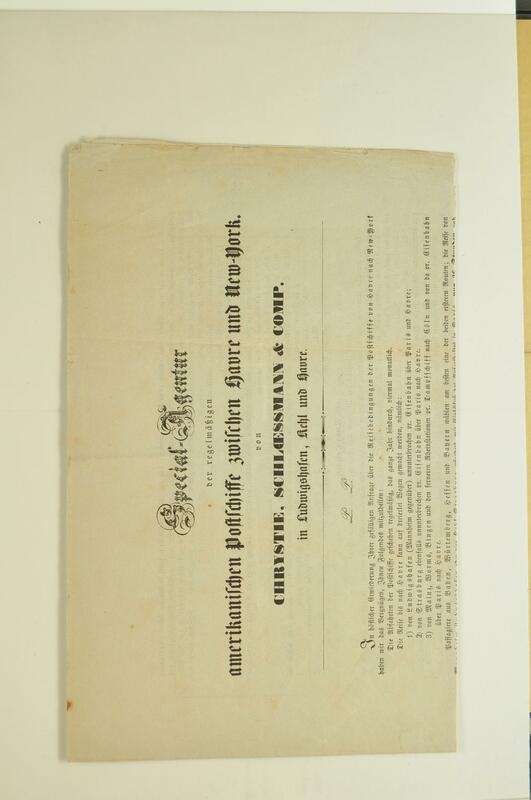 Old German States with Baden Landpost, Bavaria with 1849 1 kr. 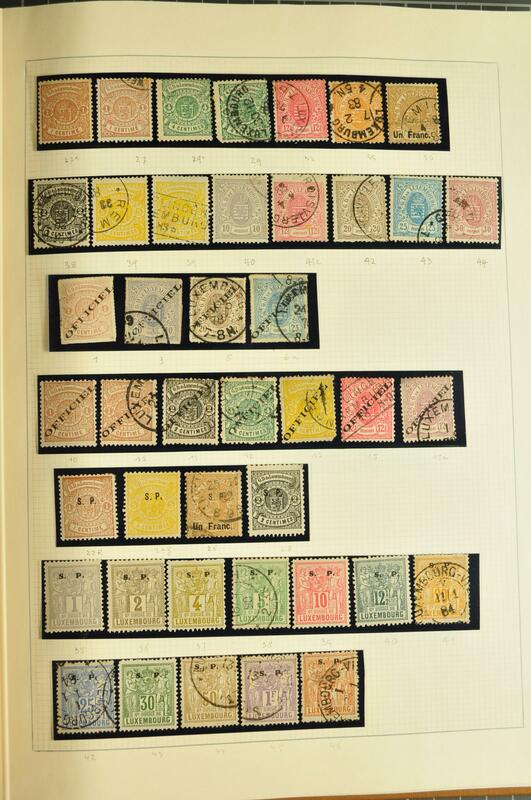 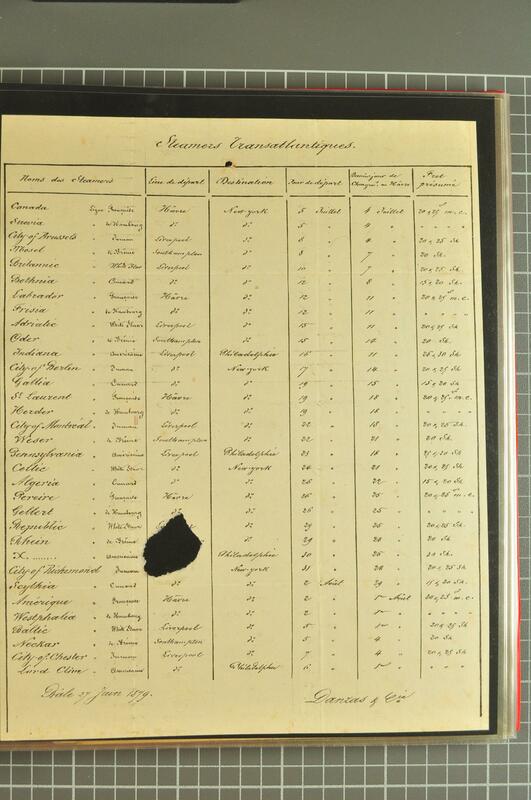 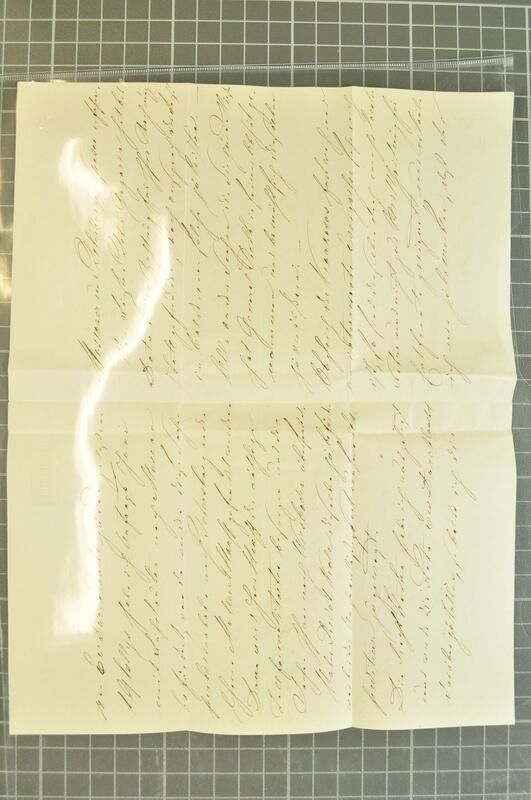 black, later Cypher and Arms definitives, Bergedorf, Braunschweig, Bremen, Hamburg, Hannover, Helgoland, Oldenburg, Saxonia, Schleswig-Holstein, Thurn & Taxis, Württemberg, and Empire, Belgium with Medaillons, Bulgaria with first Santime set and later ovpt. 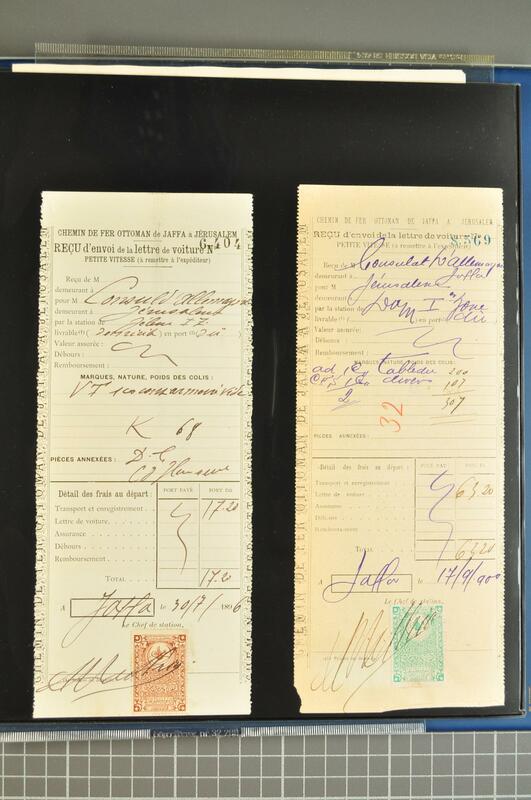 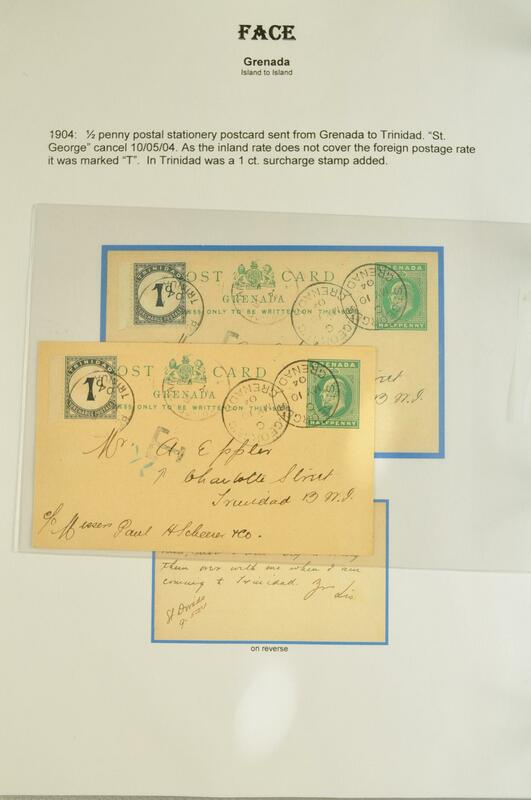 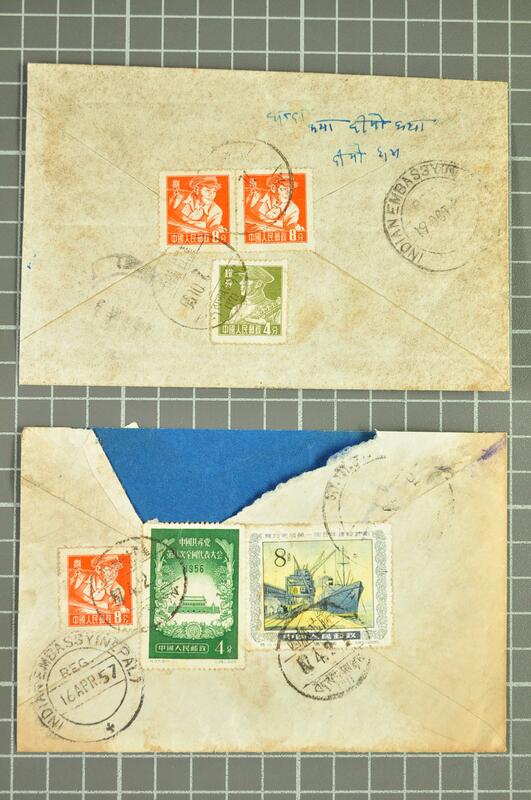 definitives, postage due, Cyprus British precursor definitives, Denmark first Skilling definitives, Finland 1856 kopeck definitives, later serpentine rouletted definitives up to 1 m., France 1949 Cérès 15 c. green and 1 fr. 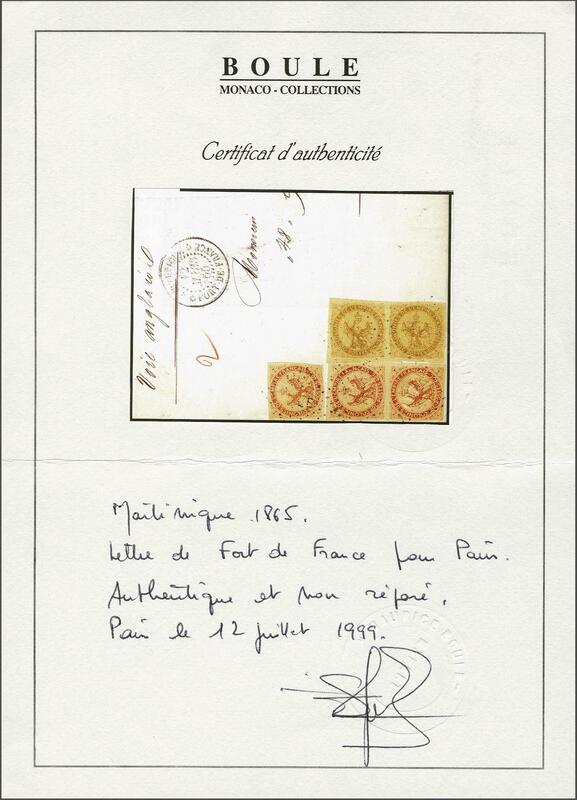 carmine, Napoleon laureated 5 fr. 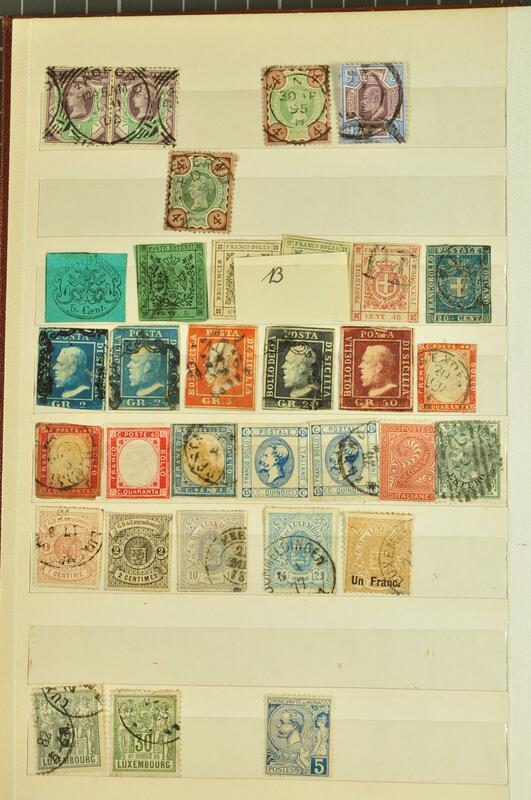 grey, Bordeaux, postage due with 60 c. blue, French Colonies Cérès 25 c. in a strip of three, Great Britain Penny Black and Blue, Embossed stamps, 1880s Shilling definitives and £1 brown, British Offices in the Levant, Greece Large Hermes Heads, postage due, Iceland, Italy Papal States up to 50 baj., Naples, Parma, Sardinia with 1854 embossed definitives, Tuscany, Regno with postage due and PO's abroad, Luxemburg with Willem and Arms definitives, official stamps, Norway, Austria, Portugal, Romania, Russia with 1858 10 kop. 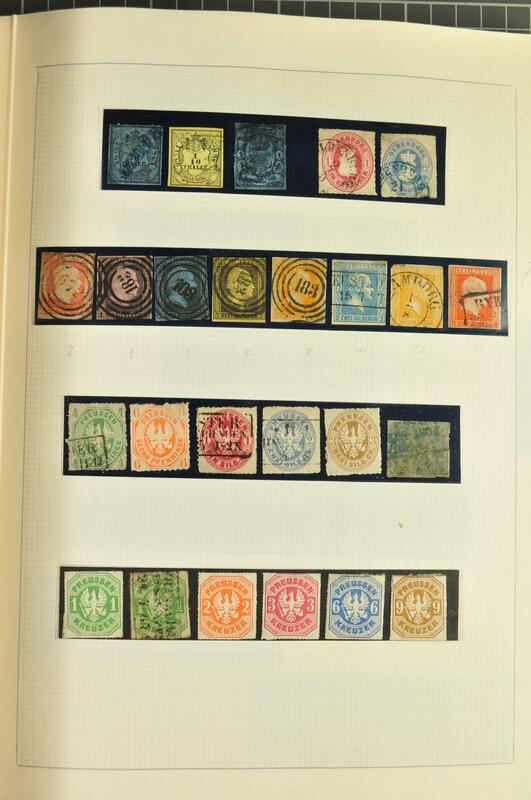 imperf., Poland 1860 blue & carmine, San Marino, Sweden, Spain, Egypt with postage due, Brasil 1843 Bull's Eyes up to 90 r., China with Large and Small Dragons, Ceylon, Cape of Good Hope, Gambia up to 1 sh. 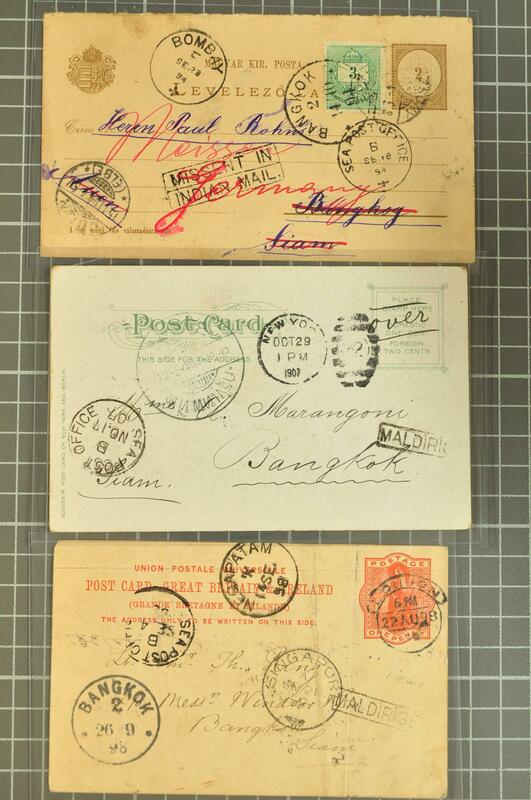 green unused, Hawaii, Japan, Hongkong incl. 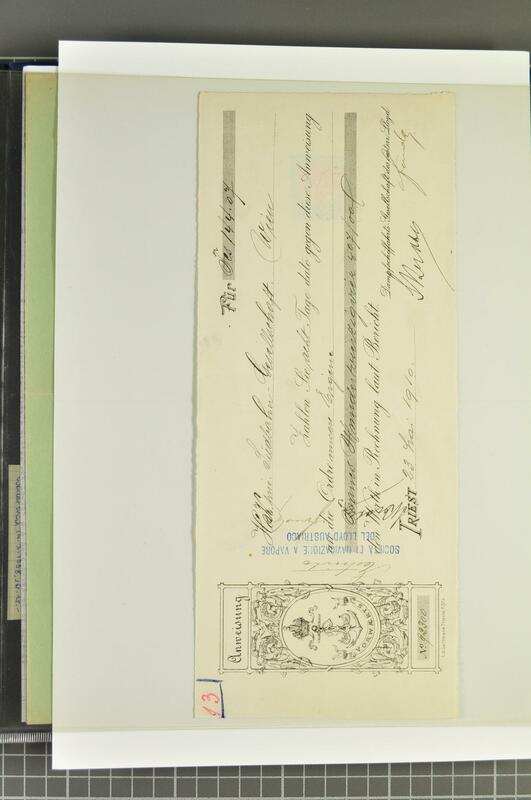 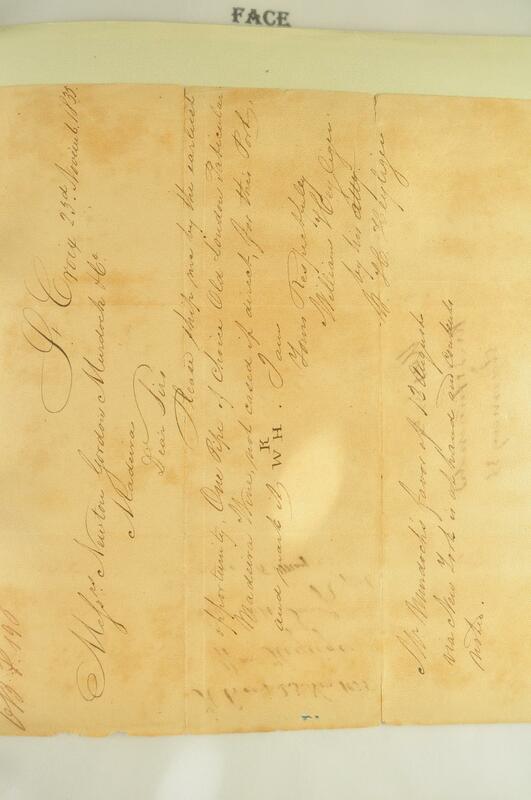 cancellation interest, Labuan, Straits Settlements with 1867 ovpt. 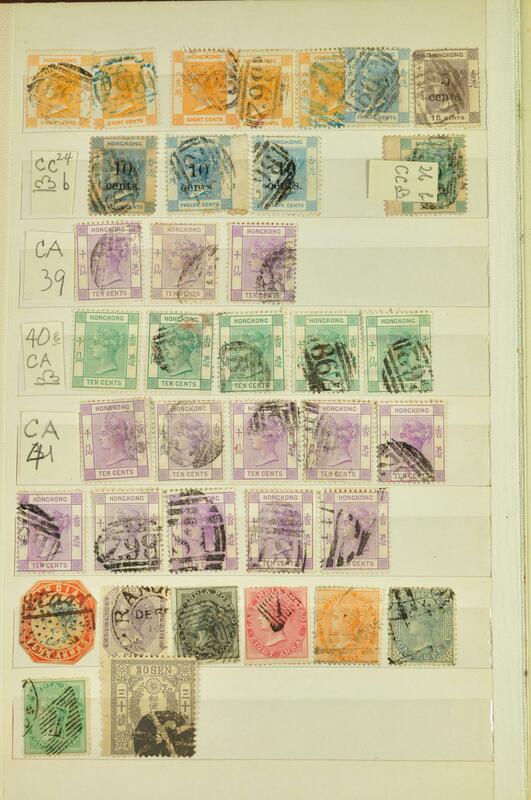 India definitives, 1882 10 c. block of four, Malaya states, Mauritius, Natal, India with 1854 Lithographed definitives, Dutch Indies, New South Wales, New Zealand, Persia, Australian States, USA with 1861 30 c. Washington, 1869 Shield & Eagle 30 c., 1870 Perry 90 c. carmine, and Switzerland Zurich 6. 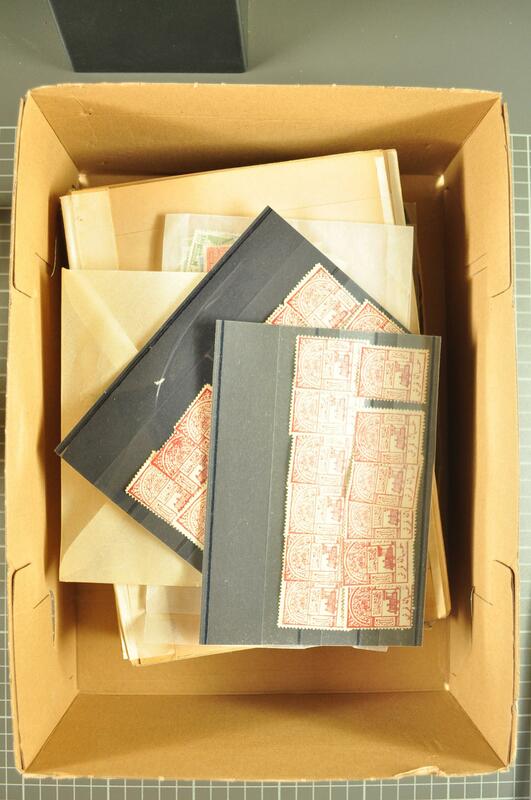 An enormous amount of material which has to be studied. 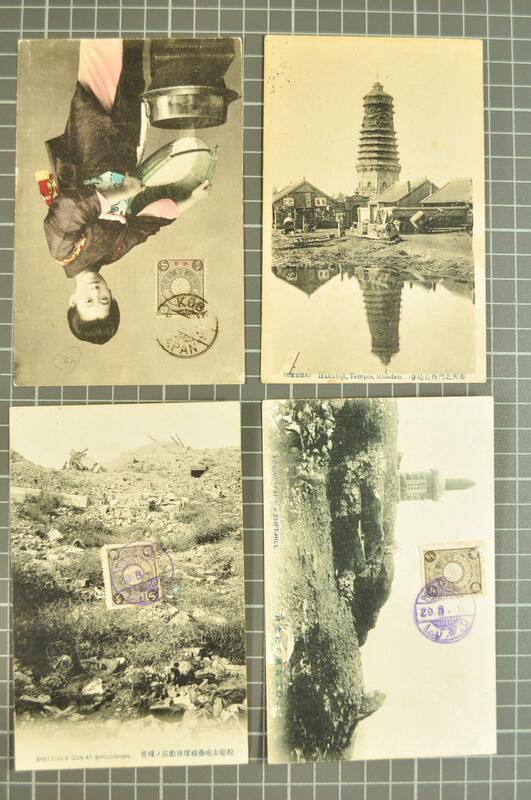 1920/60: Lot several hundred picture postcards b/w and coloured, small and large sized and mostly used, incl. 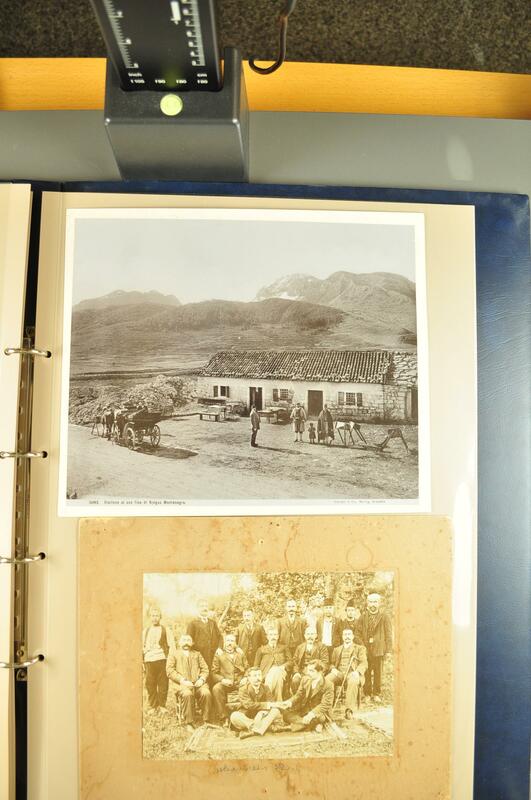 topographic views, art reproductions, animals, rural life and other topics, good to mixed condition and housed in two small boxes. 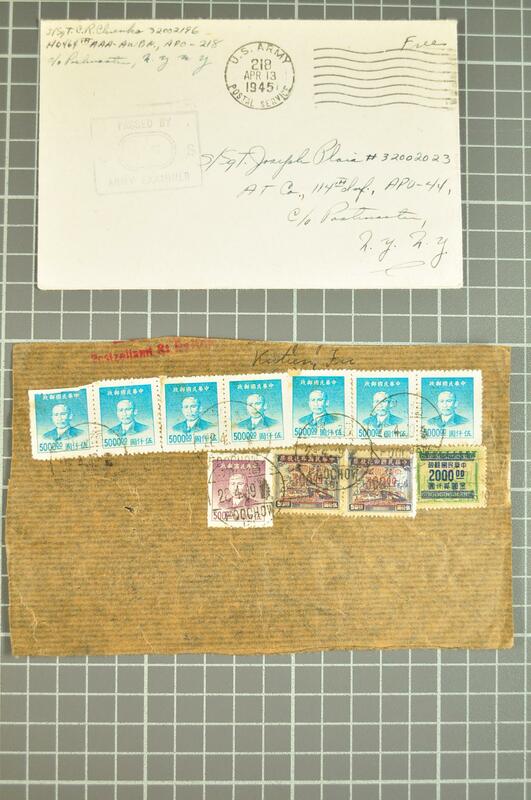 1940/60: Lot 130 covers and postcards, sent primarily from overseas countries such as Palestine, Canada, Peru, Cuba, Iran, Argentina, Marocco, India, Iraq, South Africa, Chile, Brasil, Venezuela, Australia (88) and from Eastern European countries such as Hungary, Poland, Czech Republic, Slovakia, Romania, Bulgaria and Yugoslavia (44) to the Liechtenstein stamp issuing administration. 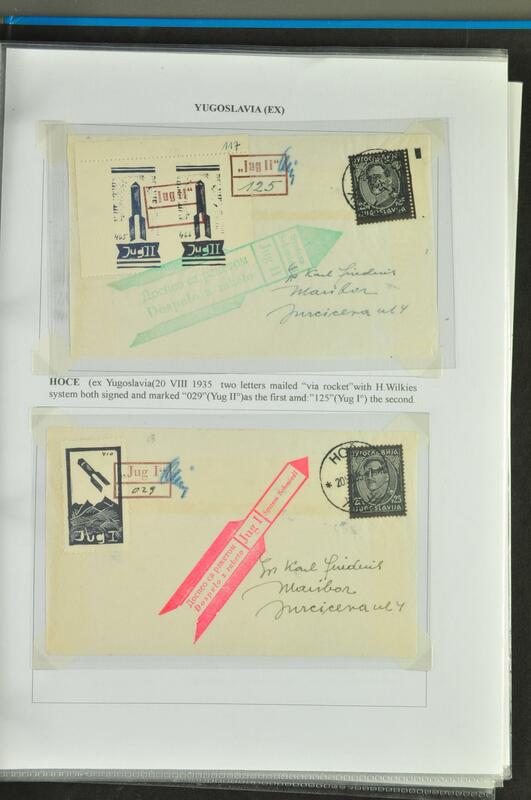 1890/1955ca: Lot 220 covers / cover fronts in mixed condition incl. 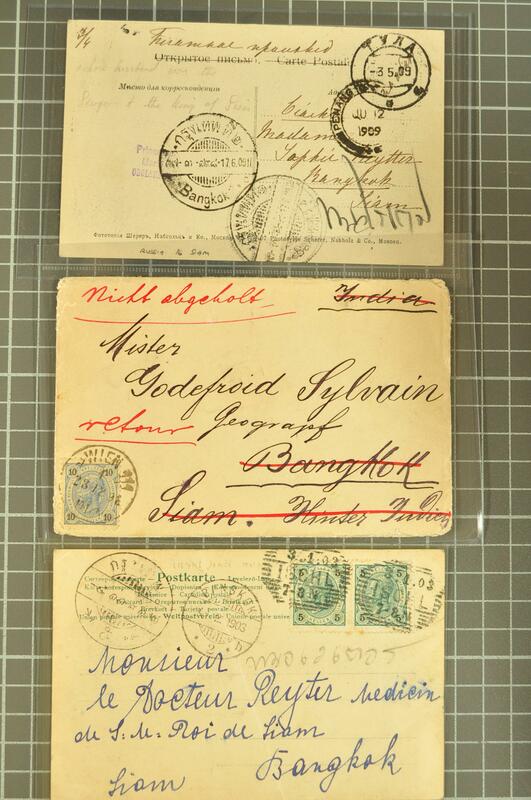 Germany with parcel cards and WWI POW mail, France & Colonies, Turkey, Greece, Belgium, Luxemburg, Netherlands, Austria with Austrian Levant, Sweden, Italy, Romania with many coverfronts, Russia, Bulgaria, Ireland, Great Britain, Nigeria, India, Burma, Palestine, USA, Argentina, Saudi Arabia, and Manchuko regd. 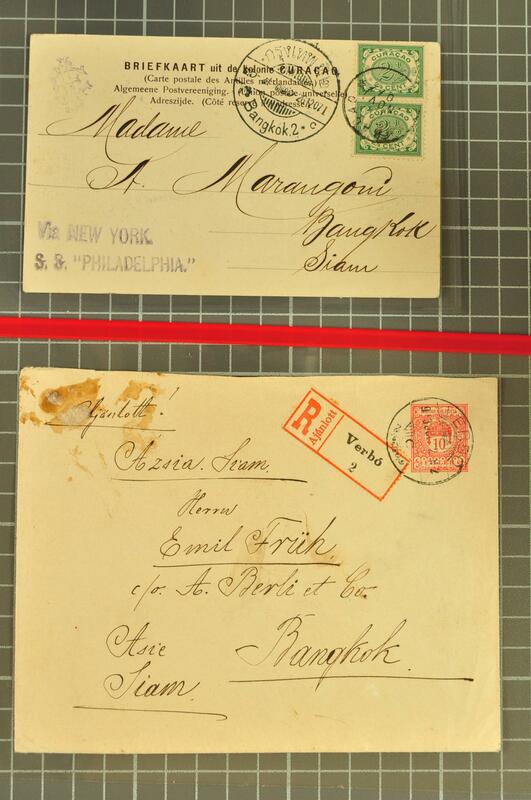 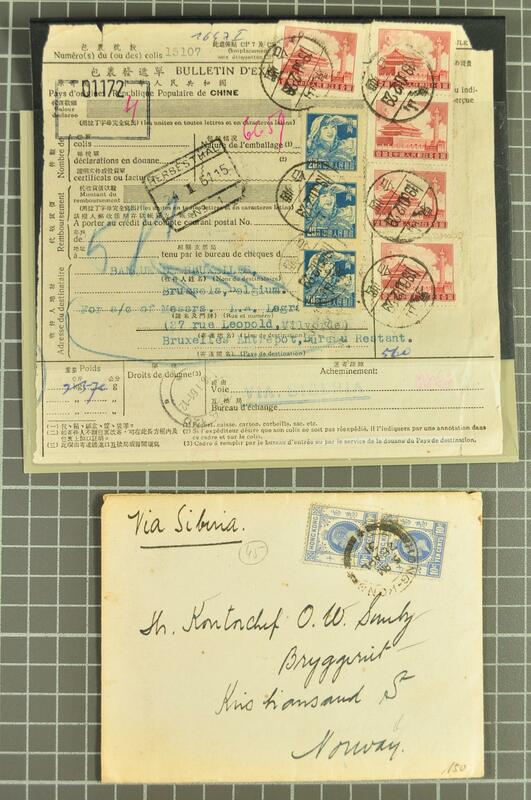 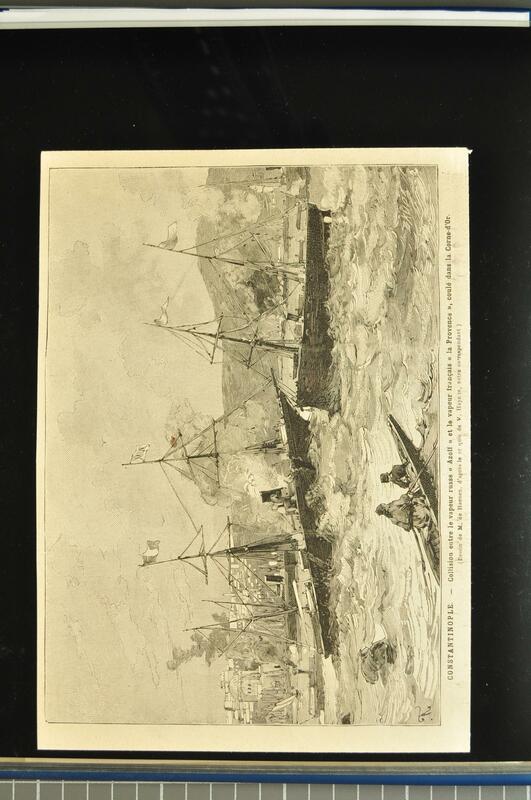 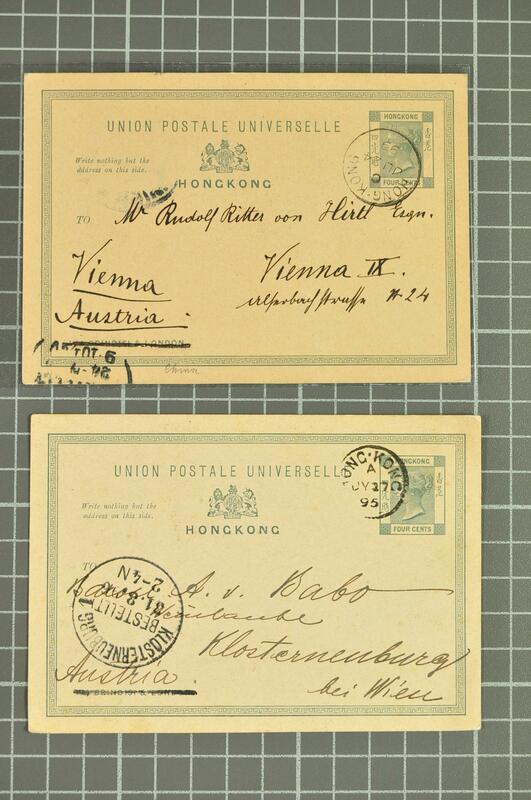 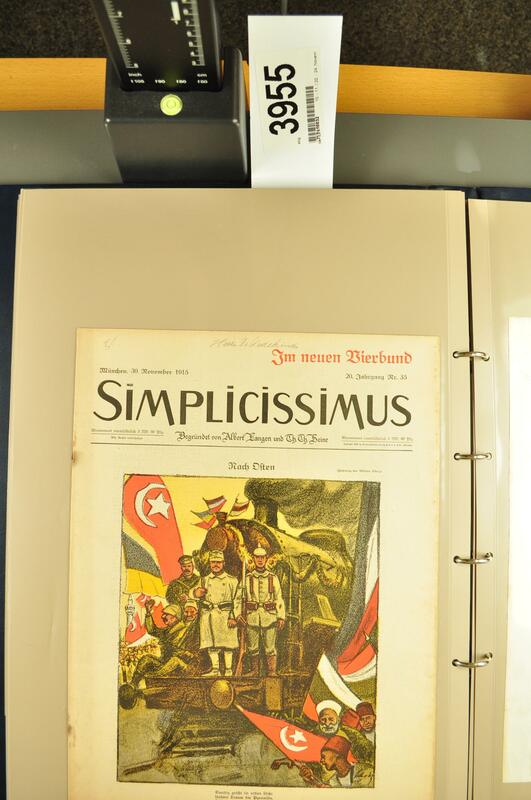 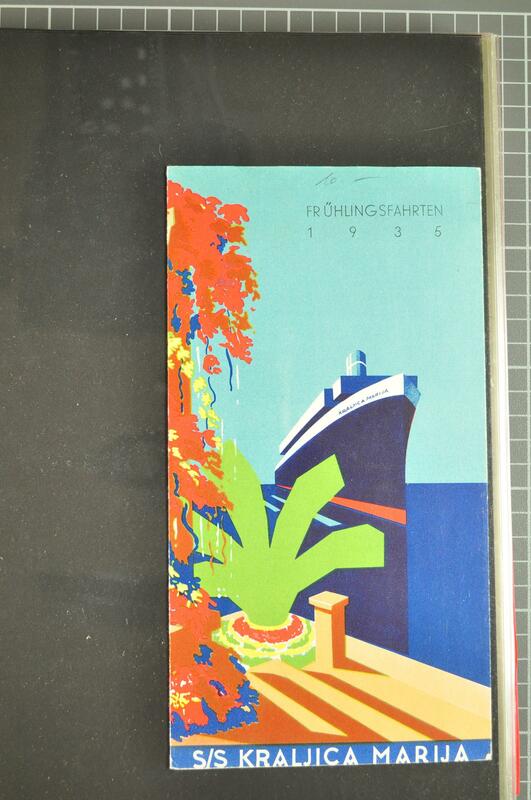 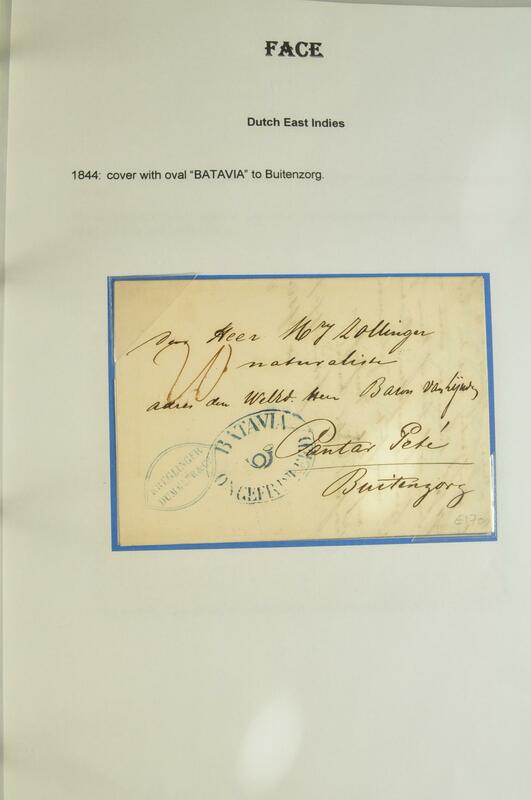 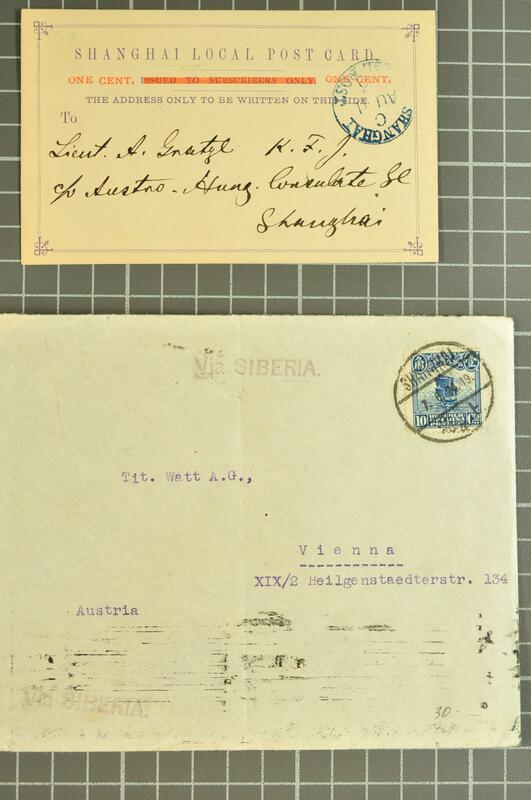 cover from Harbin to Switzerland. 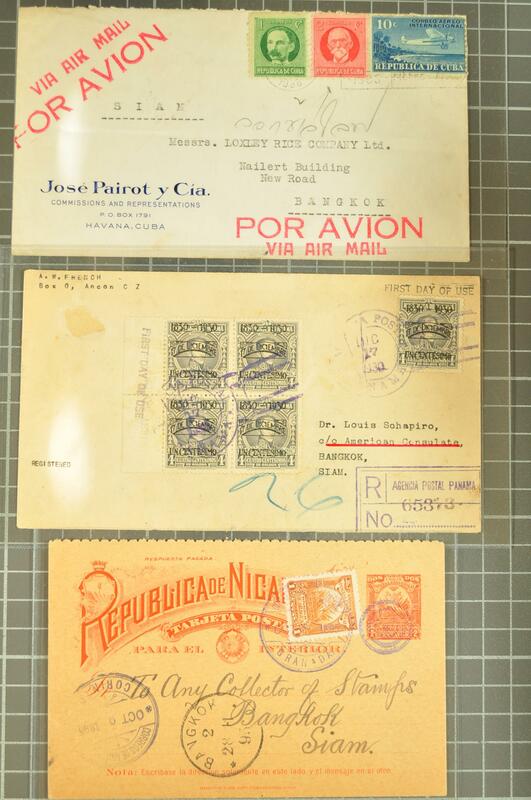 1920/80: Small selection with 25 covers Switzerland depicting first and special flights, plenty of ordinary or busines mail coming from Latin American countries, few items pre 1920 as well as some other philatelic material, good to very mixed condition and housed in a small box. 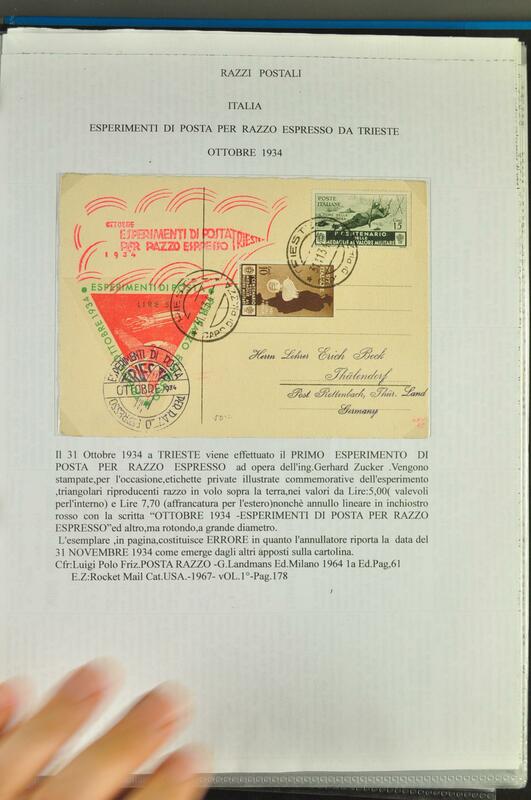 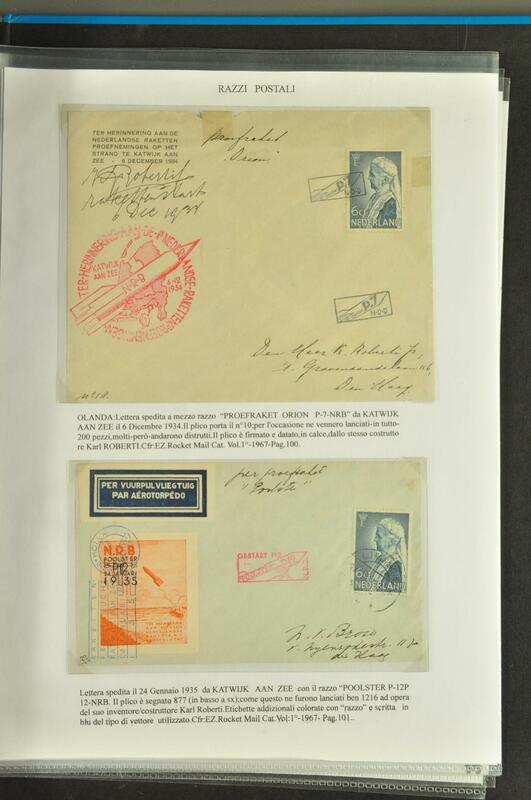 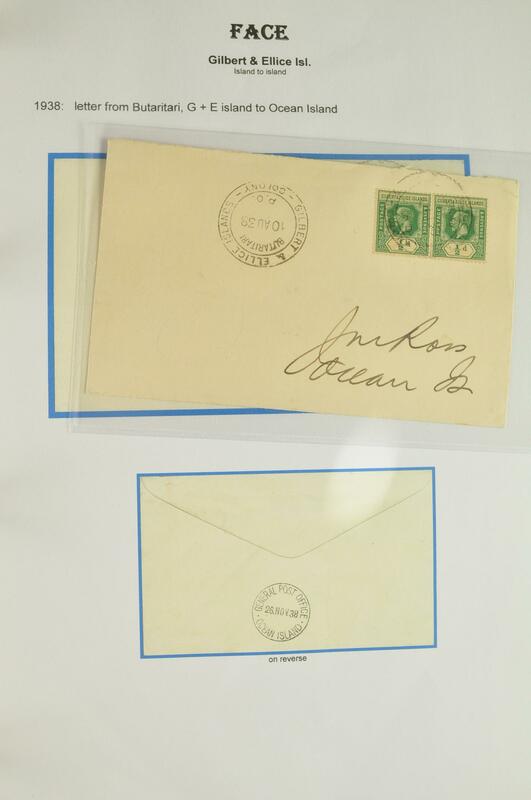 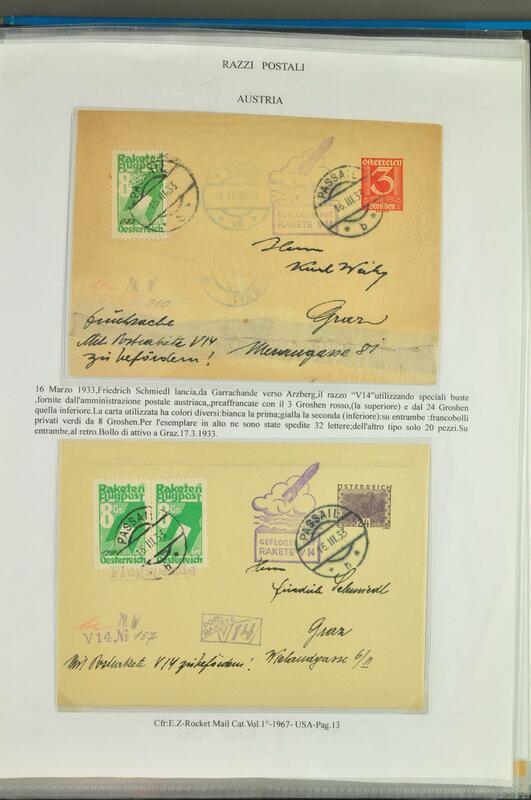 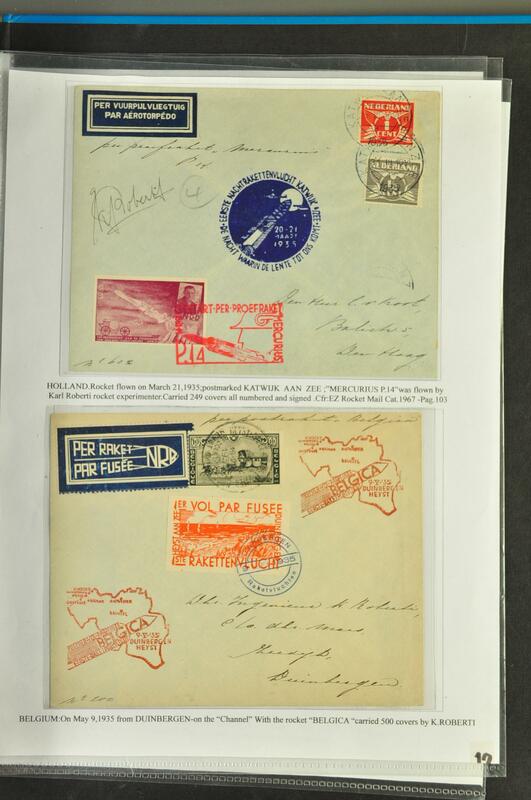 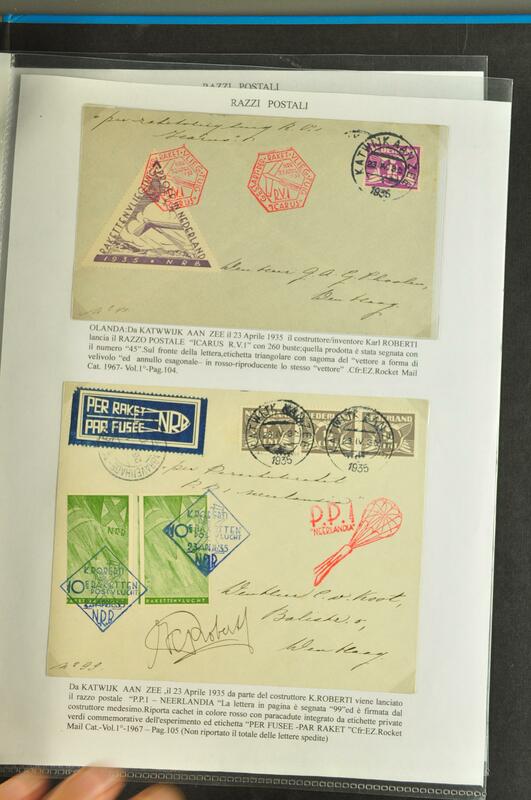 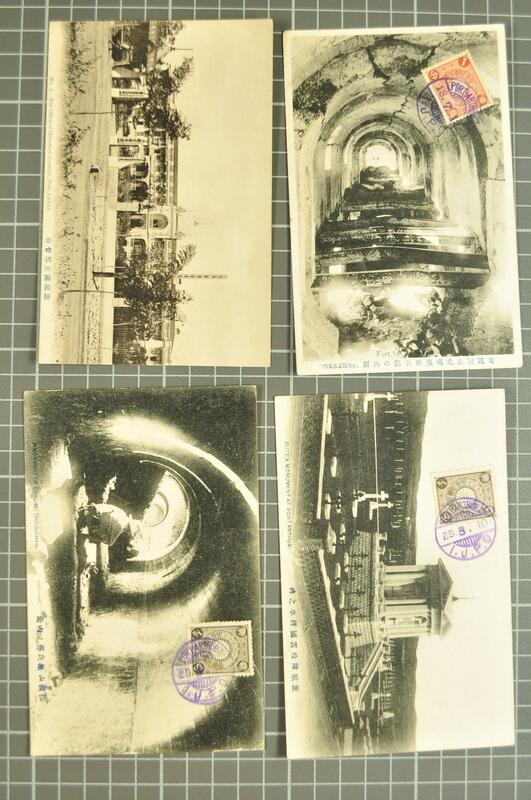 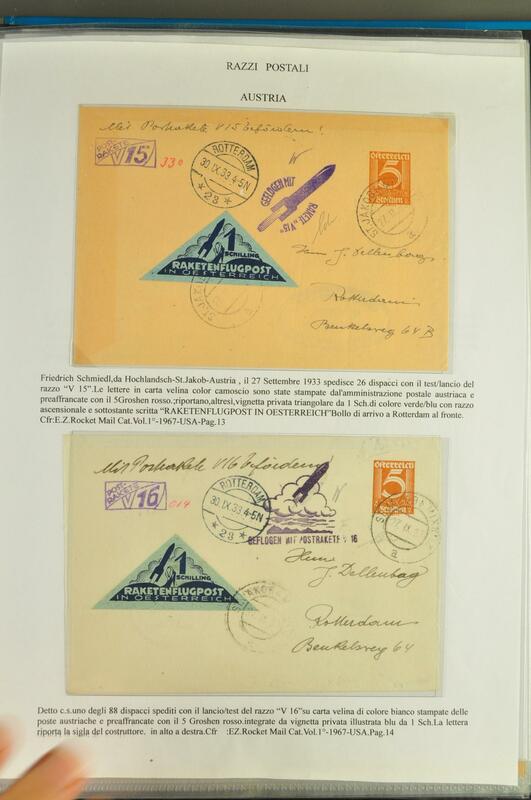 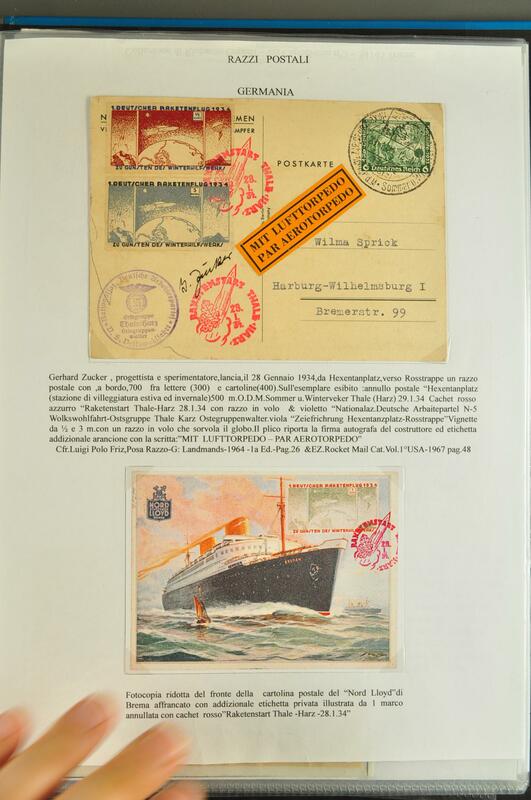 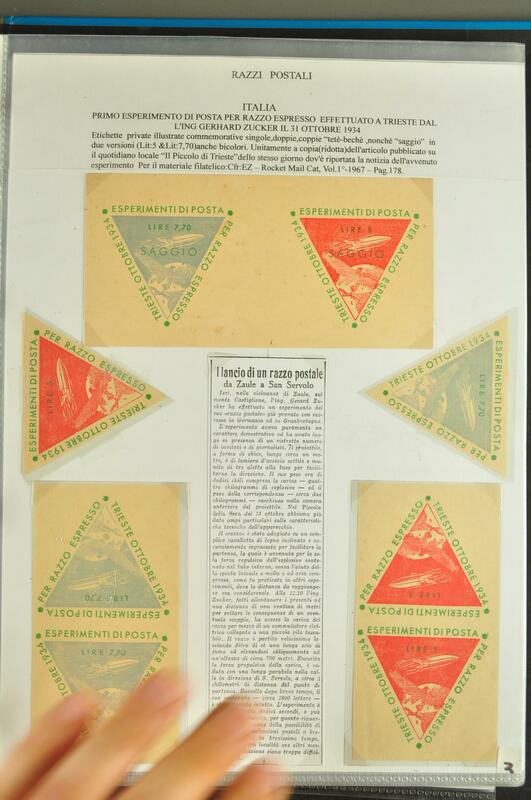 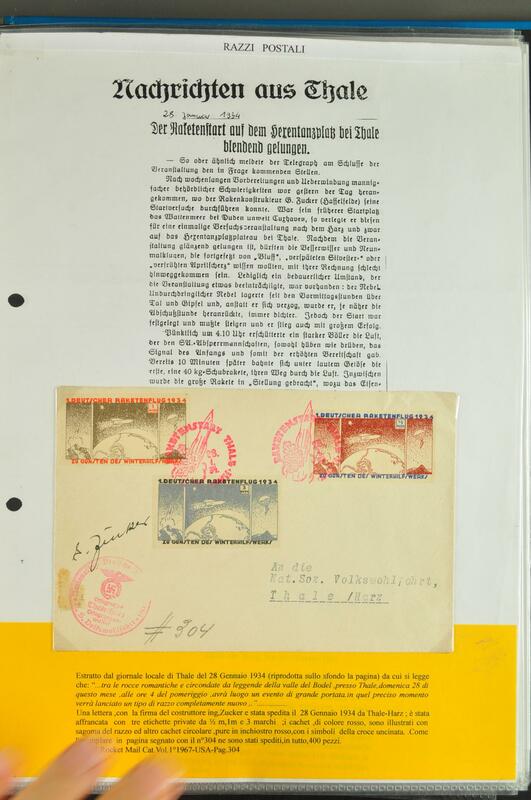 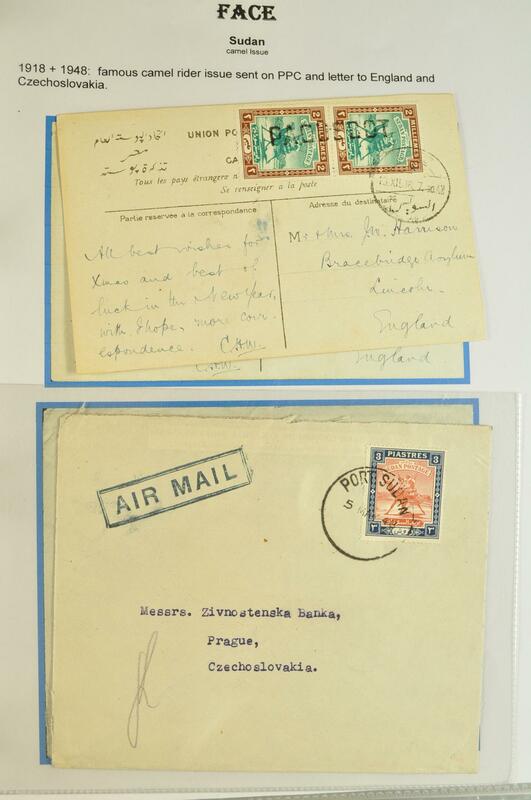 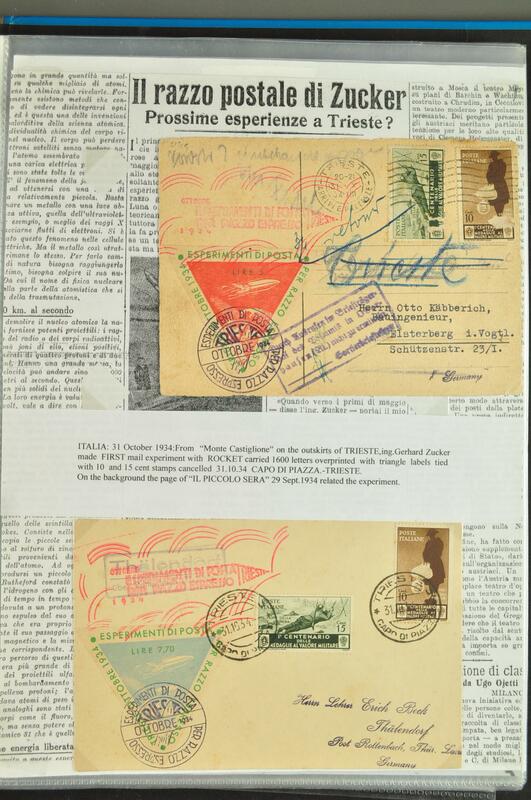 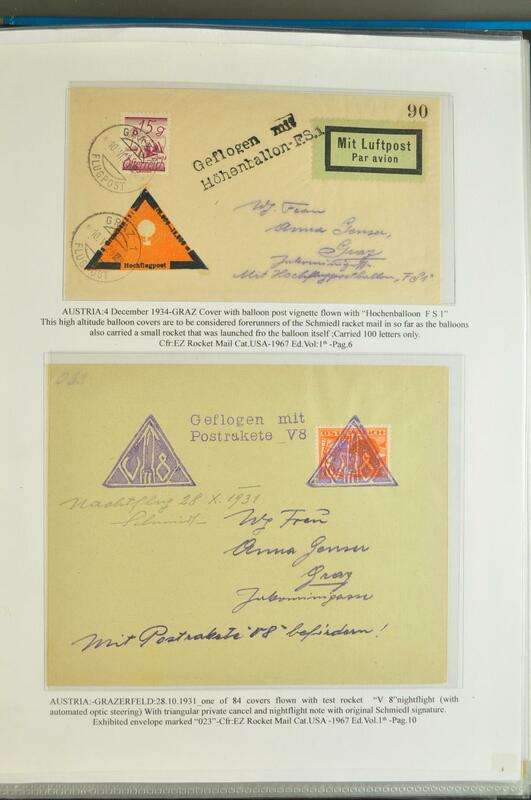 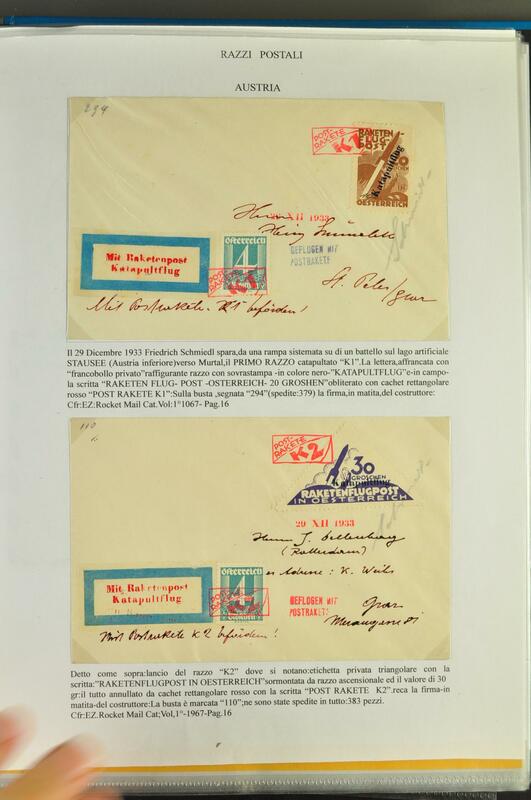 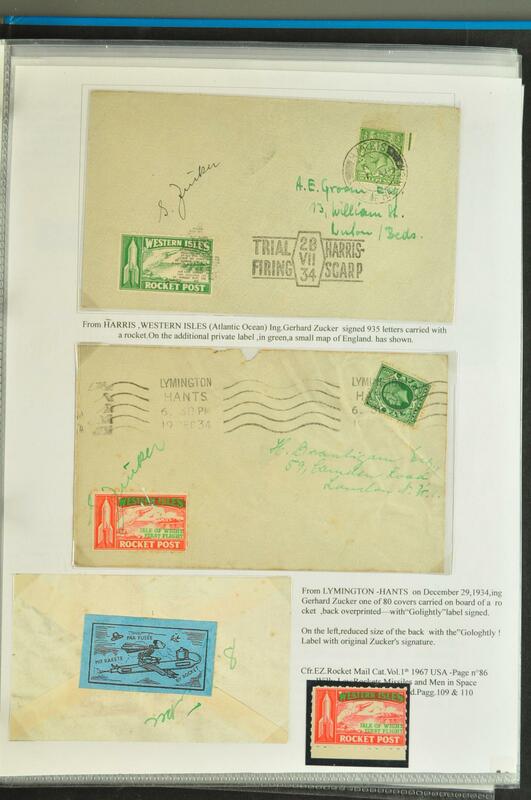 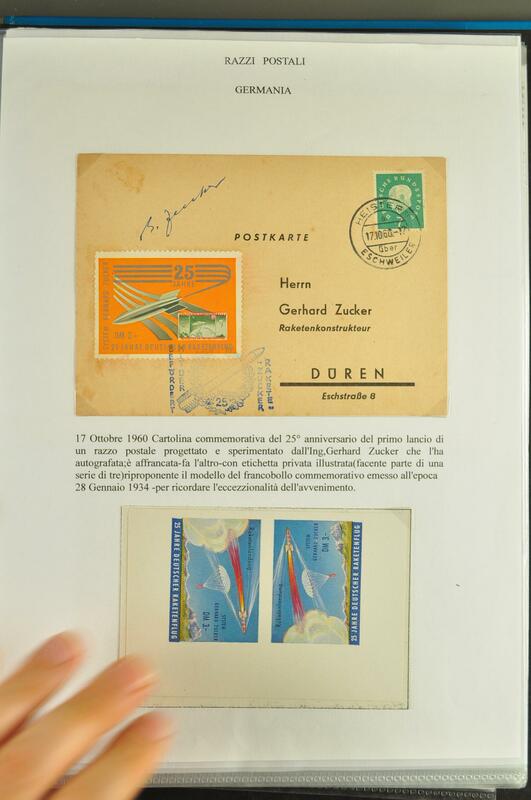 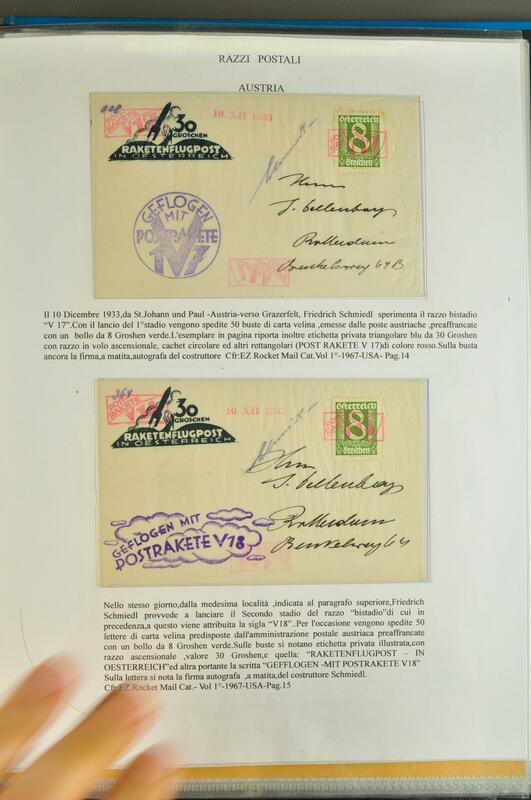 1945/60ca: Lot 110 covers from Europe and overseas, all sent to the Liechtenstein postal administration. 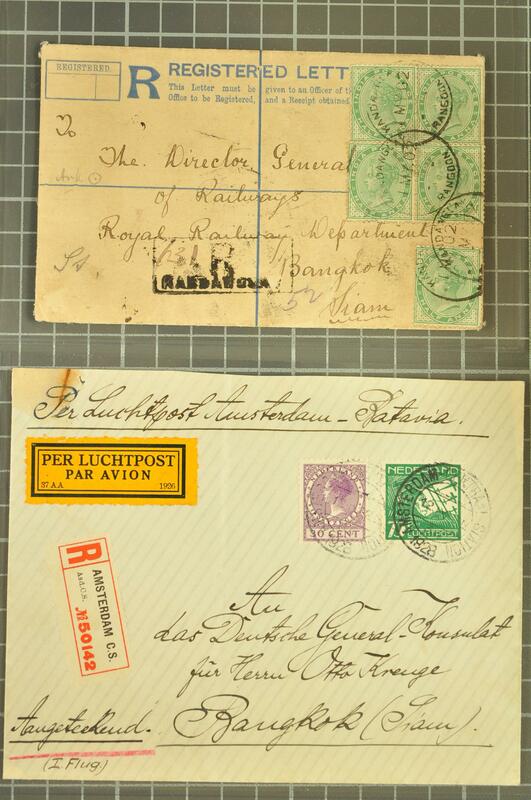 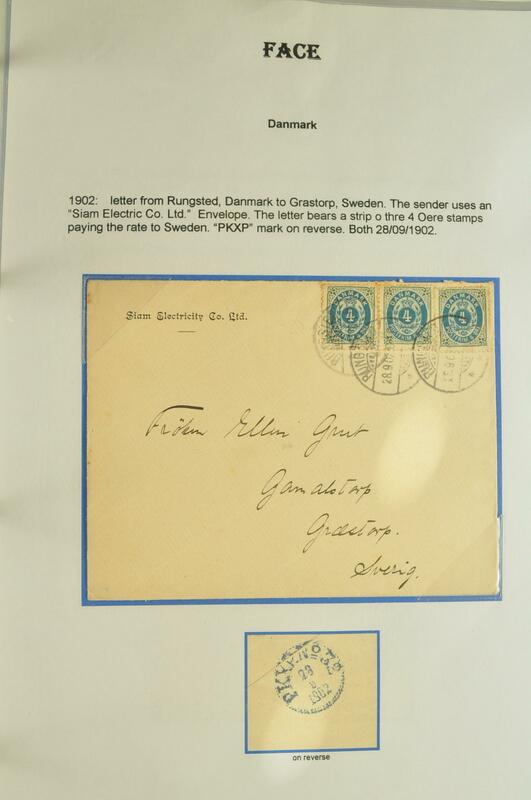 1857/1922: Covers/cards (7) with 1857 Ionian entire with hooded 'Cefalonia' datestamp in blue used to St. Maura, 1893 registered cover from Jerusalem to Gothenburg, Sweden; 1897 cover from Singapore franked by 1892/99 3 c. carmine-rose and 5 c. brown to Stockholm, Canada 1898 Map 2 c. used on delightful illustrated envelope, New Zealand 1 d. on 1½ d. letter card up-rated with 1900 1½ d. chestnut used from 'Rata' to Upsala, Victoria with 1896 ½ d. newspaper wrapper up-rated with ½ d. and 1 d. adhesives and used to Finland (Censored in Warsaw), 1900 registered cover to Ireland at 5½ d. rate from Stawell and 1922 Australia cover with 1 d. red (2) and Roo 3 d. olive sent airmail to Geraldton, Western Australia. 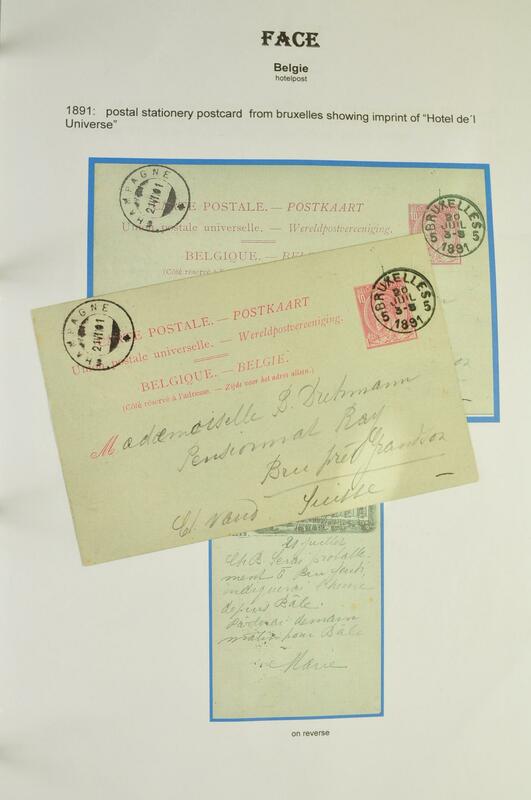 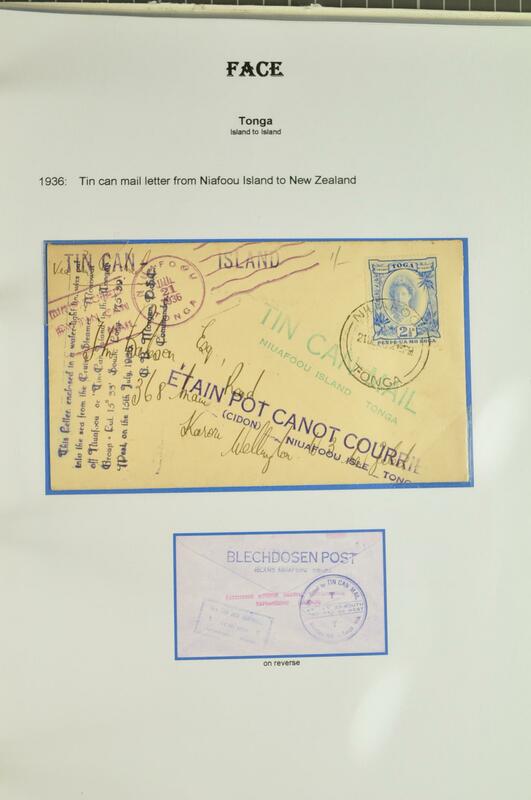 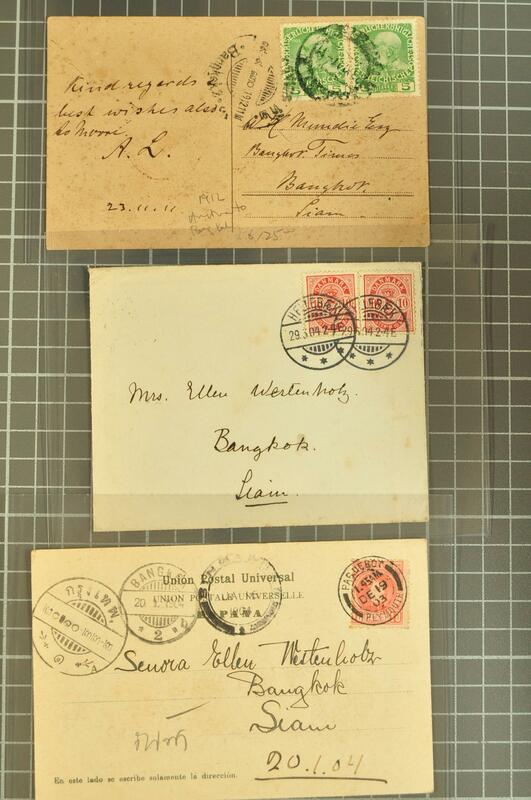 1880/1920ca: Lot nine postcards from New Zealand, Dutch Indies, Japan, Bombay and Aden as well as three covers from South Africa, Australia and Iran with shipmail cancellations incl. 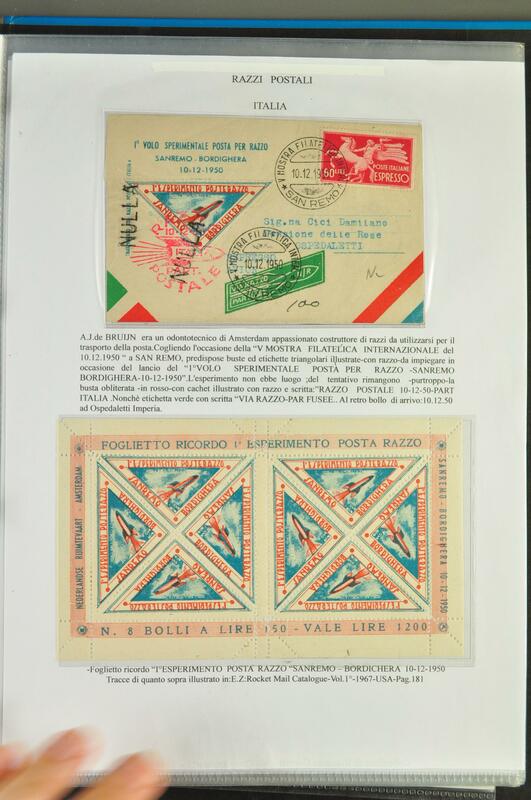 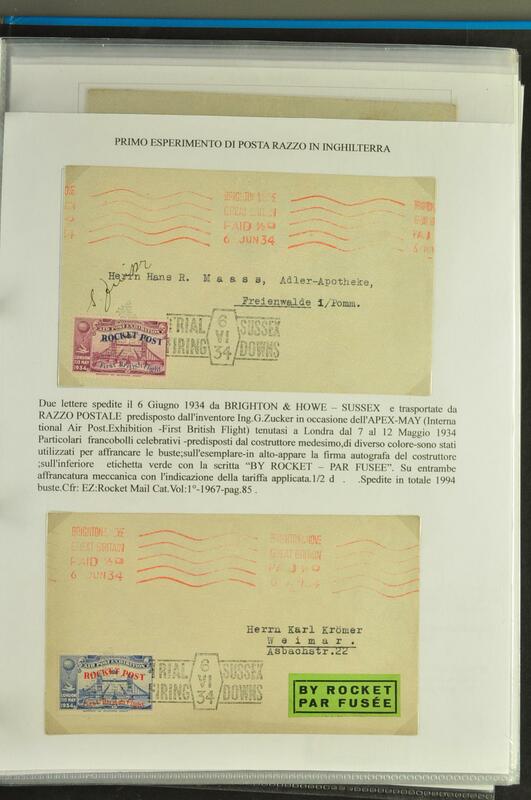 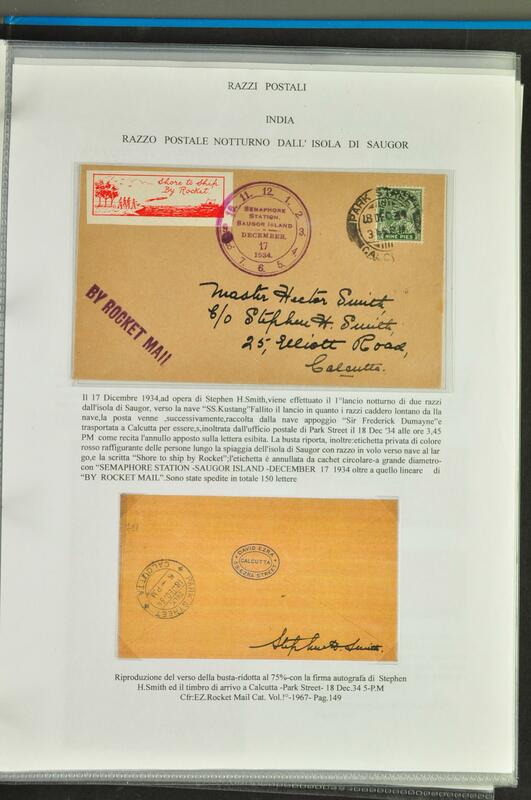 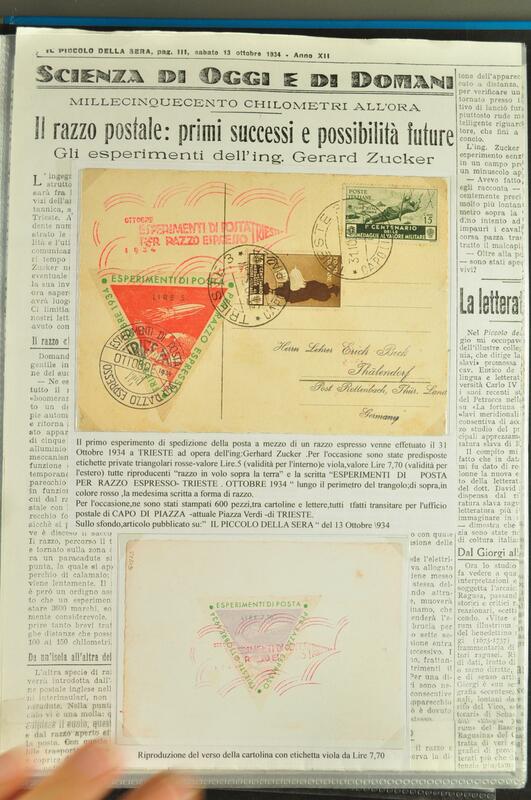 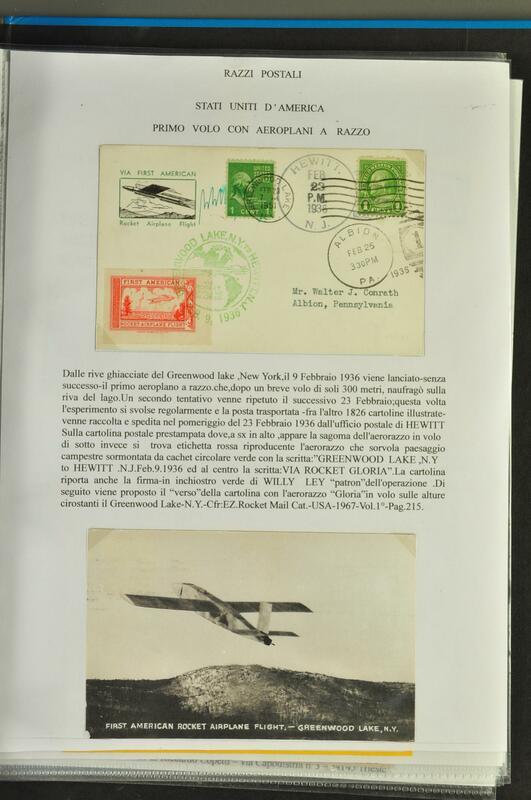 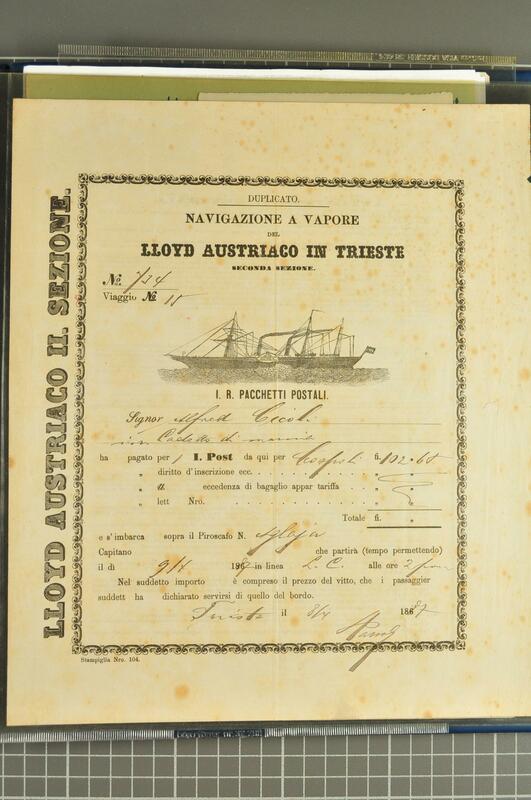 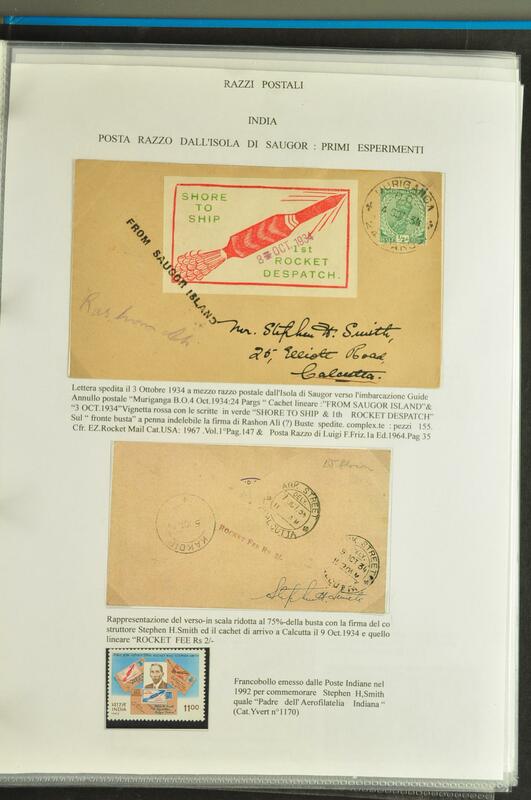 Piroscafo GIULIO CESARE on Australian stamp to the USA, B/M CORMORAN on Iran, Nave LIGURIA on Soerbaia postcard, Nave PIEMONTE on Bombay postcard to Bologna, and three cards from Aden all with R. Nave PIEMONTE to Napoli.rnProvenance: Collection Del Bianco. 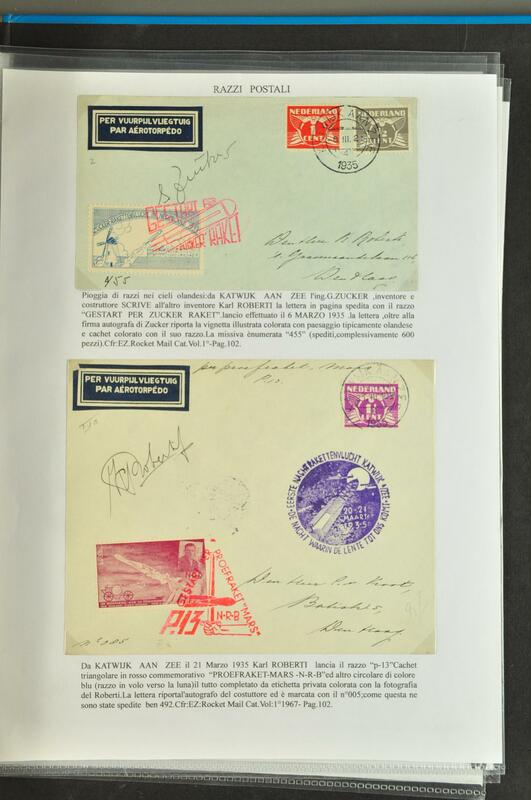 1914/45: Lot some hundred cards and covers from various countries all over the world, mostly adressed to Switzerland and covering the periods WW 1 and WW 2, therefore nearly all bearing censor marks and/or censor labels from diff. 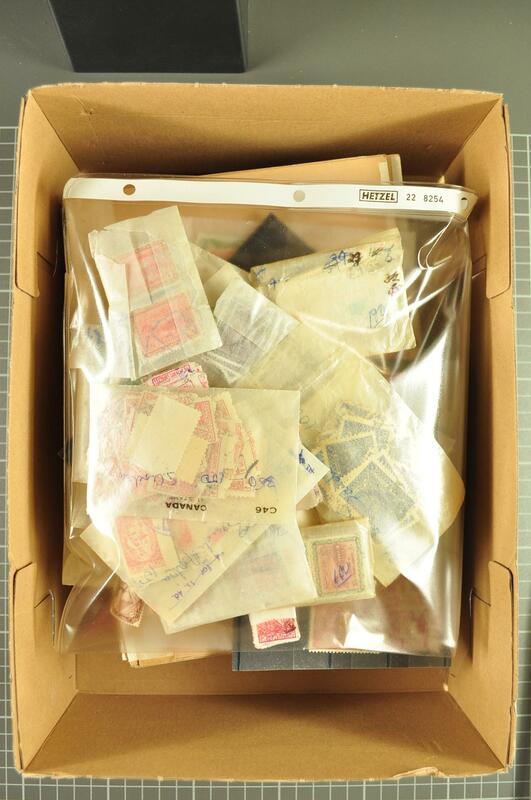 civil or military authorities, arranged in a small box. 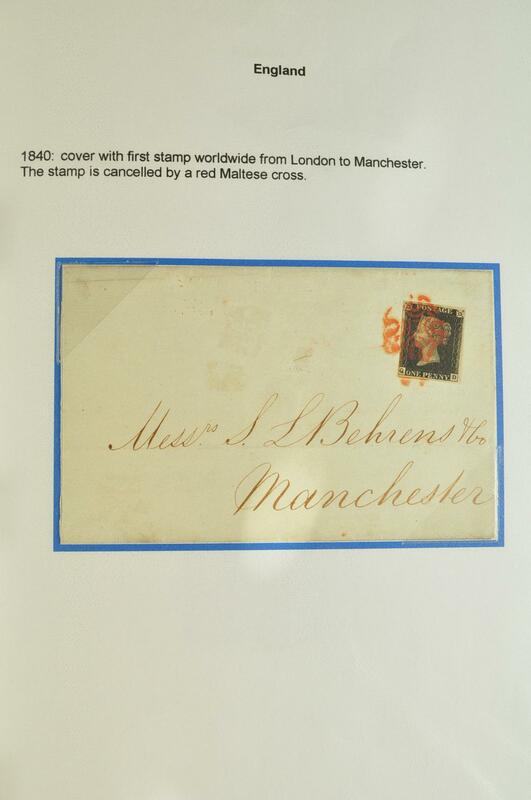 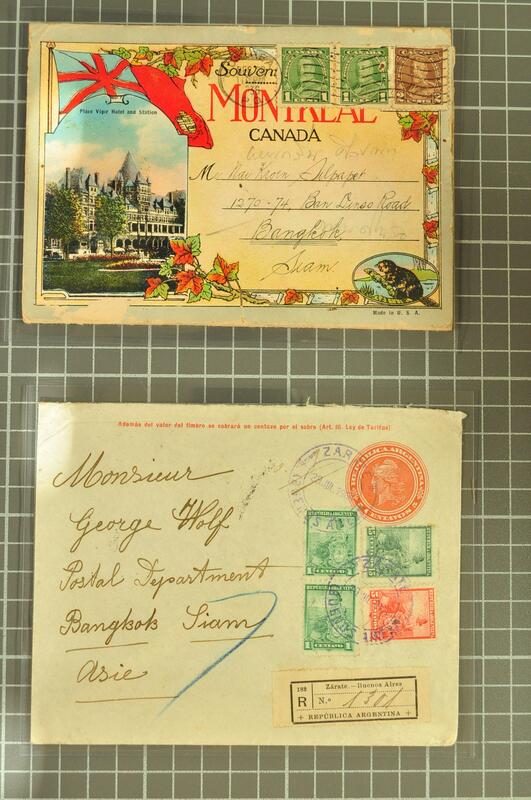 1880/1980: Lot some hundred covers, cards, picture postcards and postal stationery items covering various countries all over the world, mainly franked by small values and coming form daily or business mail, in additon a stockbook with modern used US material, mixed condition and arranged in a small box. 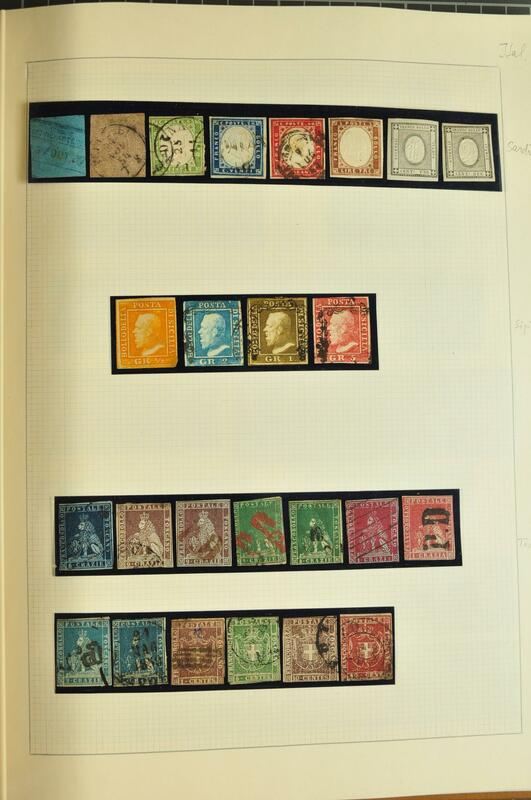 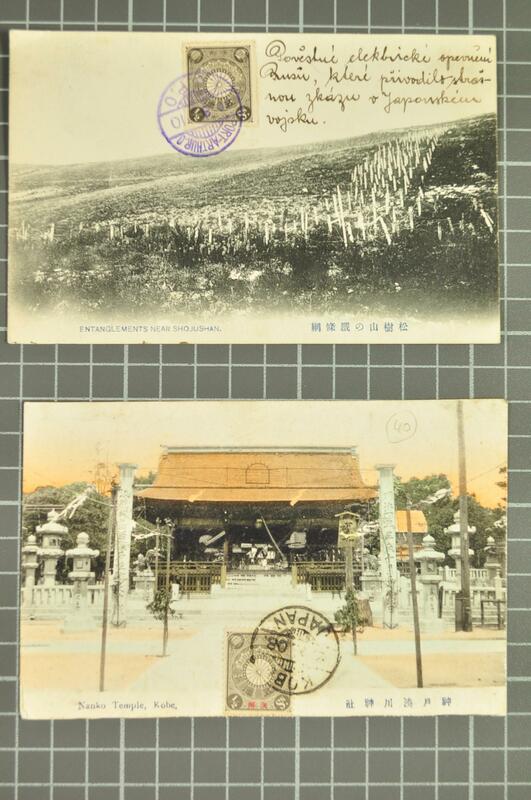 1900/2000: Lot several hundred cards and covers from a wide array of countries all over the world incl. 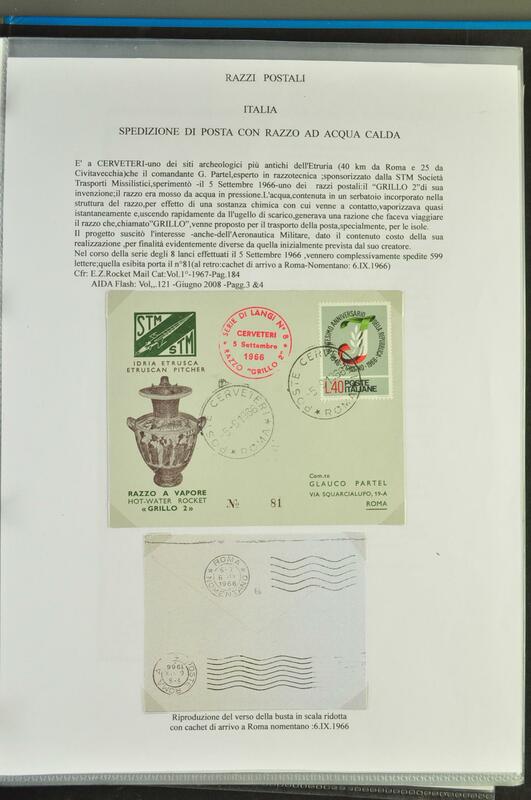 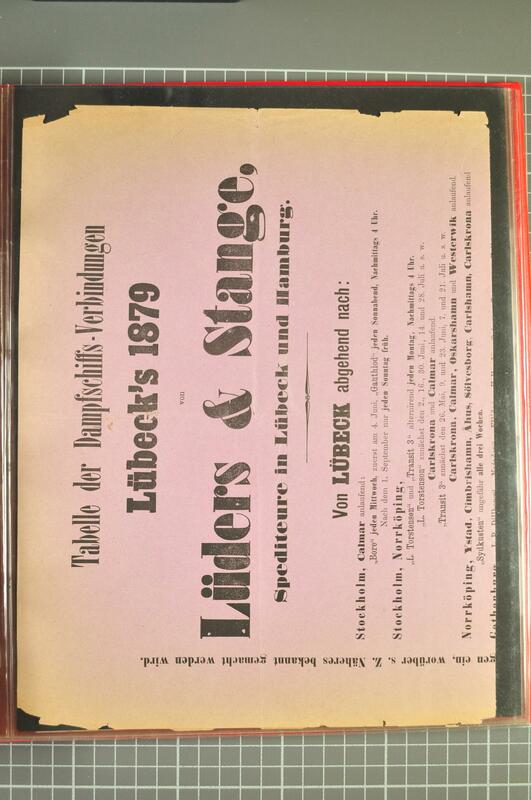 Switzerland, mainly small values on business or ordinary mail, modern FDC's and other products by the new issues department, average condition and housed in two Banana boxes. 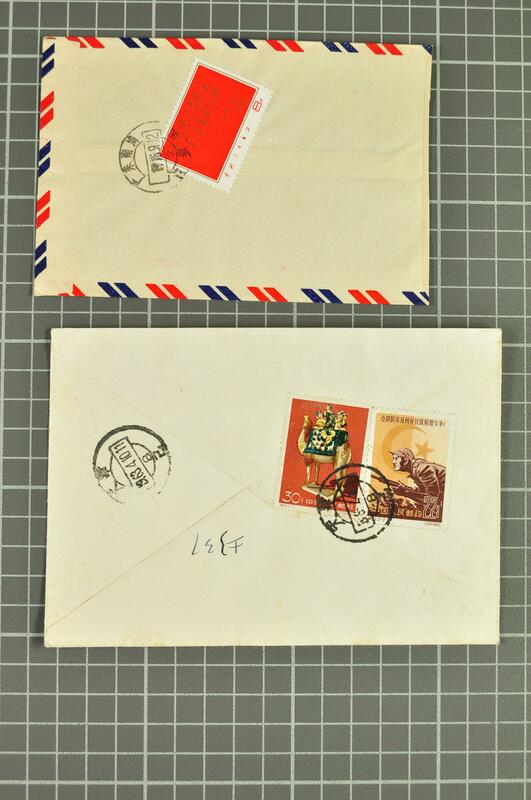 1960/80: Lot several hundred cards and covers from various Arctic and Antarctic missions, mainly from Russian polar stations, fewer from Argentina, Poland and some others, good condition and housed in total nine albums. 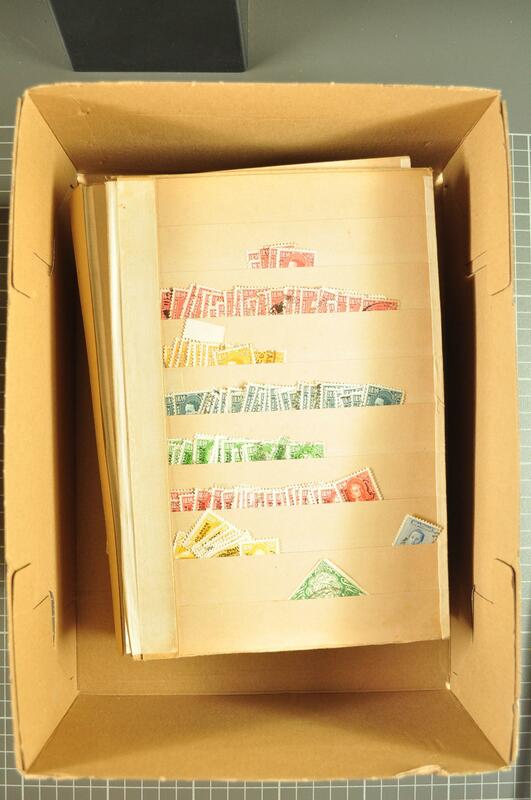 1960/2000: Small dealer's stock several hundred cads and covers regsarding Astrophilately, covering many space missions from the USA and the UdSSR, partly in quantities, in addition related documents and informations, housed in albums, small boxes and plastic organizers, good to mixed quality and the whole packed in al large removal box and in a Banana box. 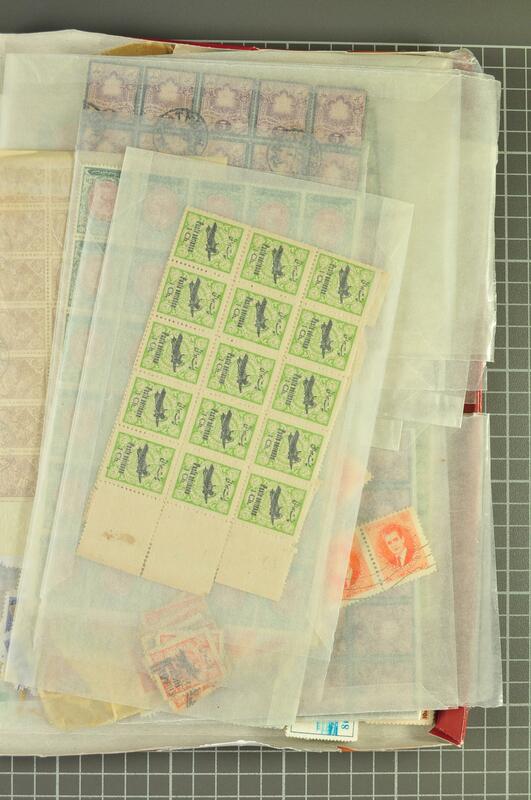 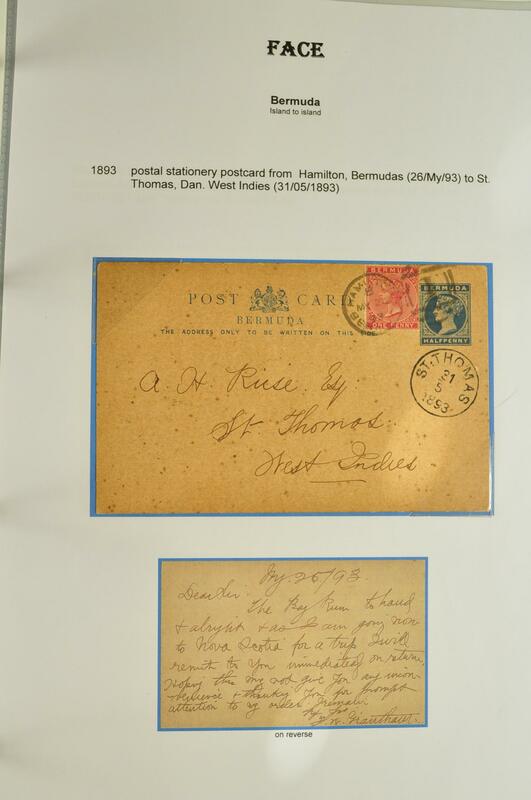 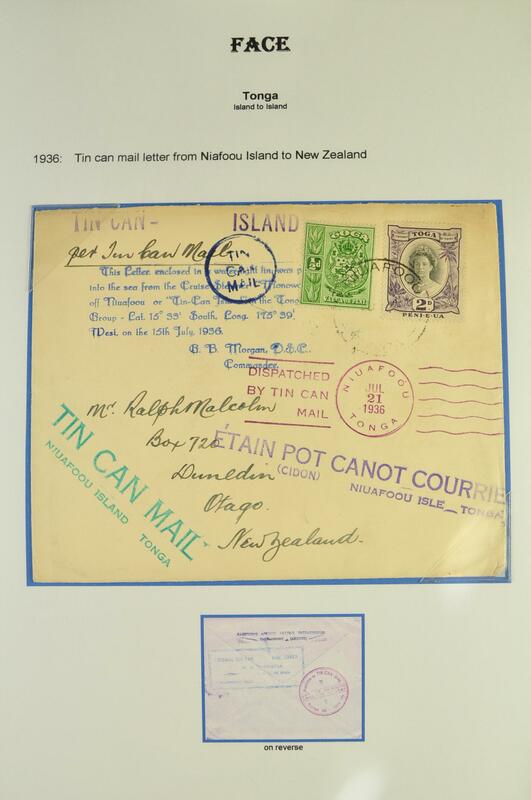 1900/2000: Lot several hundred covers, cards, picture postcards and postal stationery items, the latter used and unused and partly in quantities, represented are diff. 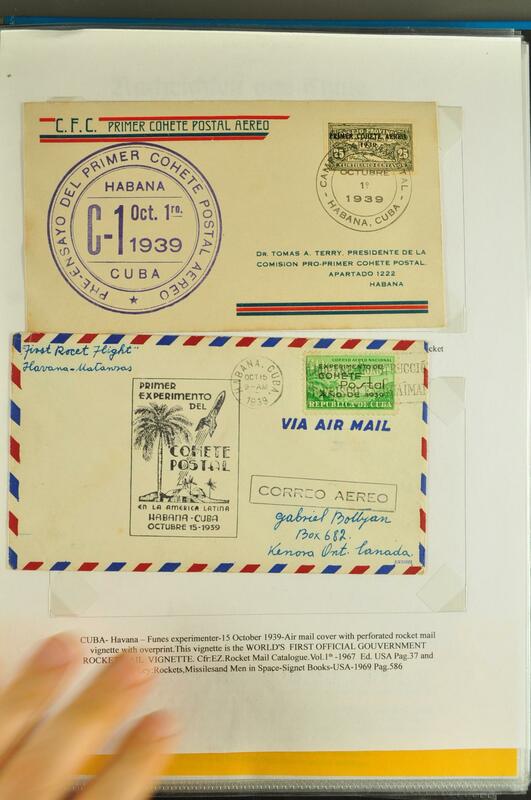 contries incl. 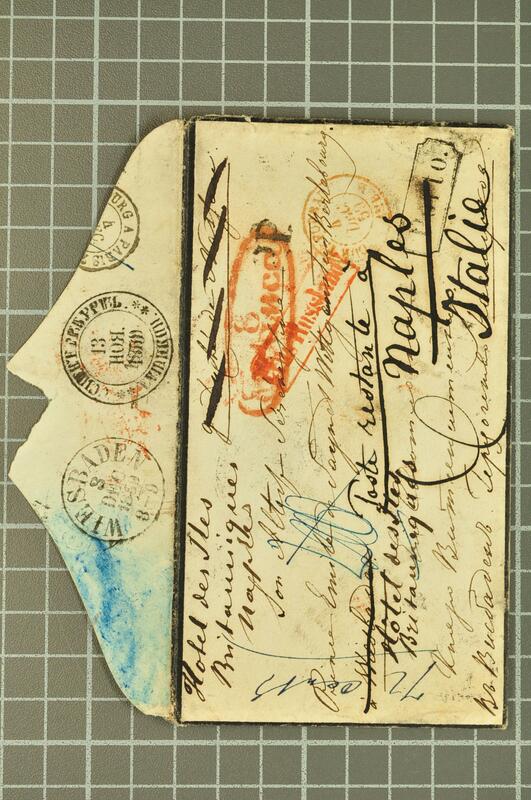 a large part of Italy and related areas, also some Brit. 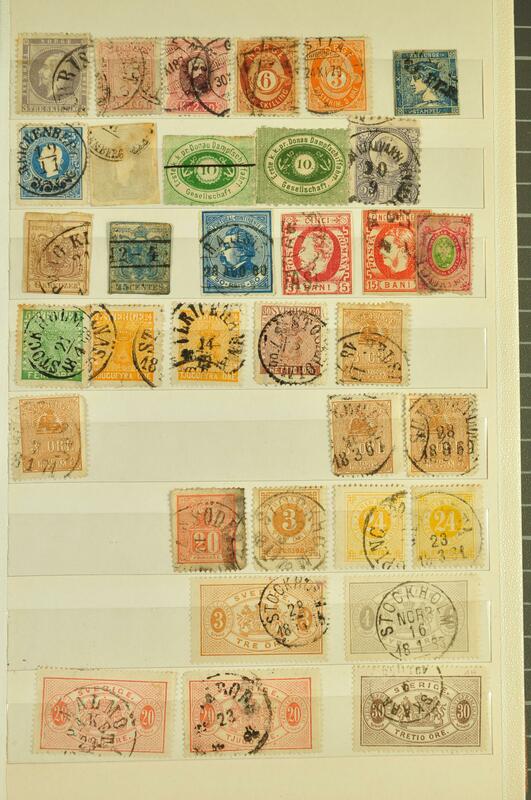 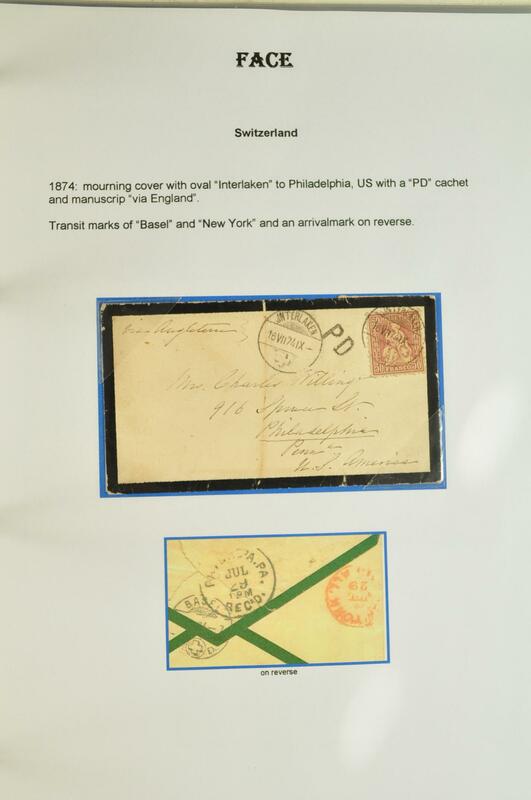 Colonies and countries located in America, inbetween also some single stamps can be found, good to mixed condition, housed in few albums, in envelopes and in small boxes, the whole arranged in a removal box. 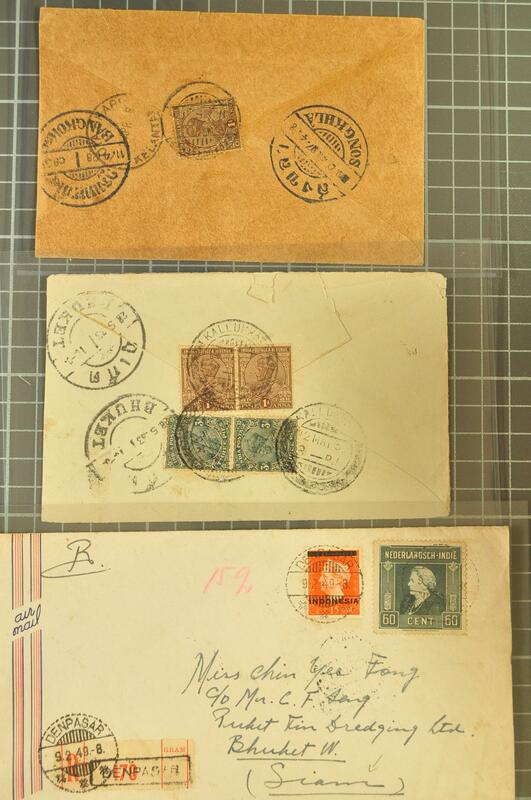 1880/1980: Small selection some hundred cards, covers and postal stationery items from various countries all over the world, mainly small items but also some better items can be found, partly in very mixed conditon, in addition a small collection of mint stamps from Finland after WW 2, housed in three albums and in a small box. 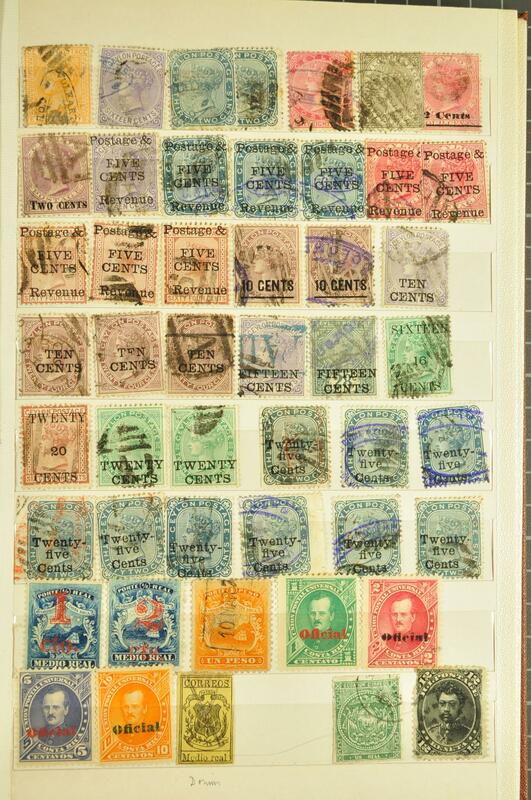 1880/1920ca: Lot 40 covers in mixed condition incl. 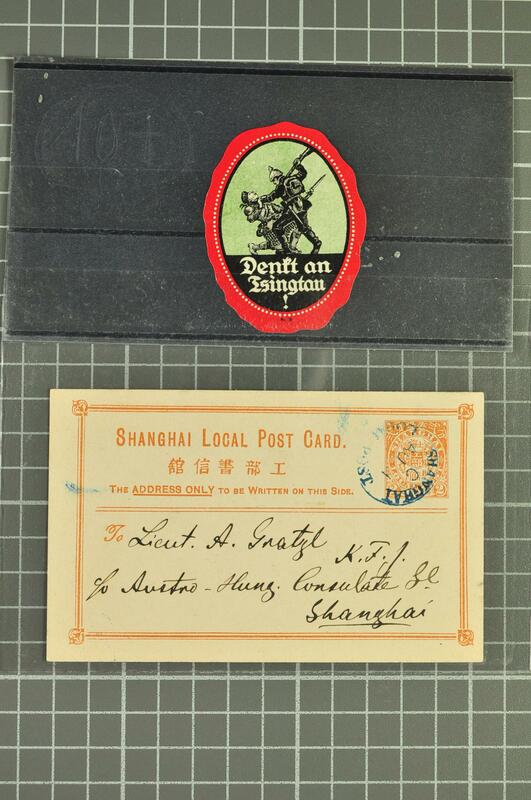 China (14) with two regd. 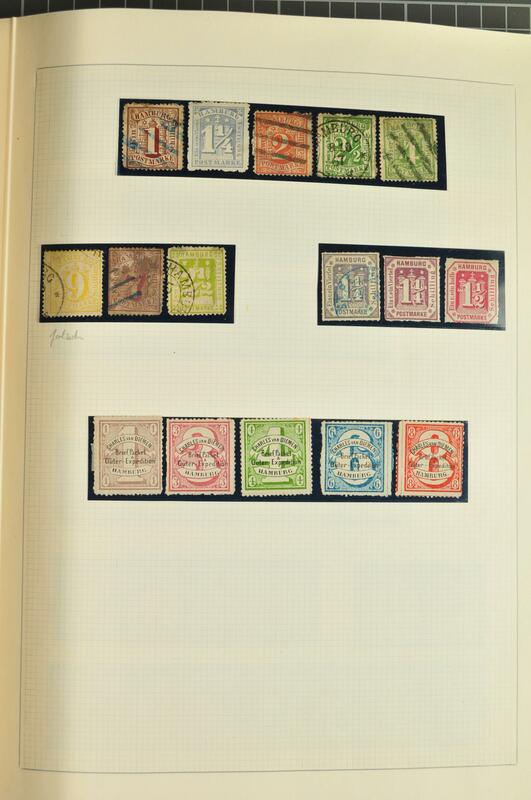 Chinese covers from Lhasa Tibet to Nepal, Hong Kong (10) incl. 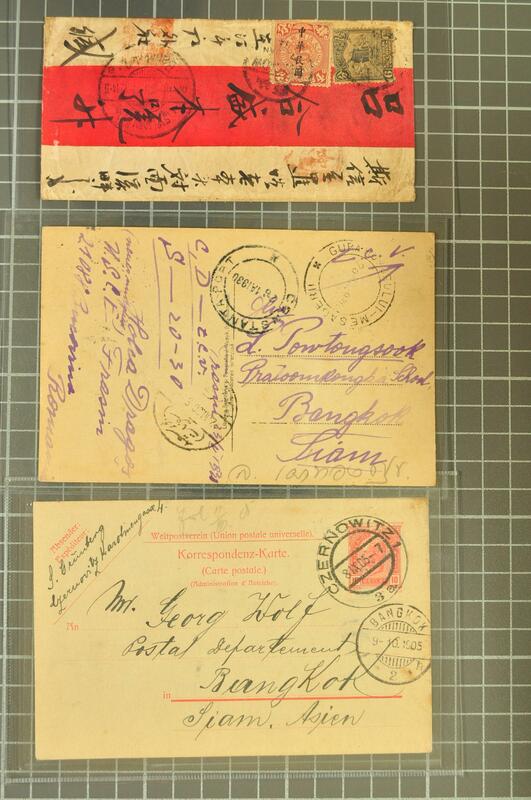 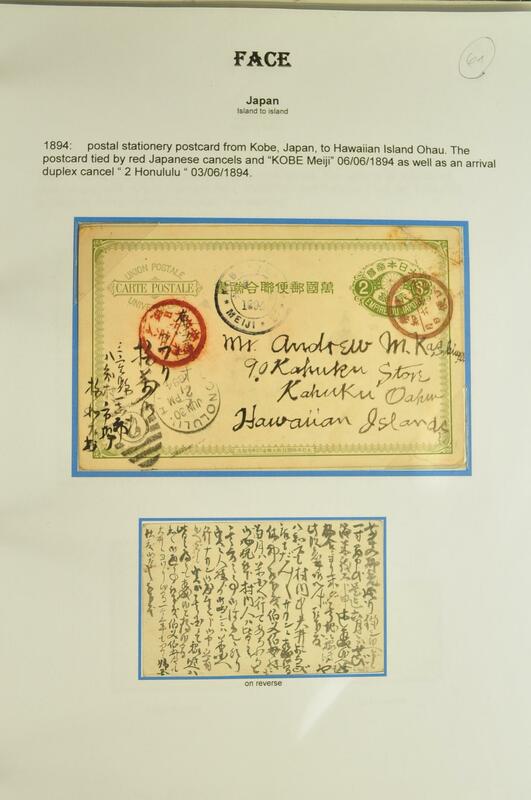 1899 stationery 4 cents to Vienna with handpainted junk, and ten postcards from the Russo-Japanese war, some used with Port Arthur I.J.P.O. 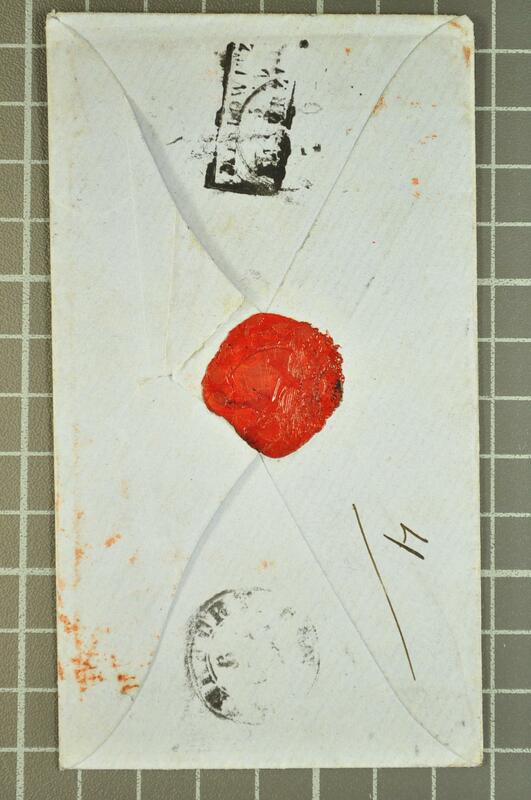 cancellation. 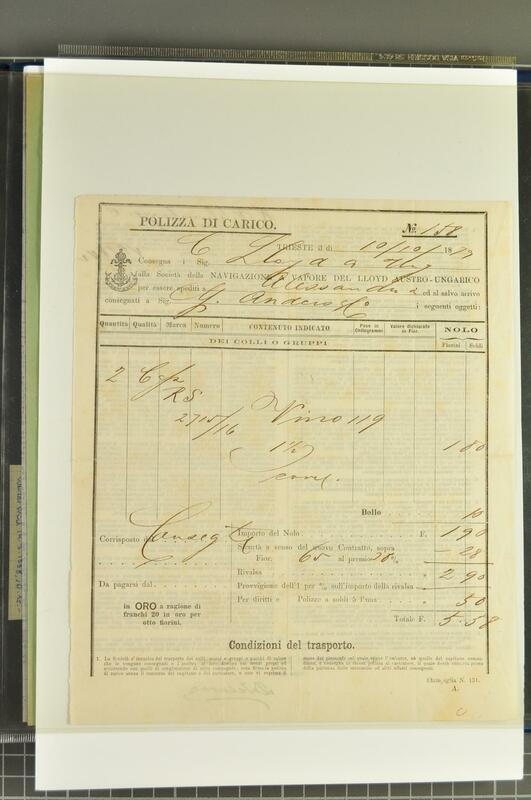 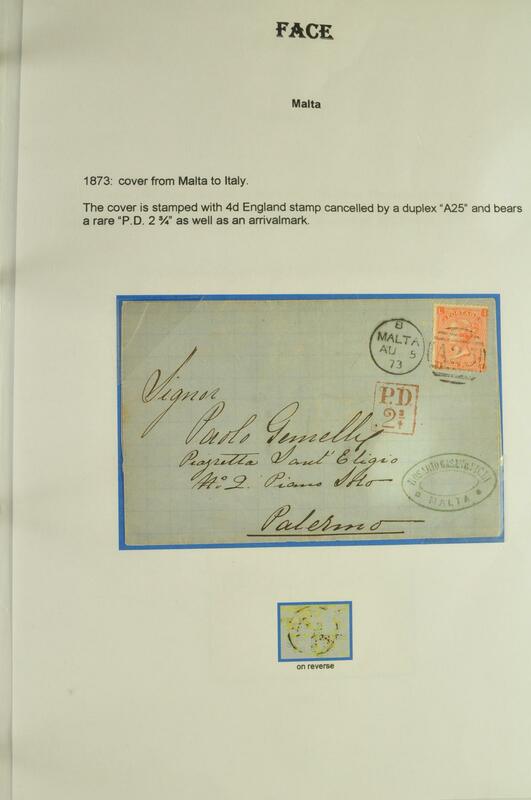 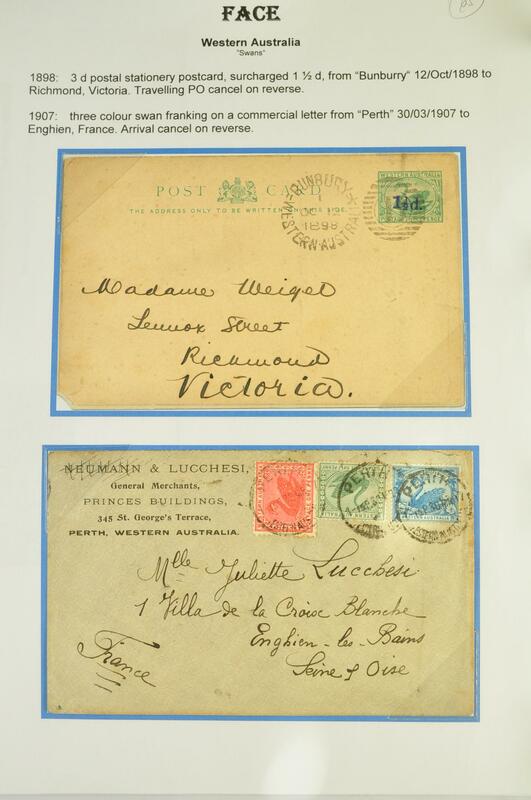 1880/1920ca: Lot 37 covers / postcards in mixed condition with shipmail cancellations from USA, Canada and Europe to Italy incl. 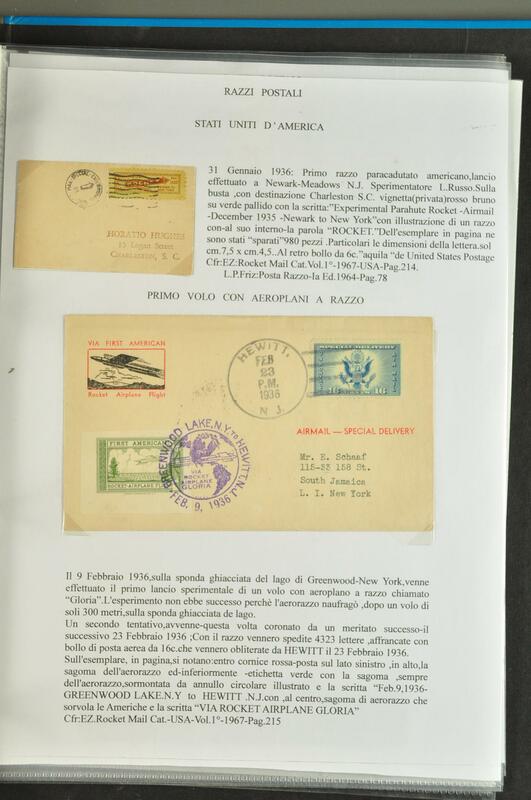 EROS, S/S SLEIPNER, Piroscafo Fiume-Genova on Canadian stamps to Genova, S.S. OCEANIA in manuscript from USA to Trieste, Piroscafo ROANA on Canadian stamp to Verona, Nave LIGURIA in New Orleans, Nave FIERAMOSCA on Washington DC postcard to Livorno, or Piroscafo REX.rnProvenance: Collection Del Bianco. 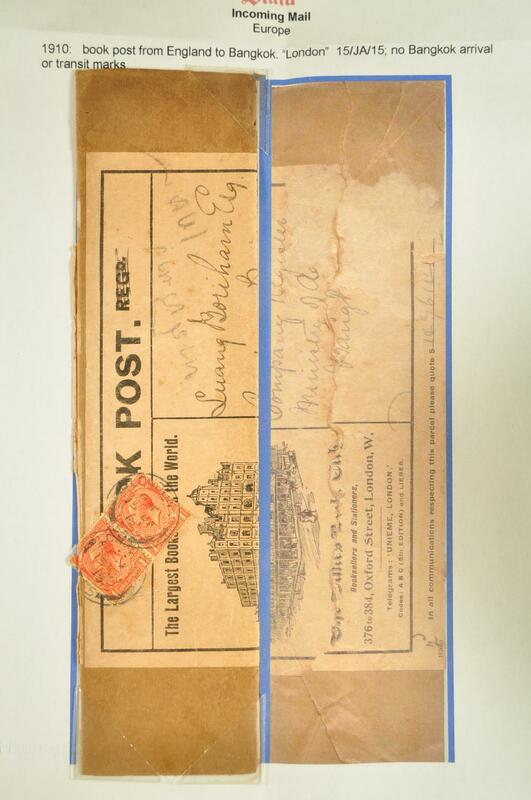 1880/1980: Lot several hundred postal stationery items used/unused, incl. 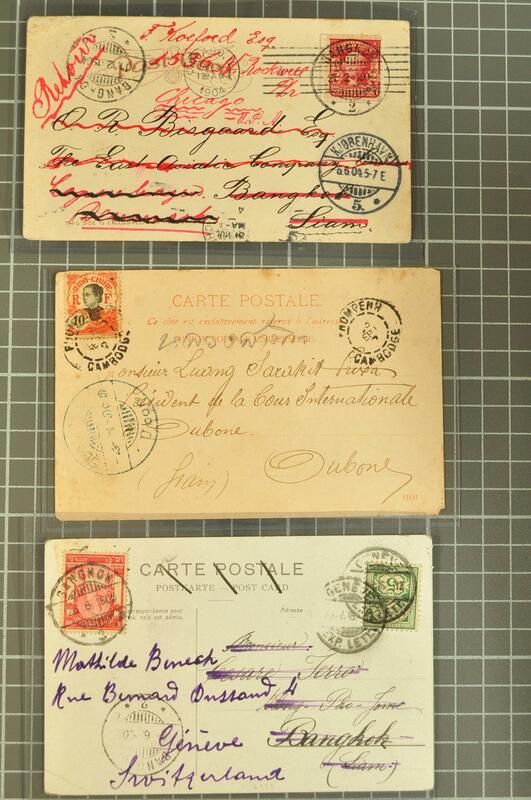 cards, envelopes and wrappers, partly uprated and mostly from European contries incl. 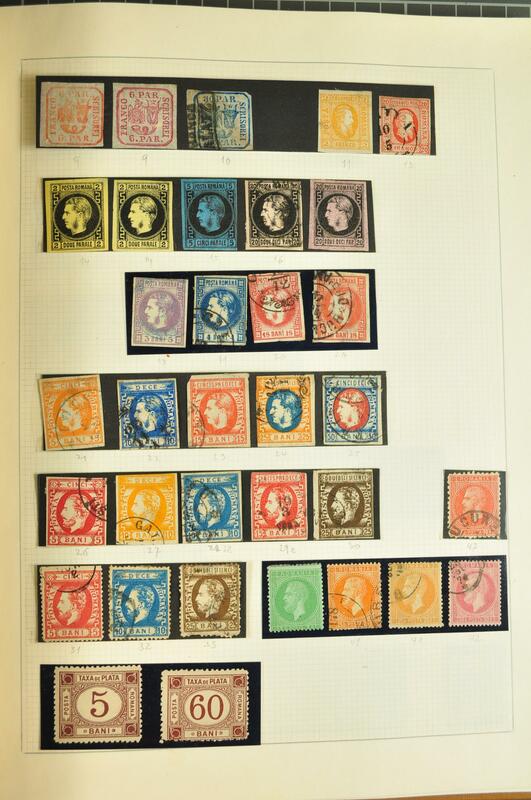 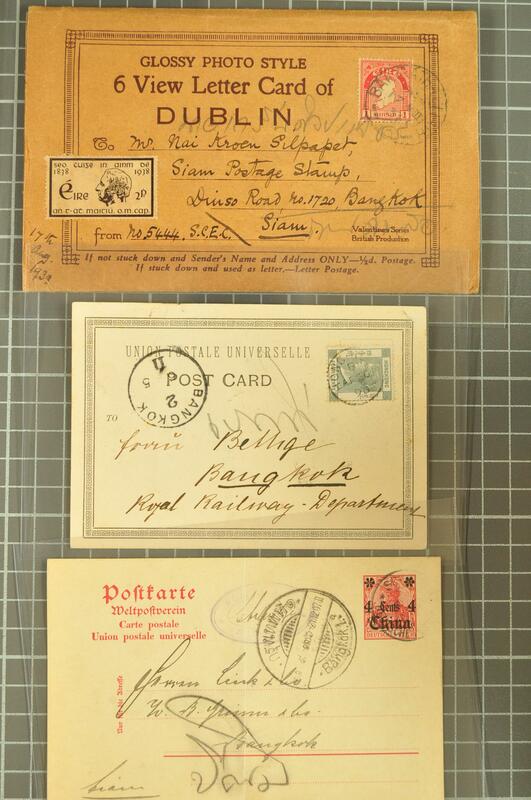 a large number from Switzerland, good to very mixed condition, in addition some cards and covers taken from daily or business mail, a few loose stamps incl. 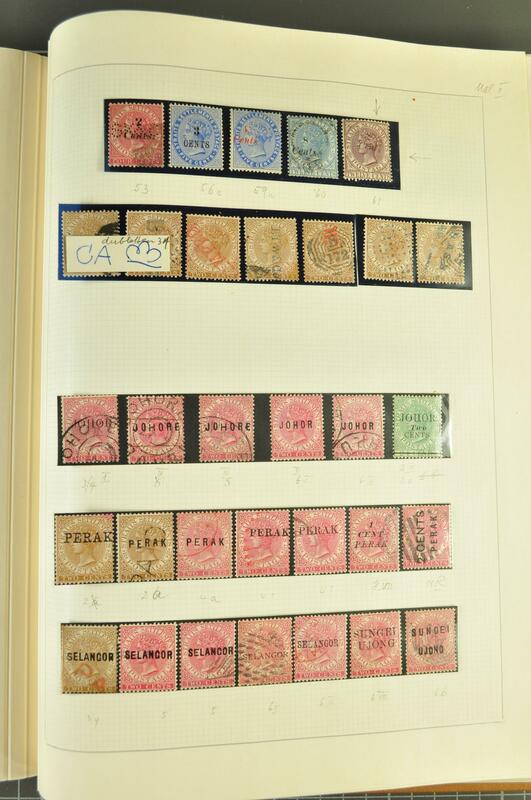 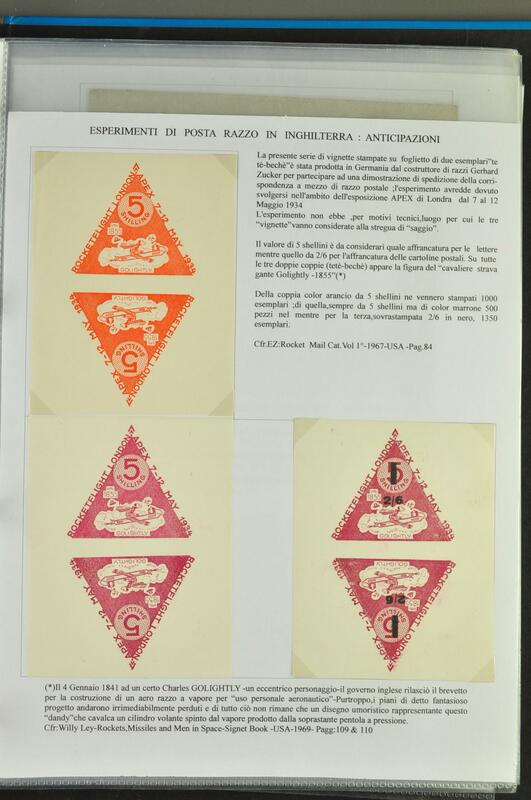 a miniature sheet Luxembourg of 1921 (25x 15 c carmine) as well as some other philatelic material, housed in three small boxes. 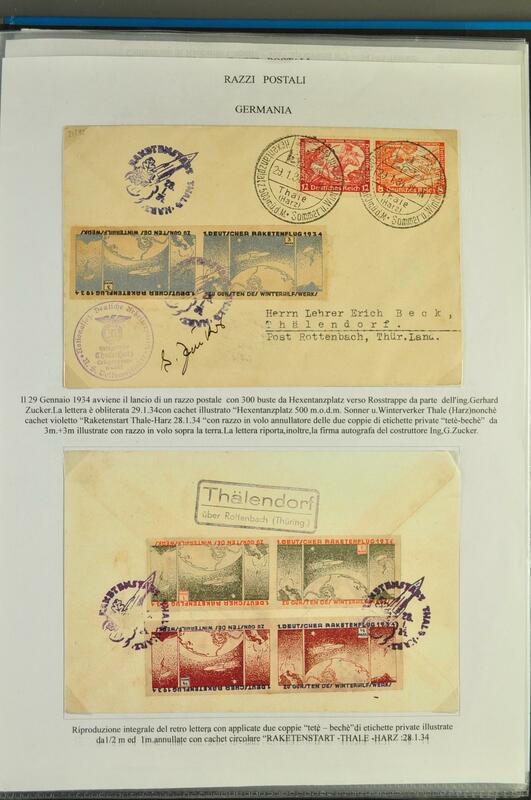 1900/2000c: Lot 70 covers worldwide incl. 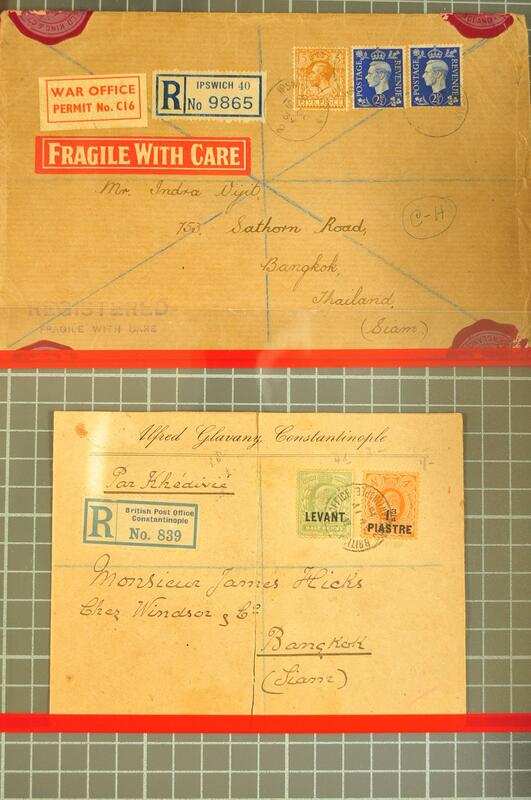 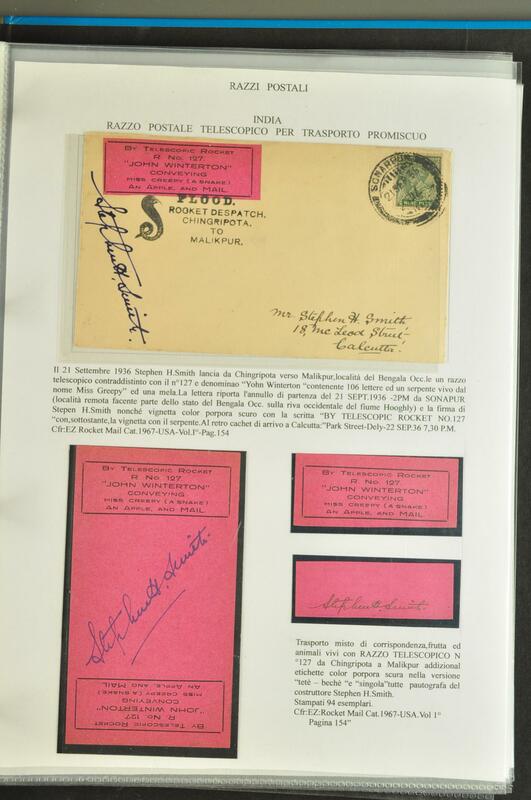 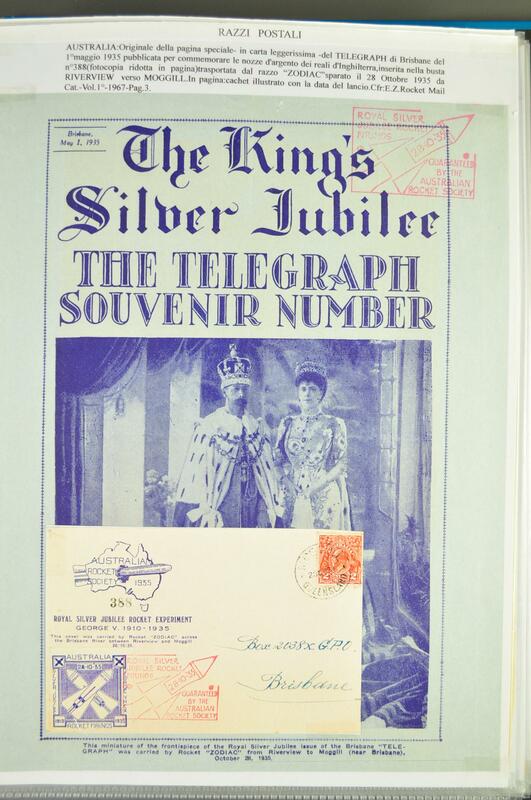 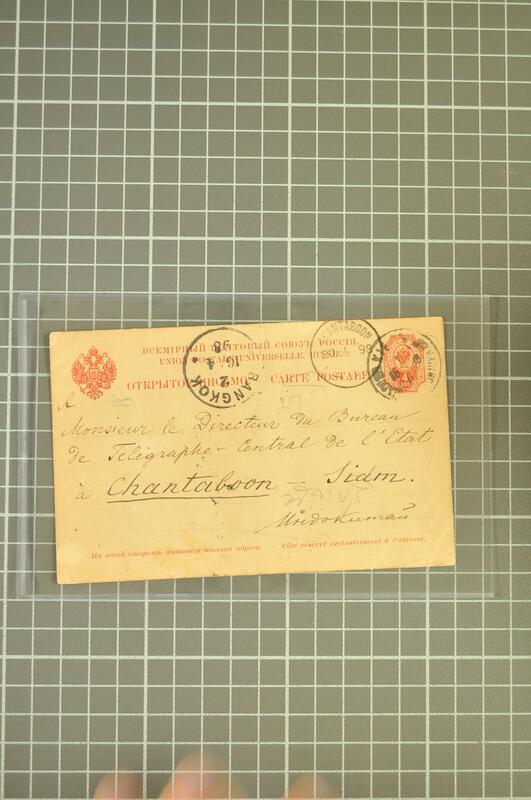 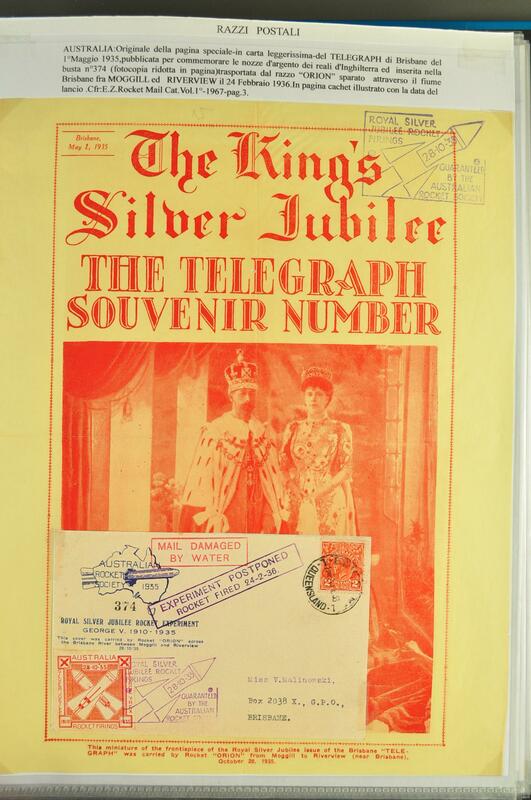 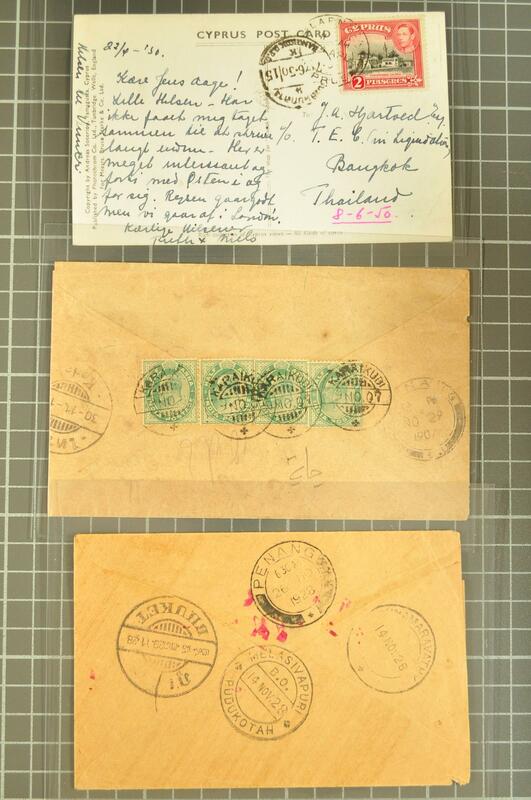 Japan 1912 telegram form to prince Waldemar of Prussia, India Hyderabad in combination with India, ovpt. 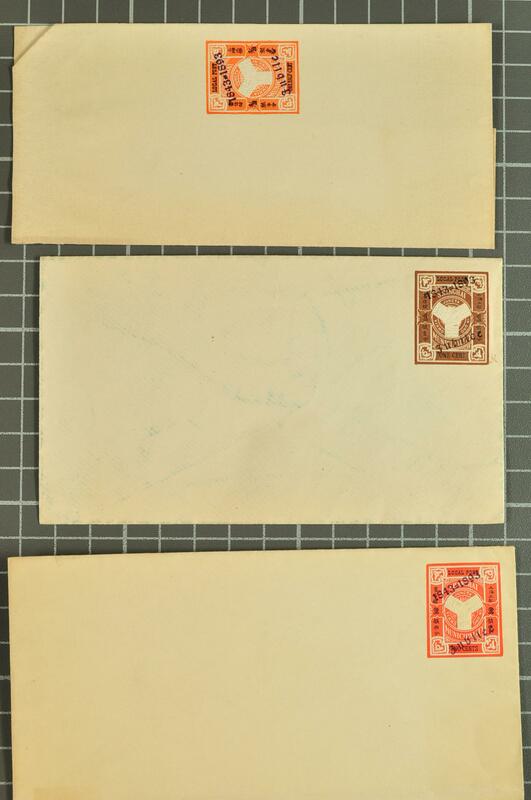 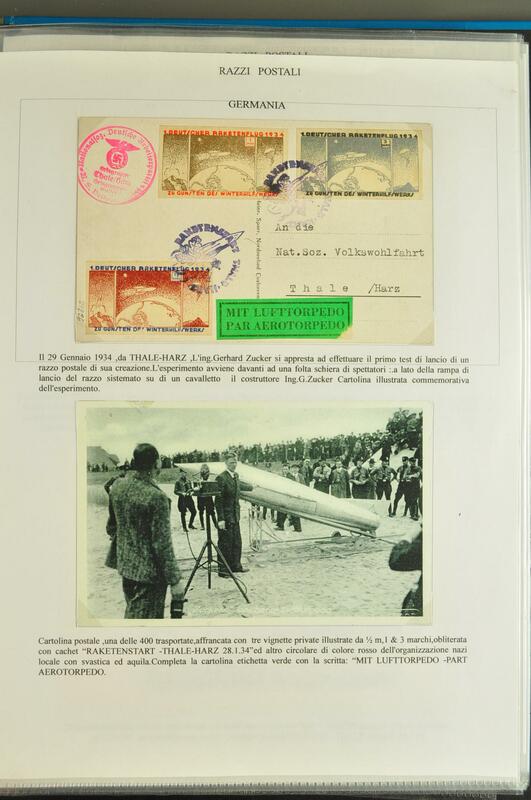 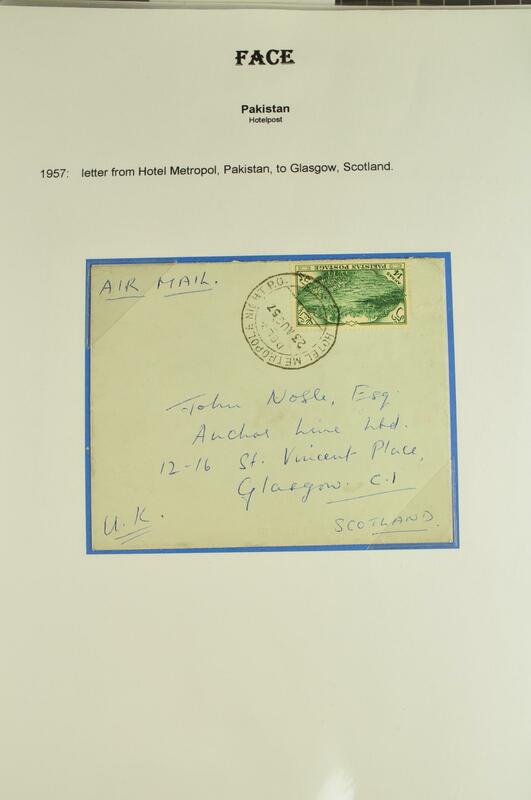 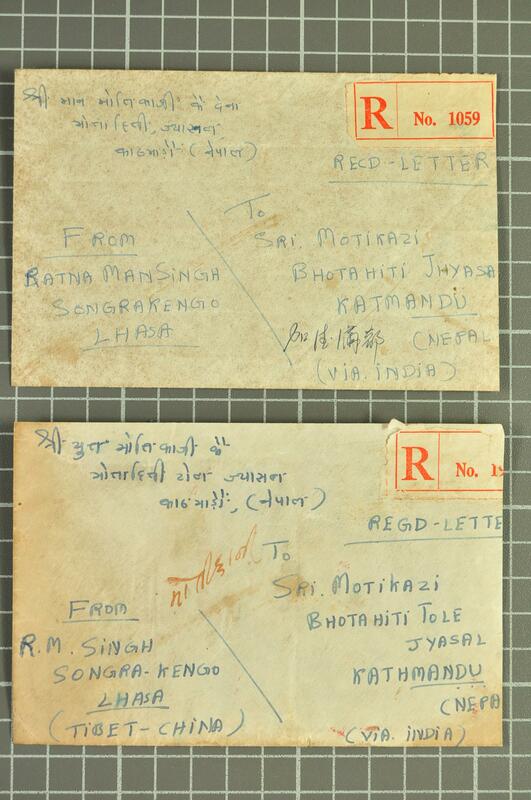 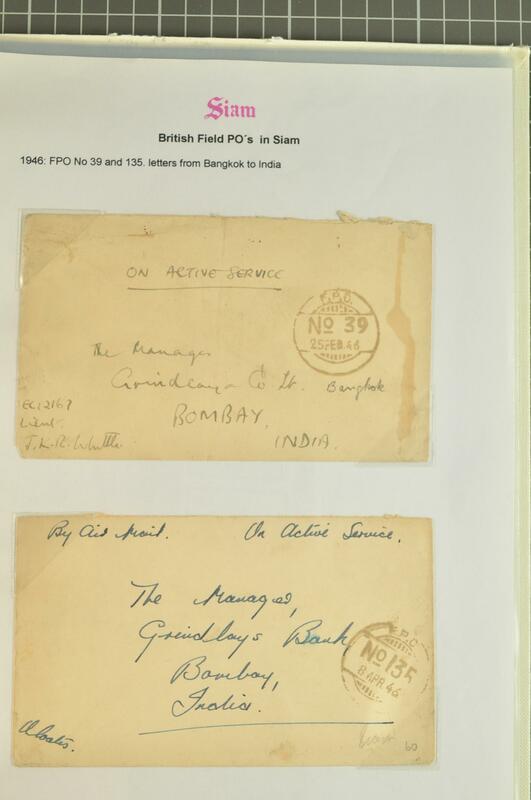 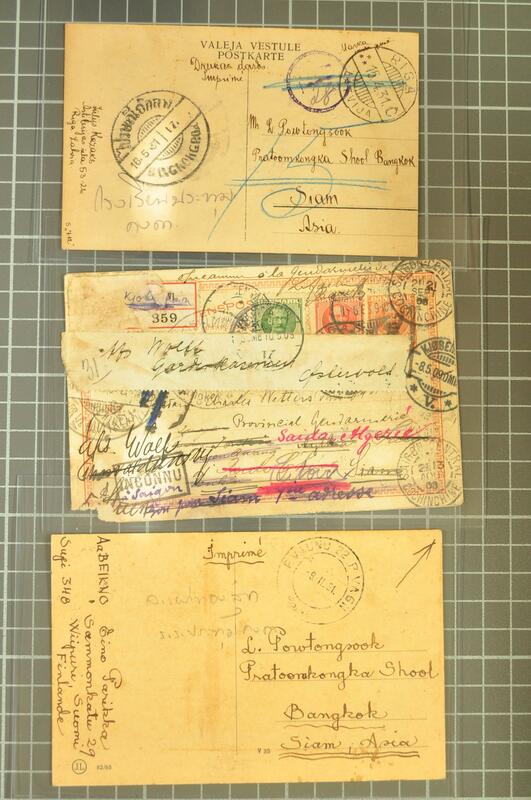 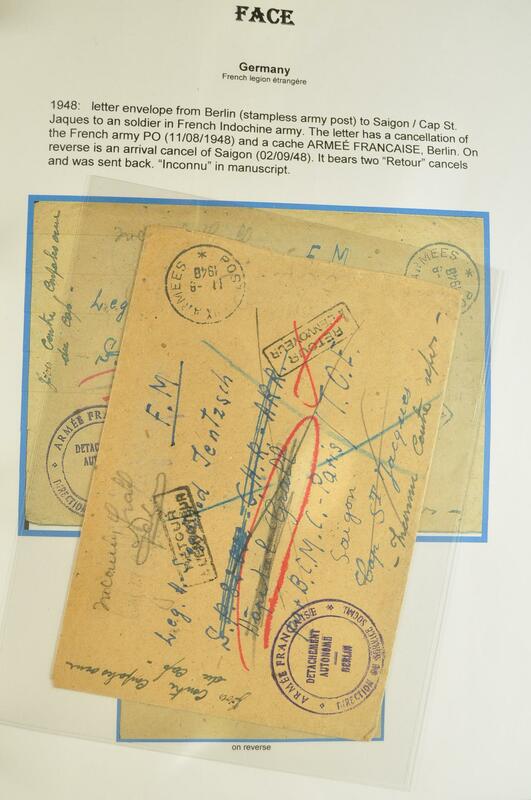 PAKISTAN to Switzerland, 1948 mixed franking KGVI& Gandhi on large business paper envelope Calcutta to Port Sudan, China 1980 Lhasa to Bhutan, Hongkong, French Indochina incoming taxed mail from India, Afghanistan 1939 Kabul to Istambul, Saudi Arabia, Haiti, and Ethiopia. 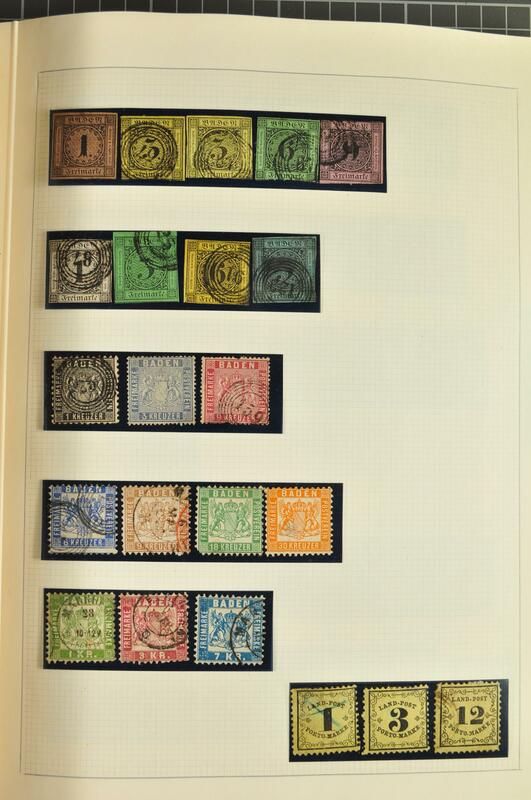 An interesting selection. 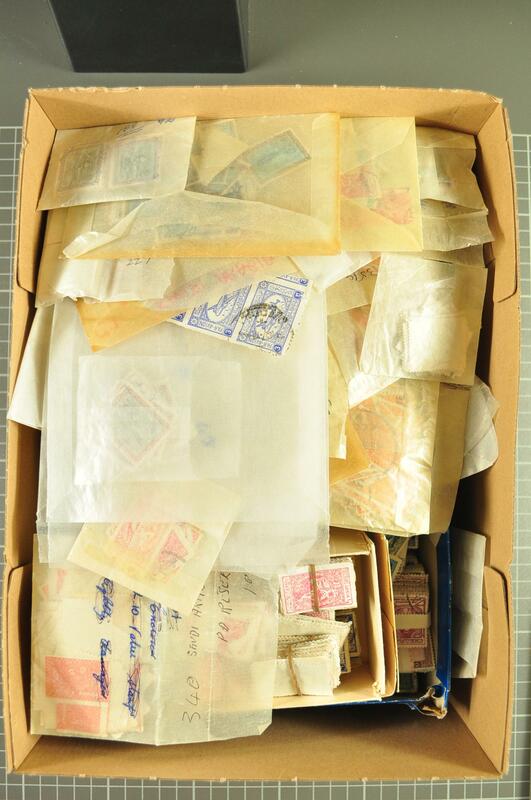 1900/80: Lot several hundred covers, cards, parcel cards and postal stationery items, mainly daily or business mail, few FDC's and other philatelic items from Austria, France and colonies, GB and colonies, Italy, Spain, Scandinavia, China, Egypt, Iran and many others, good to mixed condition, housed in three small boxes and the whole arranged in a removal box. 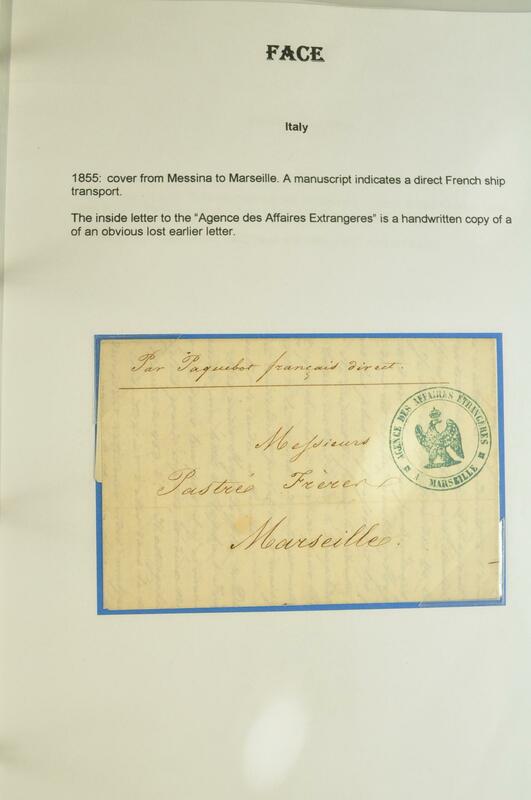 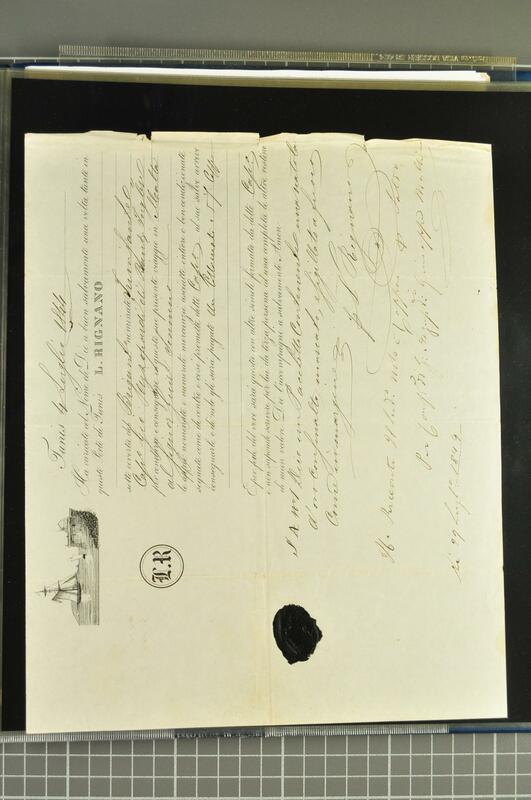 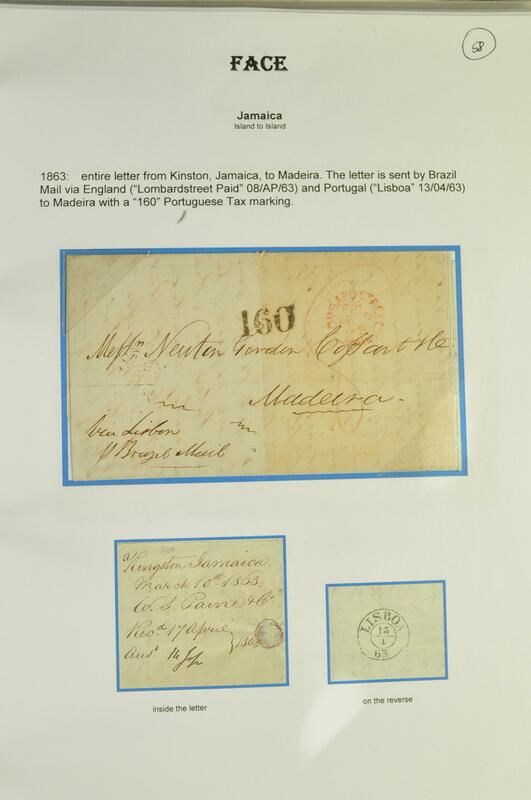 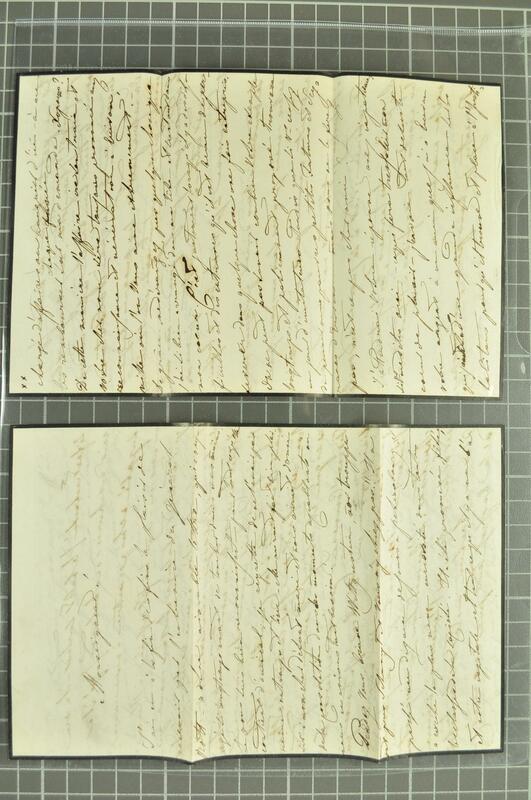 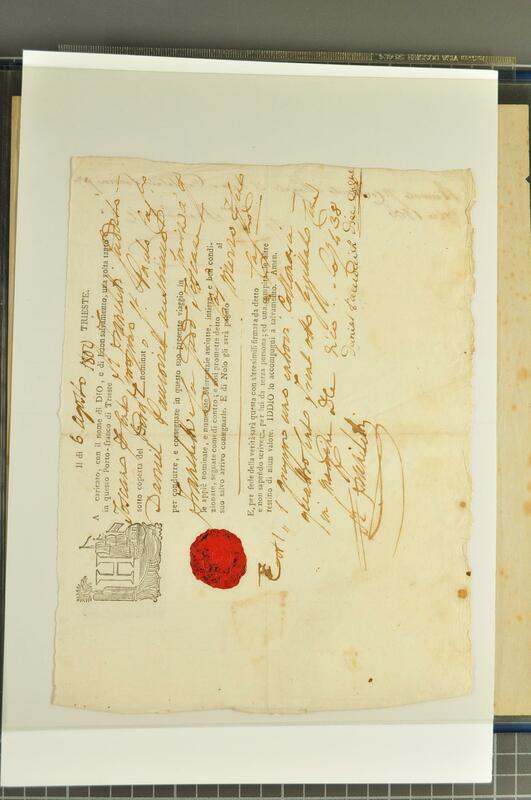 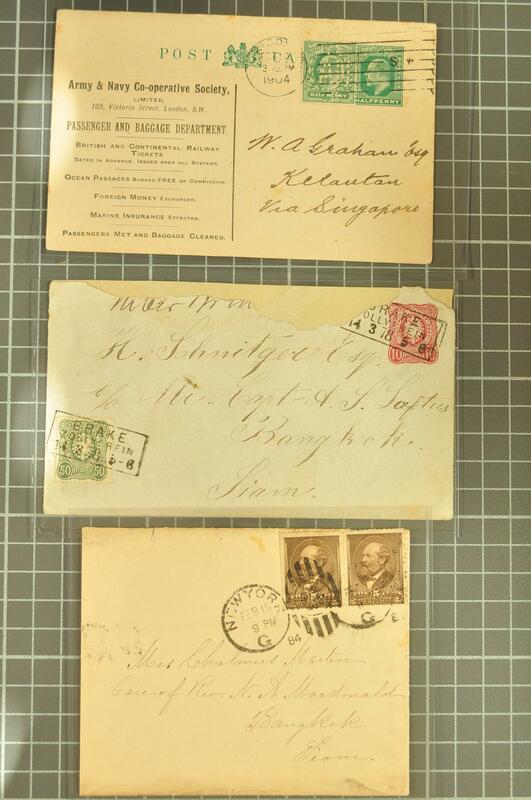 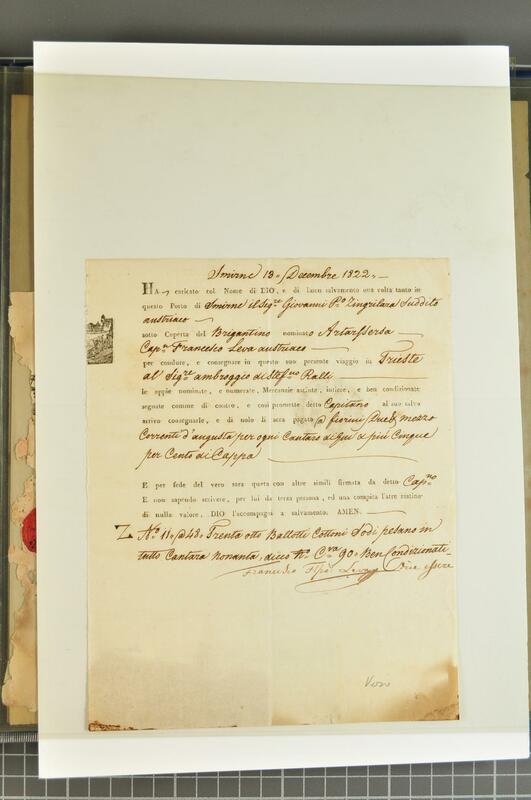 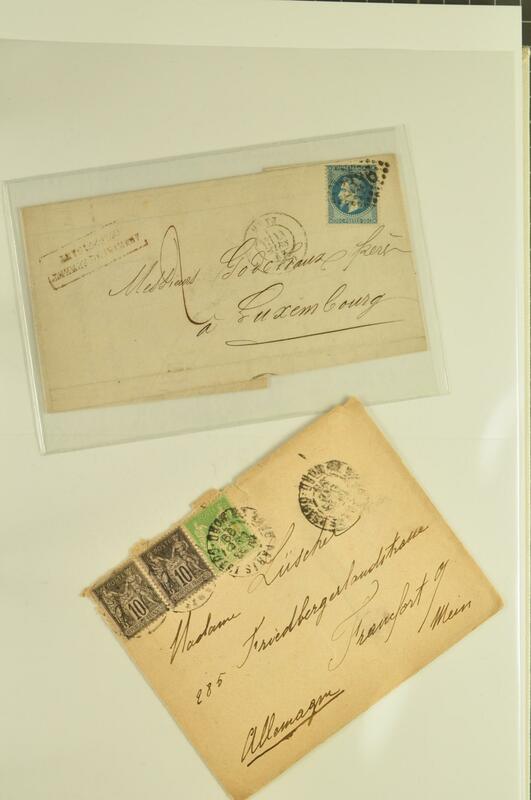 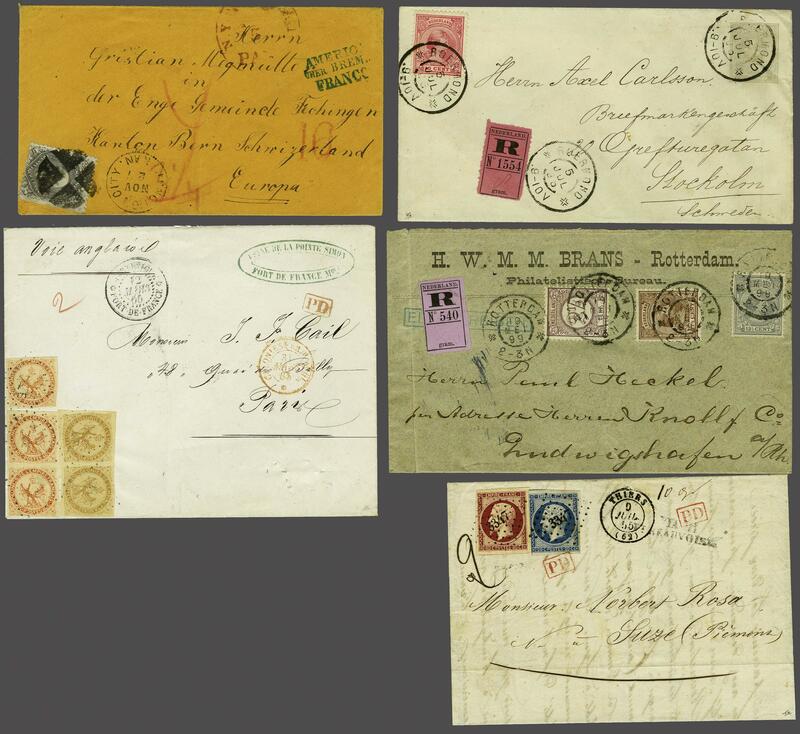 1853/99: Lot five selected better covers from France i.e.Thiers to Suze/Piemont (1), the Netherlands Roermond to Stockholm and Rotterdam to Ludwigshafen (2), Martinique Fort de France to Paris (1 - cert Boule l999) and USA Numotion City to Fischingen/CH (1). 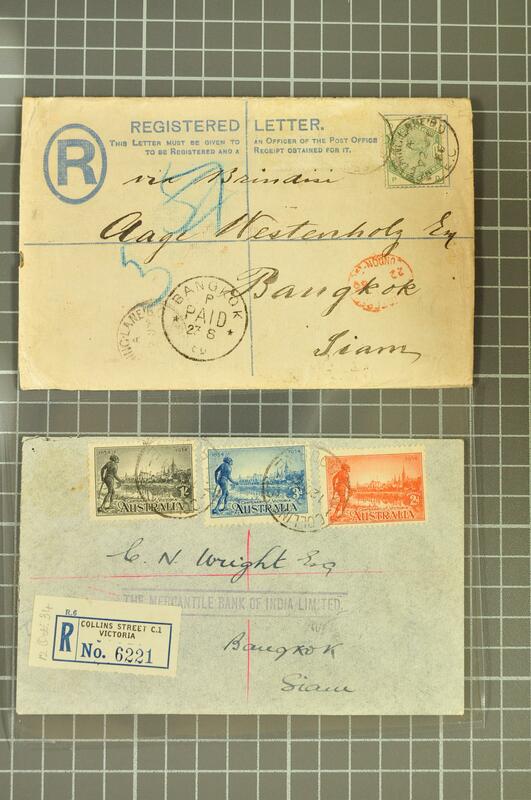 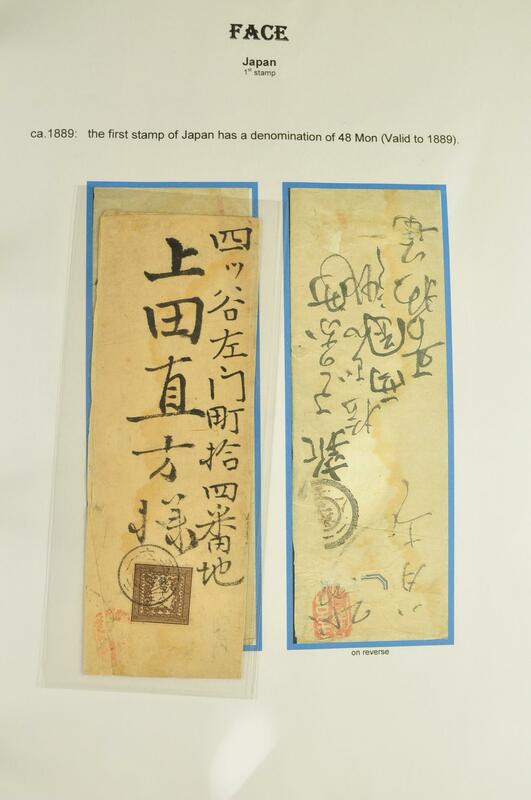 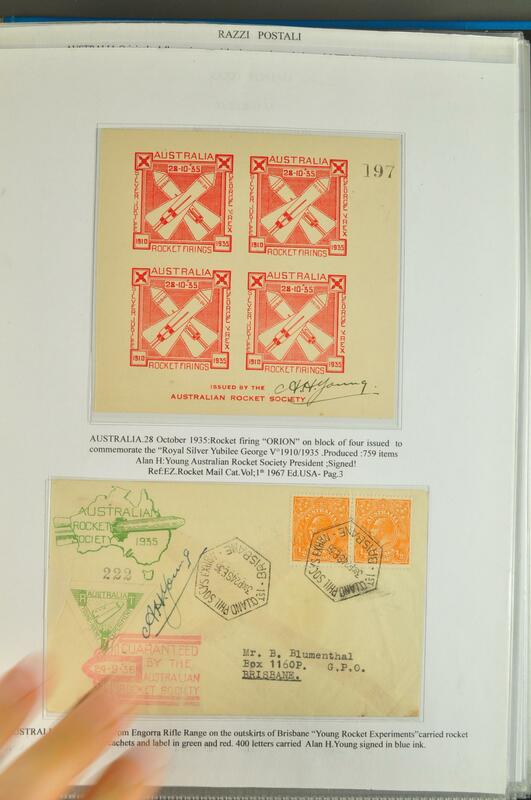 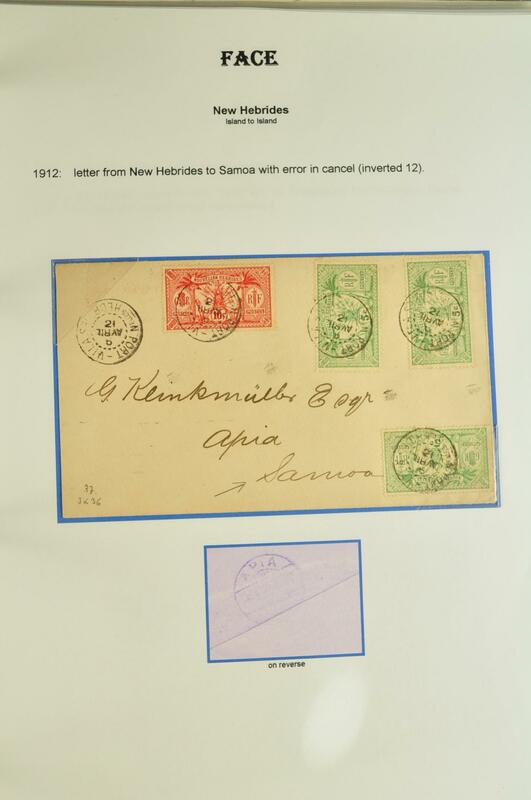 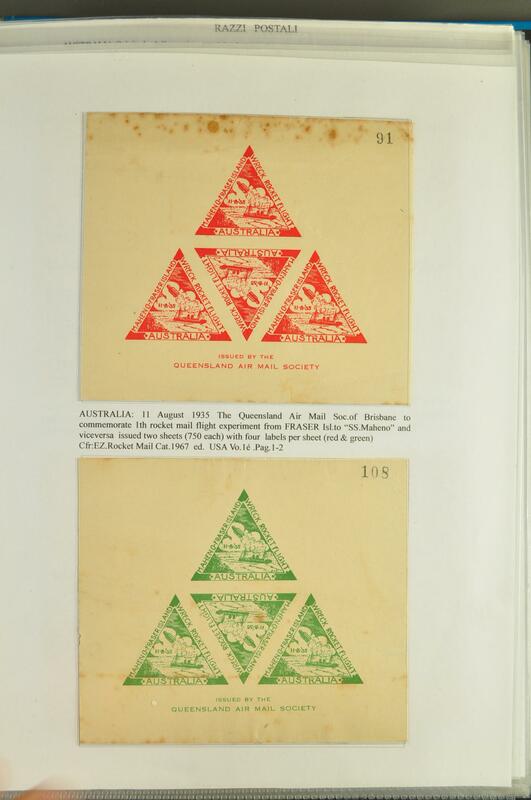 1900/50ca: Lot 180 covers, primarily from Asia, but also from Africa and Australia incl. 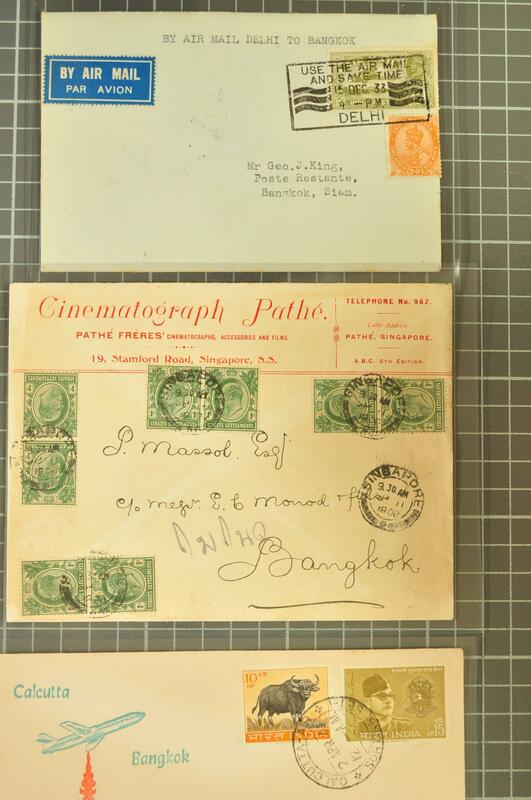 1940 Johore with seven examples of Sultan Ibrahim definitives, 1911 Malaya stationery Tiger 10 c. with add. 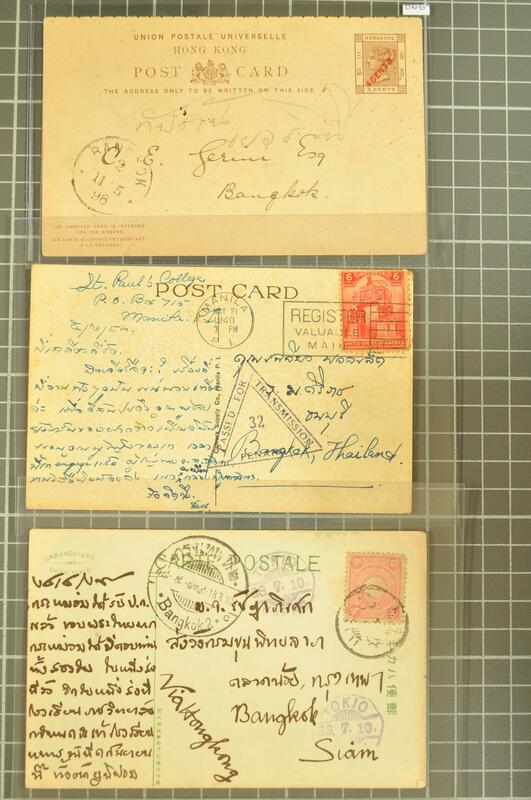 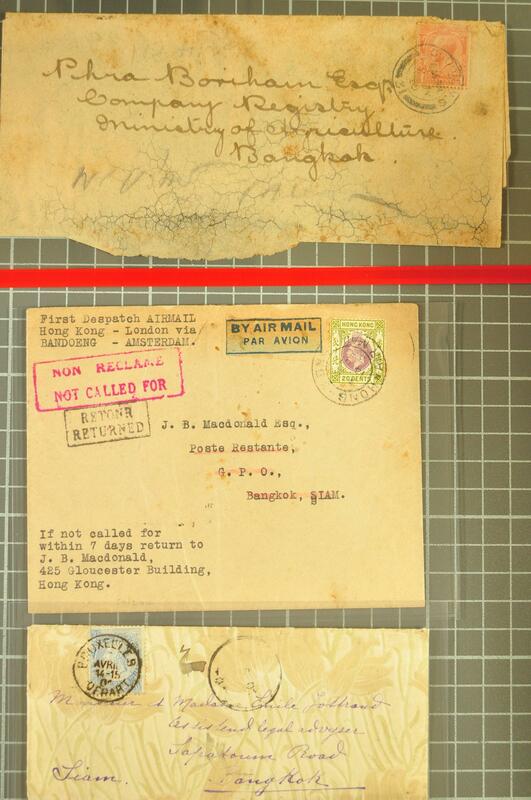 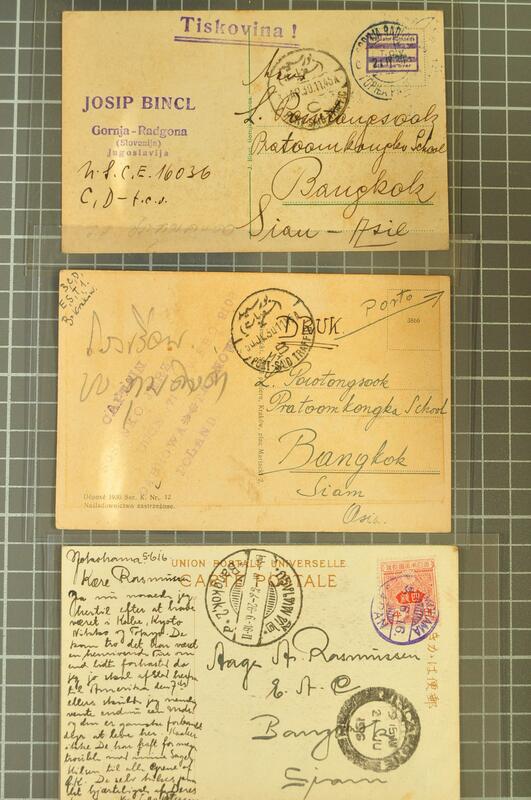 3 c. for registration, Klang to Singapur, India postcards, Japan, Burma, Pakistan, New South Wales 1903 sent registered to Triest, 1918 Lorenco Marques to Paris. 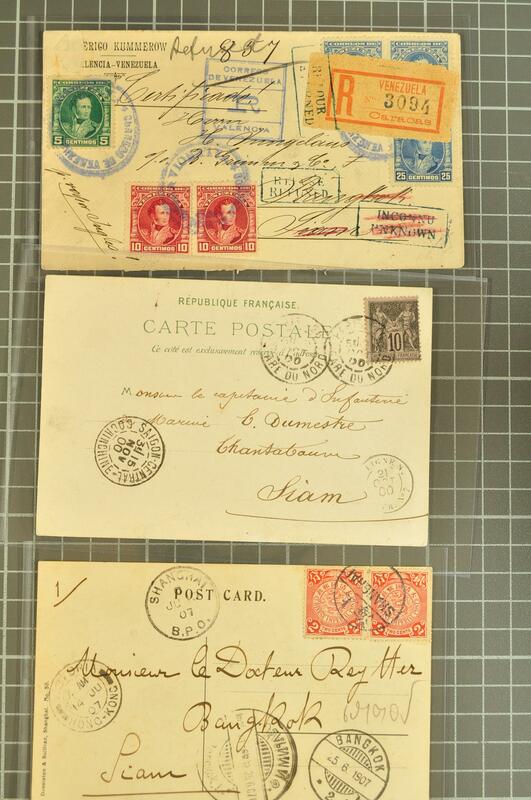 1840/1972: Collection of primarily World Classic covers (53) with Great Britain 1840 1 d. black on cover, 1856 Crimean War cover franked by GB 1 d. red (3), USA with 1847 5 c. red brown off cover and used on cover from New York to Philadelphia, 1862/63 covers from Calcutta to Bordeaux with 'GB/1F 62½c.' 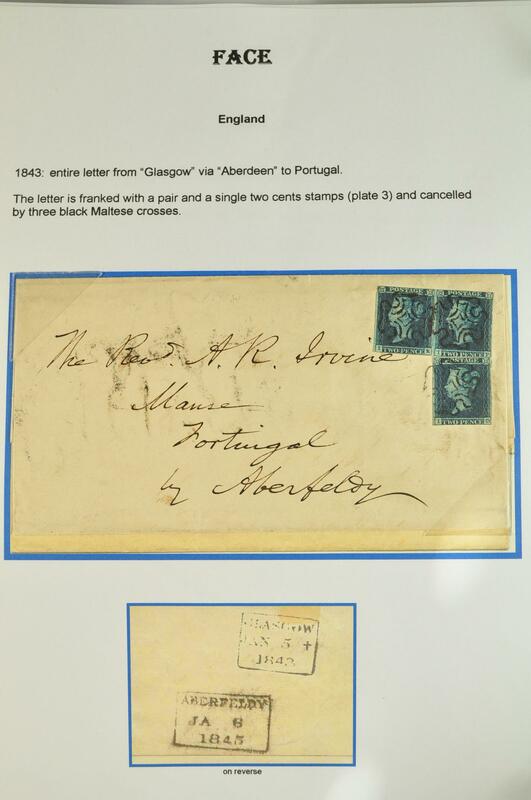 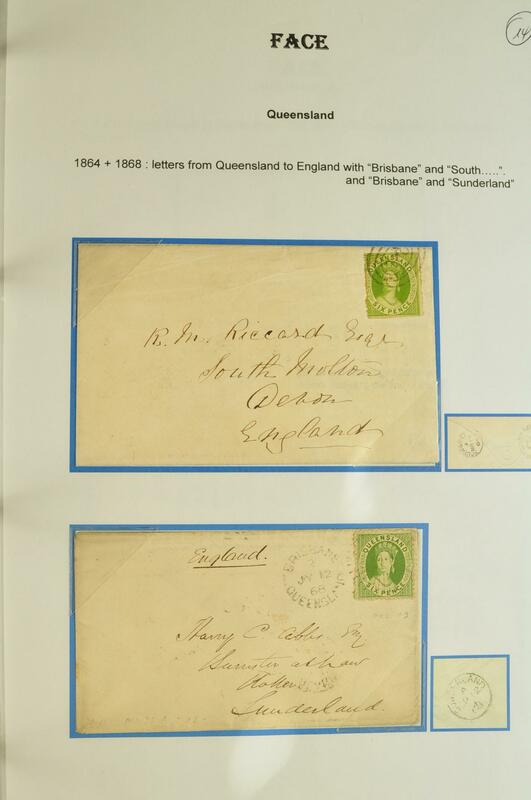 accountnacy markings, Canada with 1857 Beaver 3 d. on mourning cover, 1904 Grenada ½ d. stationery card taxed on arrival in Trinidad with 1 d. Postage Due, 1864 and 1868 cover from Queensland franked at 6 d. rate to UK, 1873 cover from Malta franked by GB 4 d. vermilion, Bermuda 1893 ½ d- blue stationery card to St. Croix up-rated with 1 d. rose, Western Australia 1854 first issue used, Russia with 1858 cover from Tiflis to Wiesbaden, 1859 cover from St. Petersburg to Wiesbaden readdressed to Naples, Switzerland 1874 cover to USA franked by 50 c.,1938 Gilbert & Ellice cover etc. 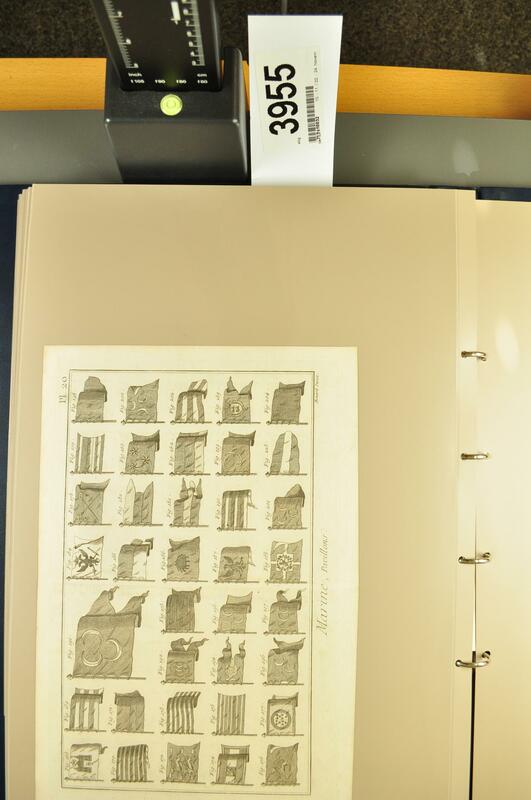 (65 items). 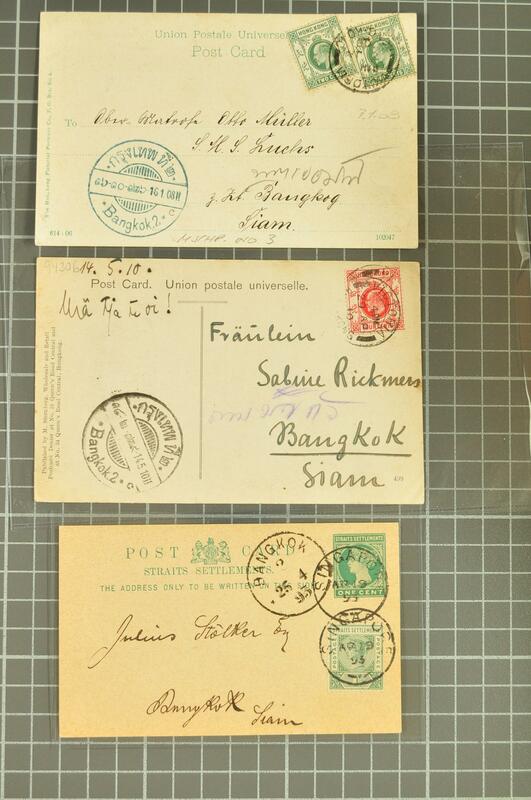 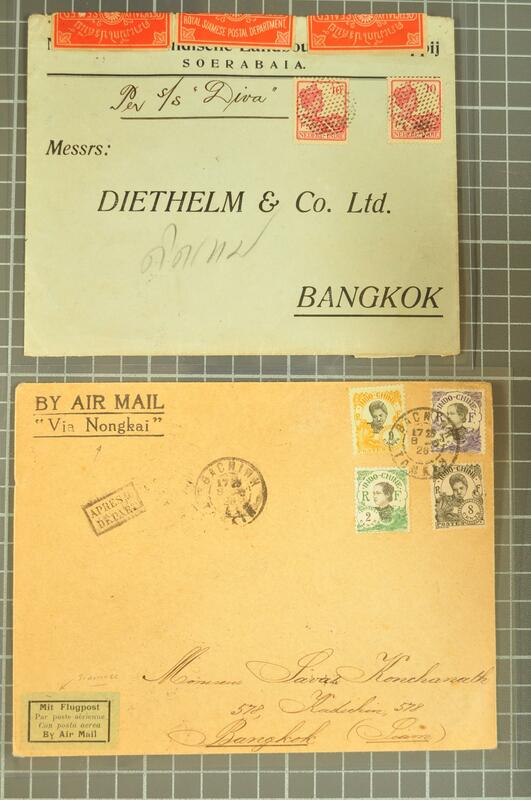 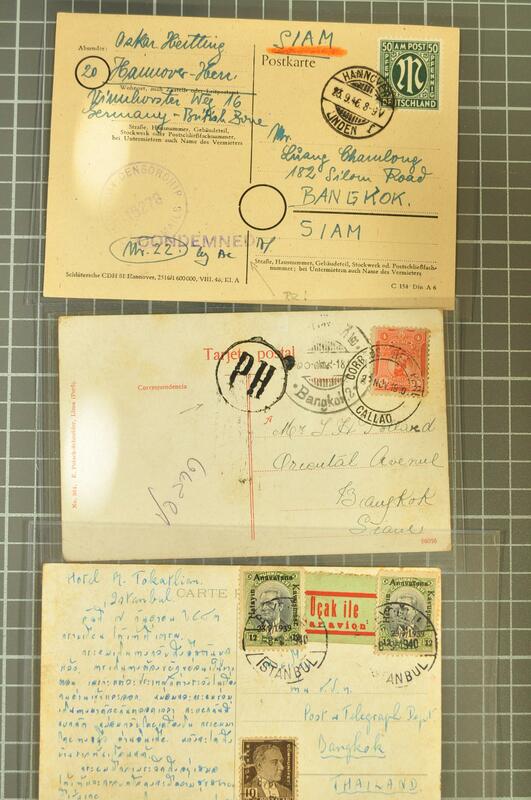 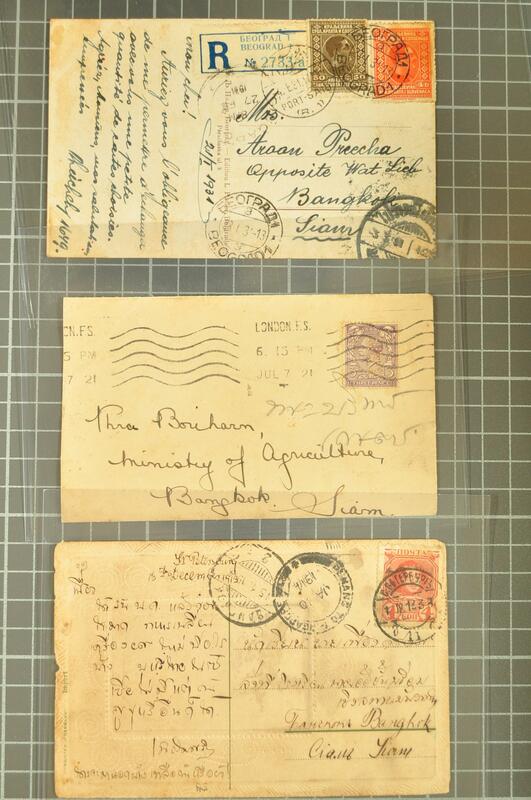 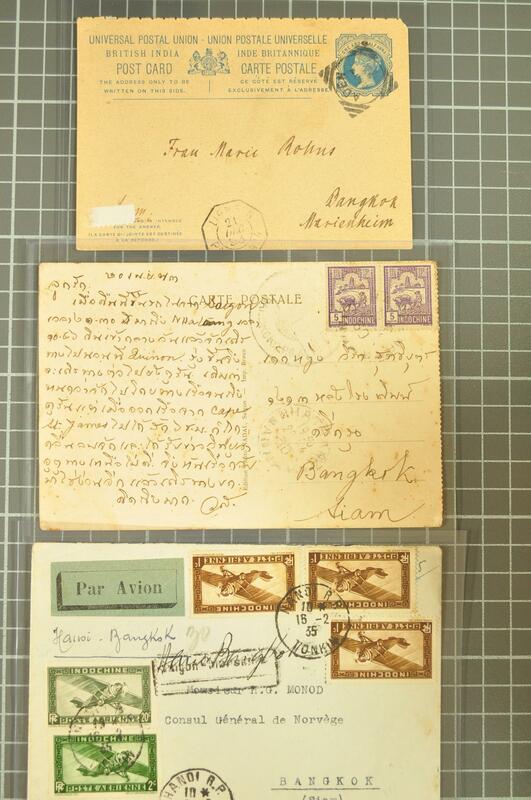 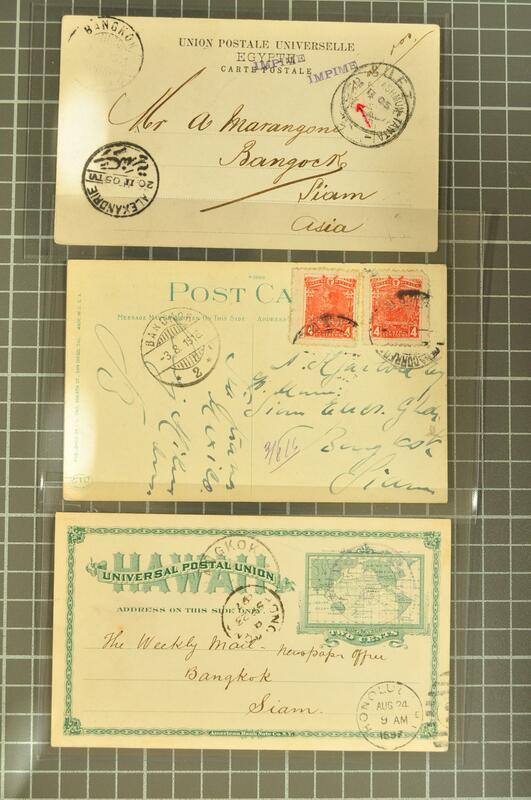 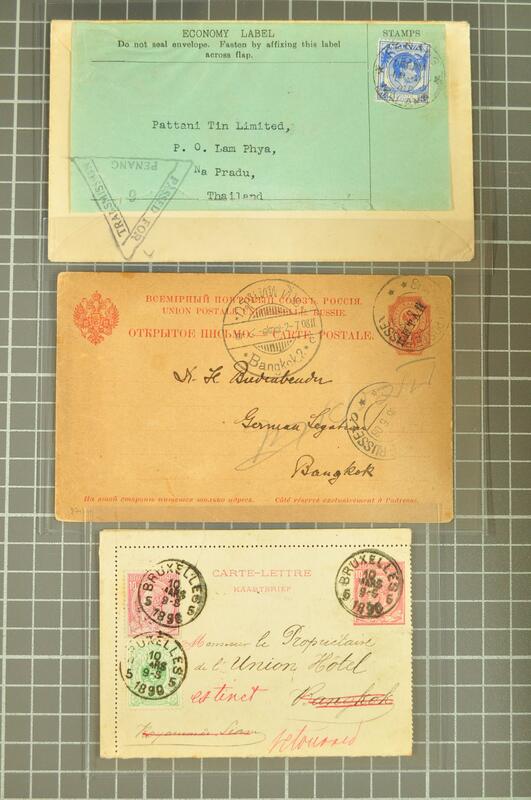 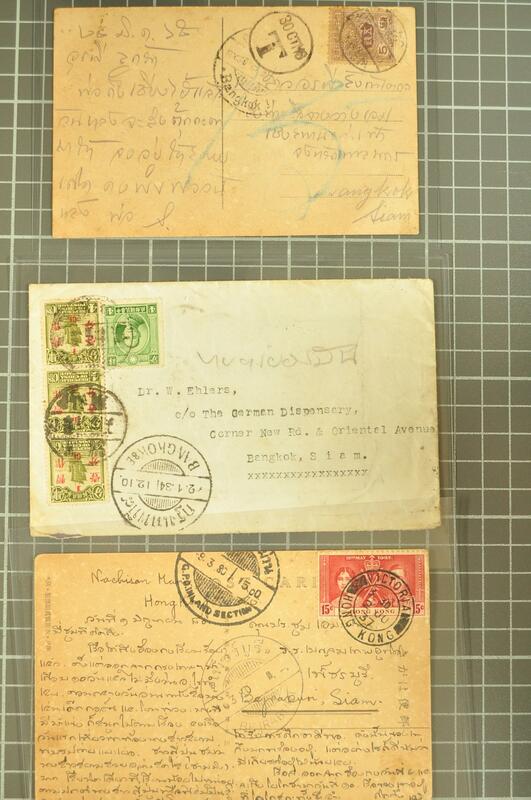 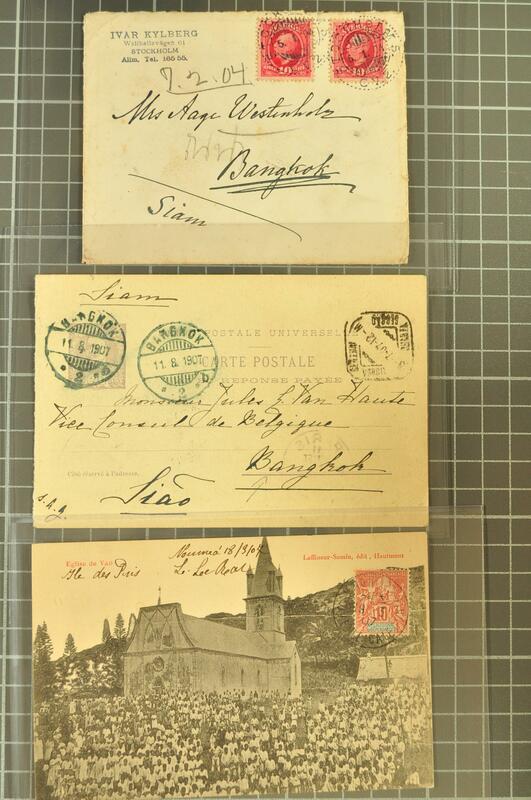 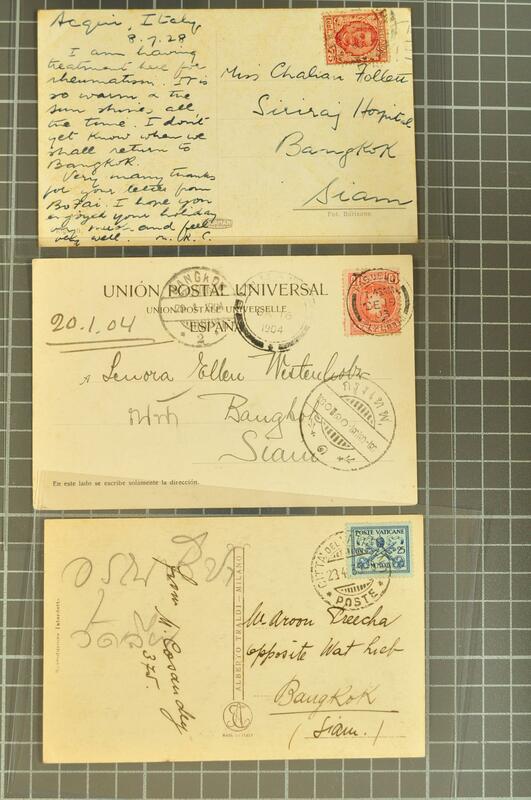 1878/1987: The collection of "Incoming Mail to Thailand" with covers/cards (130+) mainly addressed to Bangkok, including 1906 registered cover from Argentina, cards /cover (3) from Australia, 1893 cover and 1892/1905 cards from Austria (4), 1930 card from Brazil, 1919 and 1936 covers from Canada, the earlier cover with 'Officially Resealed' label, card from Chile, 1914 red-band cover from China and multi-franked 1934 cover together with German and Russian P.O. 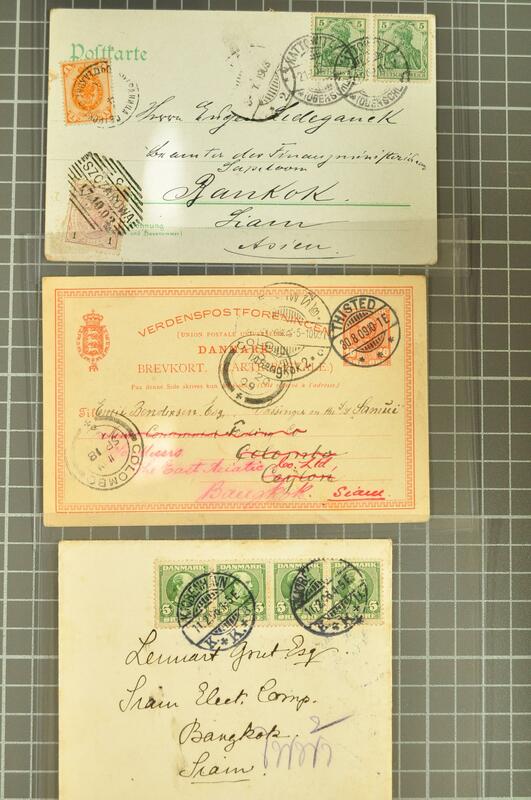 usages, 1898/1907 usages from Denmark (6), 1905/07 cards from Egypt, covers from Germany from 1878, Great Britain with covers (incl. 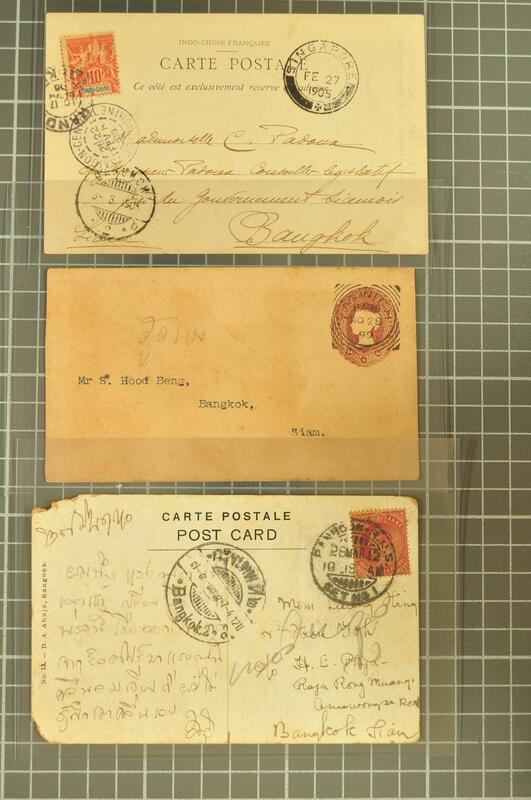 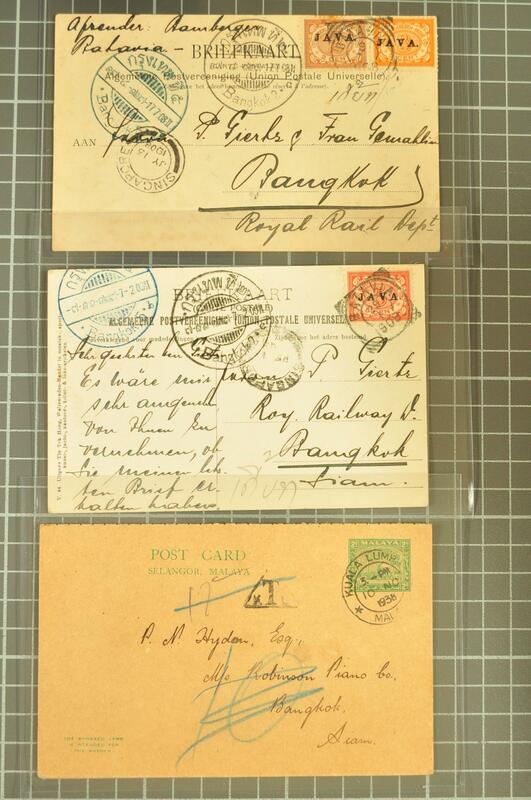 one from House of Commons) and cards, 1896 4 c. on 3 c. card from Hong Kong and others, India with covers and cards incl. 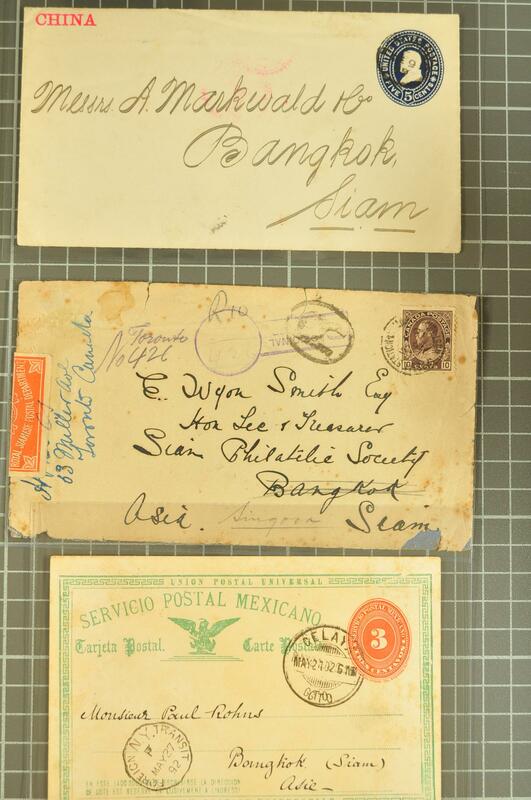 one from Aden, Indo China with fine 1926 early airmail cover, cards from Japan (3), Italy and Vatican usages, 1894 card with MISSENT IN / INDIAN MAIL from Hungary and a cover, 1892 and 1916 cards from Mexico, 1907 from Natal, Netherlands Indies (3) and a card from Curacao, 1907 card from New Caledonia, 1895 up-rated card from Nicaragua, 1910 card from Peru, card from Portugal, 1930 card from Romania, 1909 card from Russia, 1903 cards from Spain (2), 1893 up-rated card from Straits Settlements and covers, 1906 re-directed card with from Switzerland, 1940 postcard from Turkey, 1884 cover and further cards from USA and Hawaii, Venezuela registered 1908 cover via London with three colour franking etc. 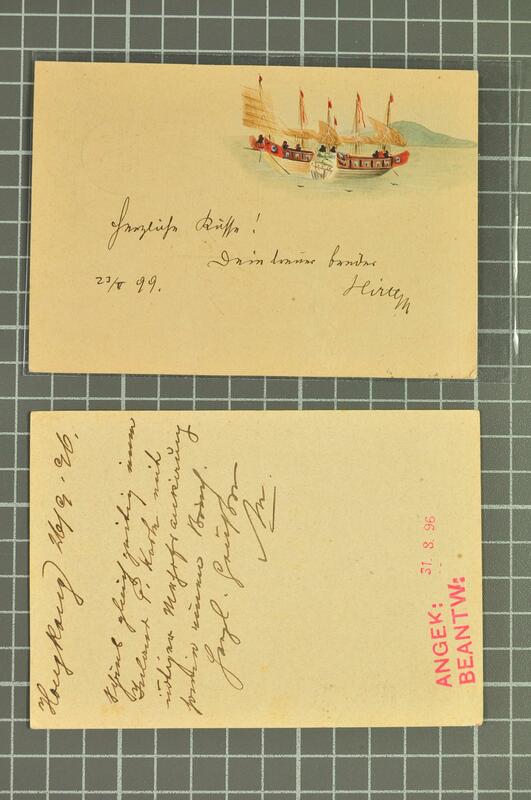 even incl. 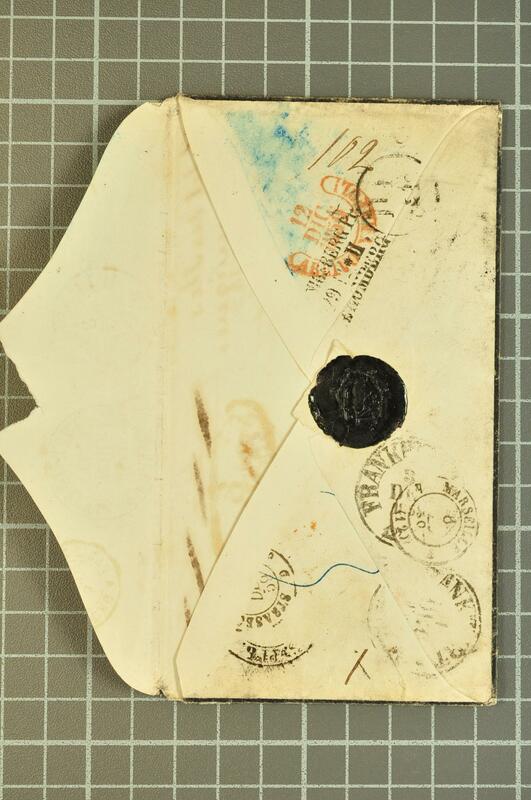 a 'three country' Myslowitz franking, all to this difficult rare destination. 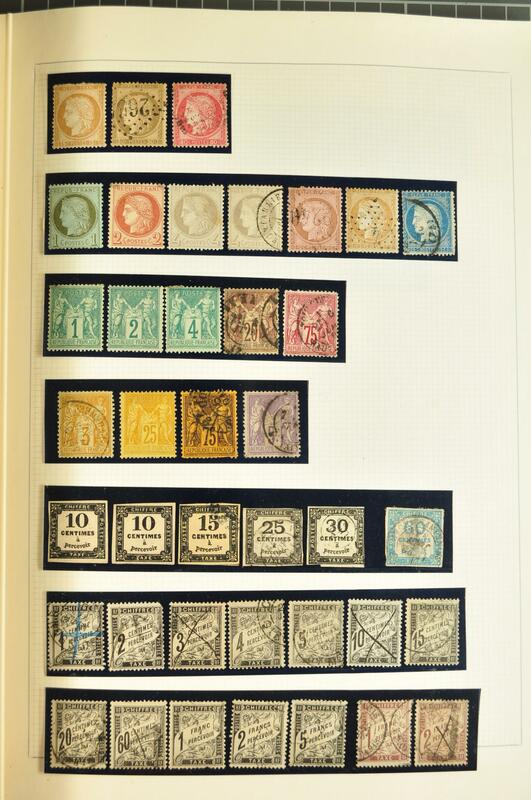 Too much to describe, a marvellous 'lifetime' collection with viewing a pleasure and heartly recommended. 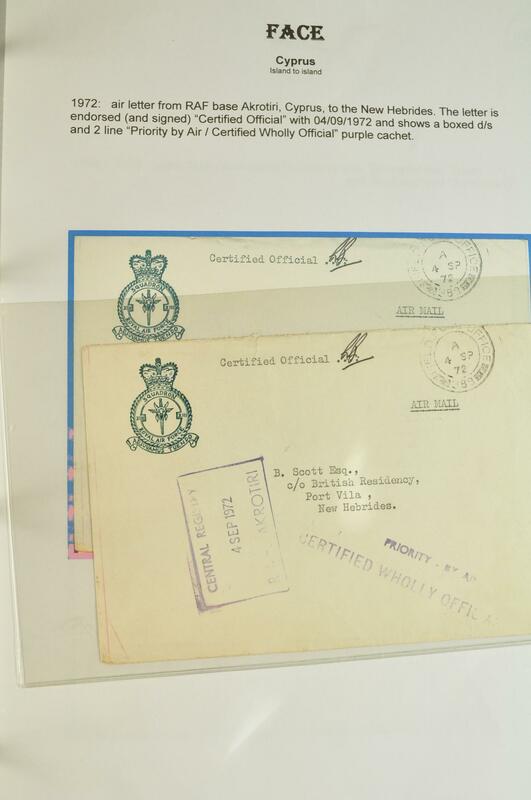 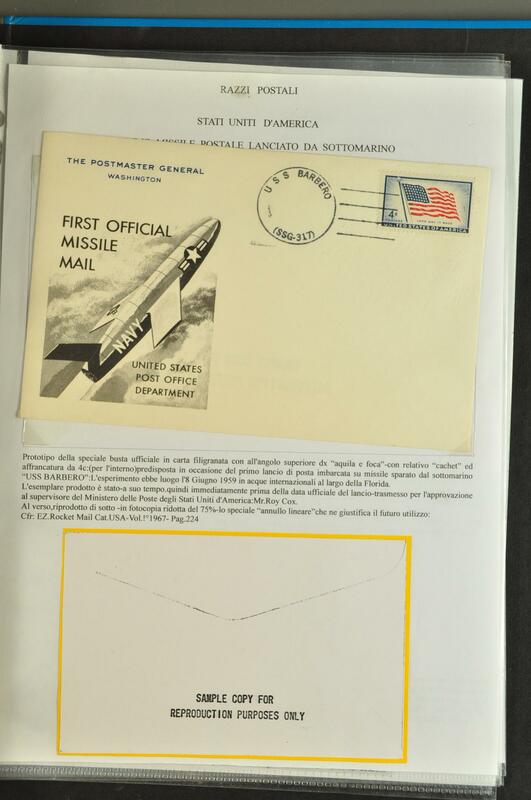 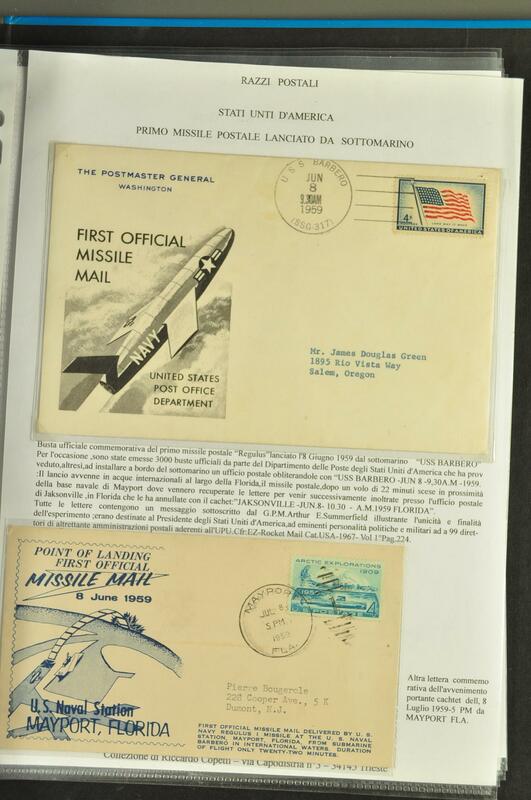 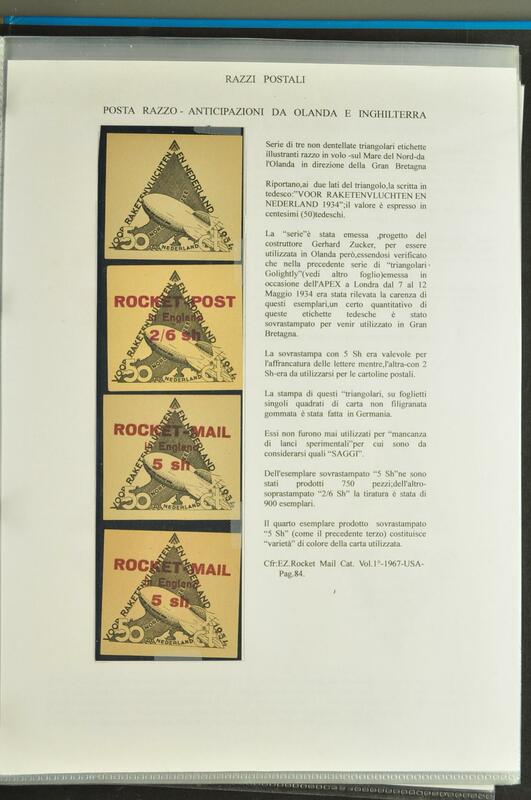 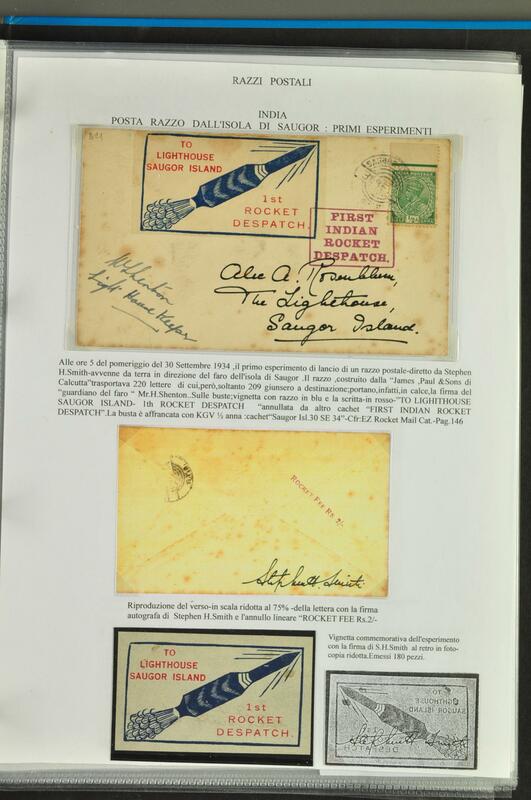 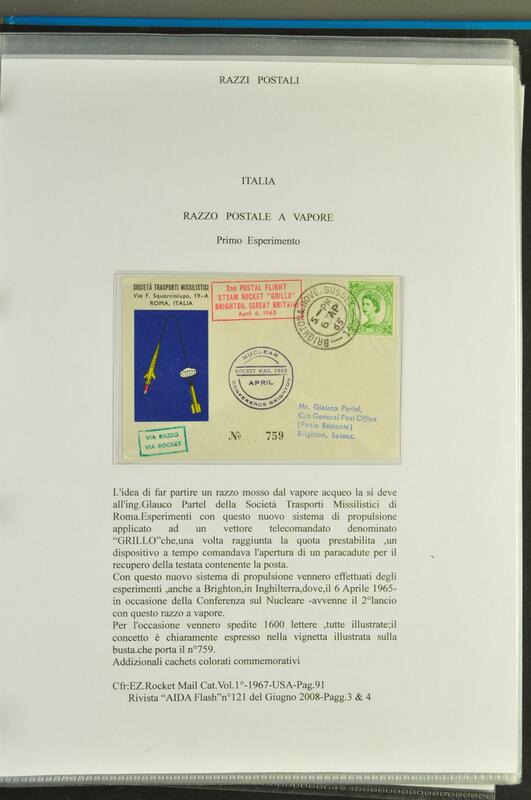 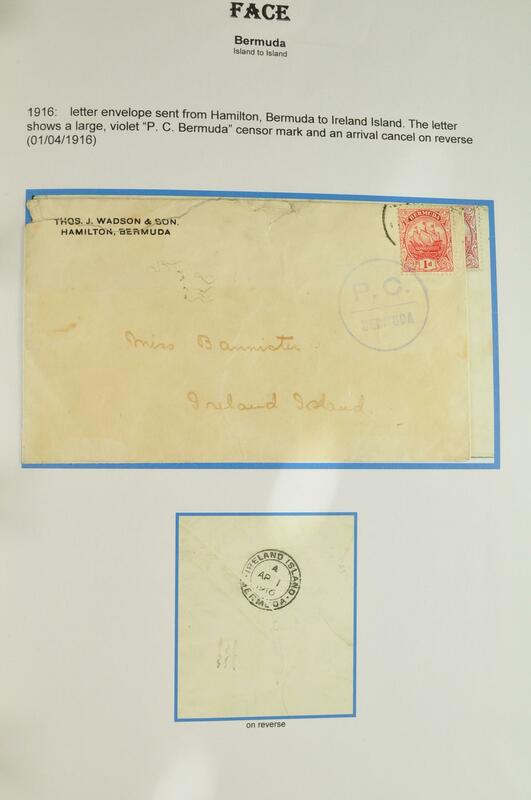 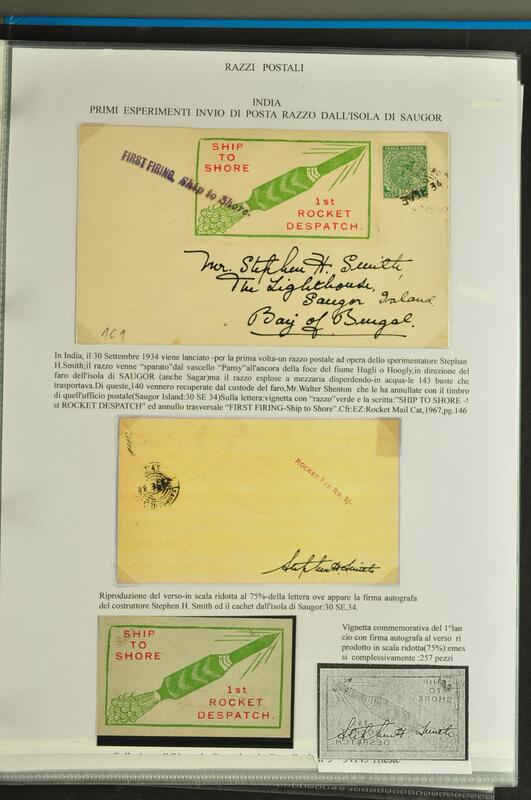 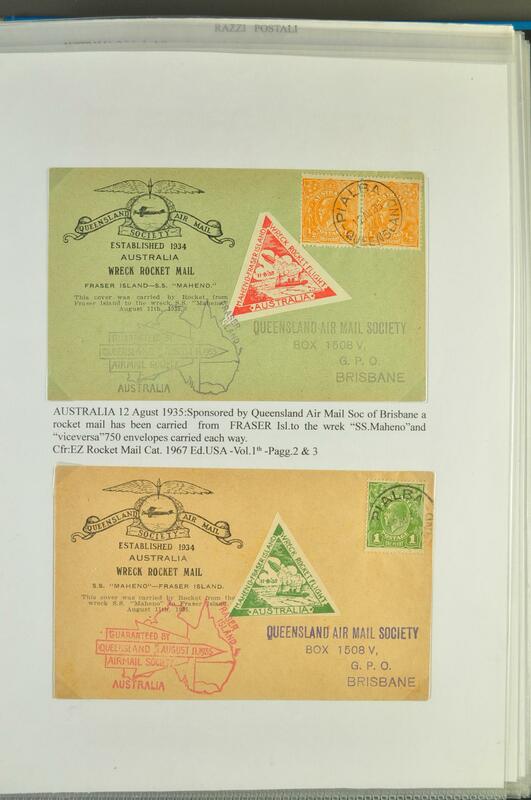 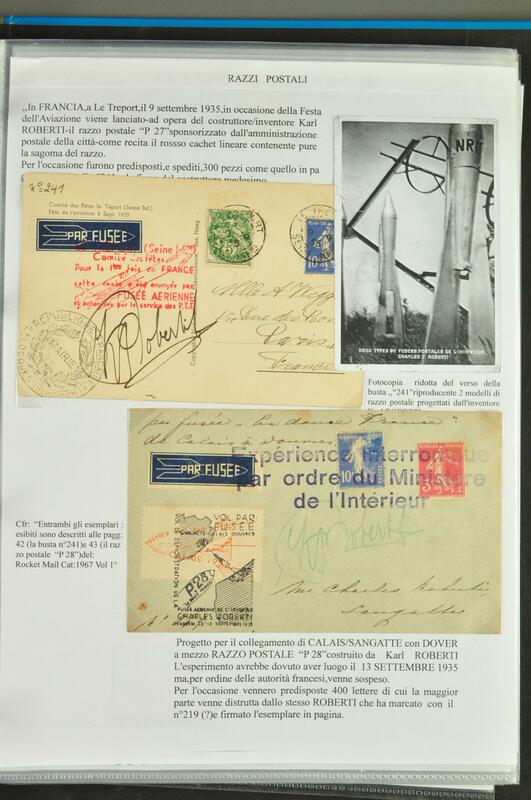 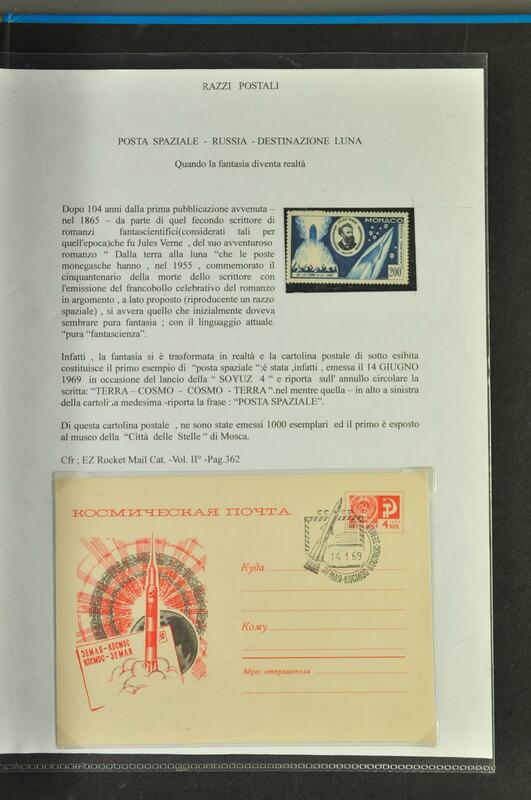 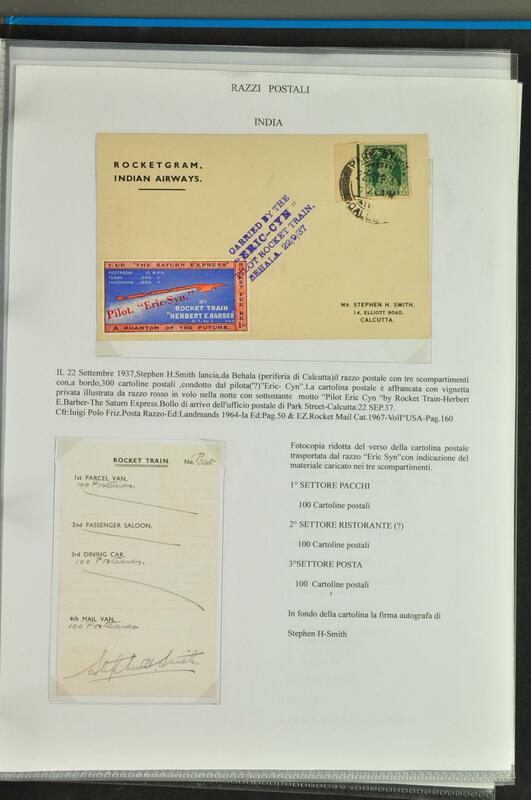 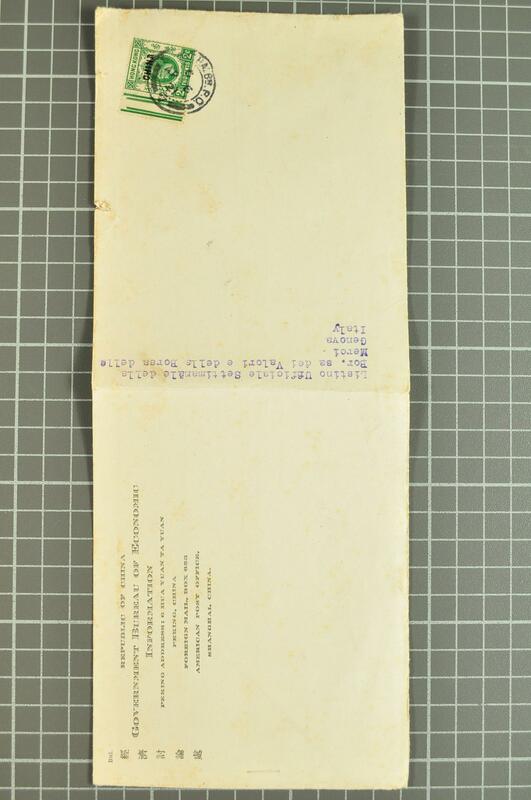 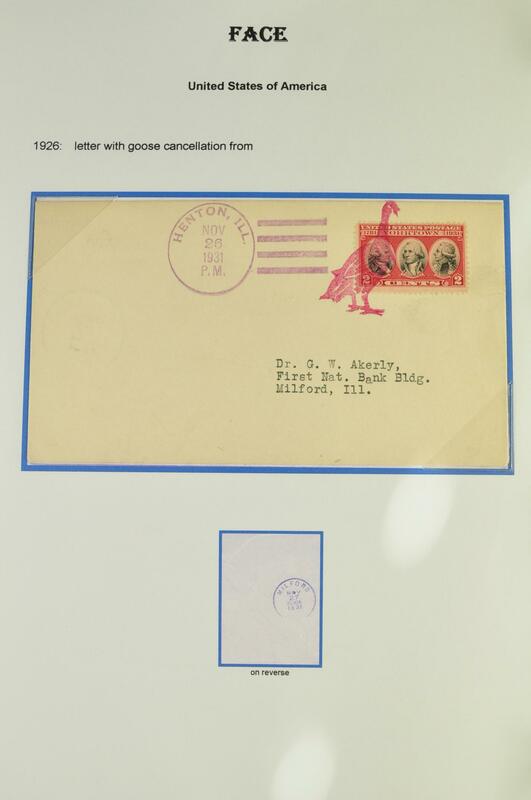 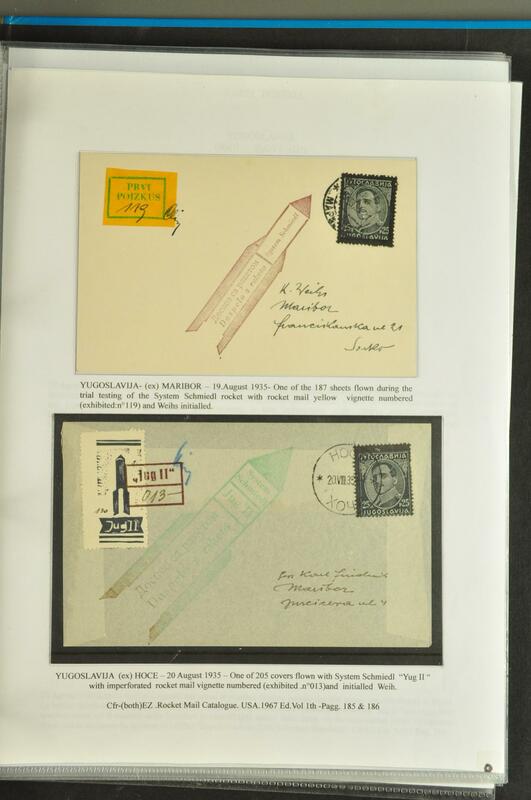 Rocket mail 1931/37ca: Collection covers and labels, written up on pages incl. 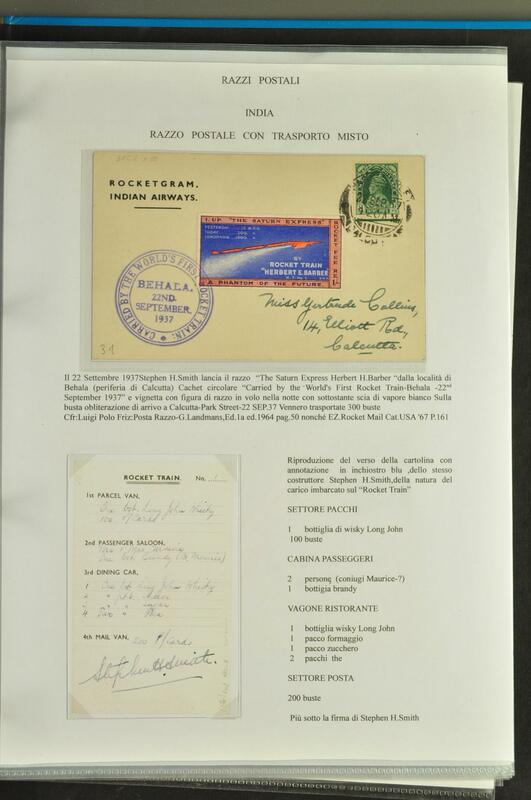 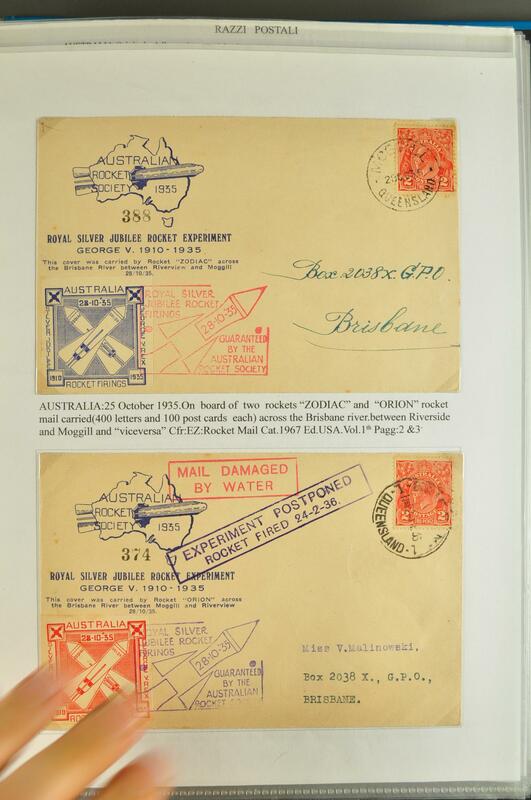 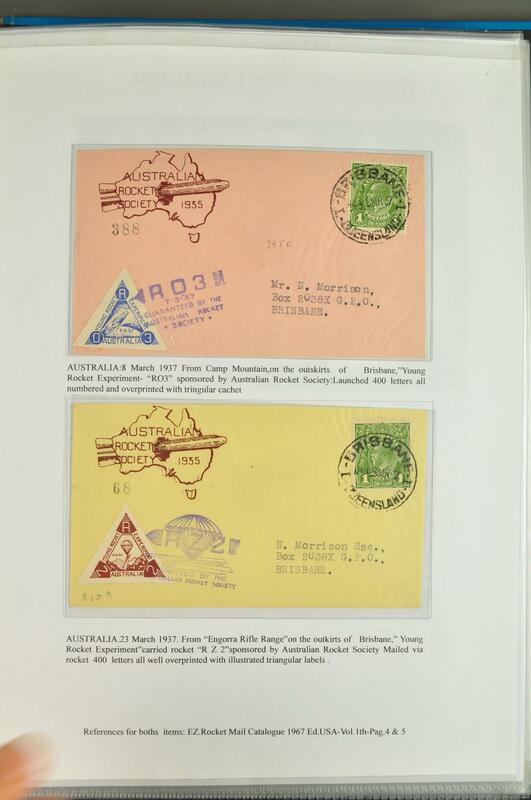 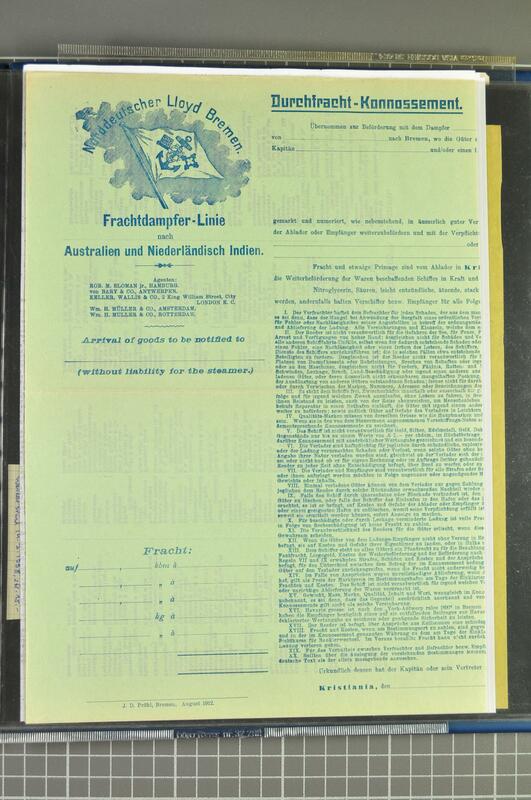 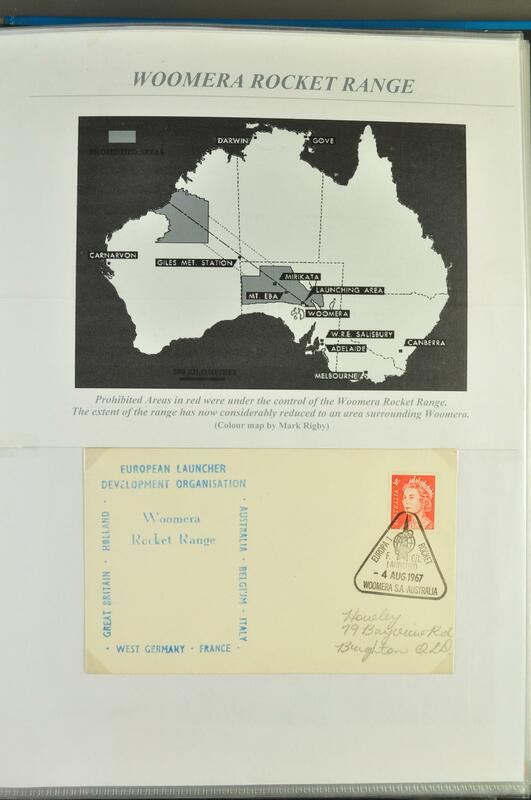 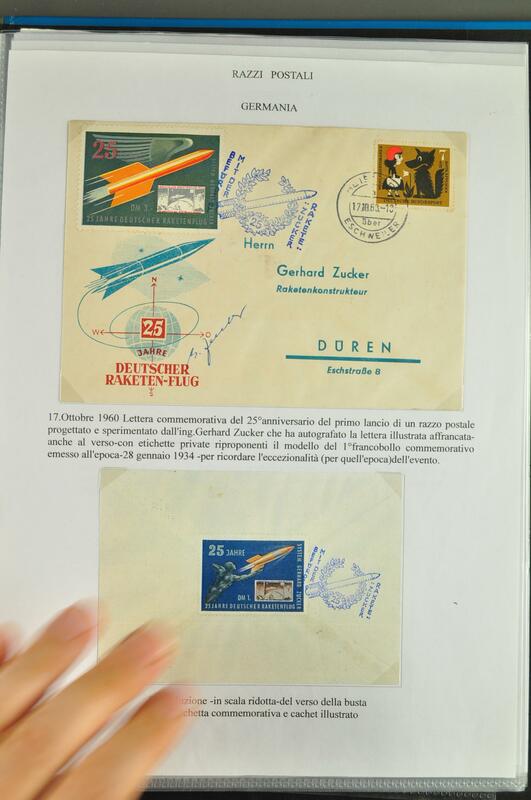 Australia 4.12.1934 rocket launched from S.S. Cannobar, also from later years 1935/37 (18), Austria (10) with 28.10.1931 V8 test rocket, only 84 covers flown, Cuba (2), German Empire (4) with Zucker autograph, Italy (9), United Kingdom (4) from Brighton Sussex, Harris Western Isles and Lymington Hants, only 80 covers flown, France (2), India (7) with first rocket launch 3.10.1934 Island of Saugor, 1936 Chingripota to Malikpur, Yugoslavia (4) with 1945 Jug I & Jug II, Benelux (8), and USA (6) with first Official Missile Mail. 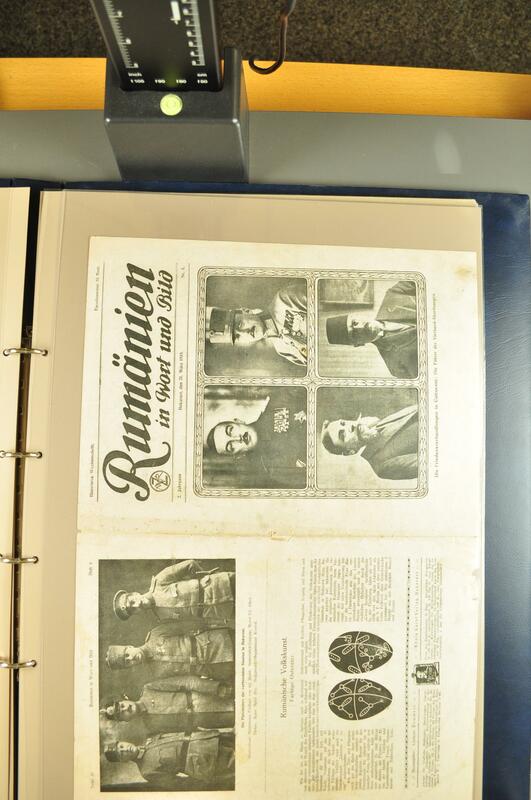 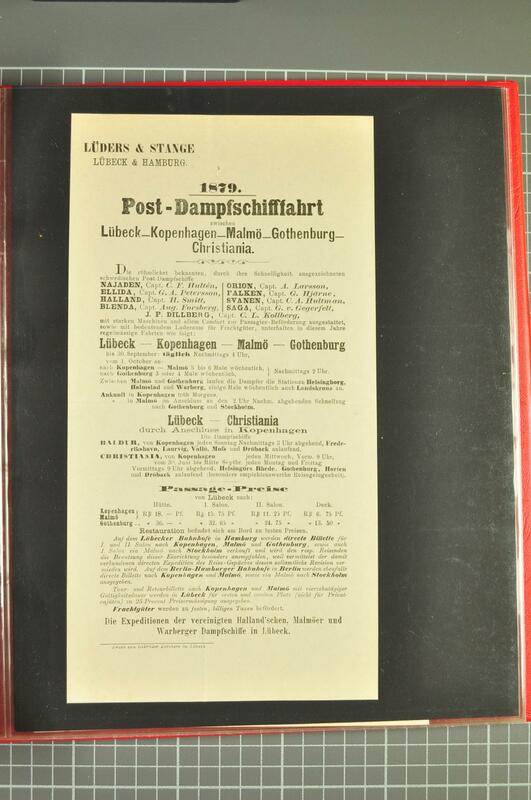 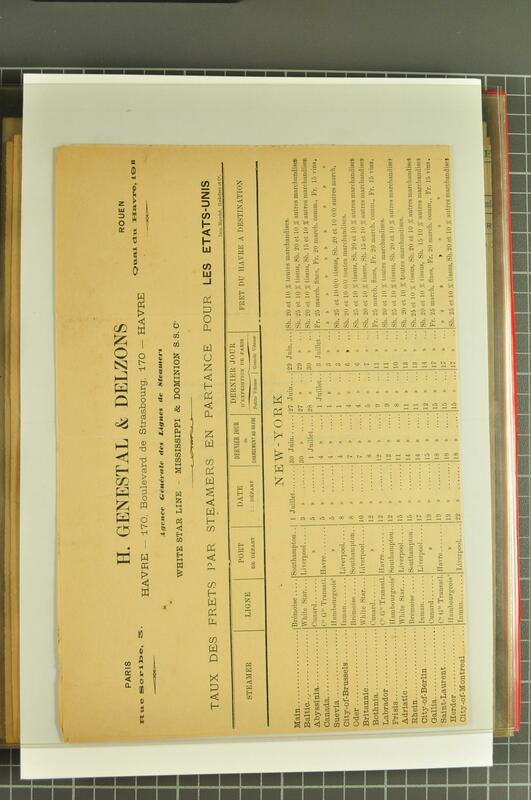 Ephemera 1900/45c. 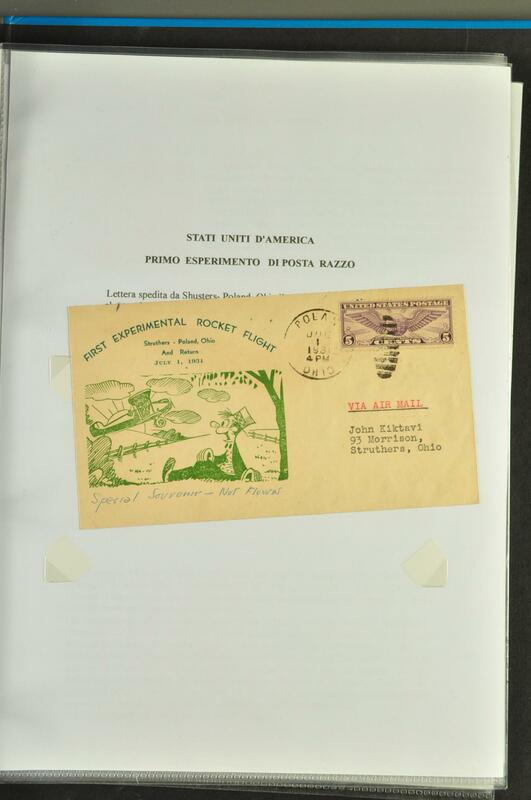 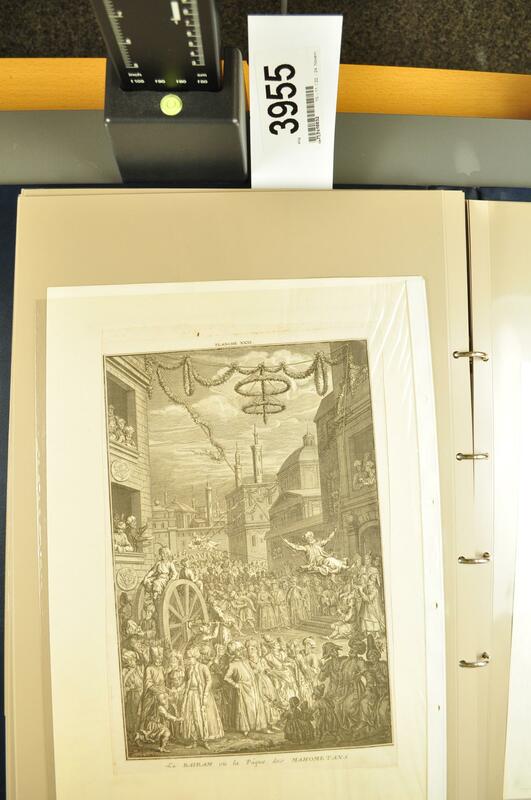 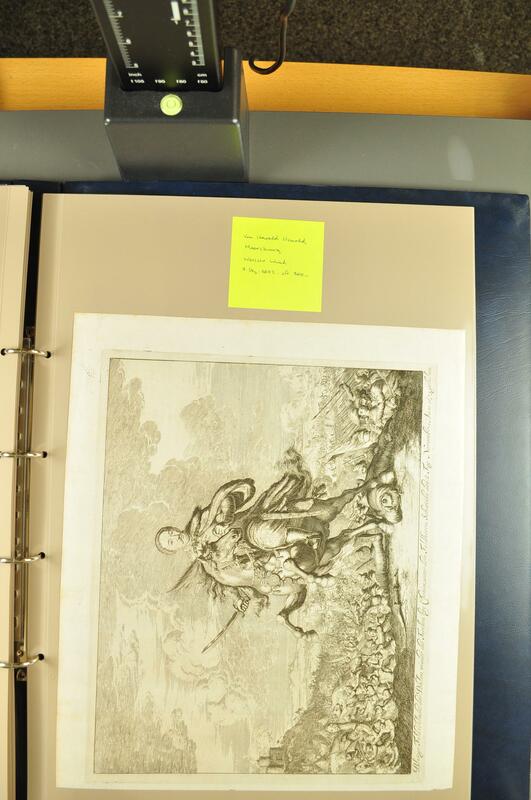 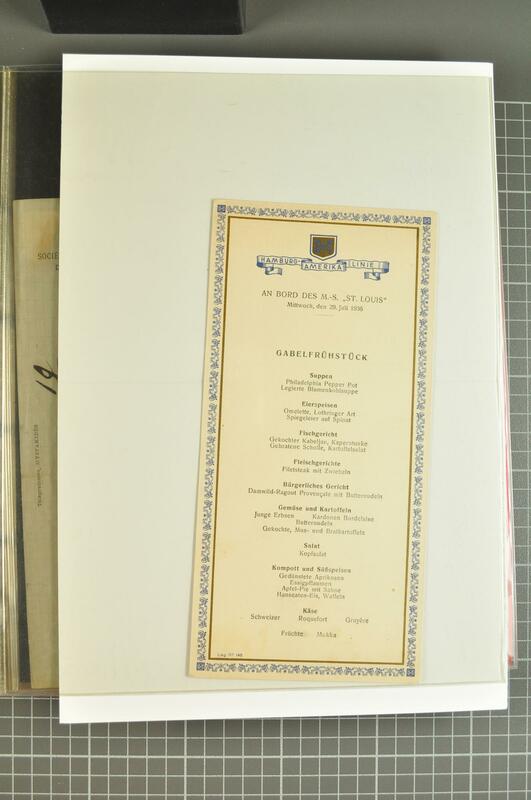 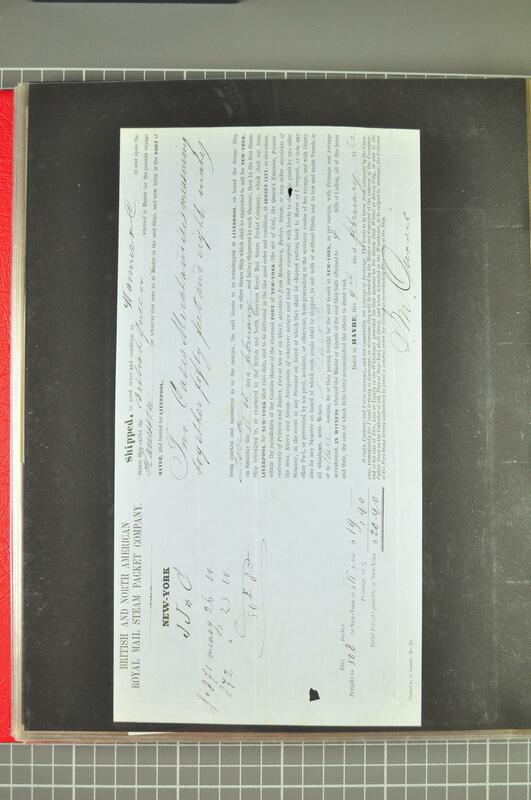 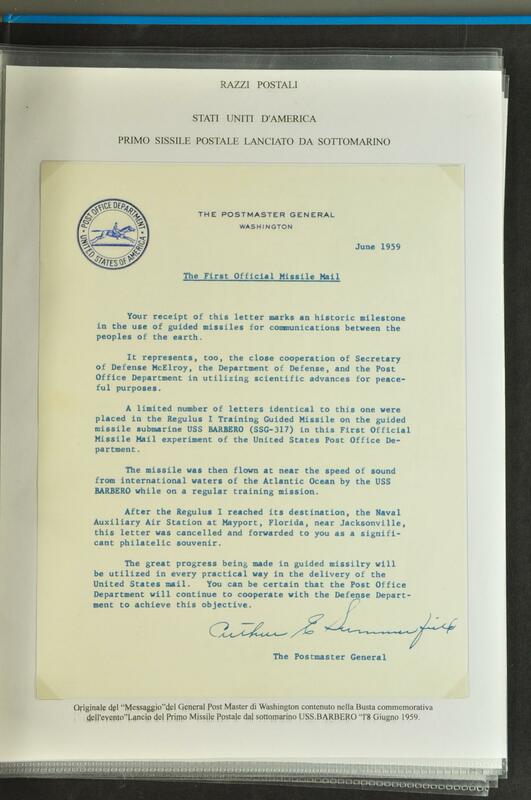 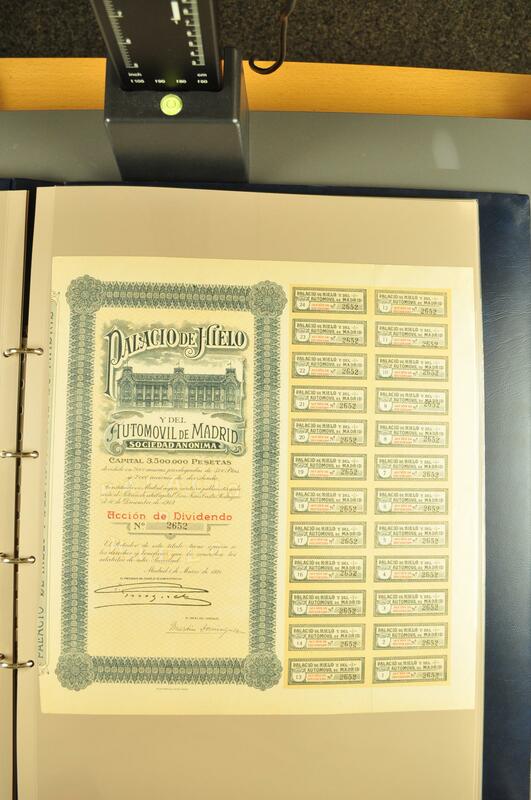 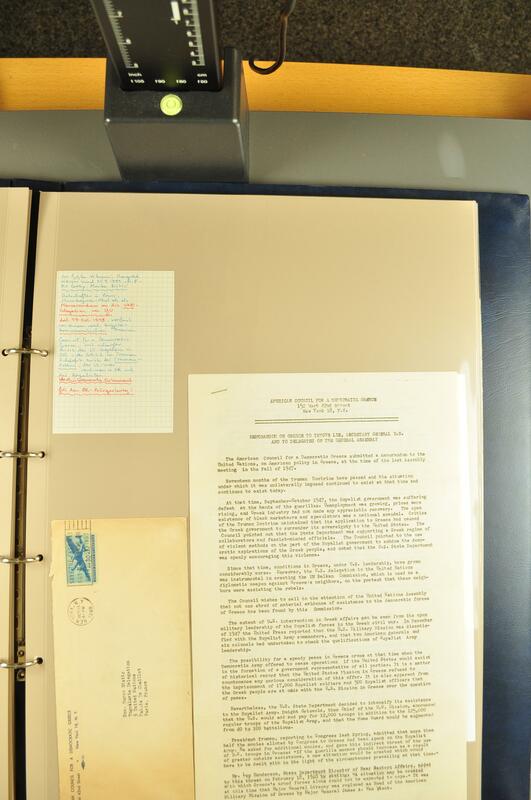 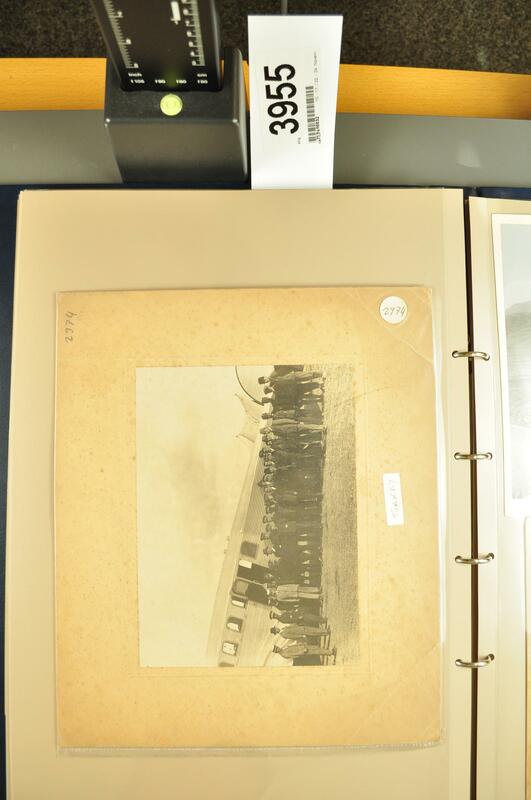 : Lot 60 documents, pictures, photographs, postcards, primarily from the Americas incl. a strong selection of Red Indian items with original photos of 1891 Sioux Indian delegation and Sitting Bull, European emigration, in addition Mexico revenues. To be studied. 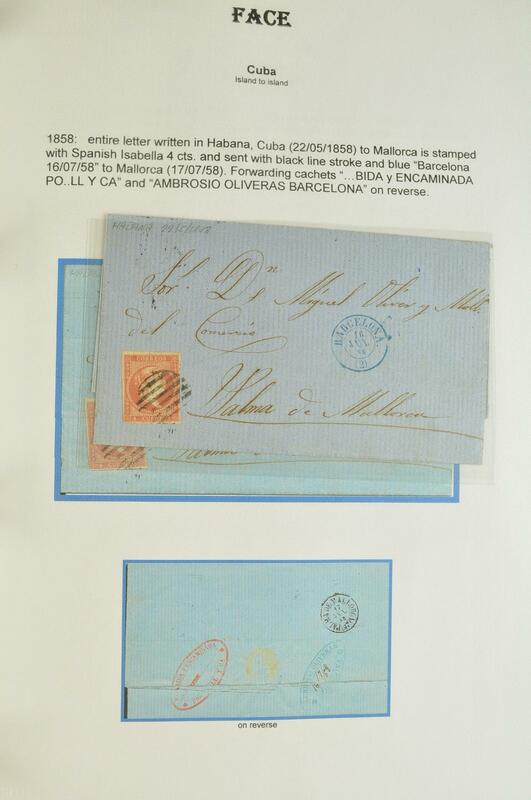 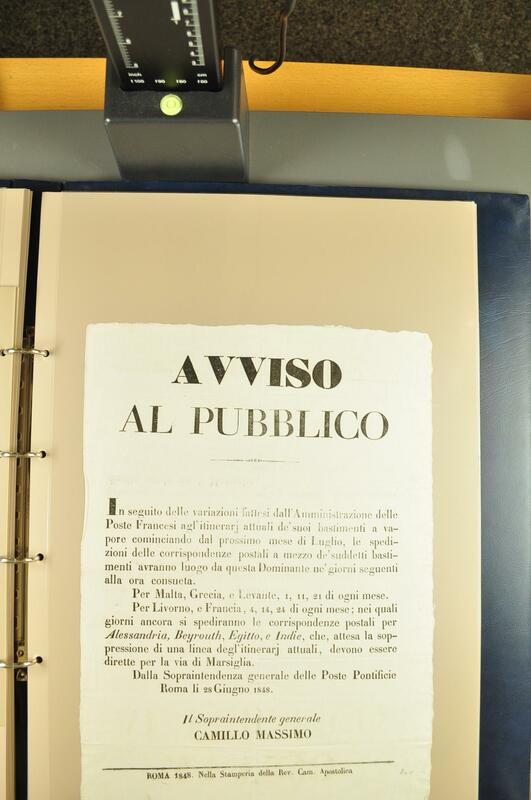 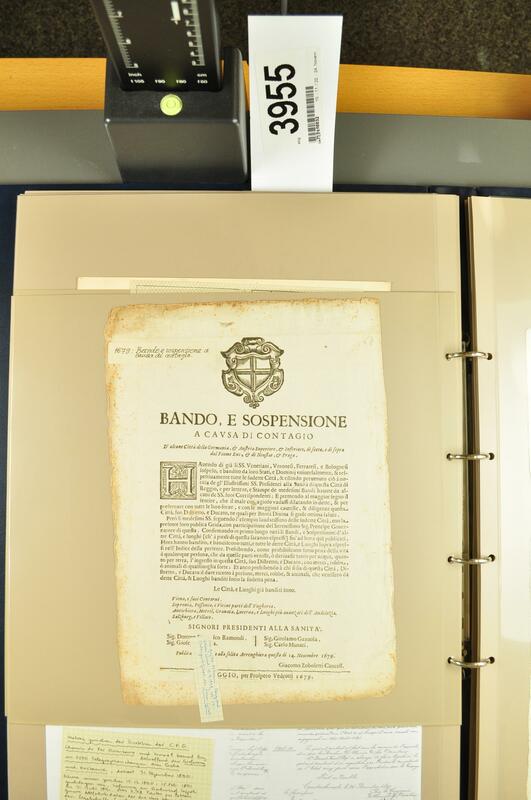 Ephemera 1699/1921c. 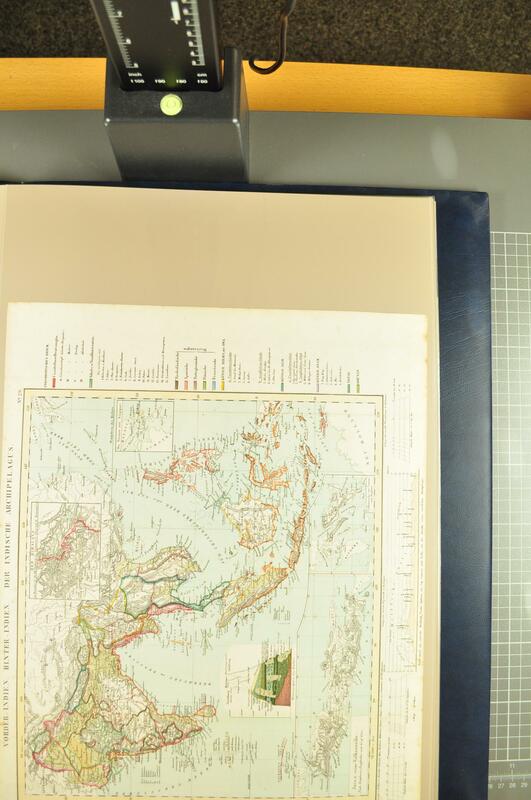 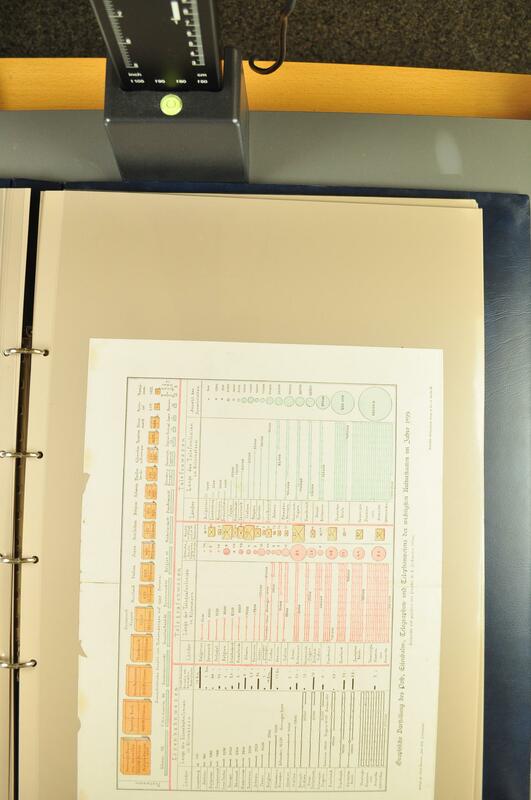 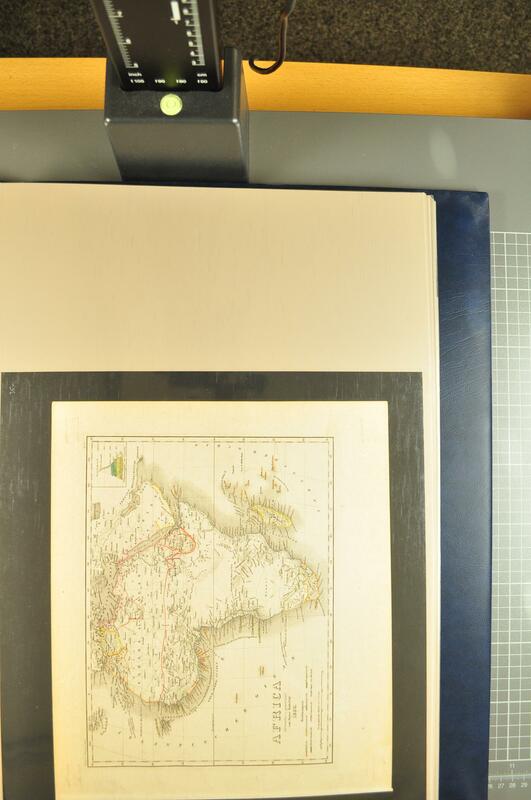 : Lot 30 large format documents maps, stocks, incl. 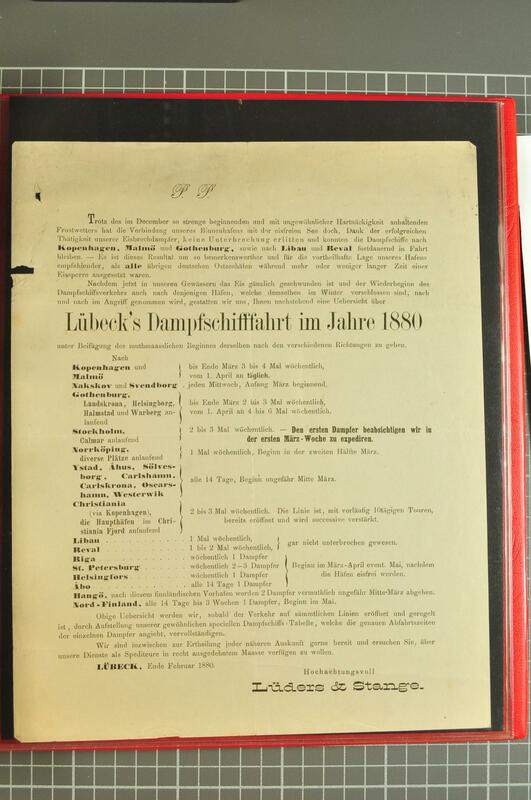 1699 description of the Mosqueto Indian Kingdom in Honduras, 1784 Bavaria official announcement, 1800 Armée di'Italie announcement, 1848/54 public announcements for the post steamers from Rome and the Papal States, 1907 death certificate Constantinople, 1918 German journal in Bucharest, 1947 Greece civil war document, as well as Ship mail Lloyd Austriaco, Lloyd Triestino and Moreau timetables. 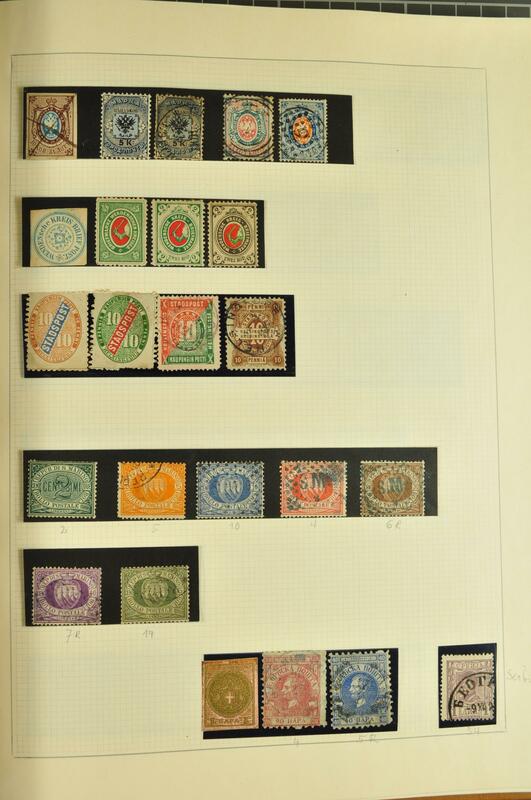 Fine lot which has to be studied. 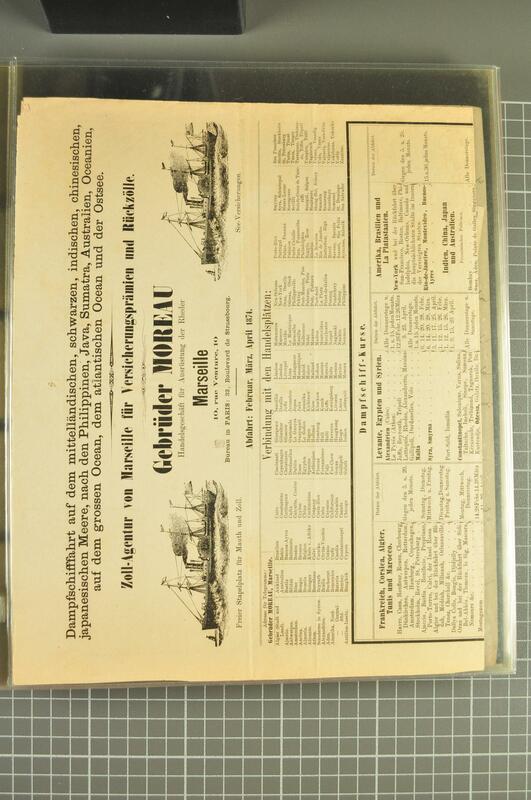 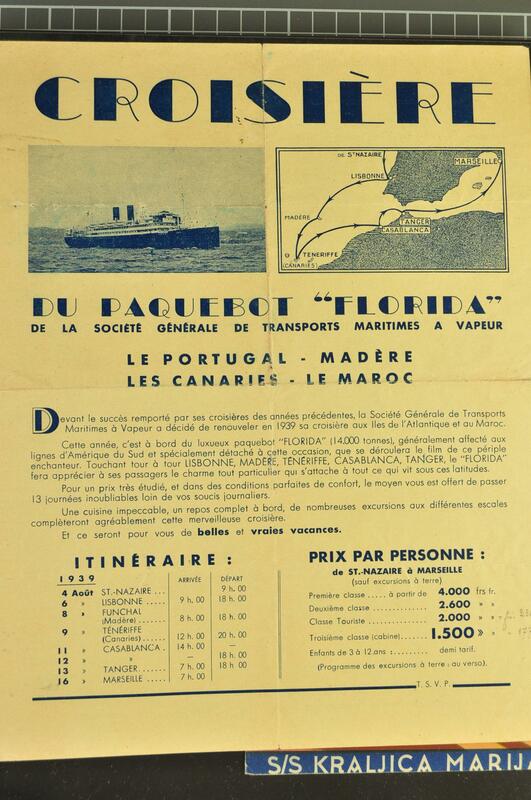 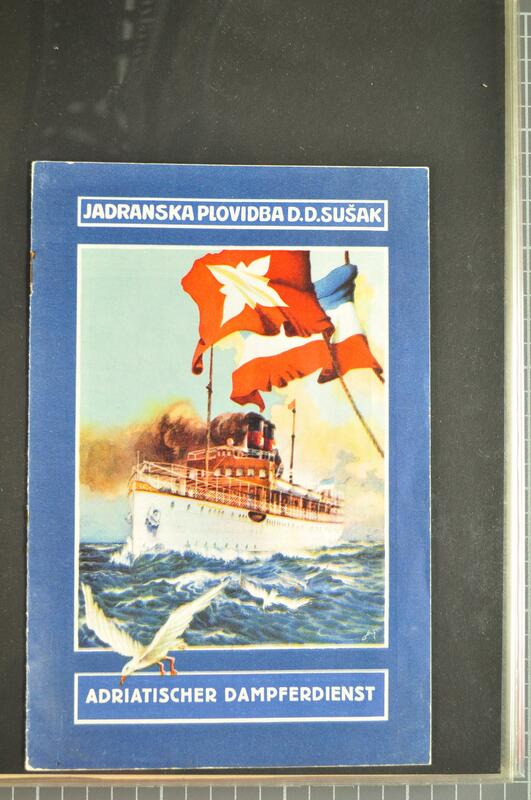 Ephemera Ship mail 1800/1940c. 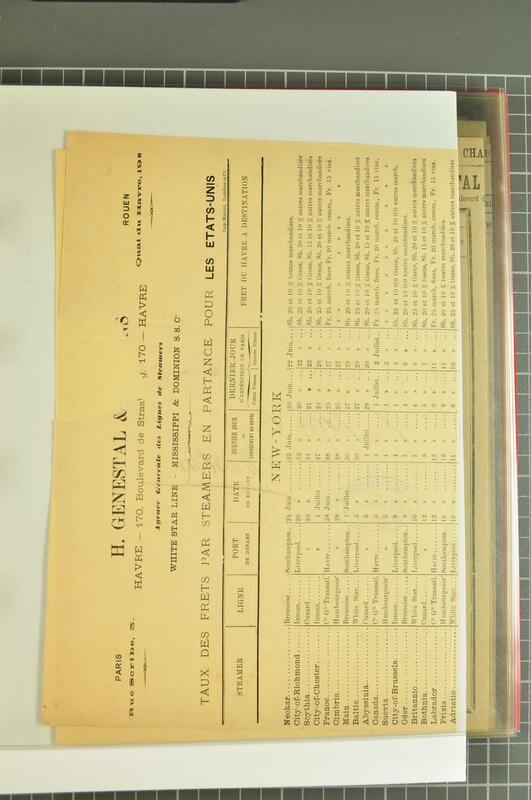 : Lot 40 documents and timetables incl. 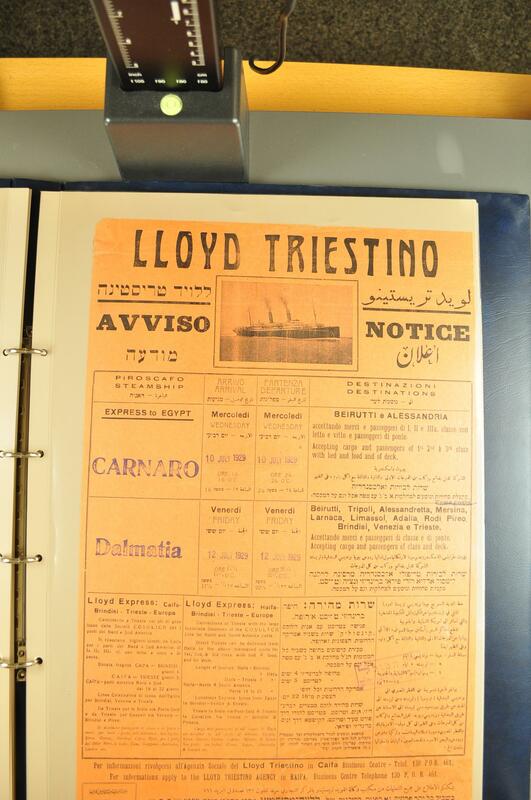 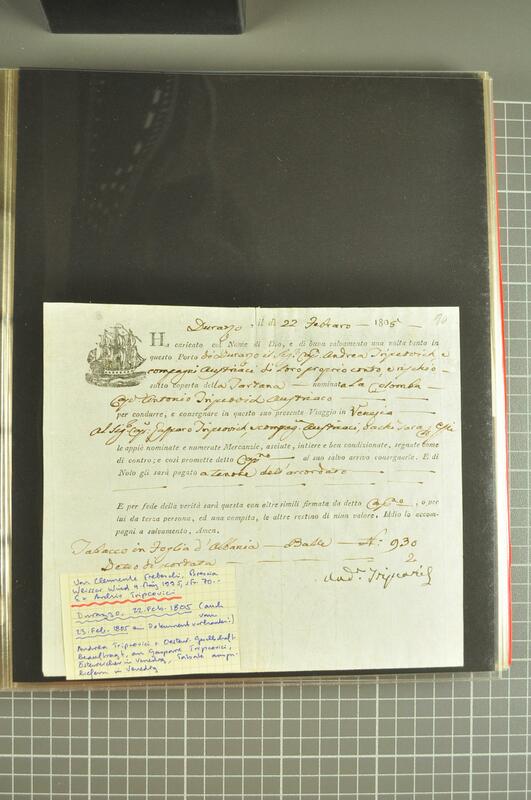 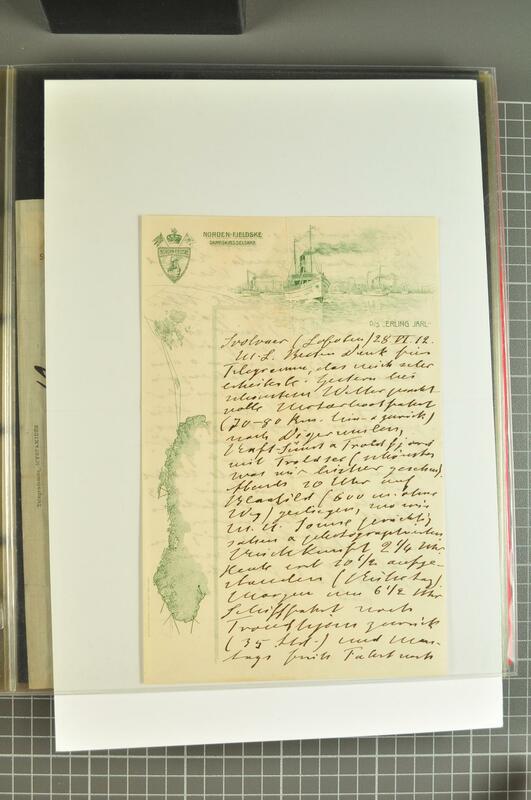 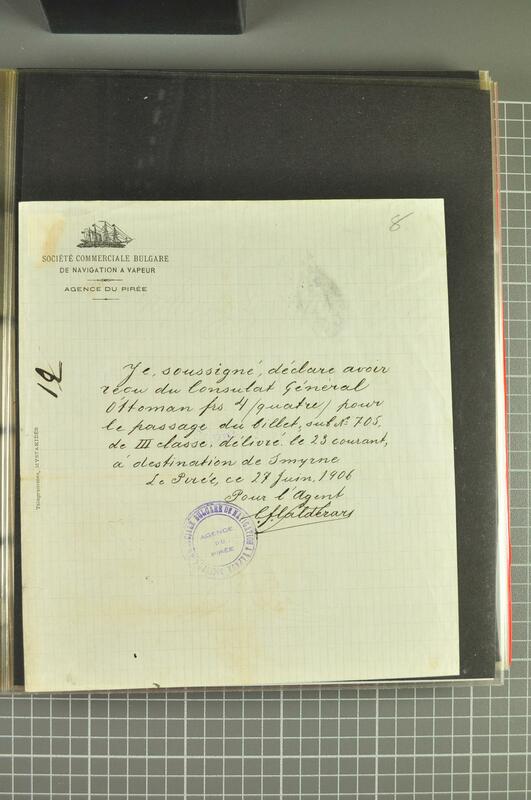 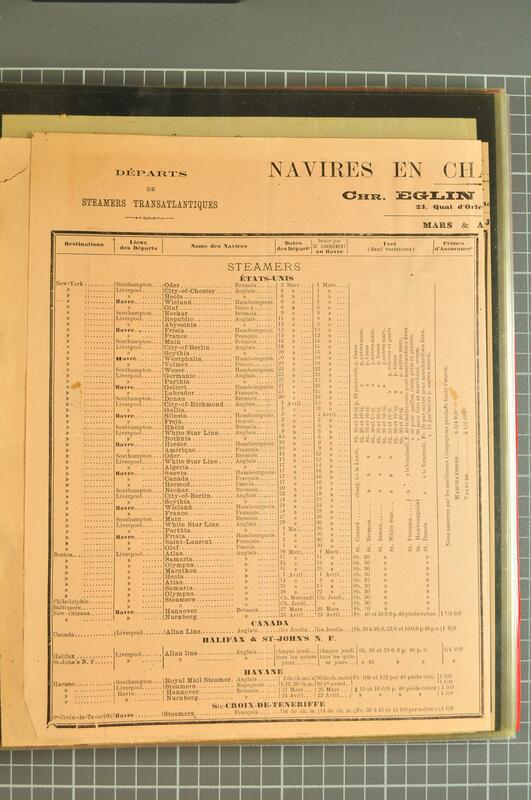 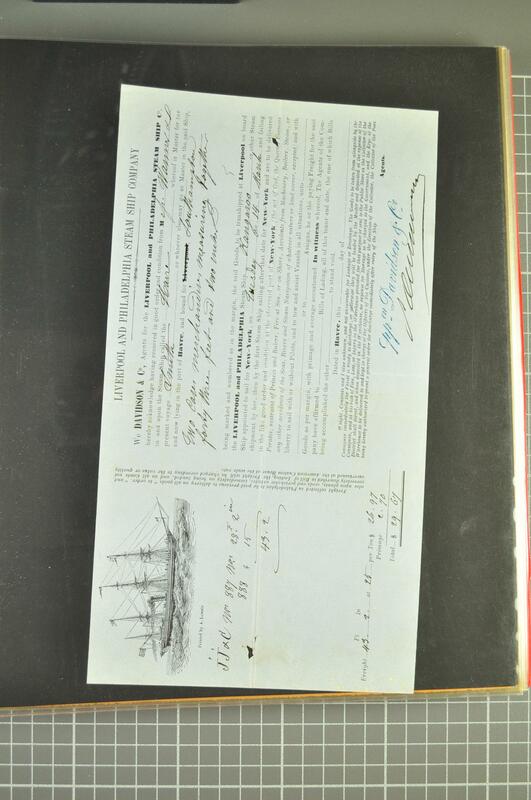 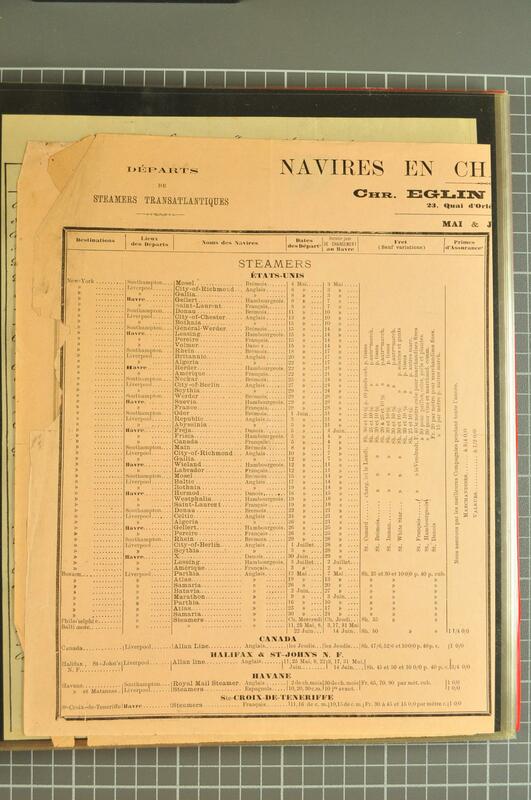 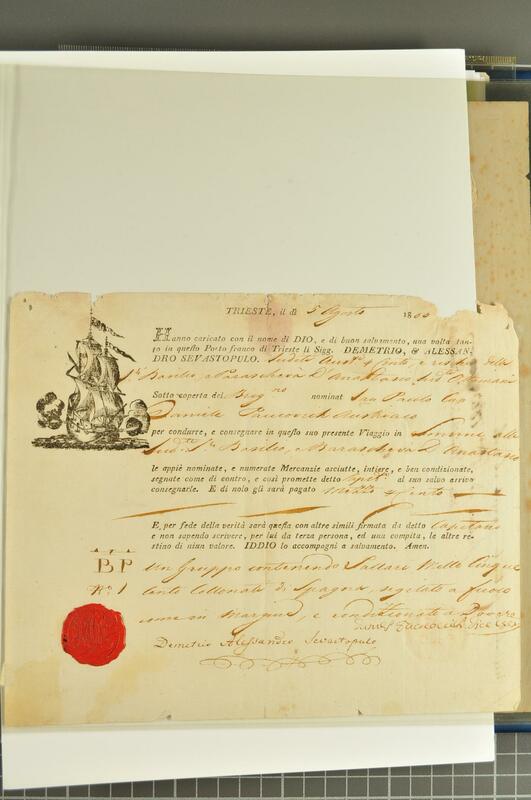 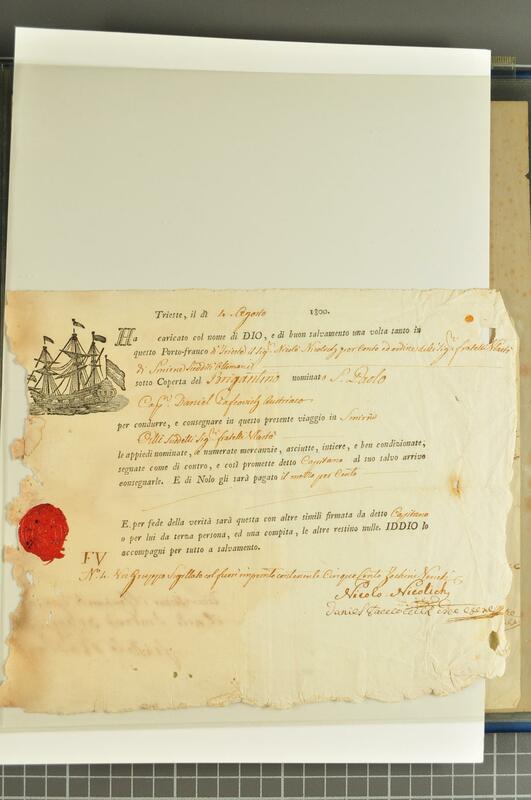 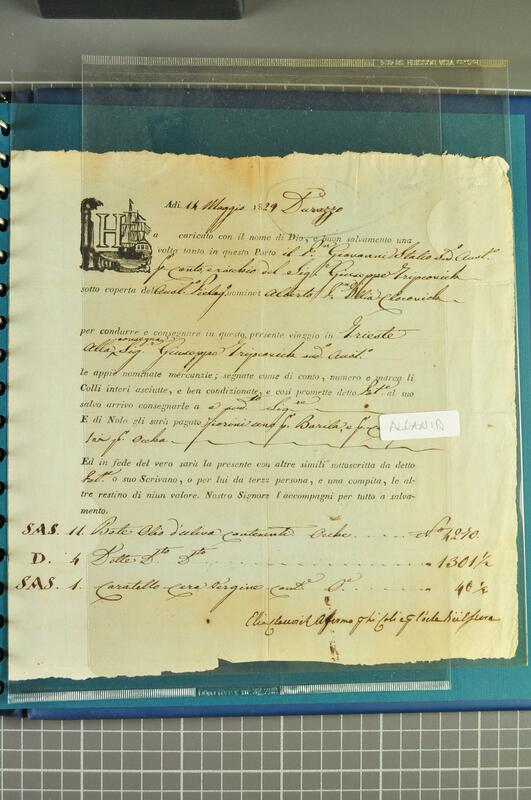 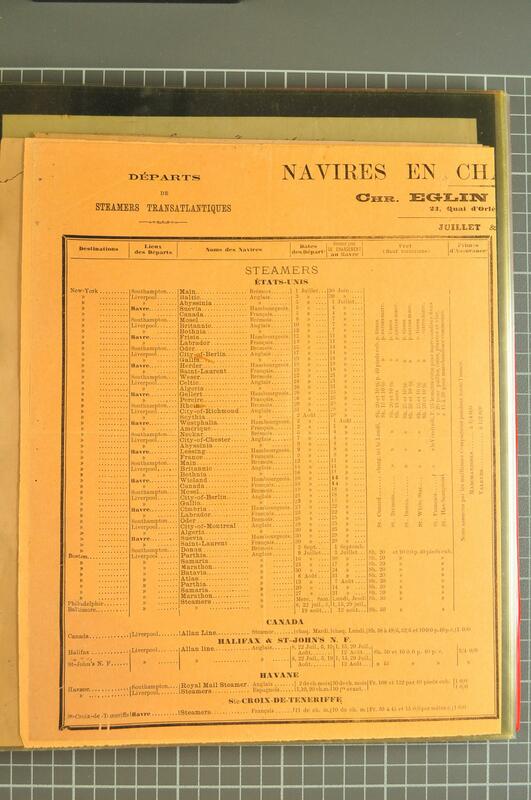 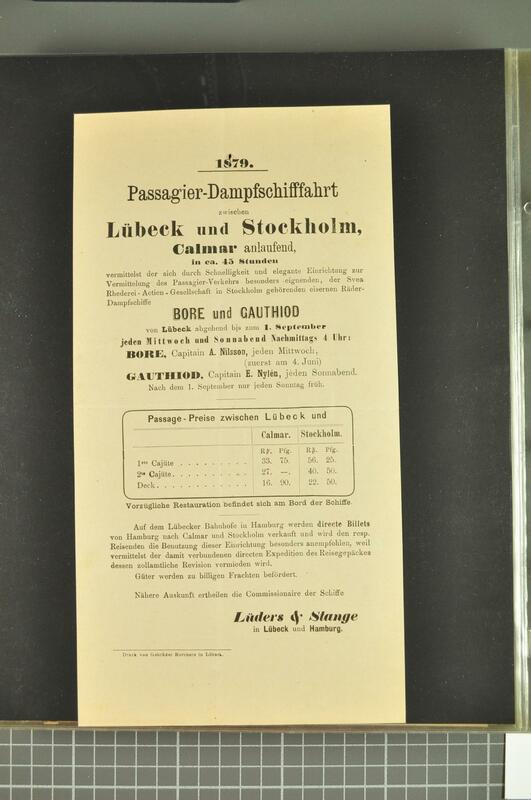 ship's papers from the Mediterranean and the Levant, Austrian Lloyd, Norddeutscher Lloyd, HAPAG, Bulgarian steamship company in Piraeus, Norway to Spitzbergen, Baltic Sea, emigrant vessels to New York, transatlantic mail, Danube ship mail Olteniza, many decorative items displaying sailboats and steamers. 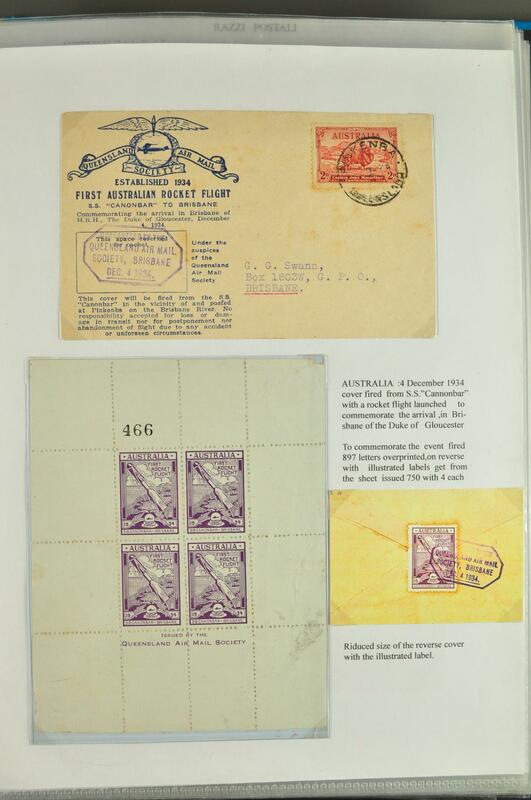 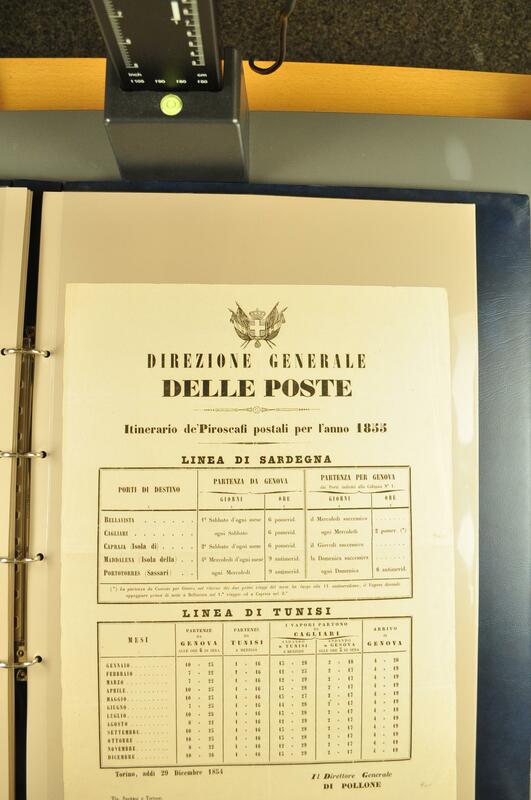 Ephemera 1650/1945c: Lot 160 documents, passports, invoices, exchanges, telegrams, correspondence, maps, posters, pamphlets, leaflets etc. 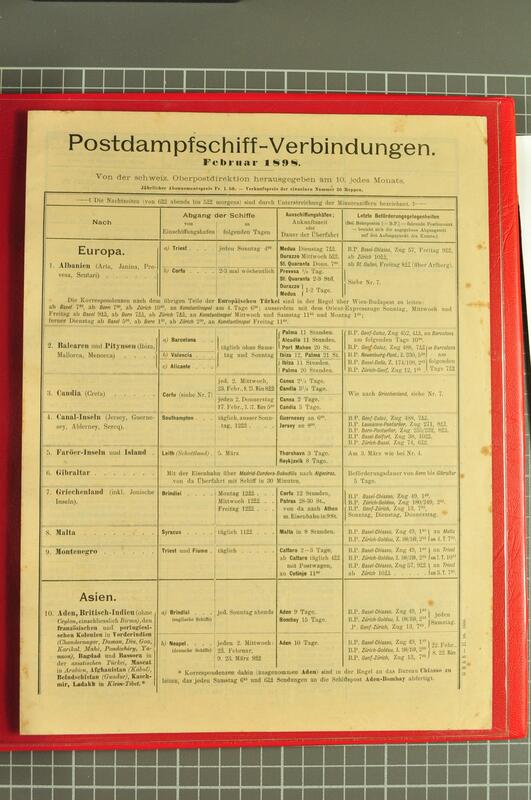 worldwide, incl. 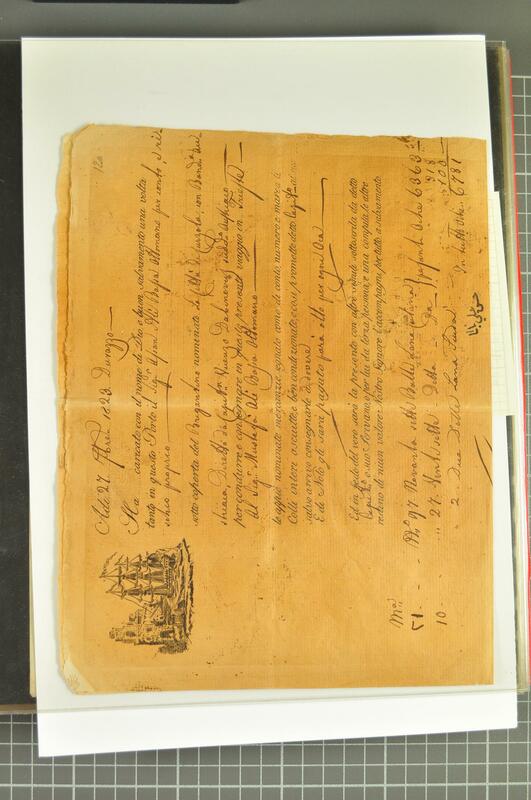 1650 Act for the Redemption of Captives taken by Turkisk, Moorish and other pirates, 1691 pamphlet in German language dealing with the wars against the French and the Turks, 1789 plan of the Temple of Resurrection in Jerusalem, 1821 Maroc correspondence, 1854/55 Greek journals as well as 1917 German propaganda journal 'Journal de la Guerre'.